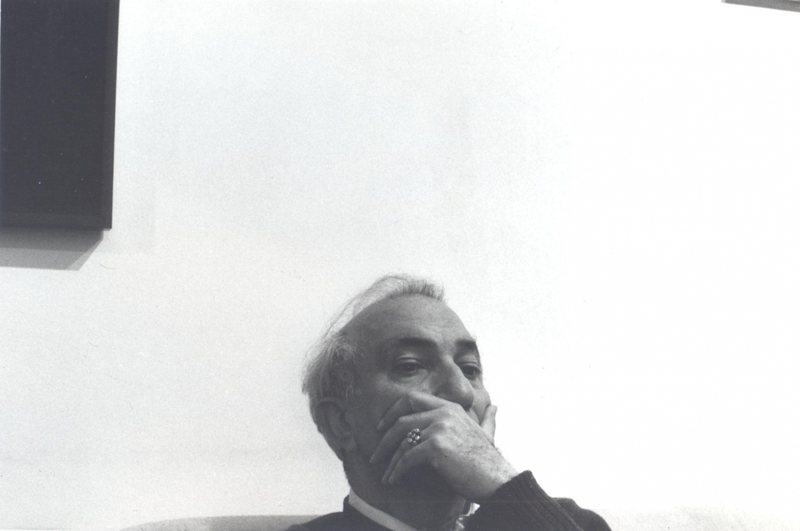 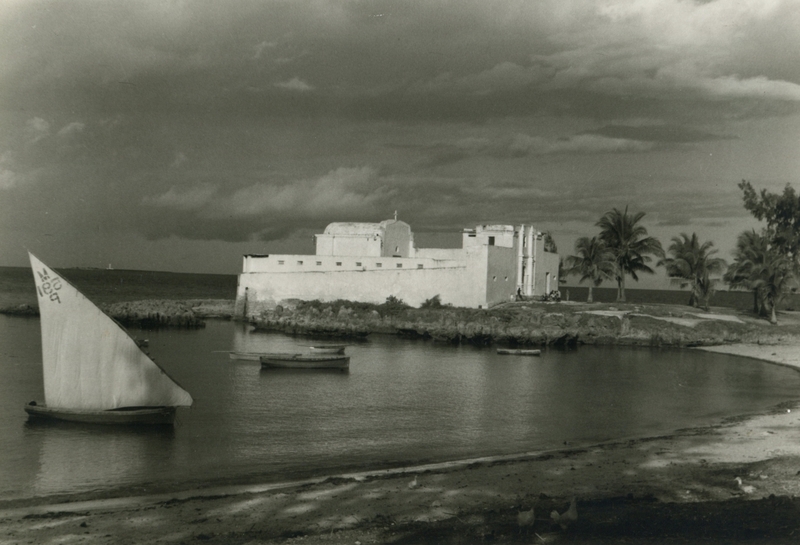 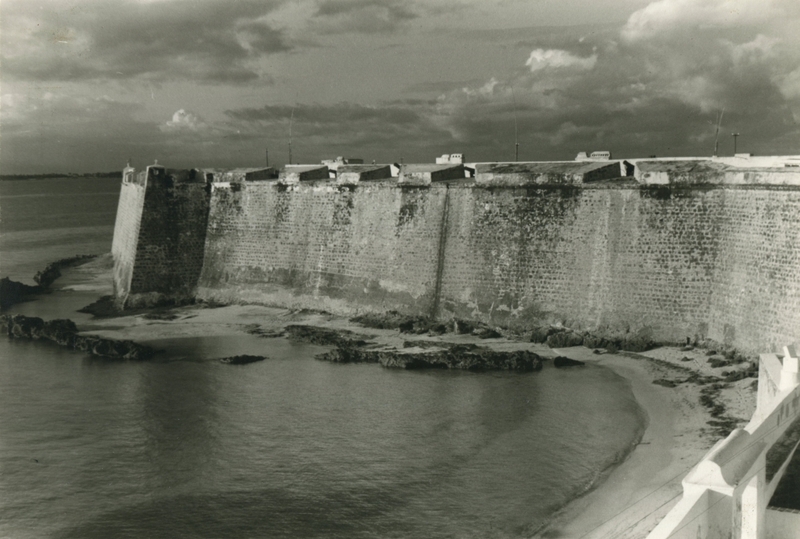 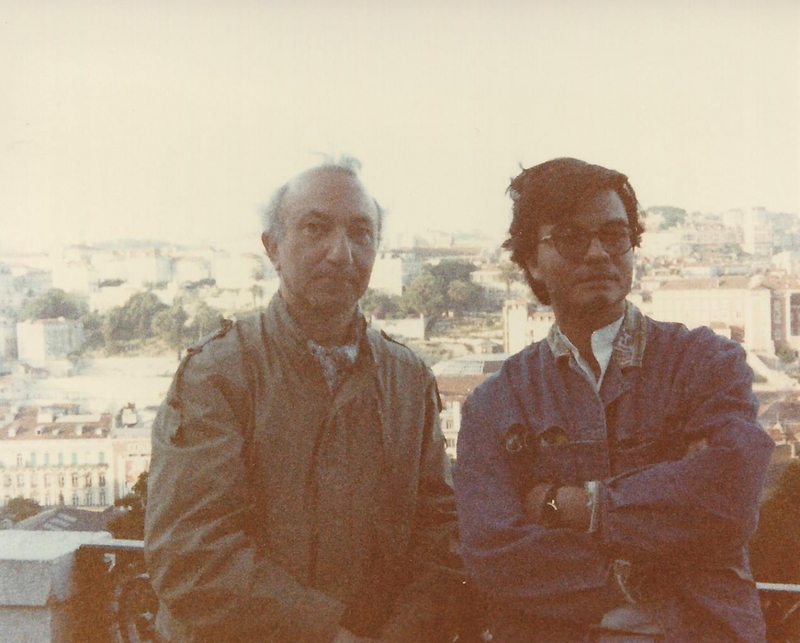 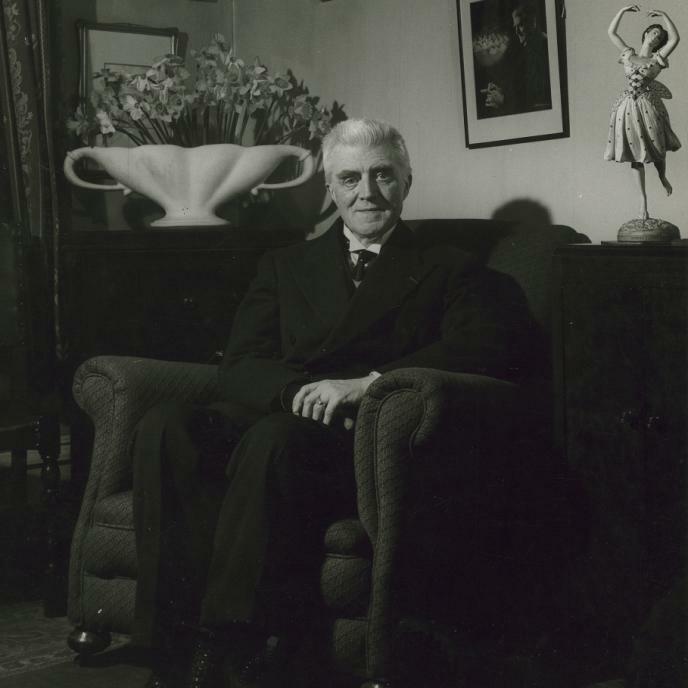 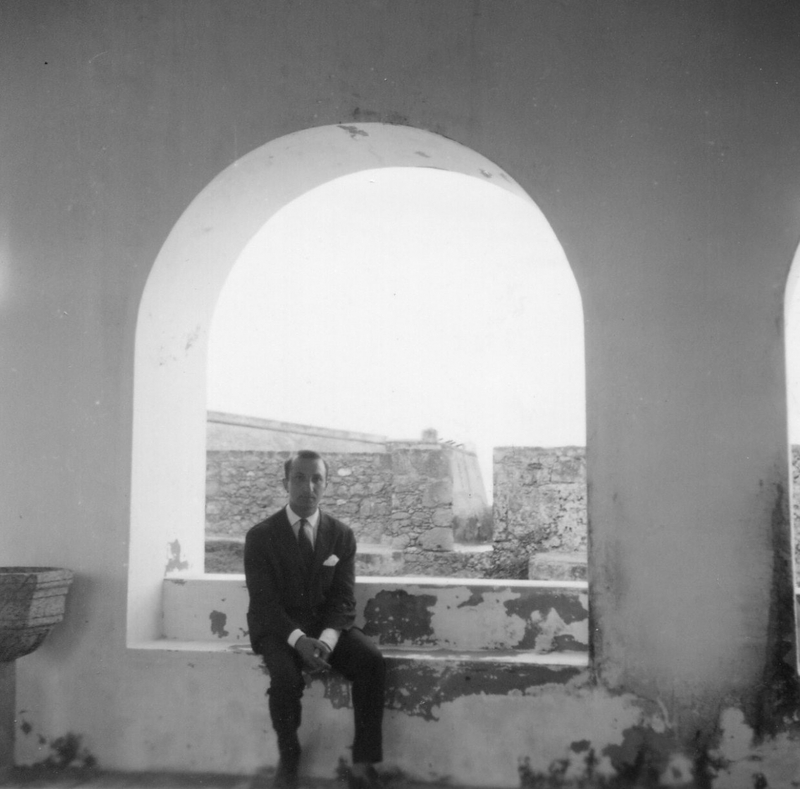 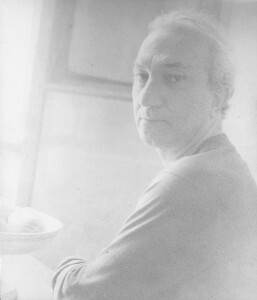 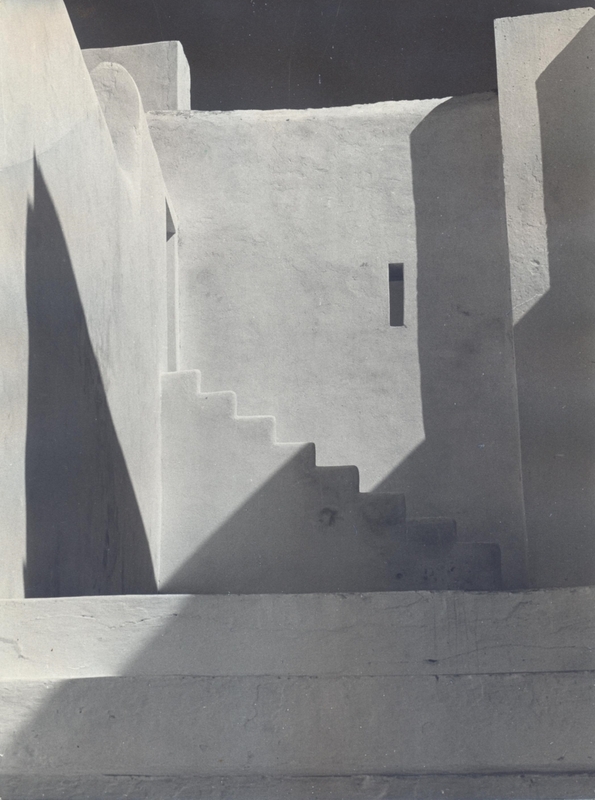 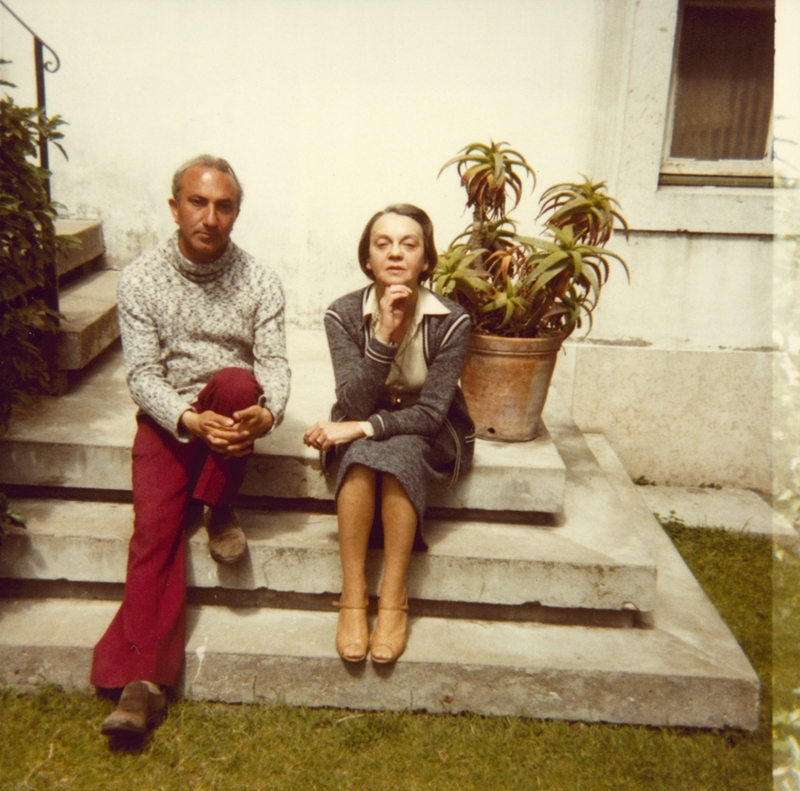 Alberto de Lacerda assembled a remarkable collection of photographs and works of art during his lifetime. 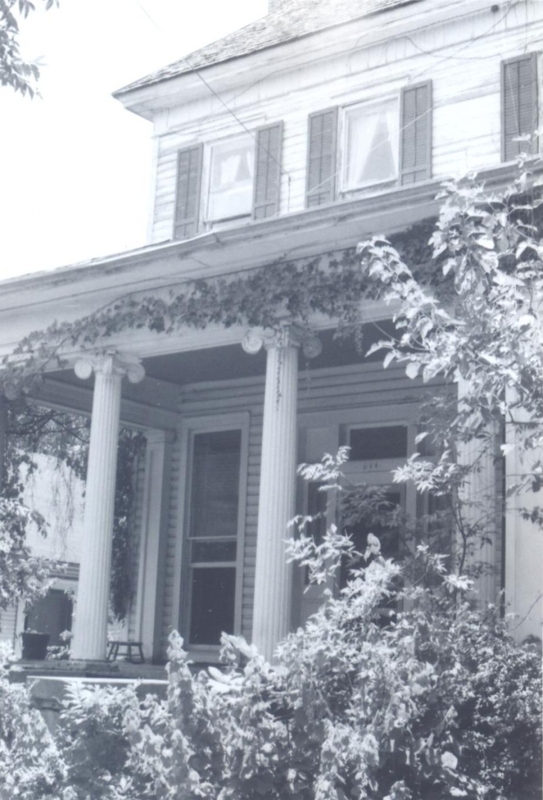 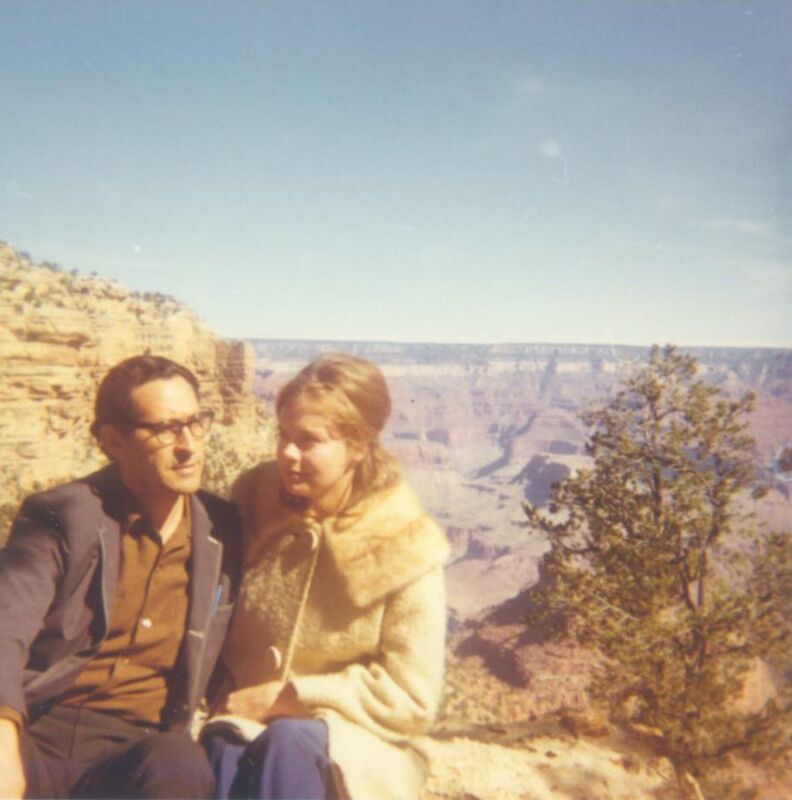 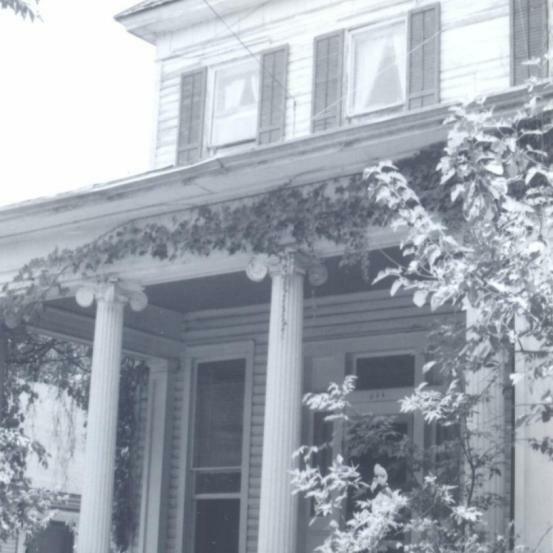 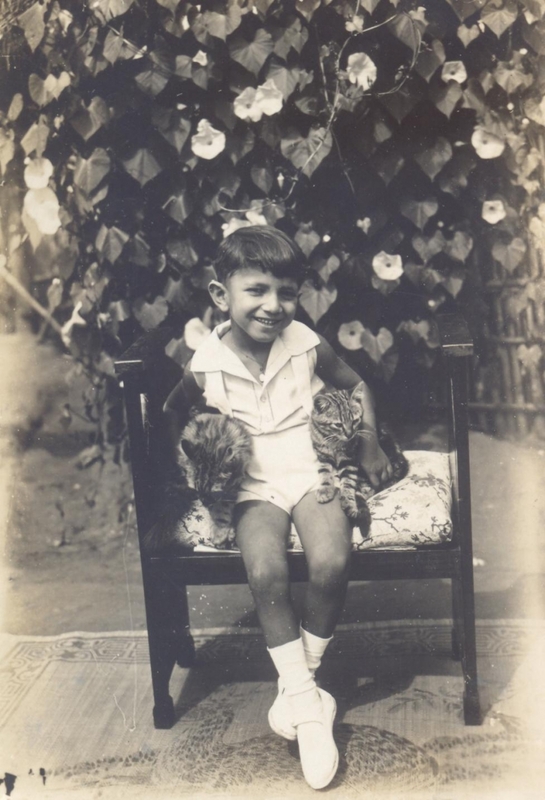 His collection of photographs, many of them taken with his treasured Kodak Baby Brownie camera, introduce us to his friends and special places. 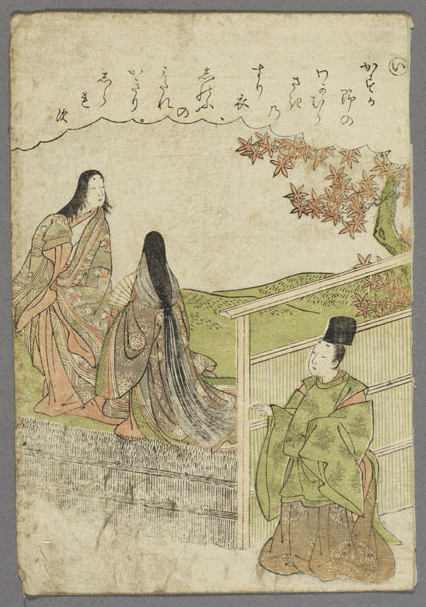 An attempt has been made to follow a chronological order. 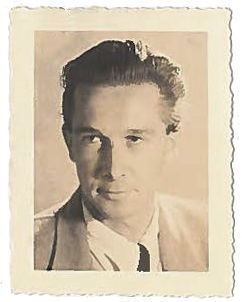 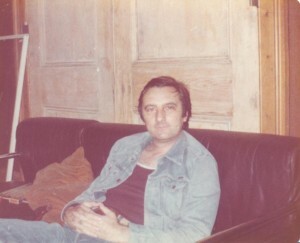 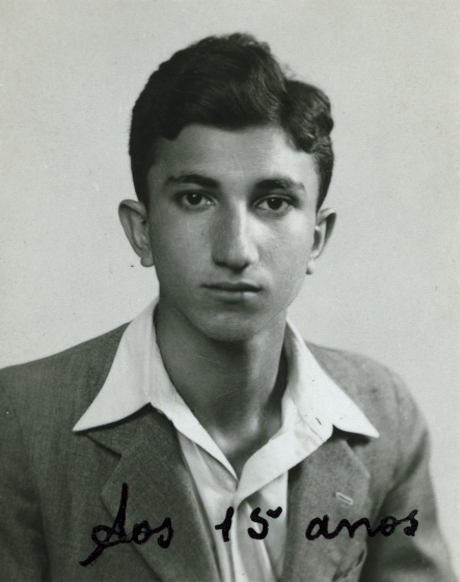 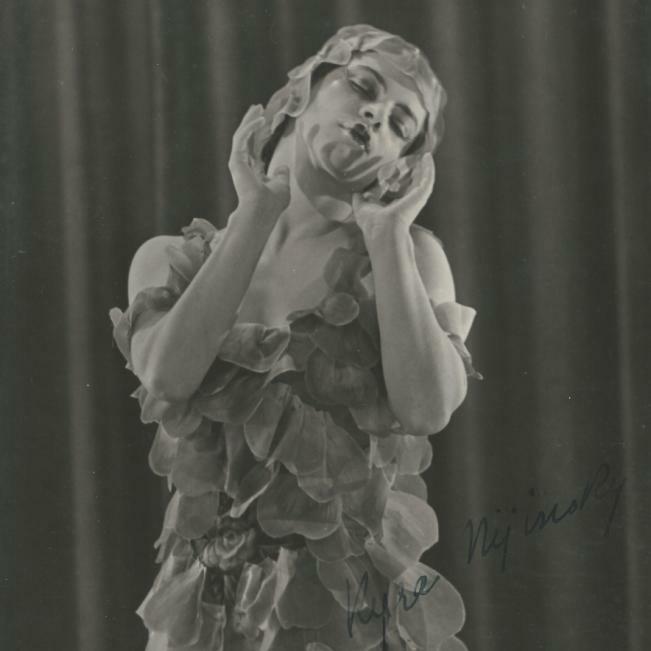 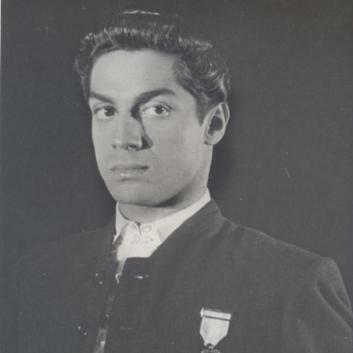 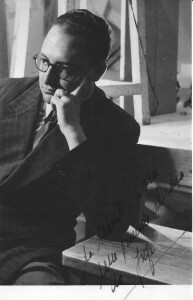 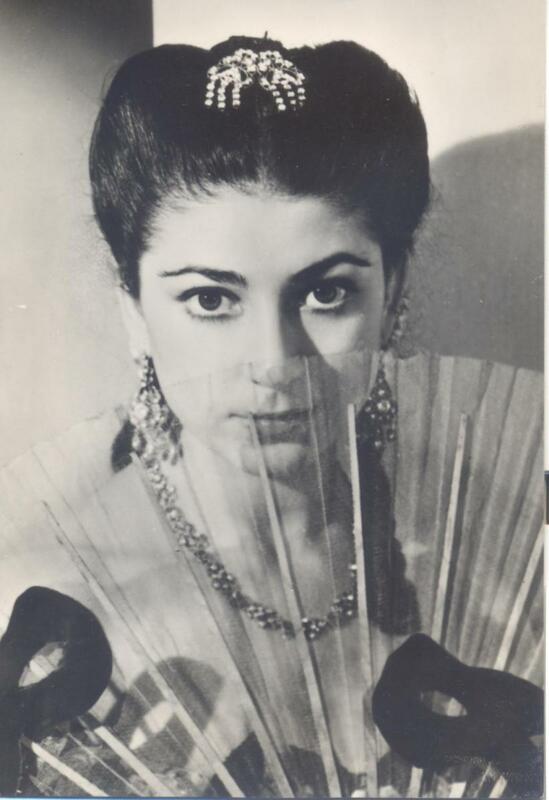 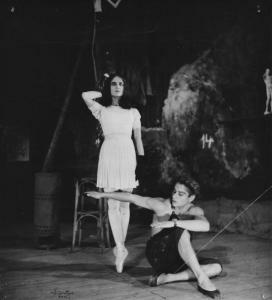 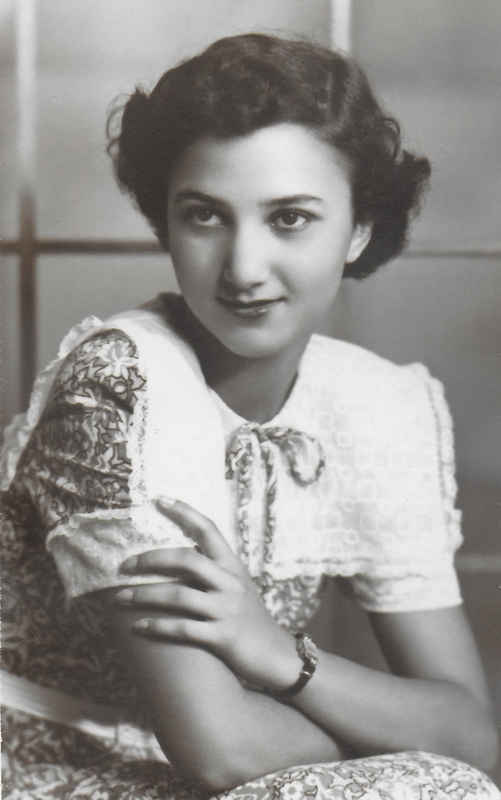 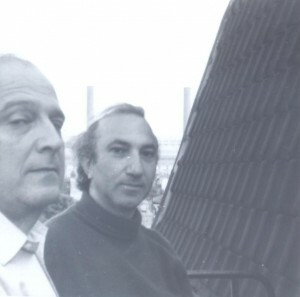 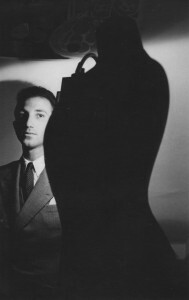 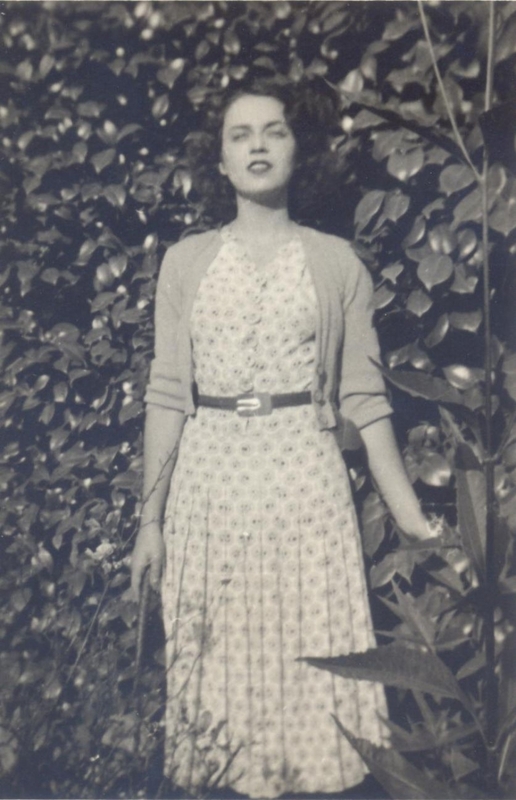 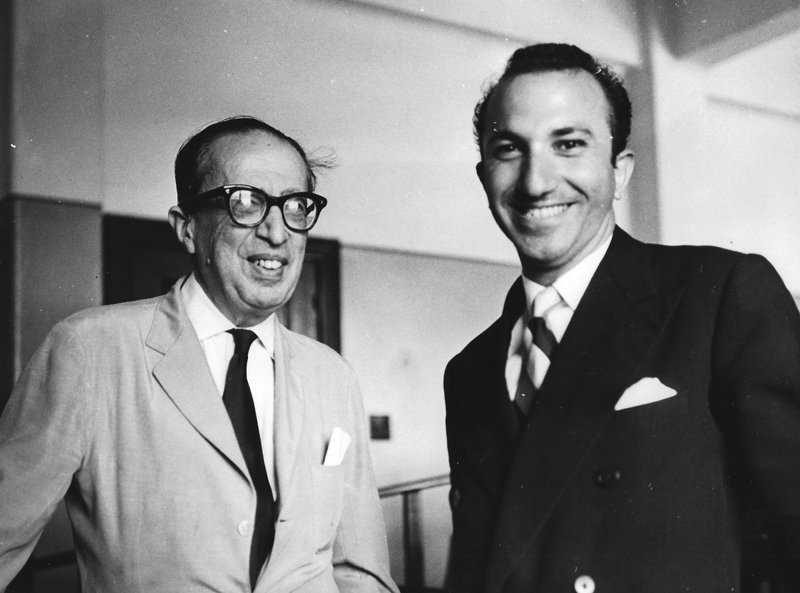 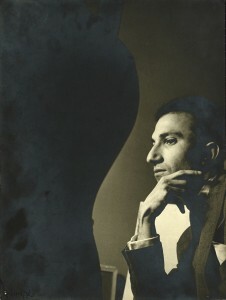 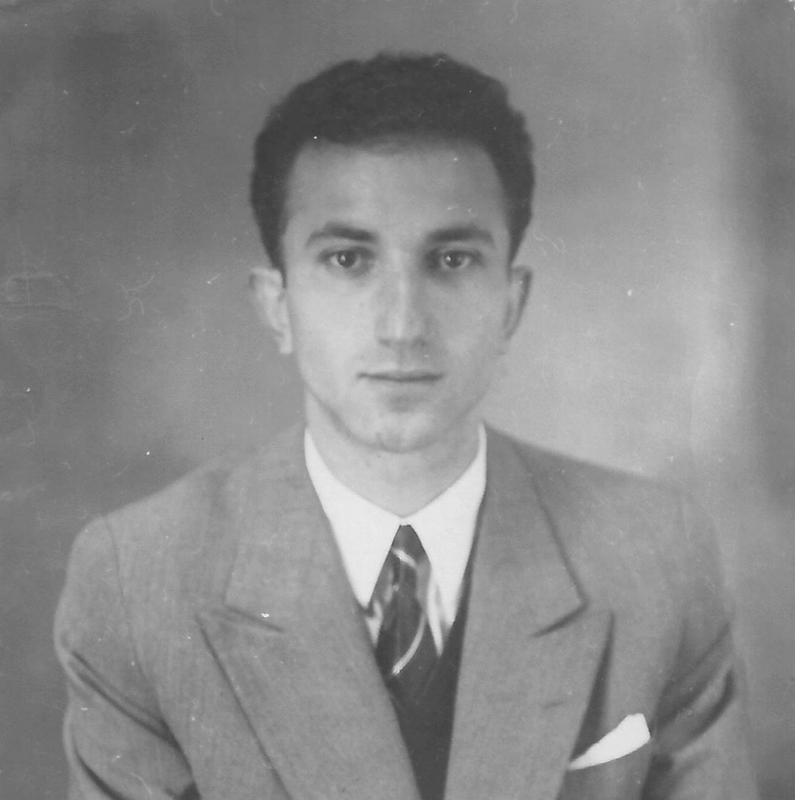 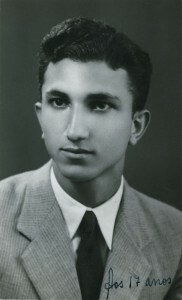 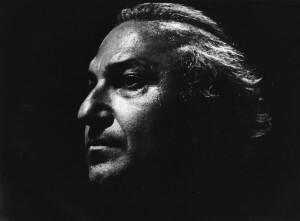 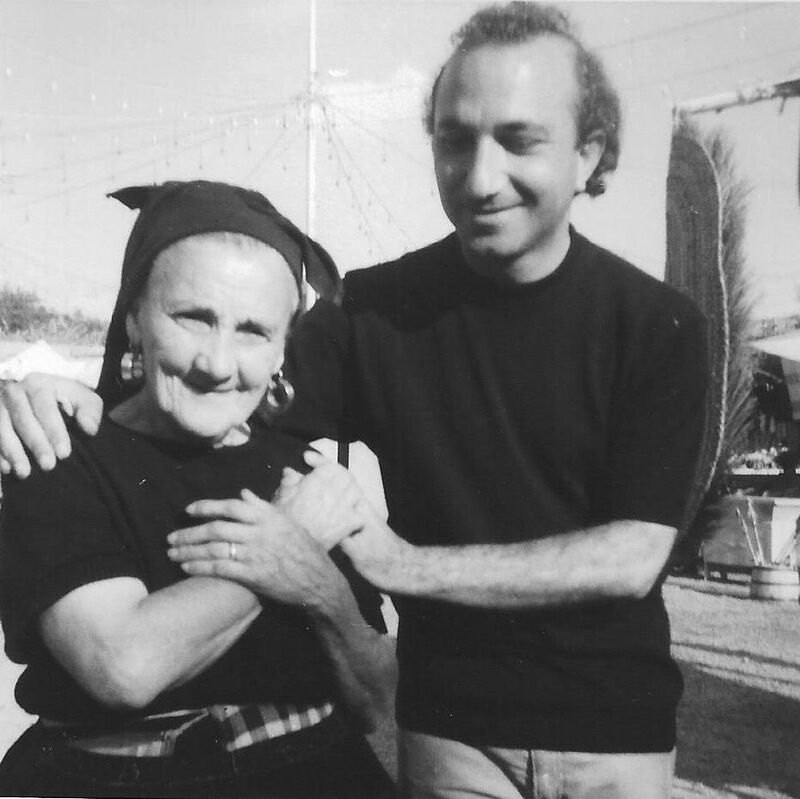 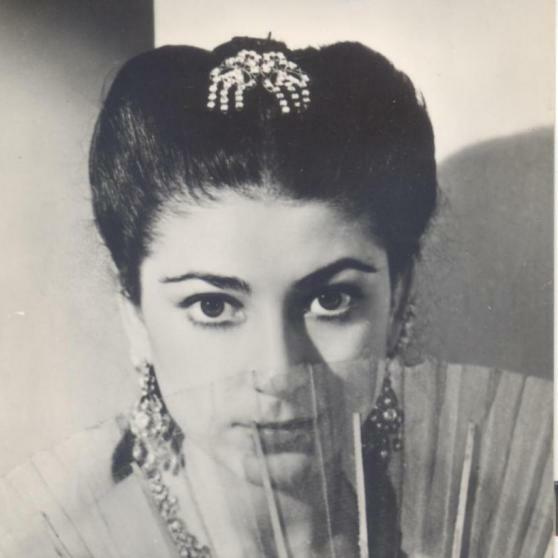 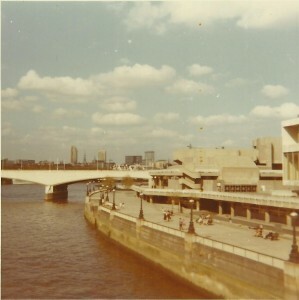 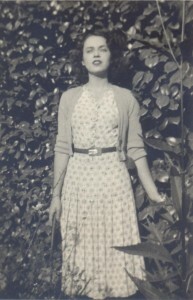 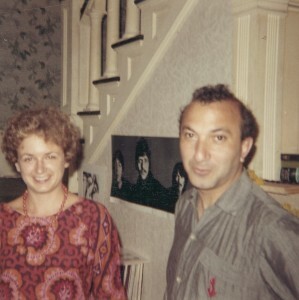 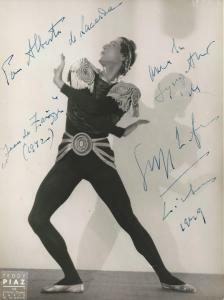 Alberto also collected hundreds of studio photographs connected to the performing arts. 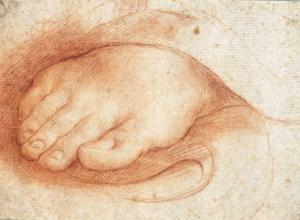 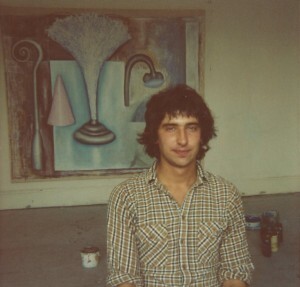 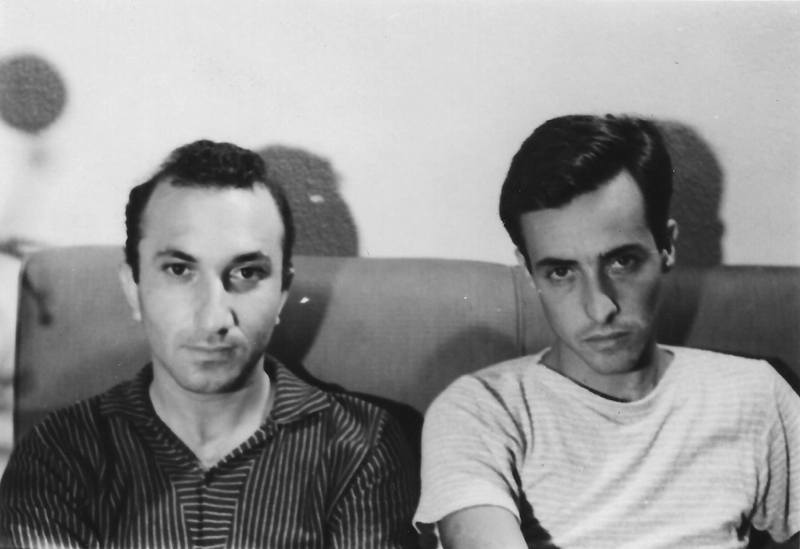 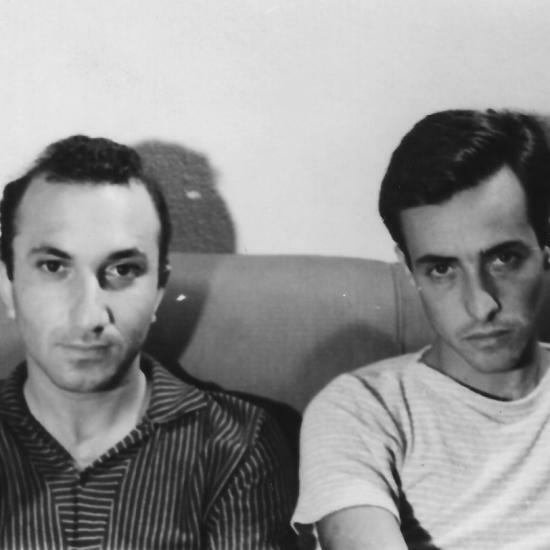 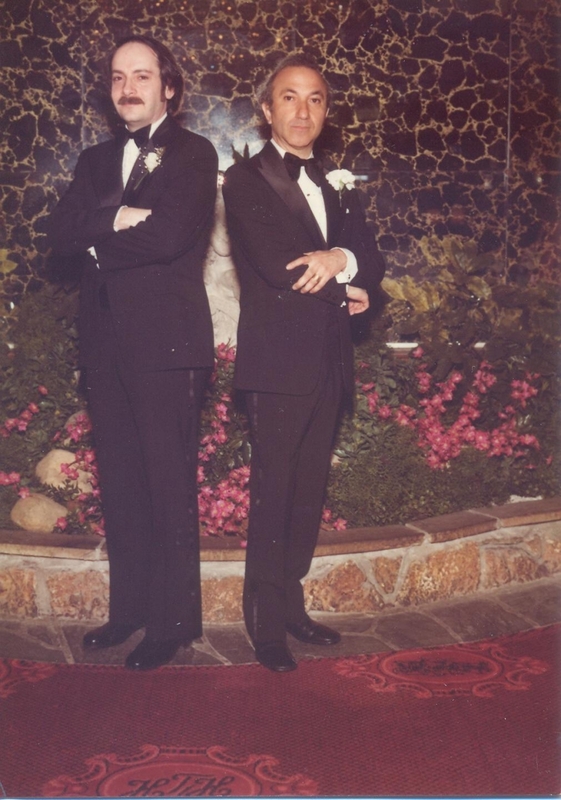 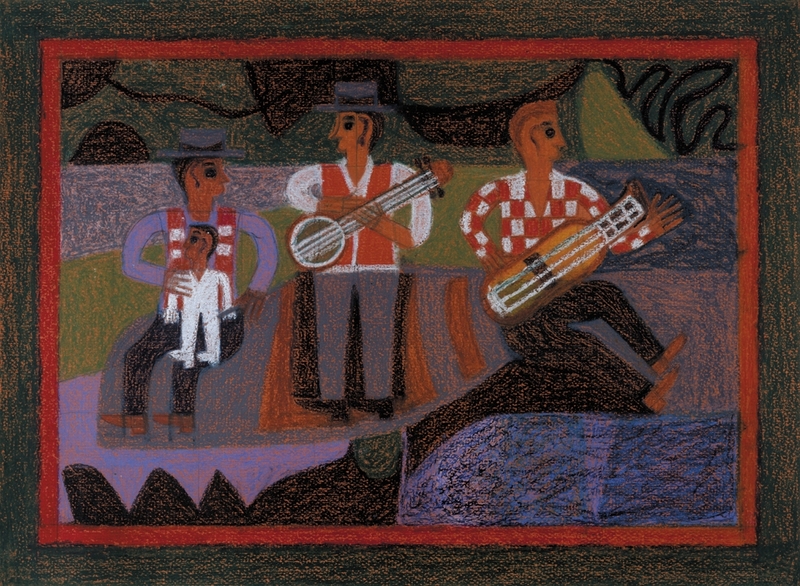 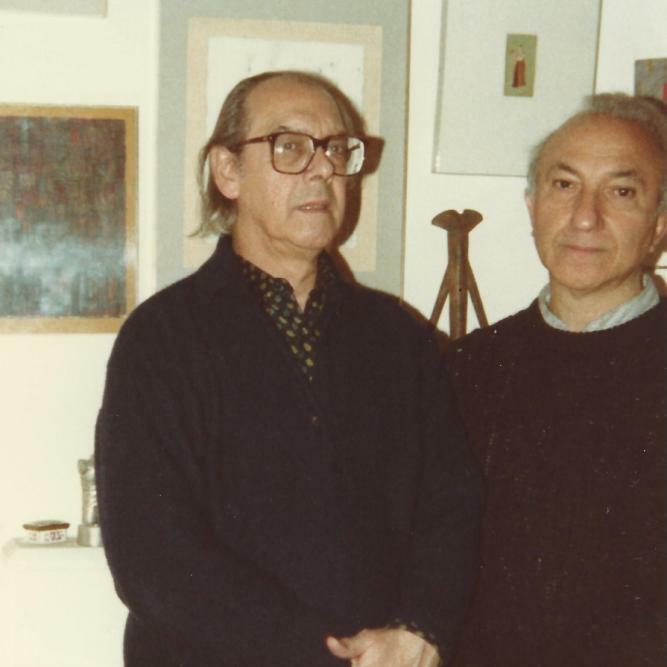 Alberto’s love of the visual arts earned him close friendships with practicing artists. 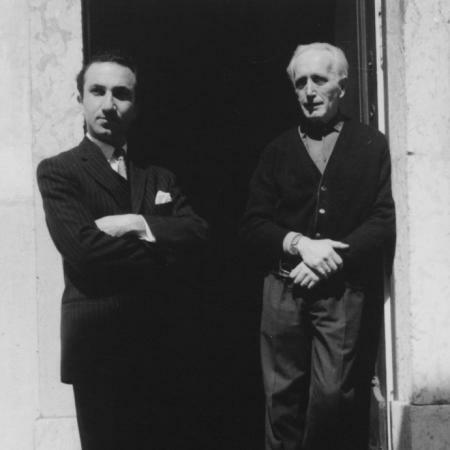 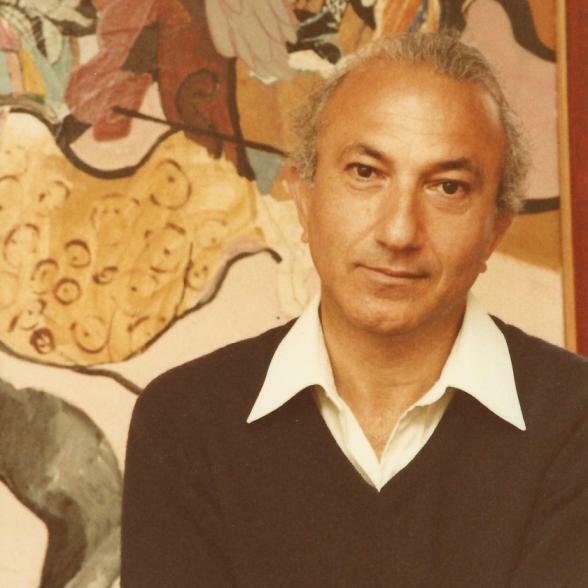 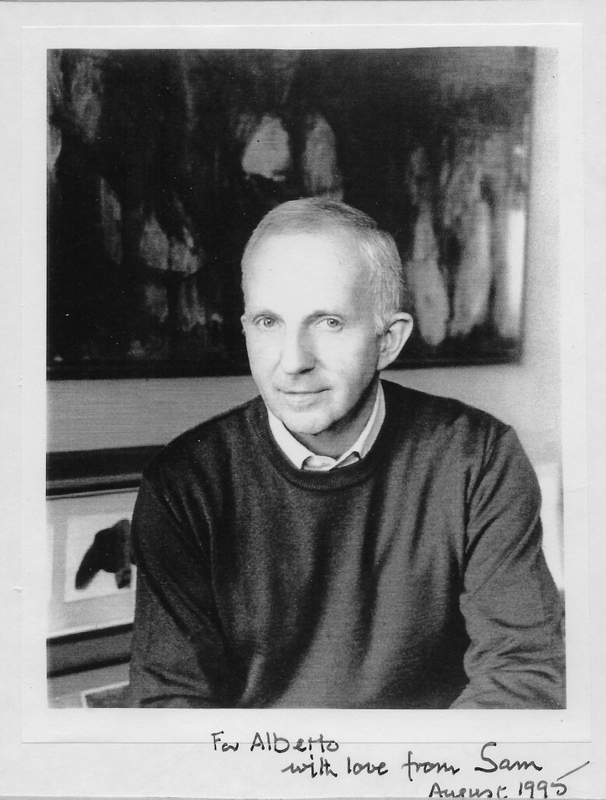 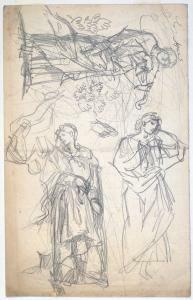 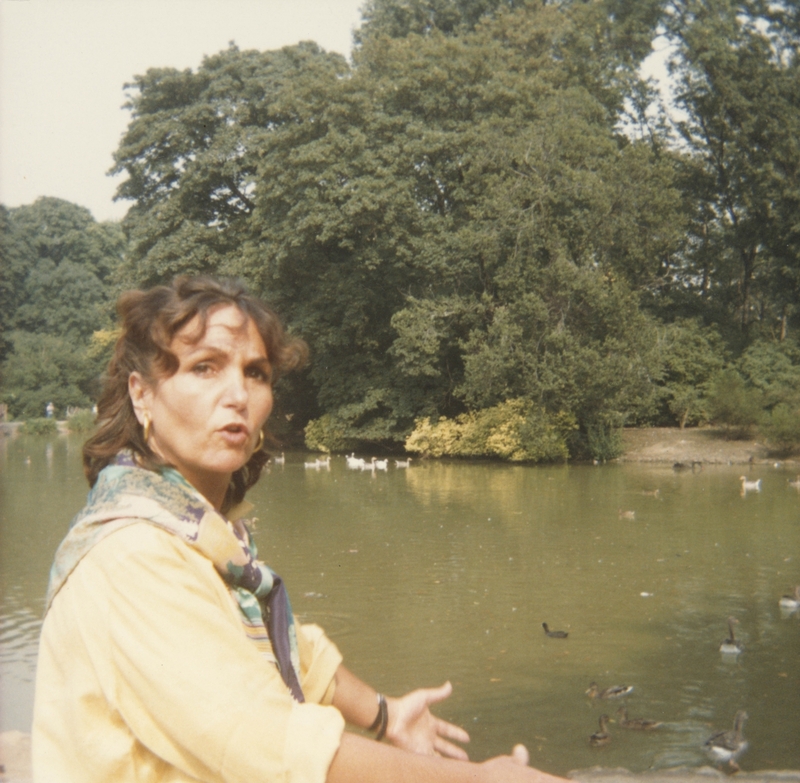 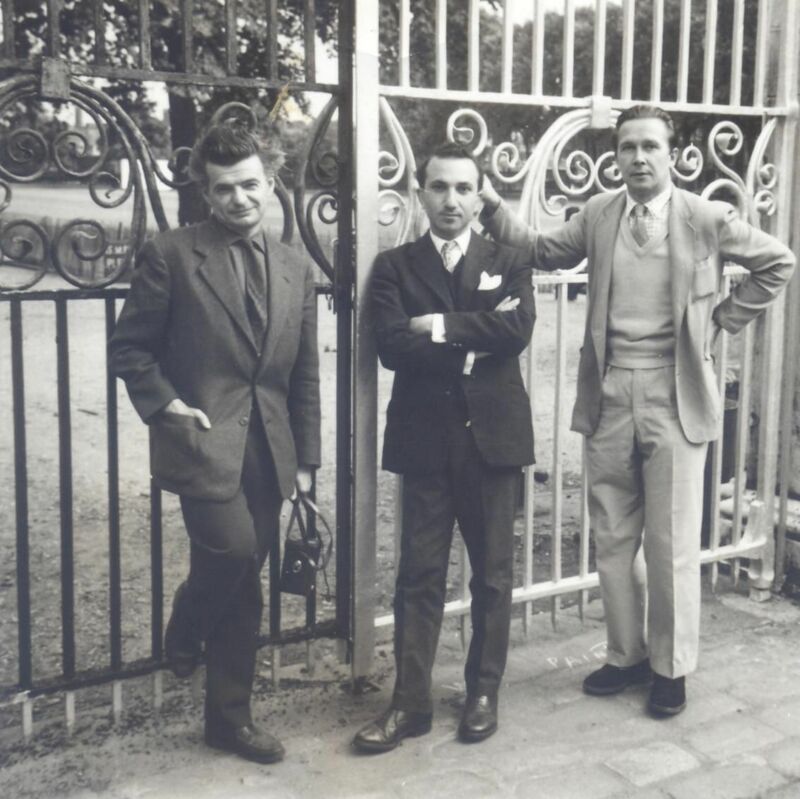 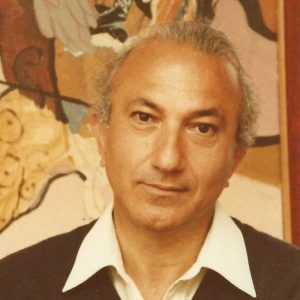 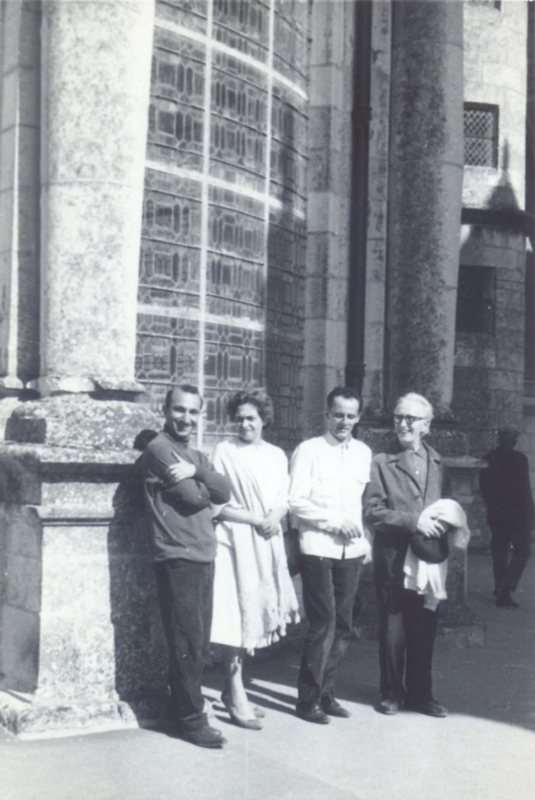 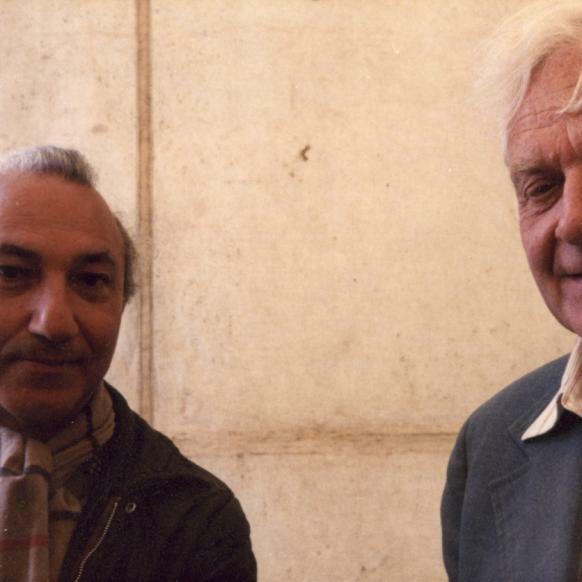 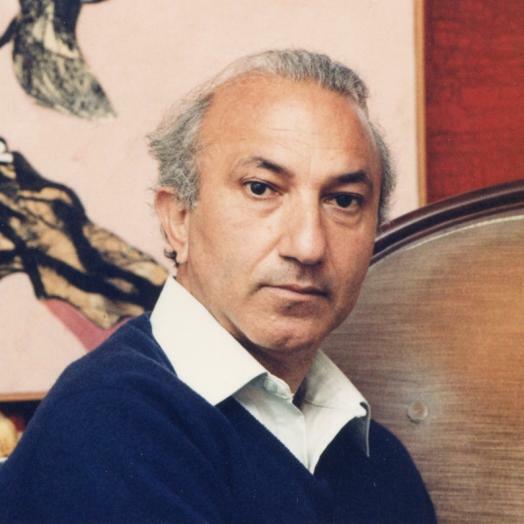 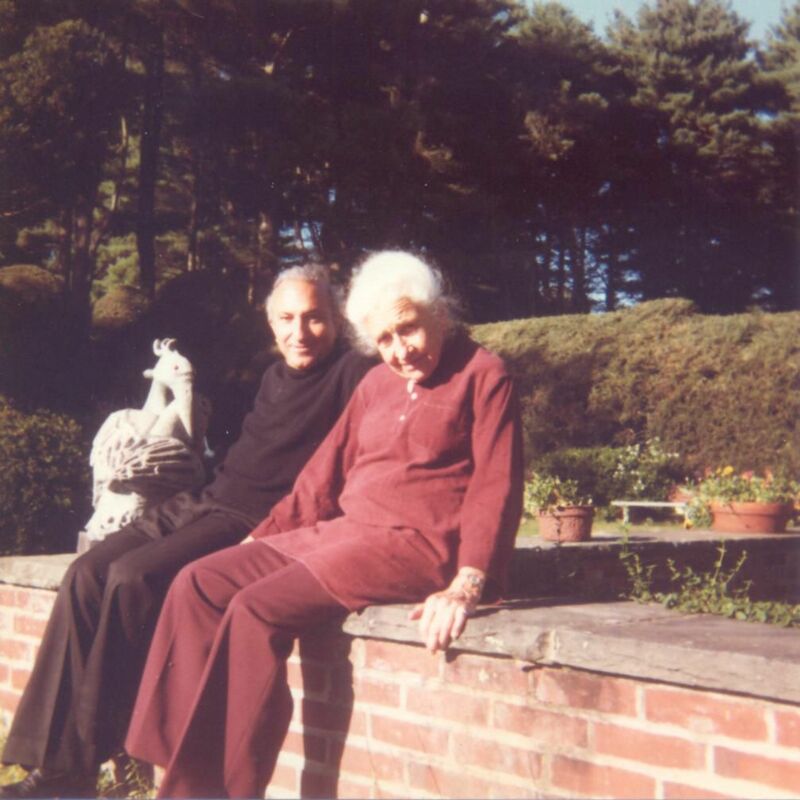 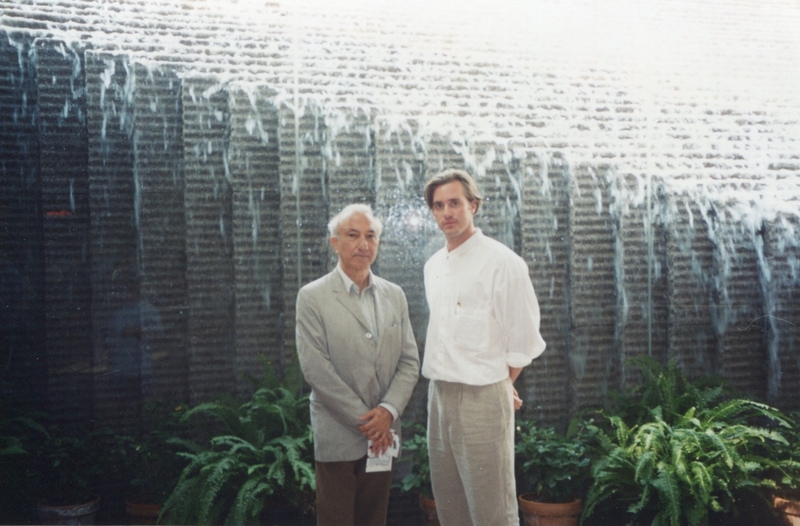 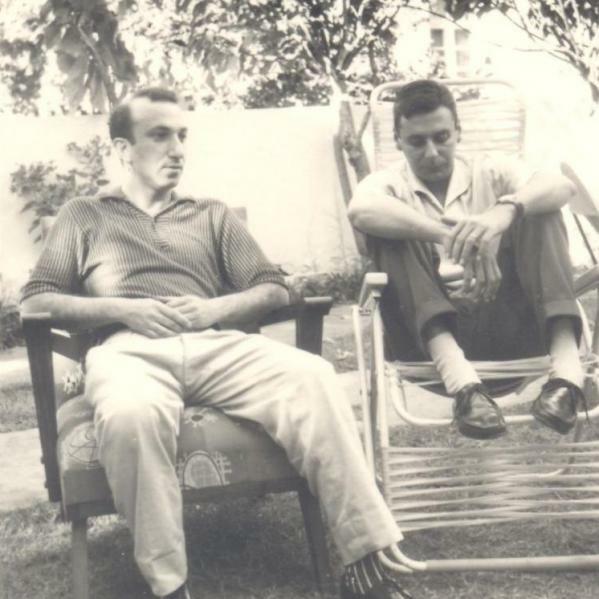 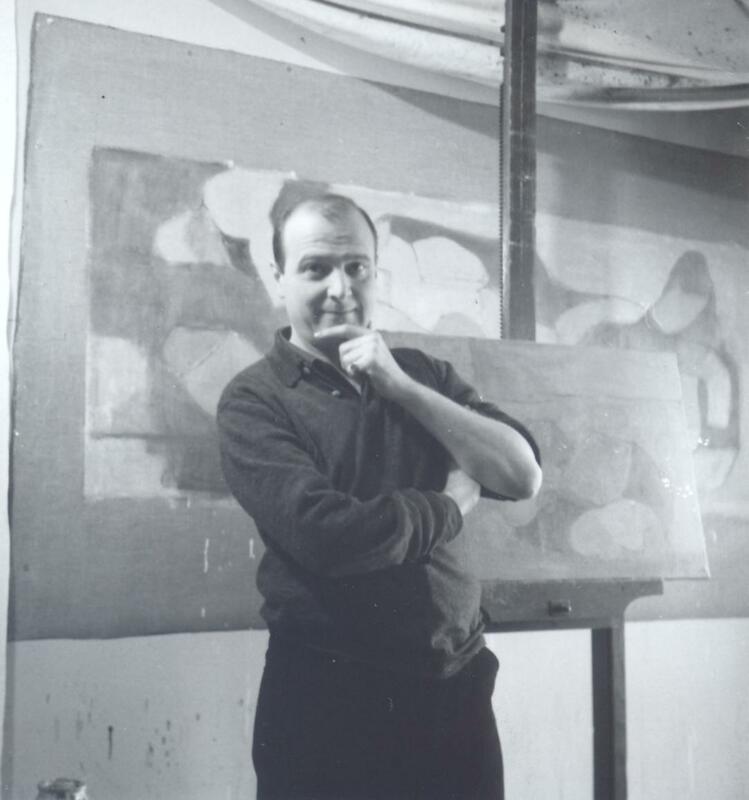 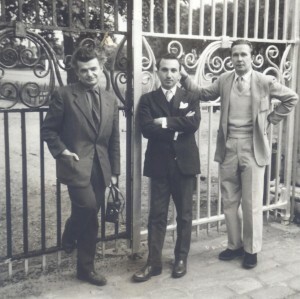 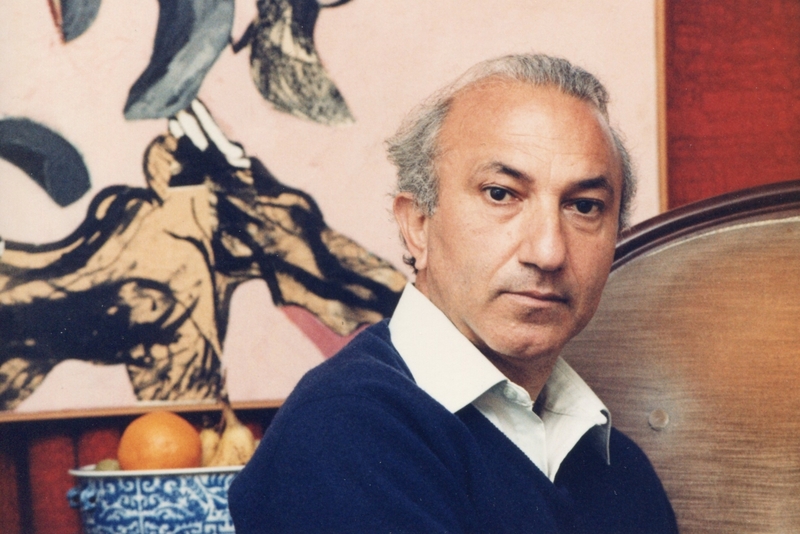 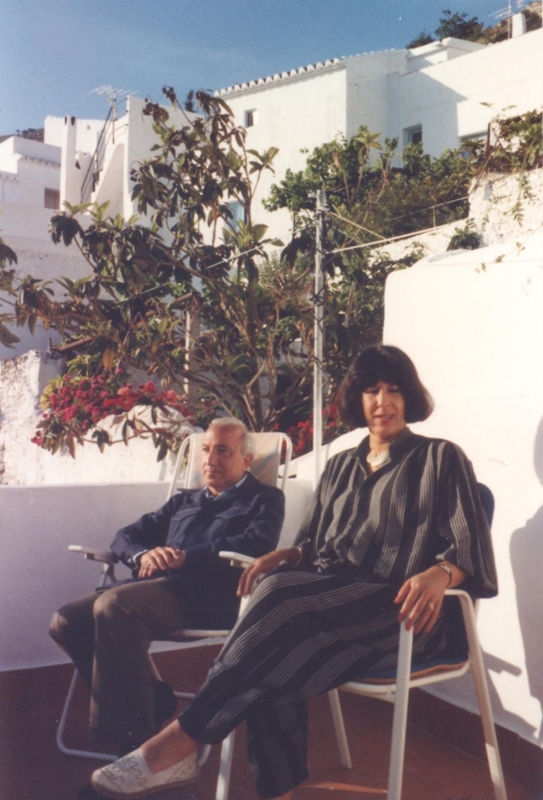 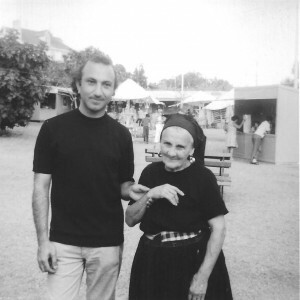 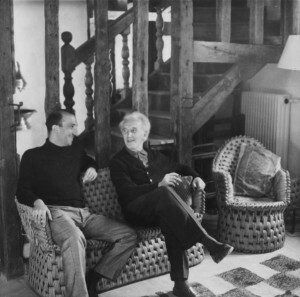 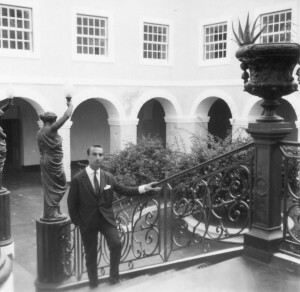 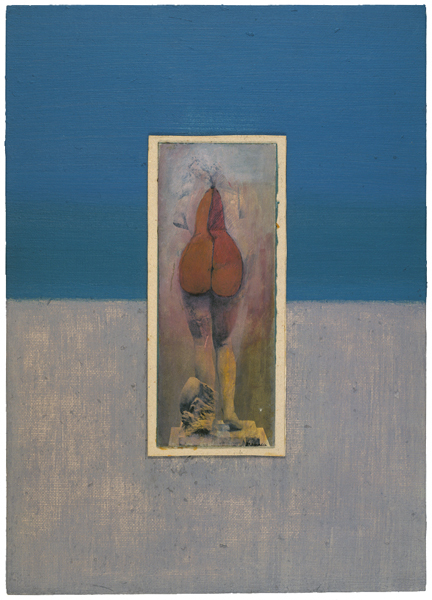 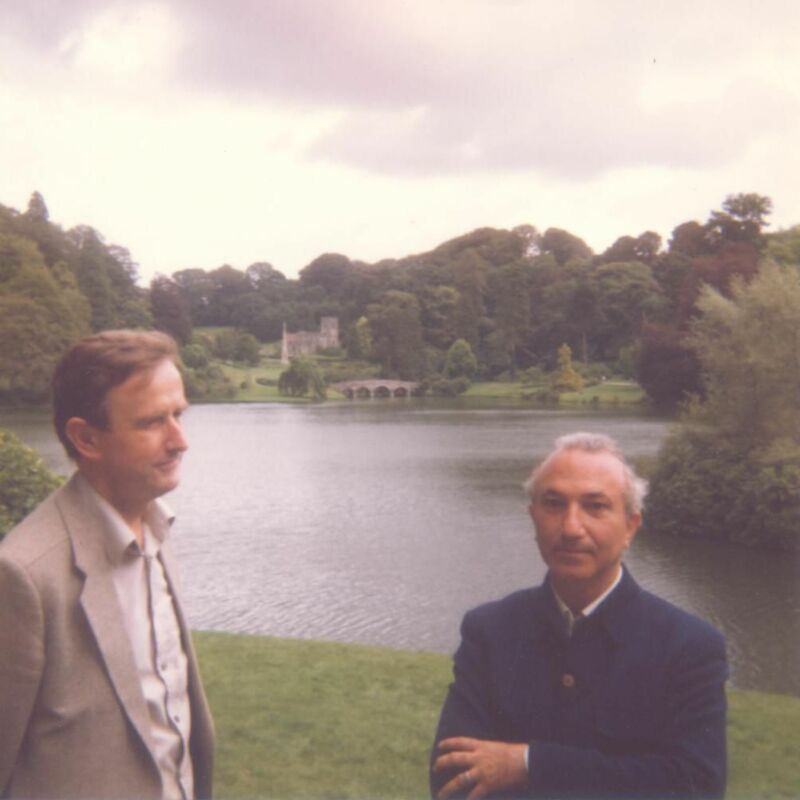 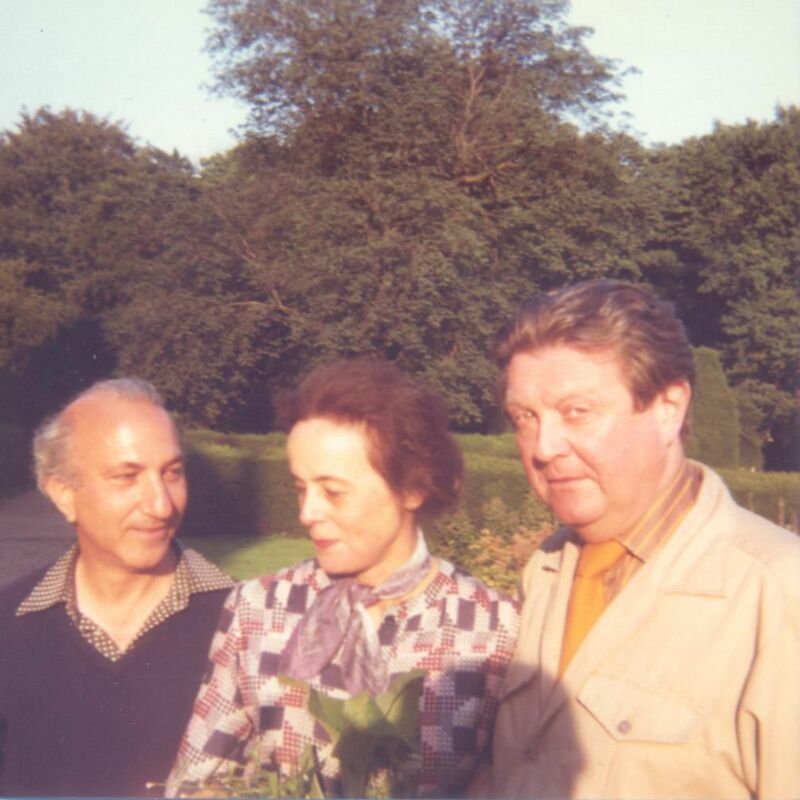 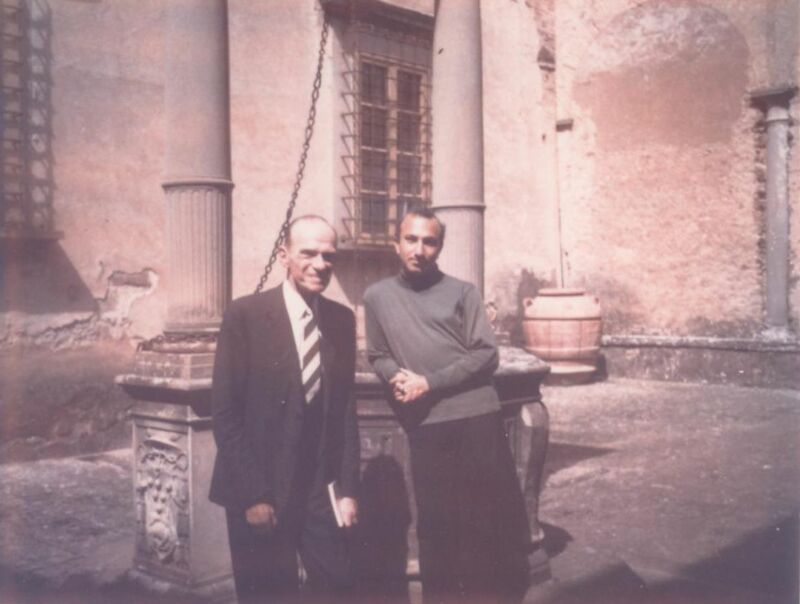 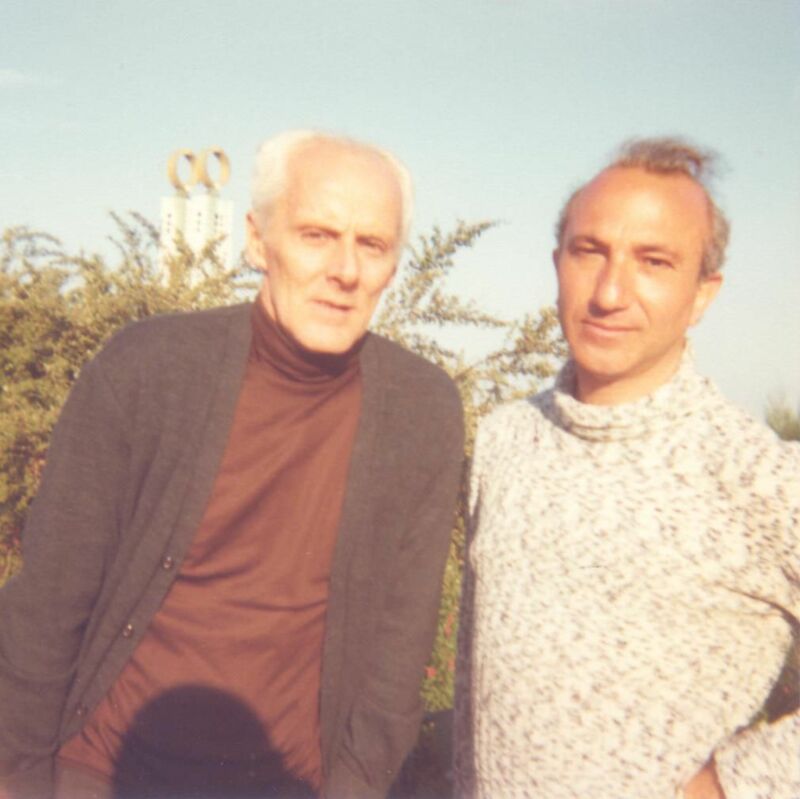 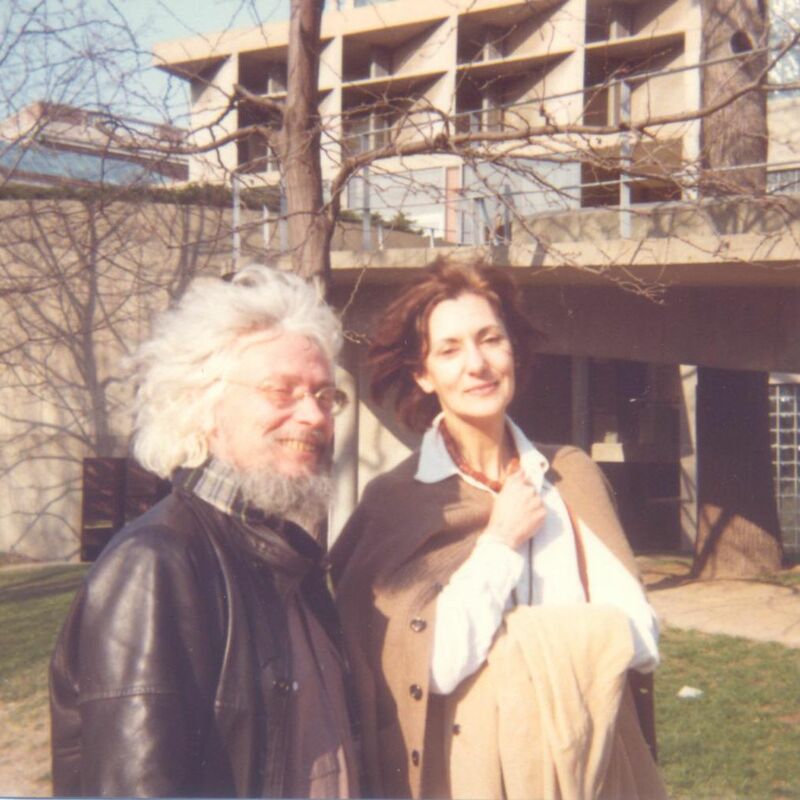 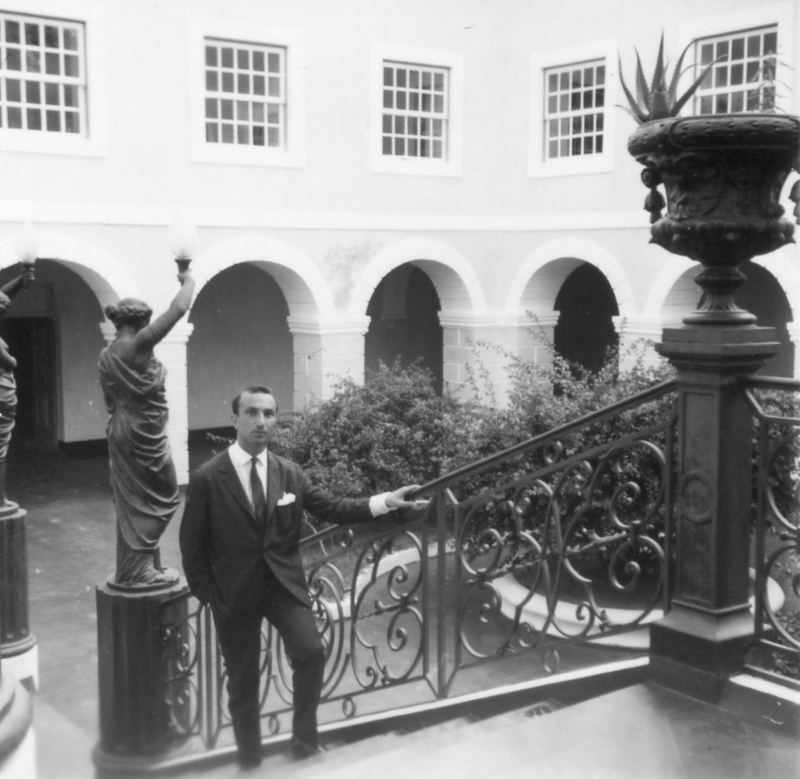 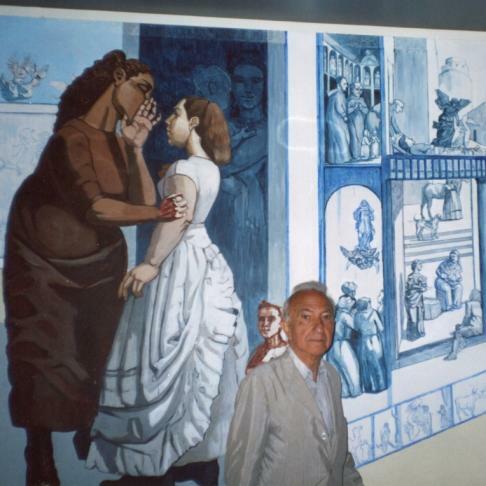 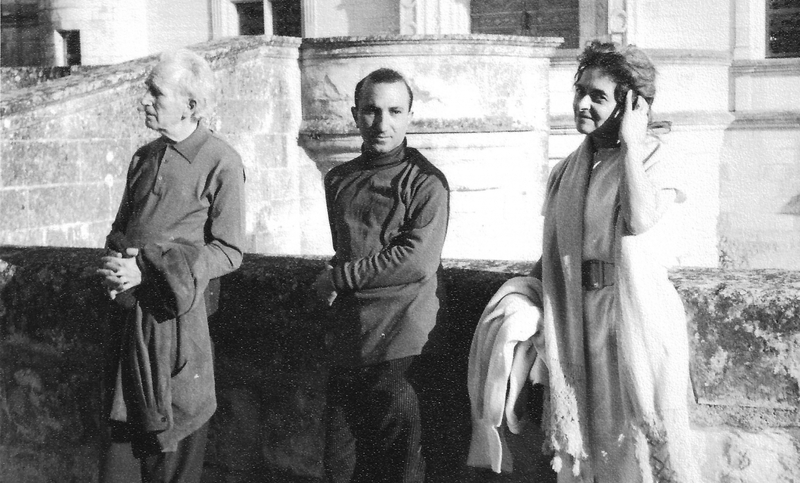 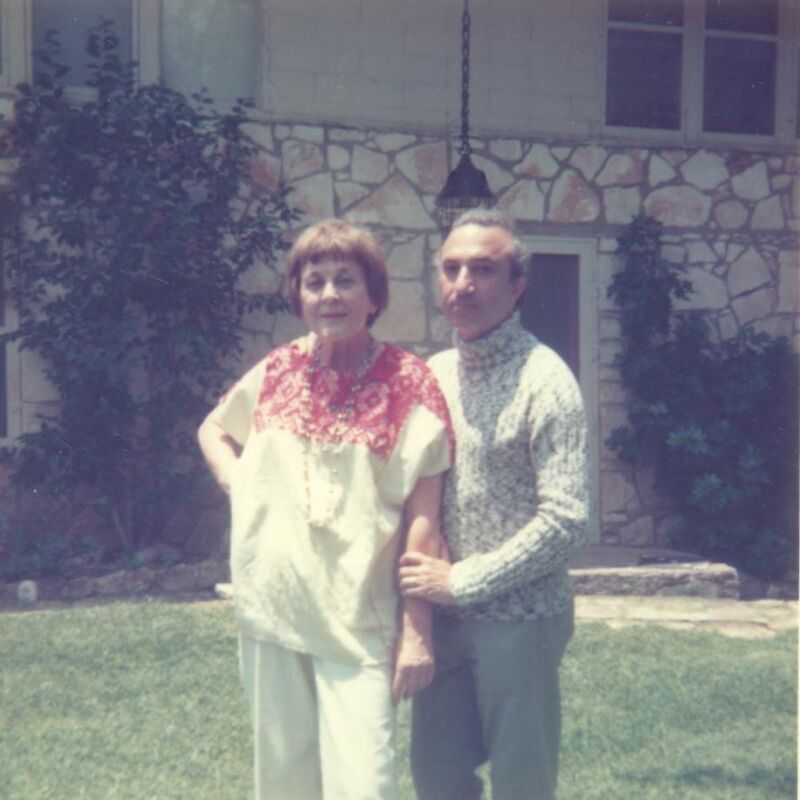 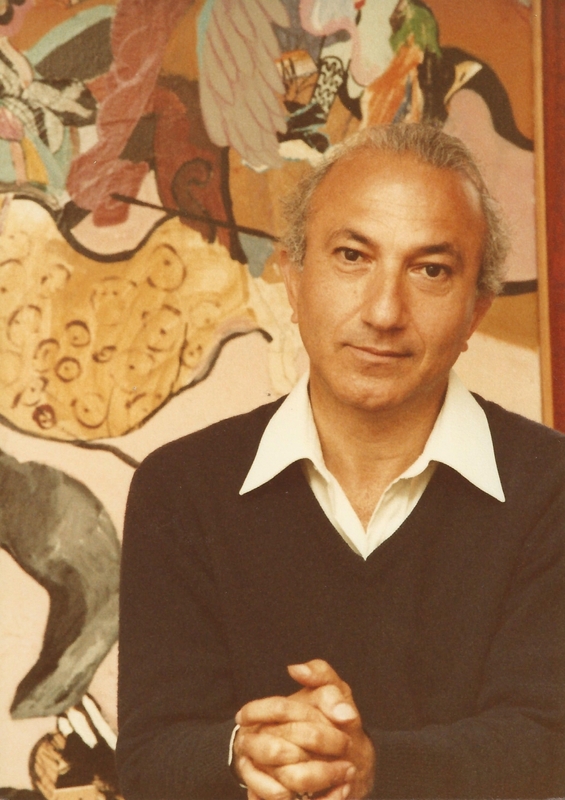 Many of the works of art in Alberto’s estate were gifts from such friends as Jean Hugo, Vieira da Silva, Arpad Szenes, Adrien de Menasce, Victor Willing, and Paula Rego. 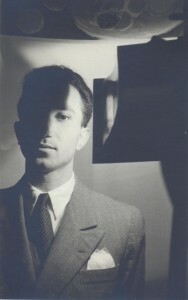 A brief introduction precedes each group of photographs and works of art. 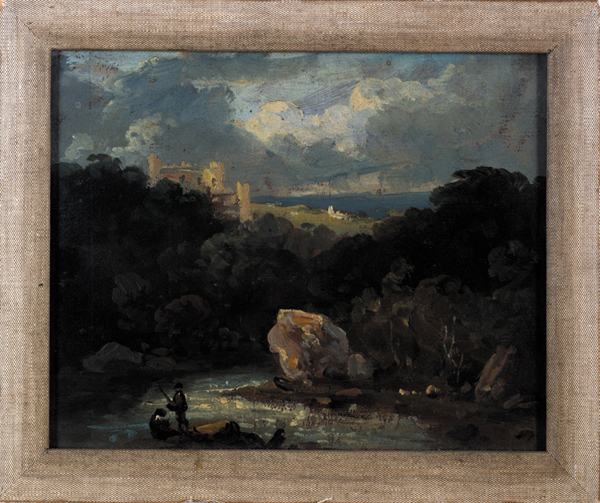 Clicking on an image will allow fullscreen viewing and information details. 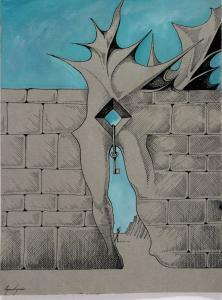 Every effort has been made to obtain all necessary permissions. 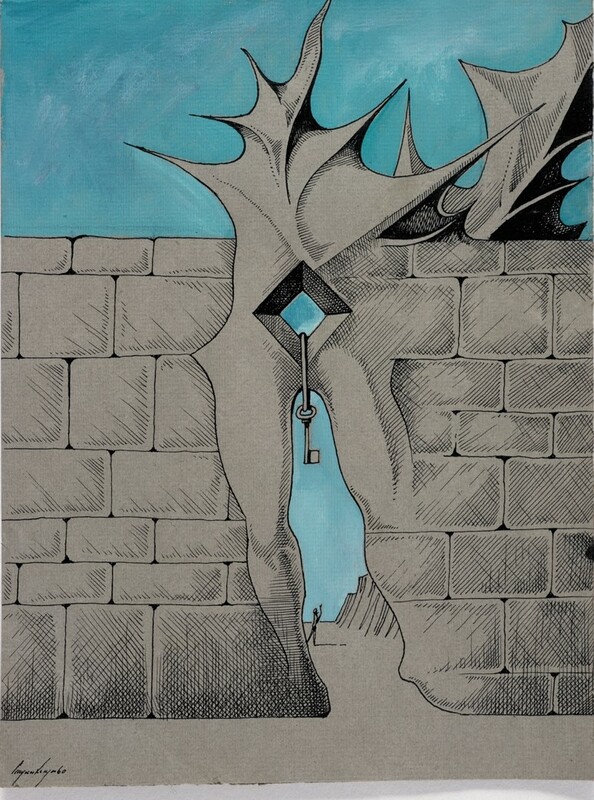 Any comments and suggestions are welcome. 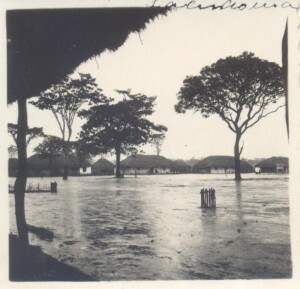 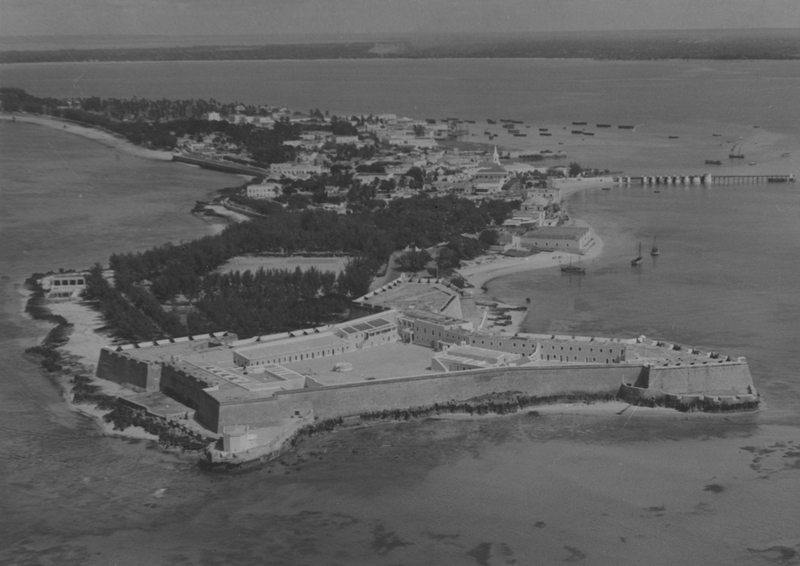 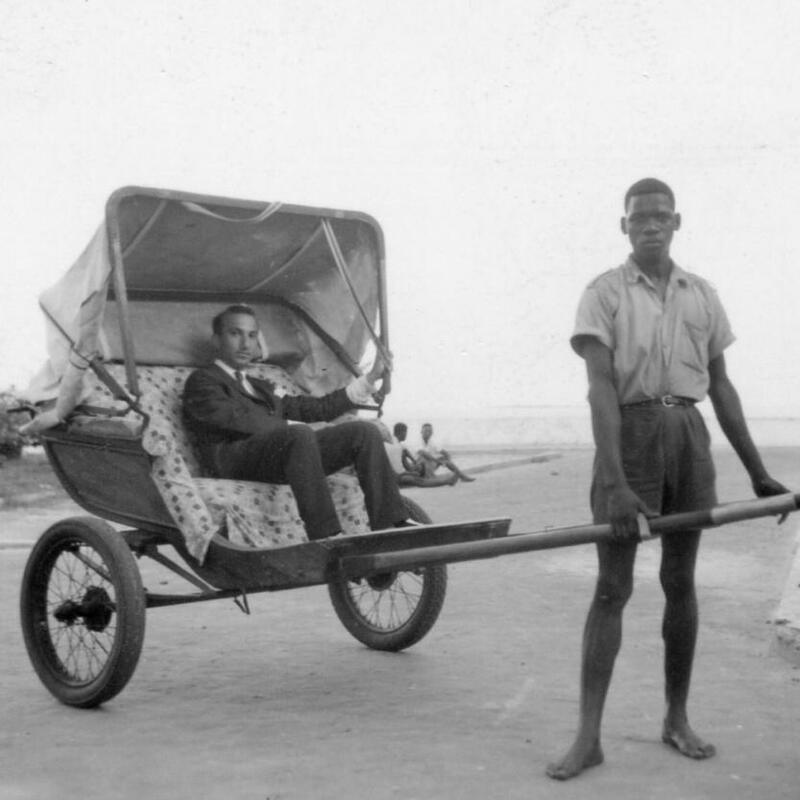 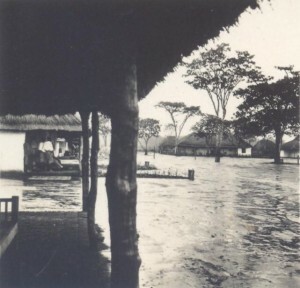 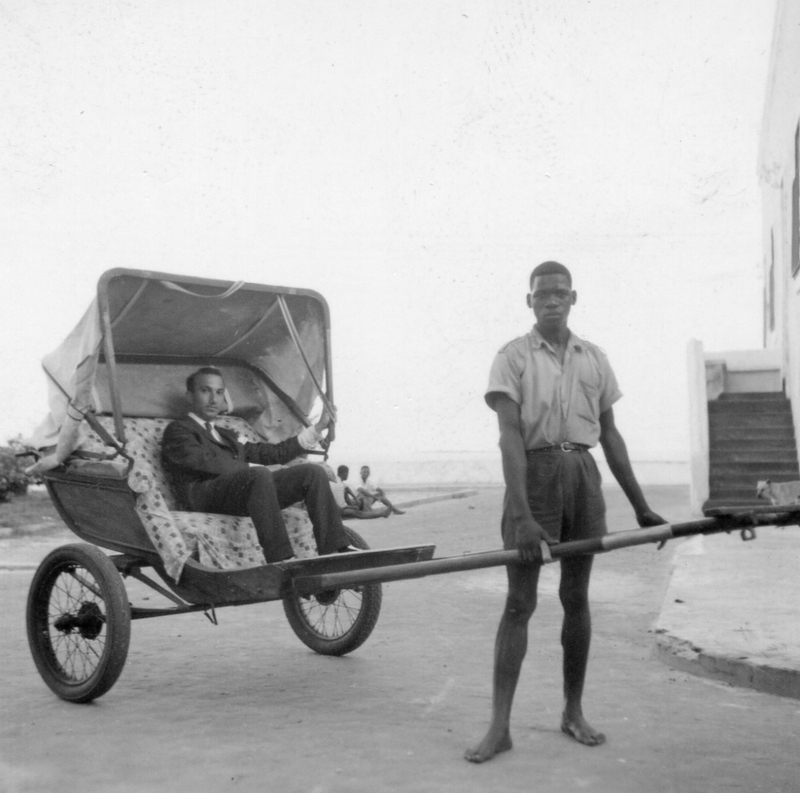 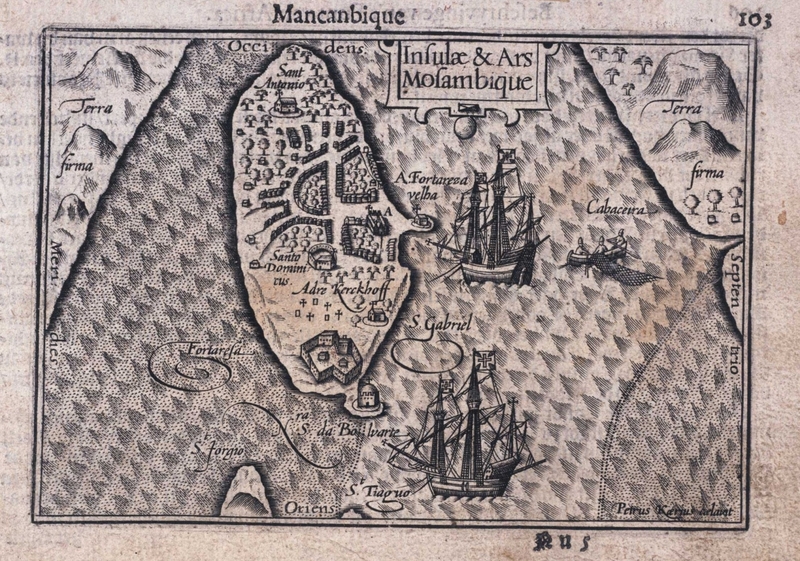 This section records aspects of colonial Mozambique and introduces us to Alberto’s family. Some of the most distinguished figures in Lisbon’s cultural circles of the time are included in this section. 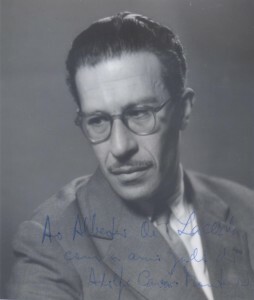 Alberto’s photographs by Fernando Lemos have been widely exhibited in Portugal. 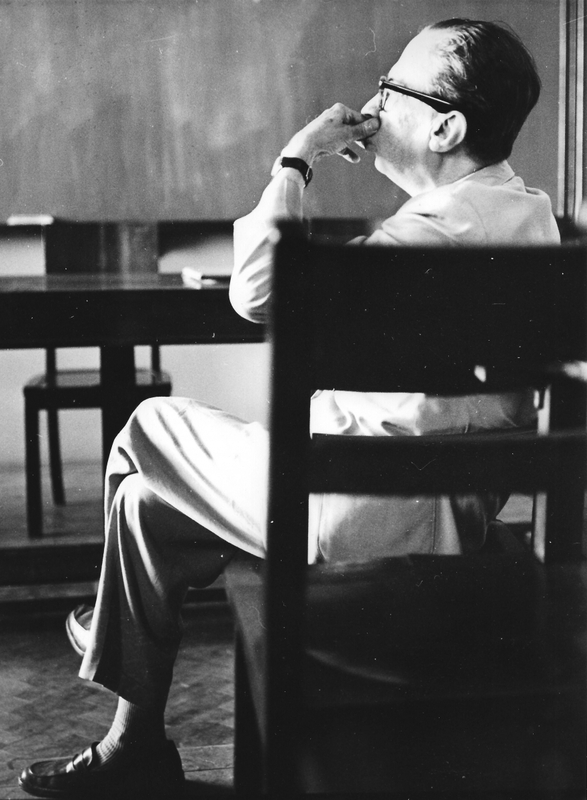 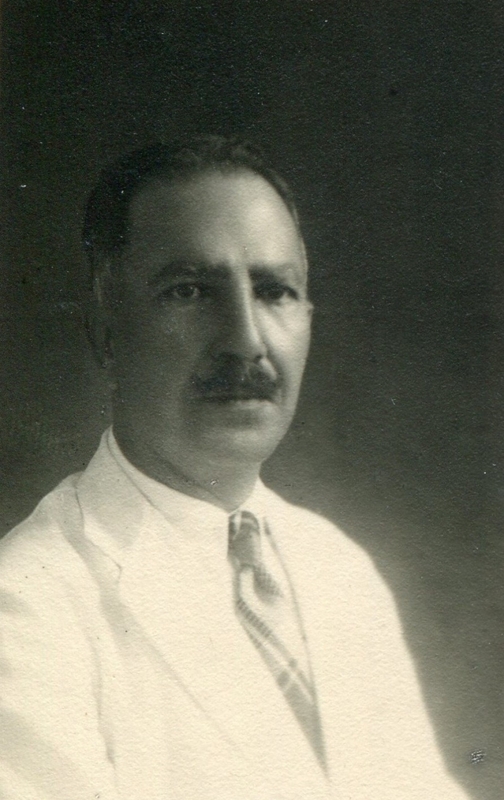 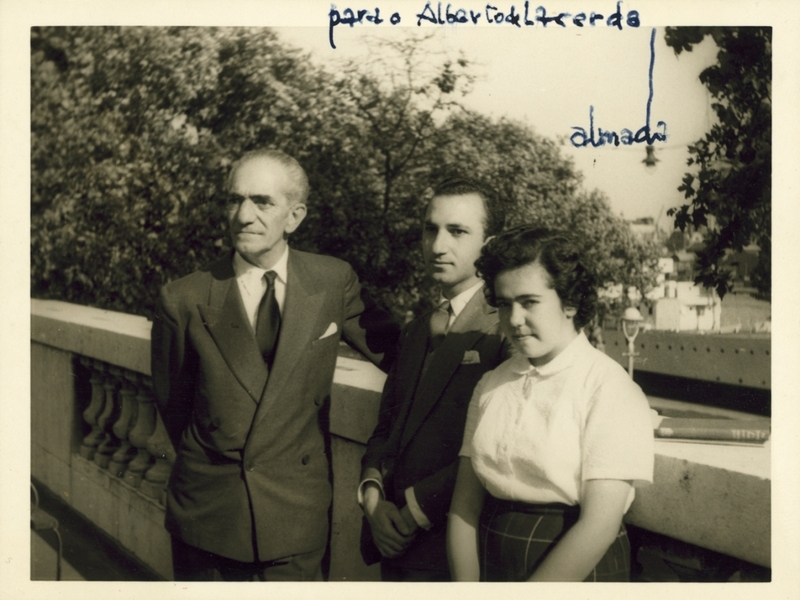 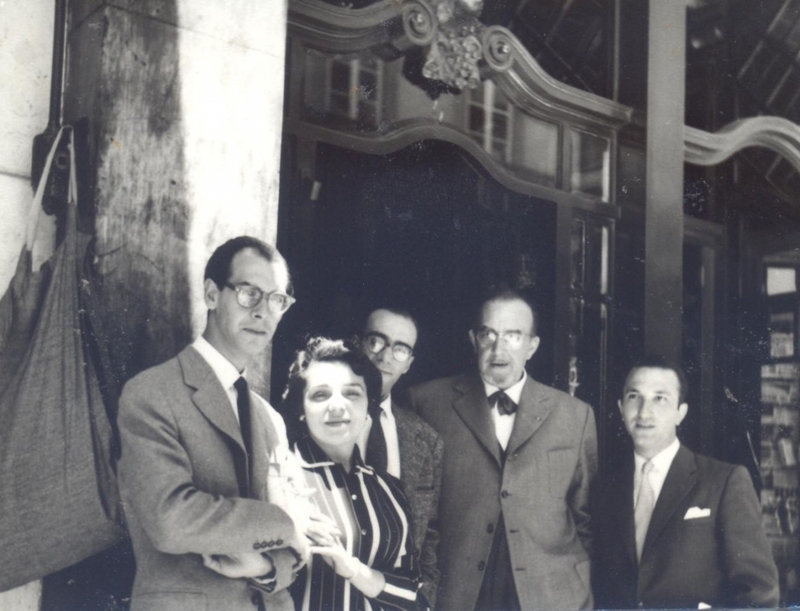 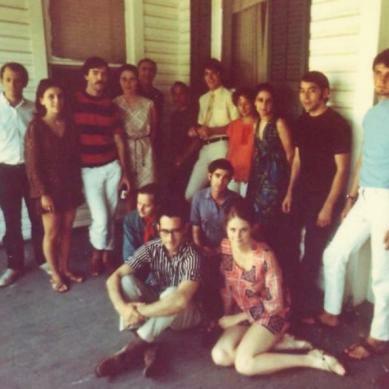 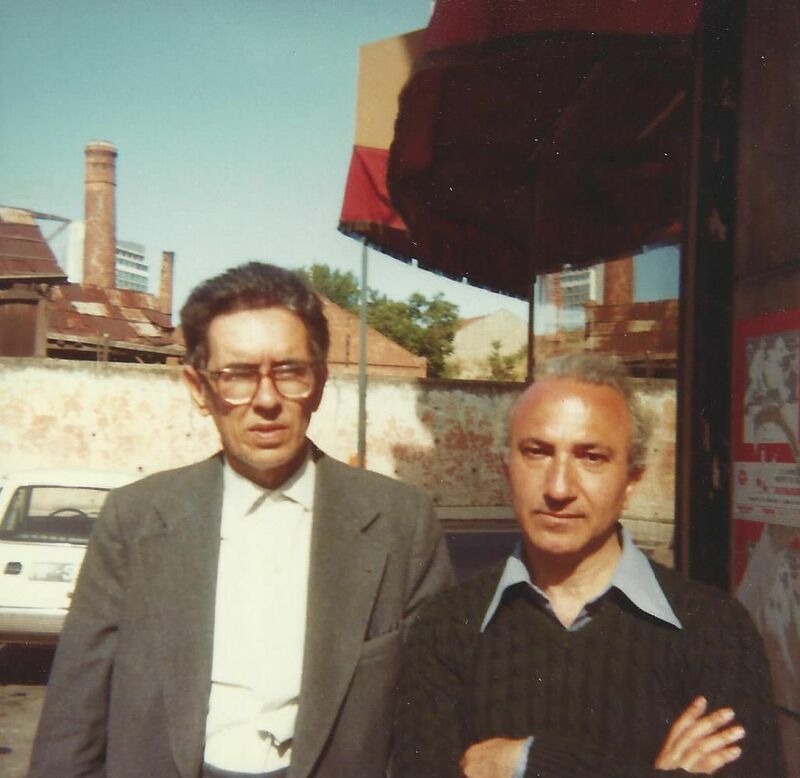 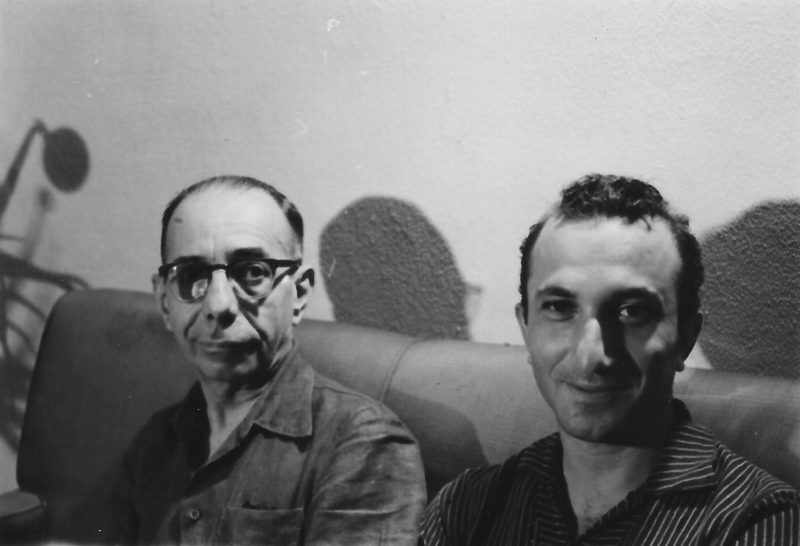 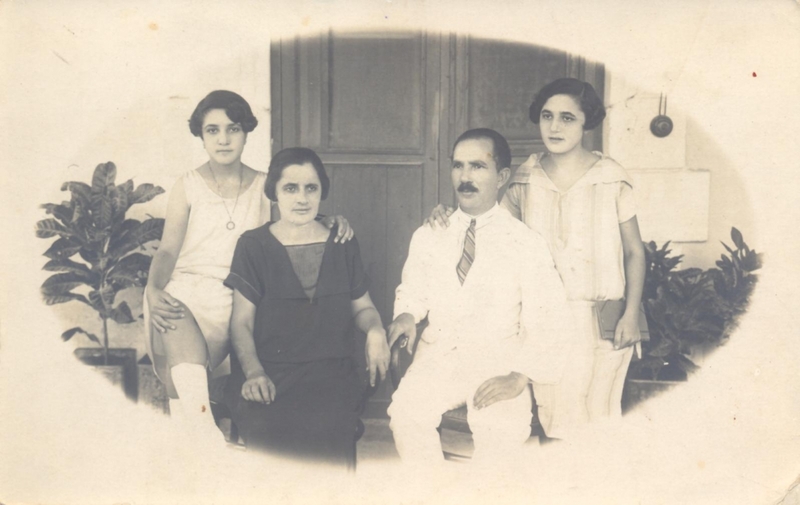 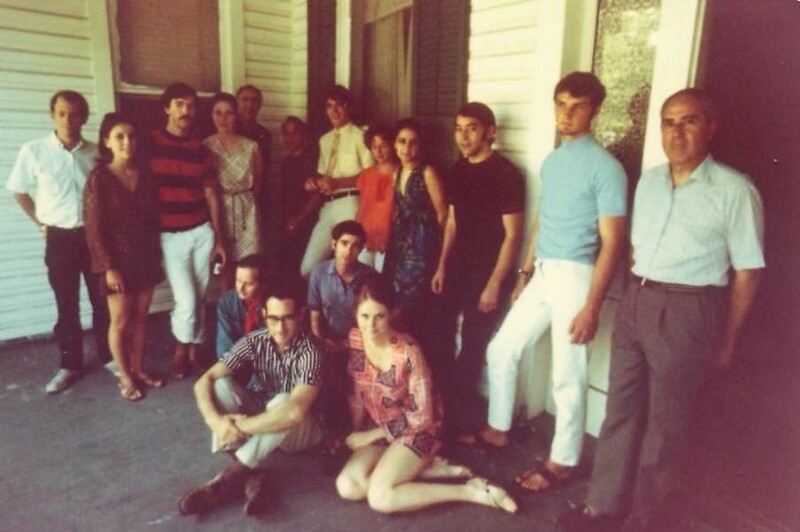 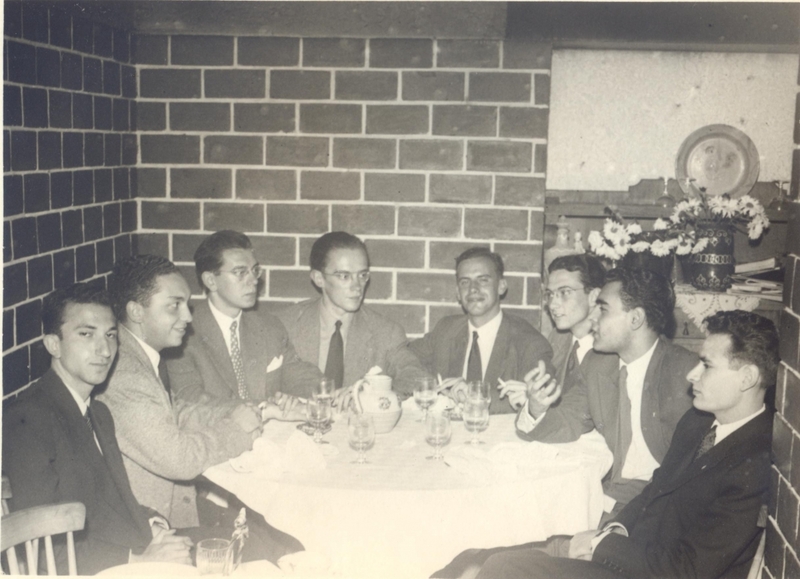 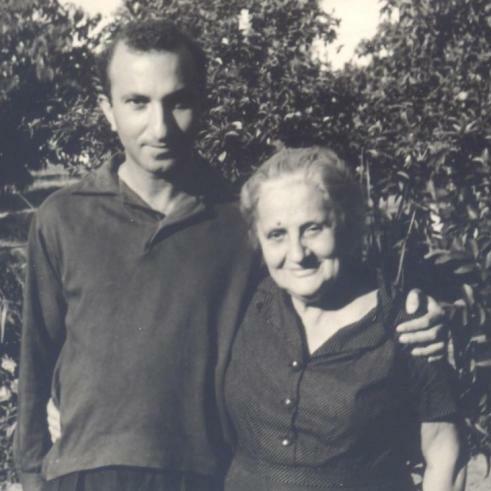 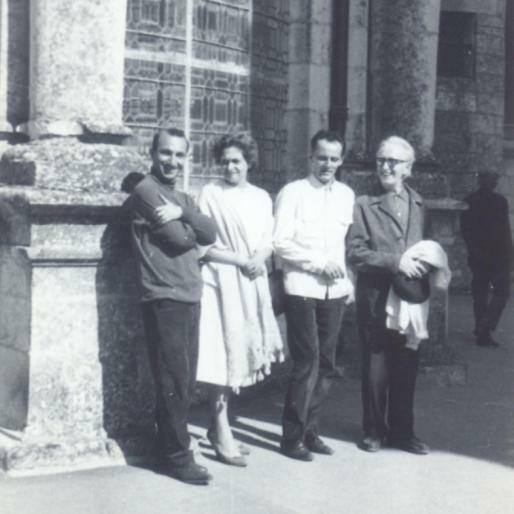 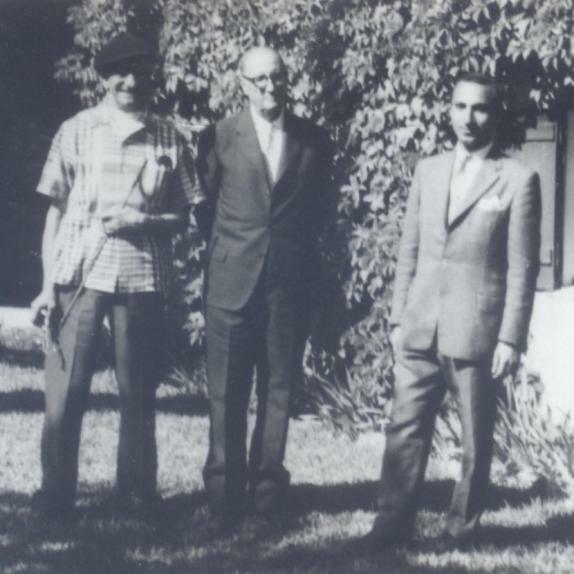 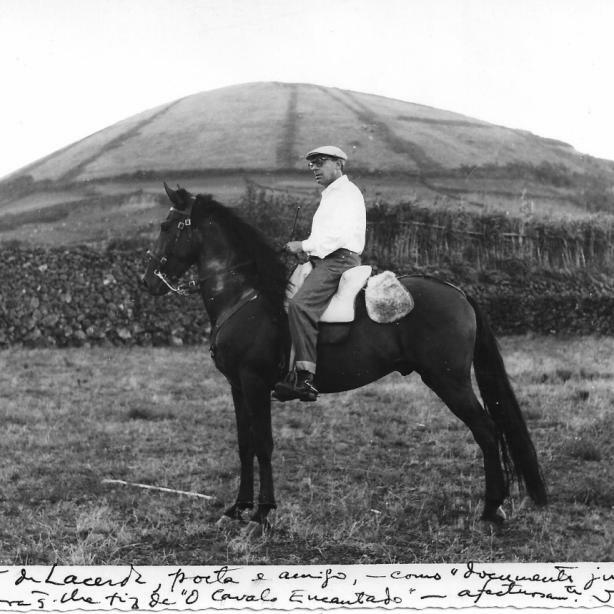 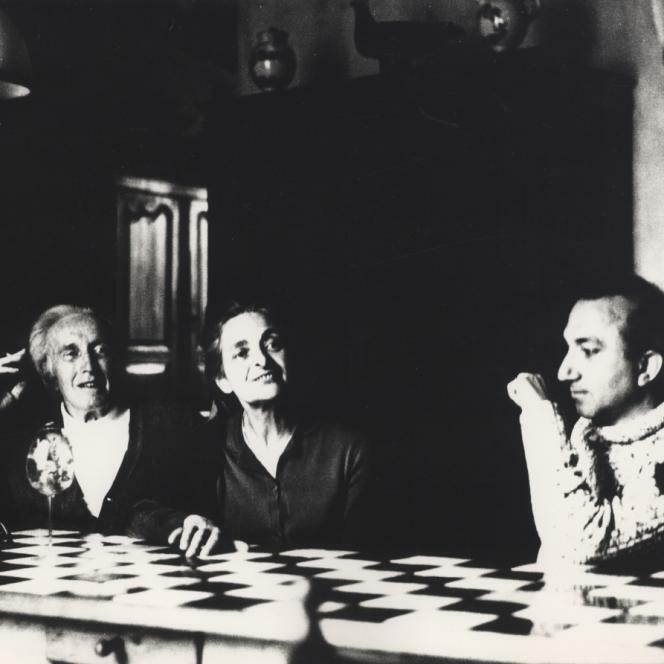 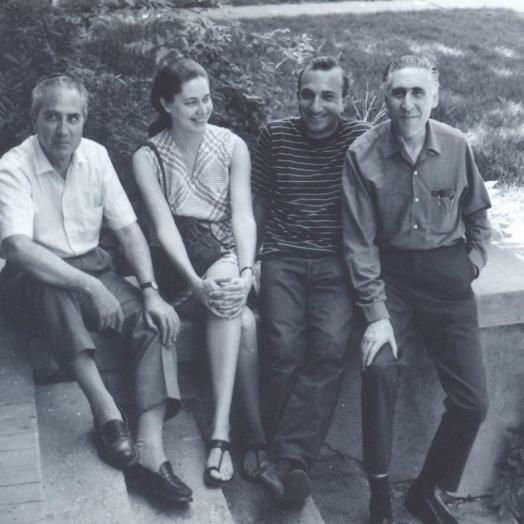 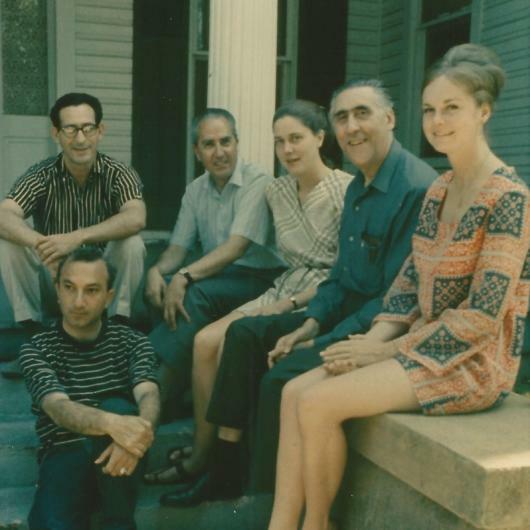 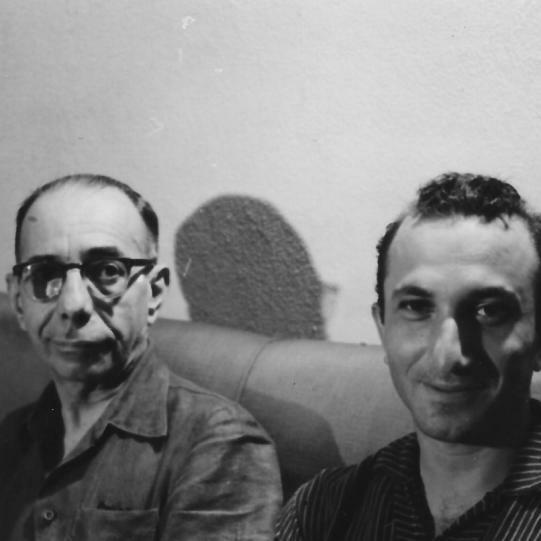 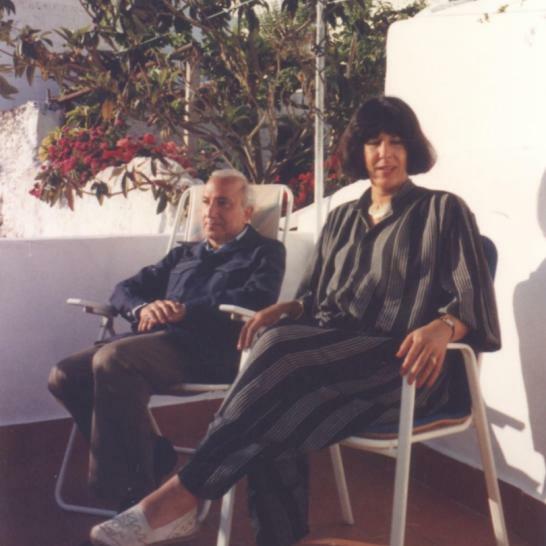 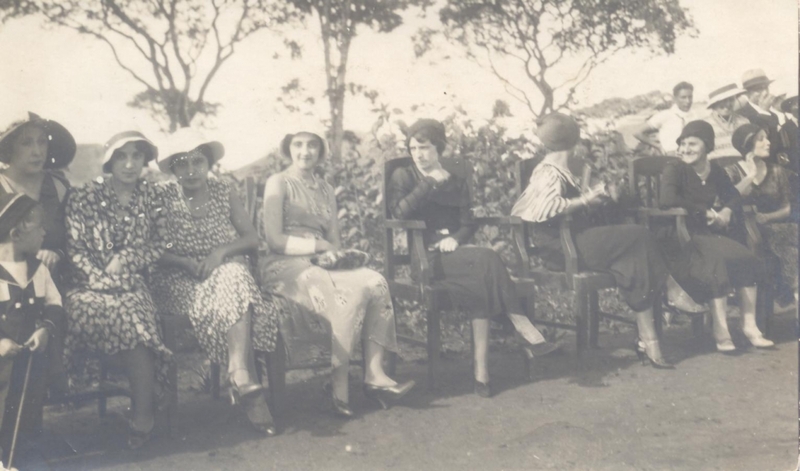 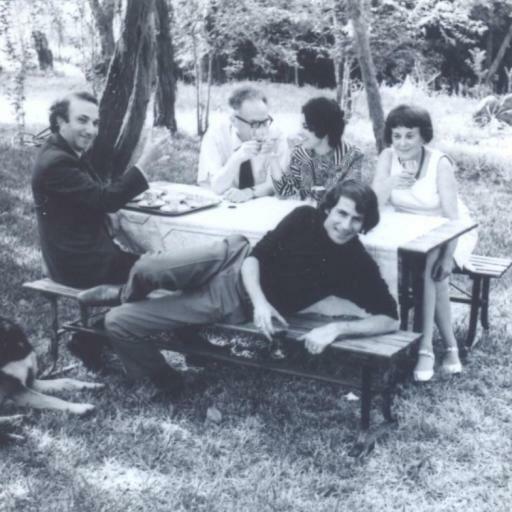 Included here are photographs of Pierino Gamba, José de Almada Negreiros, Adolfo Casais Monteiro, Jorge de Sena, Sophia de Mello Breyner, the Távola Redonda group, Mário Cesariny, Fernando and Maria Emília Azevedo, José-Augusto França, and António Pedro. 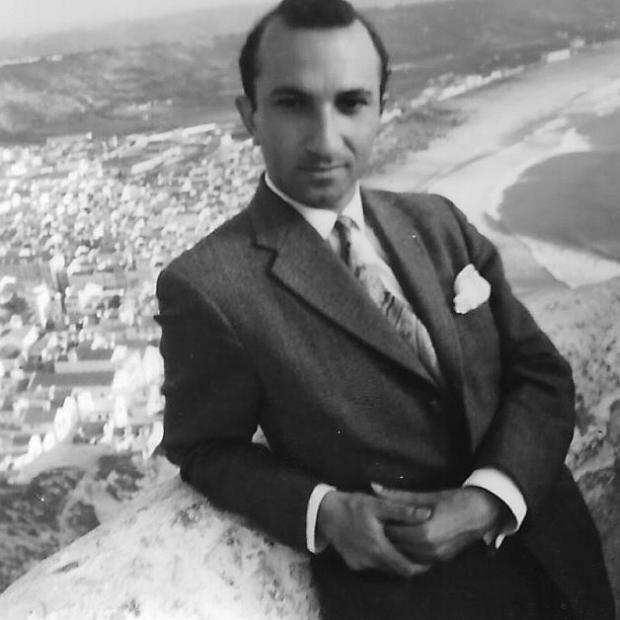 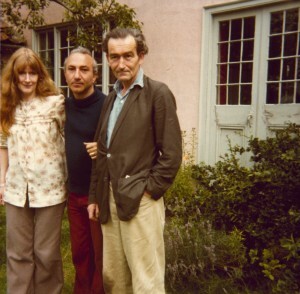 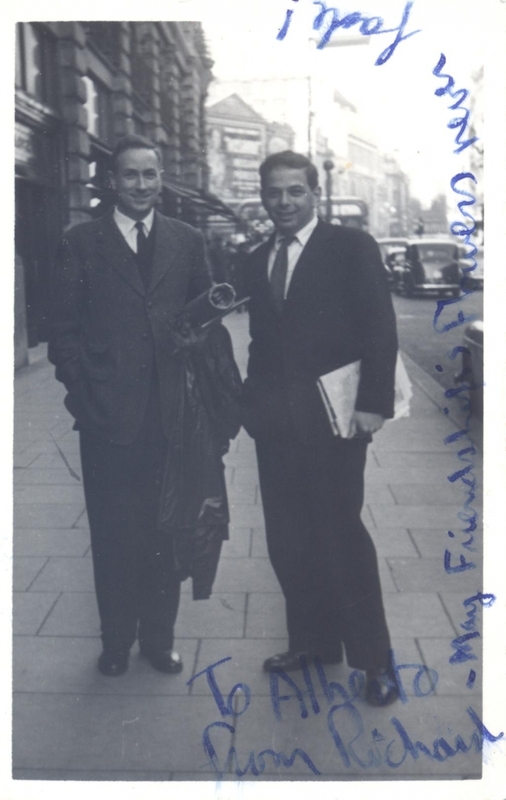 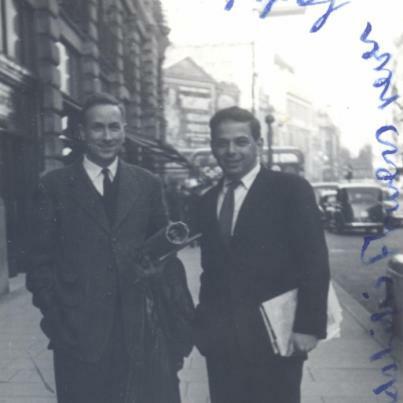 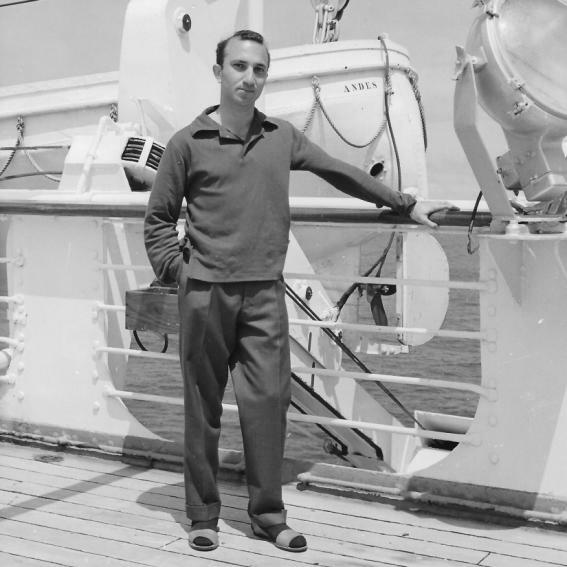 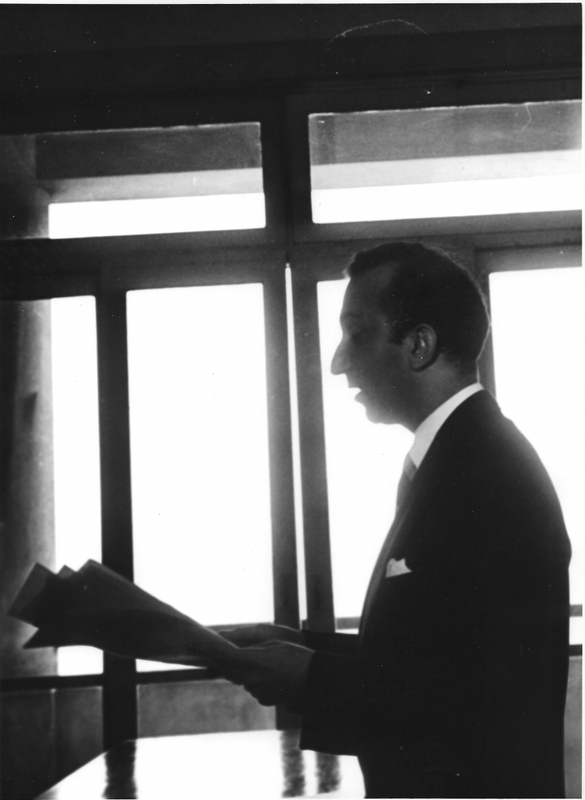 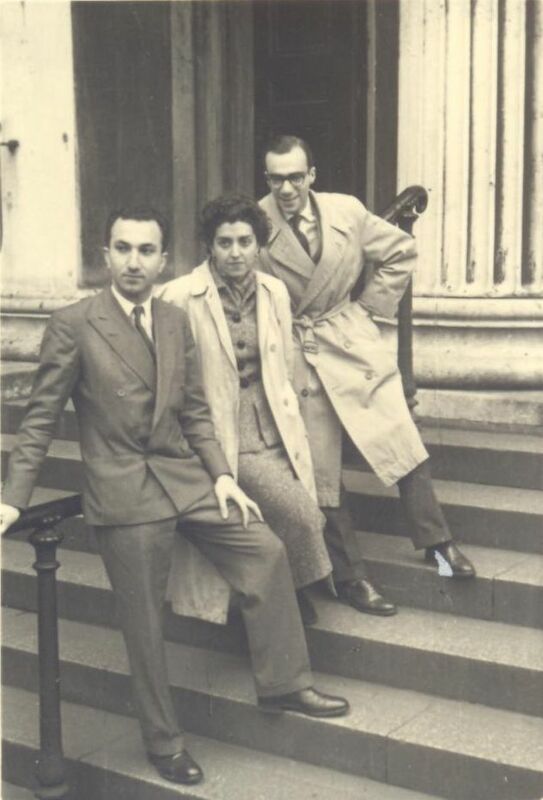 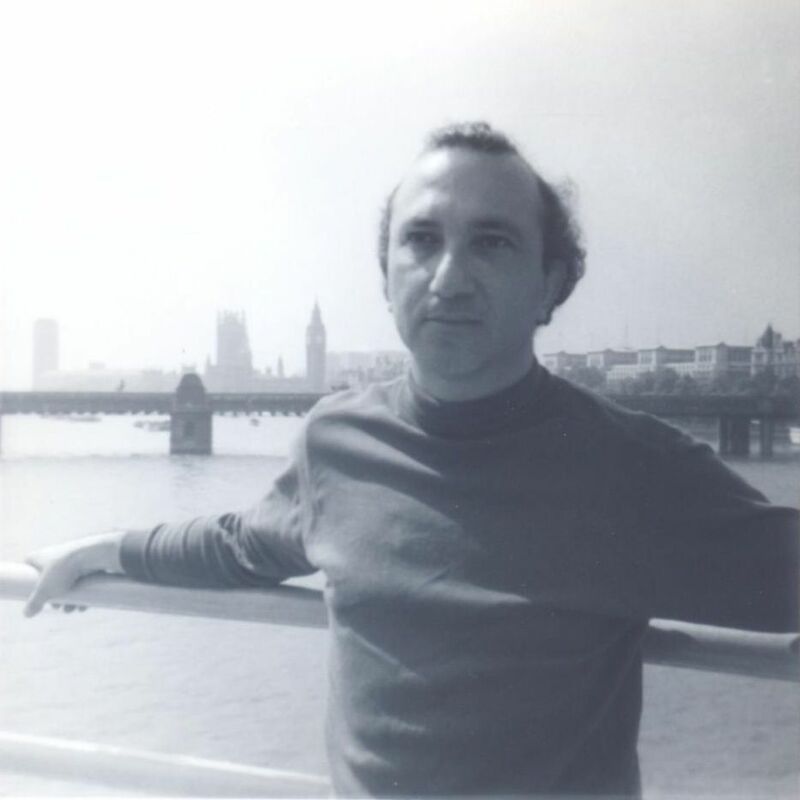 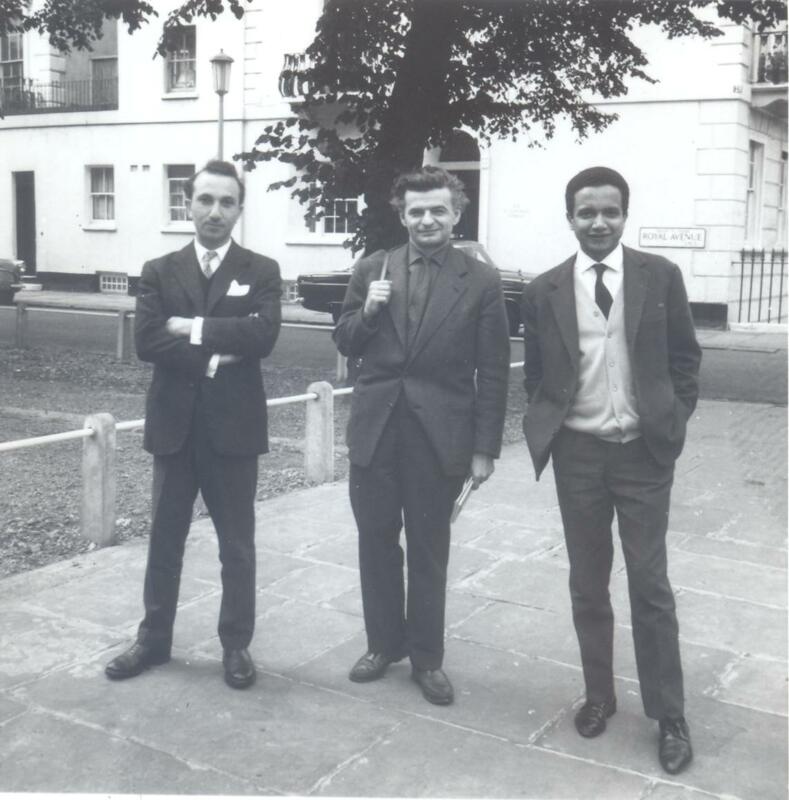 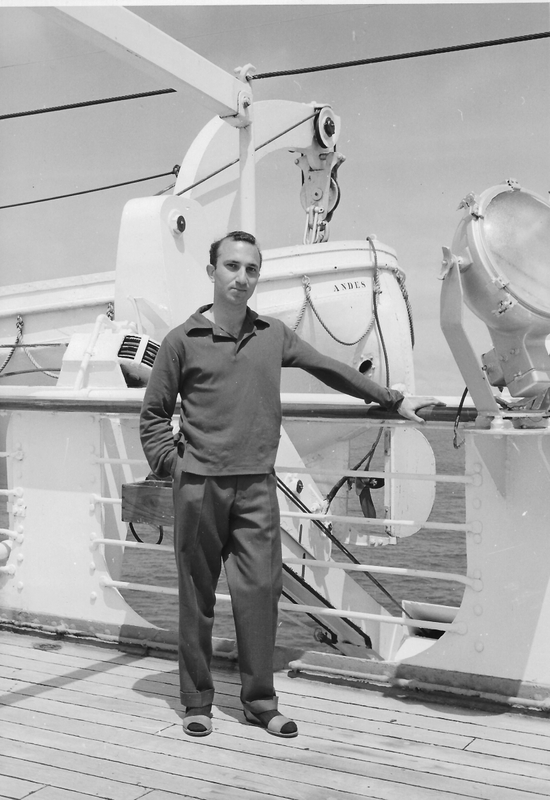 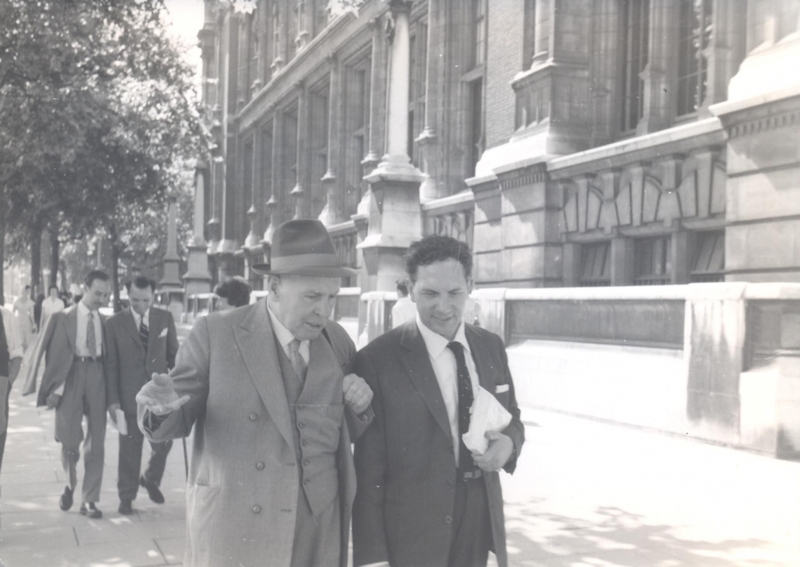 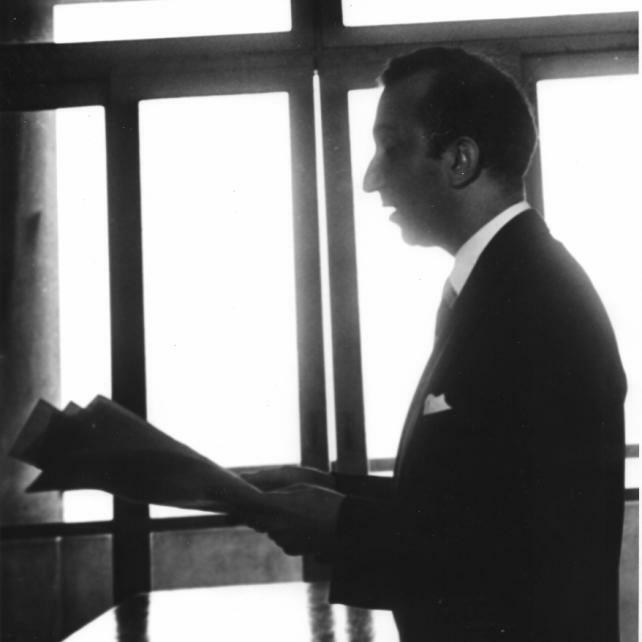 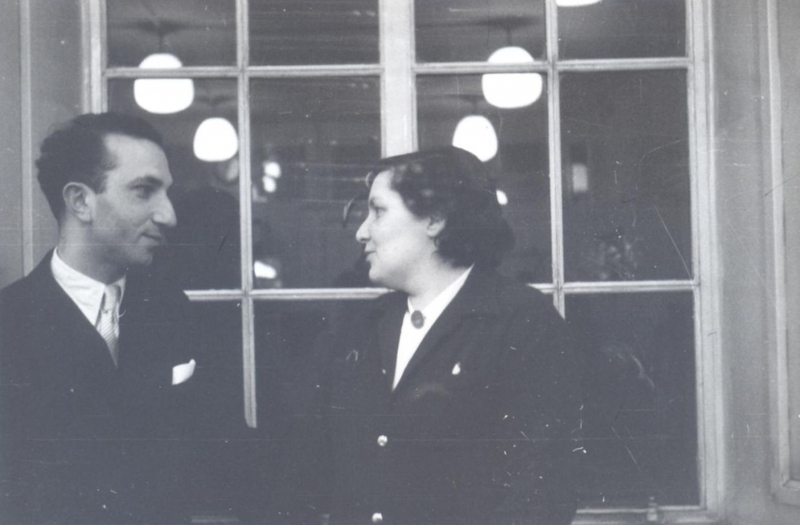 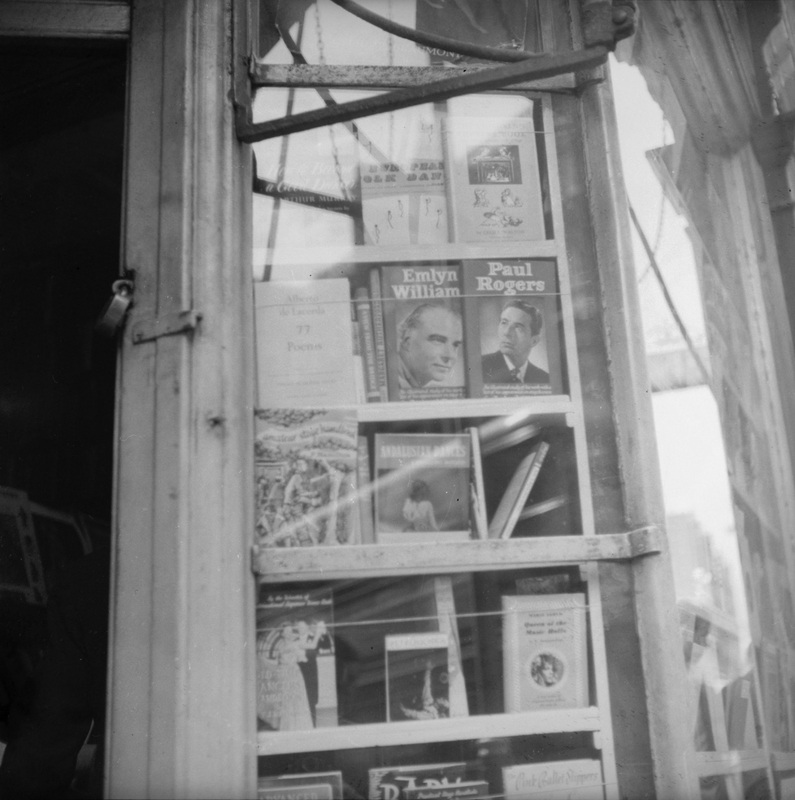 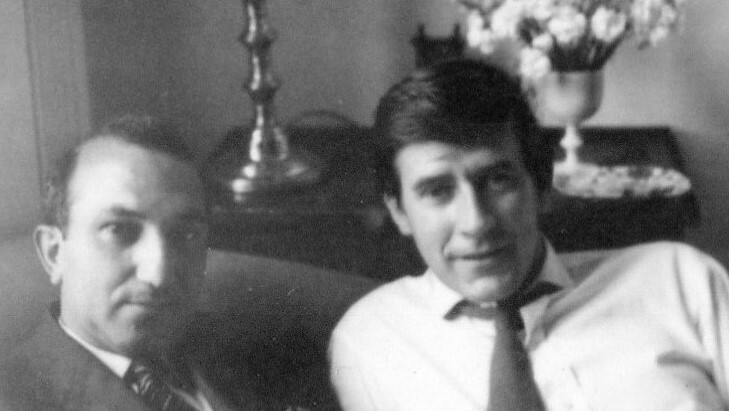 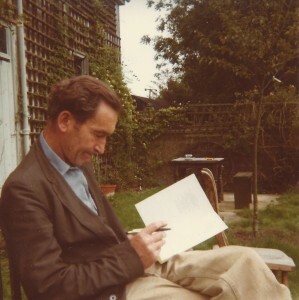 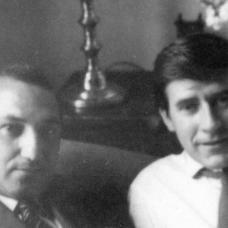 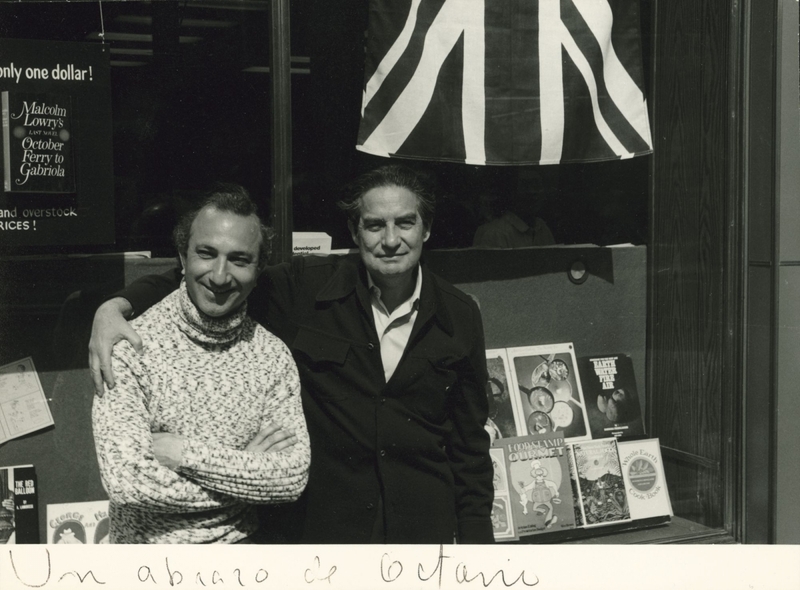 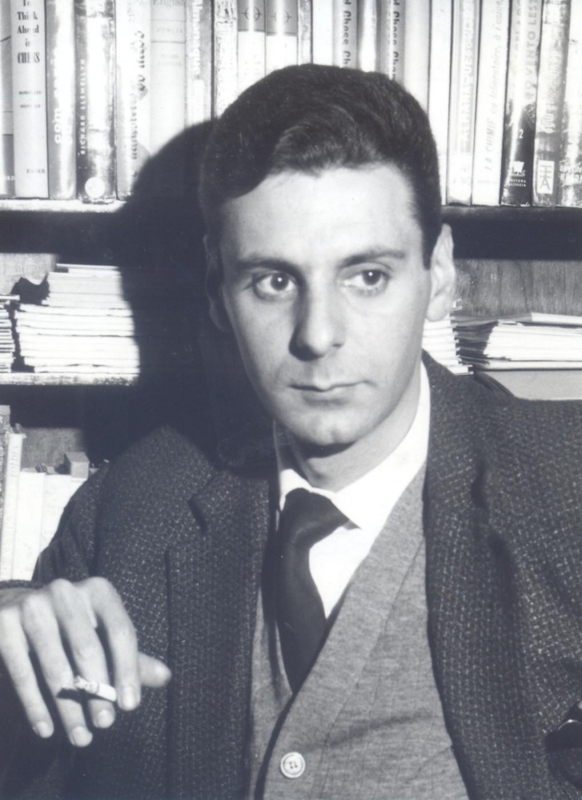 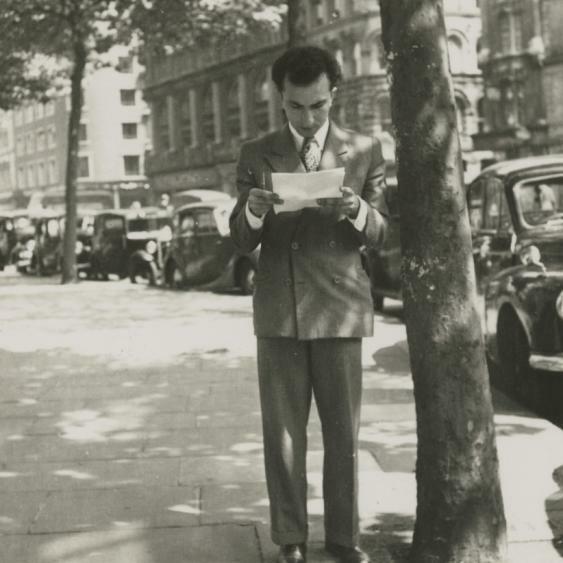 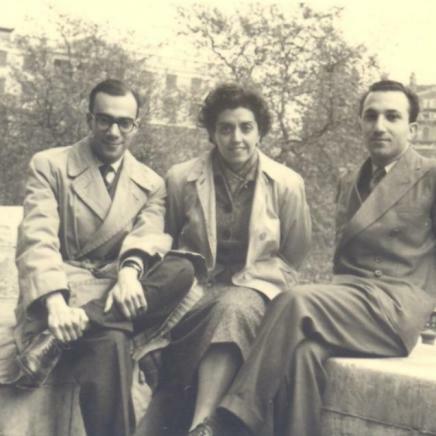 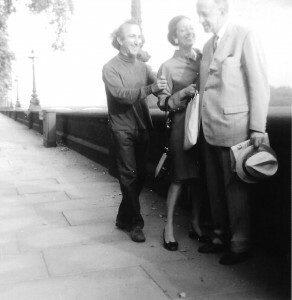 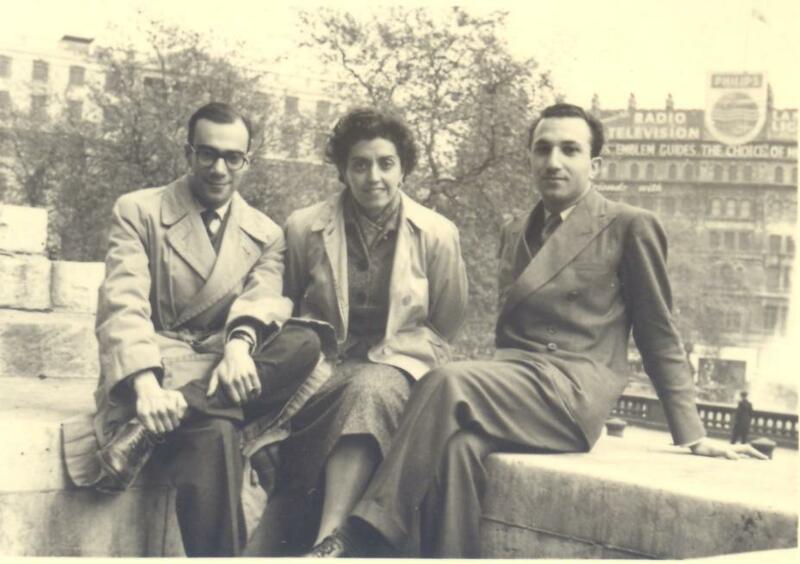 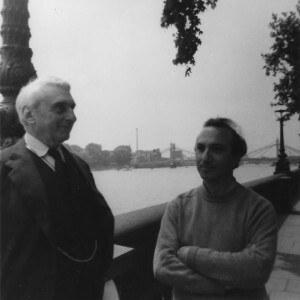 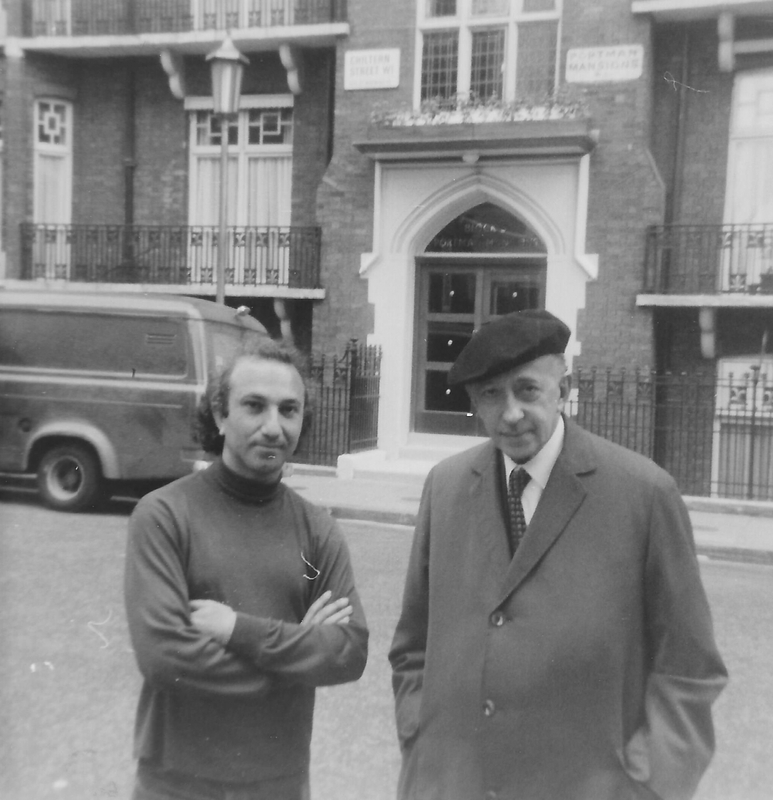 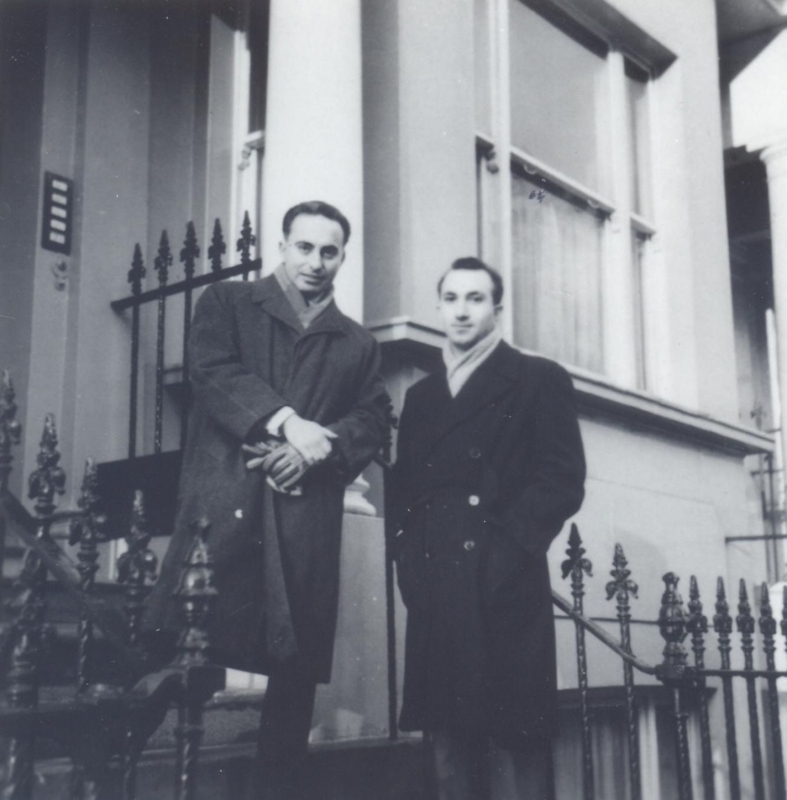 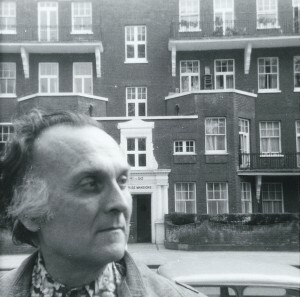 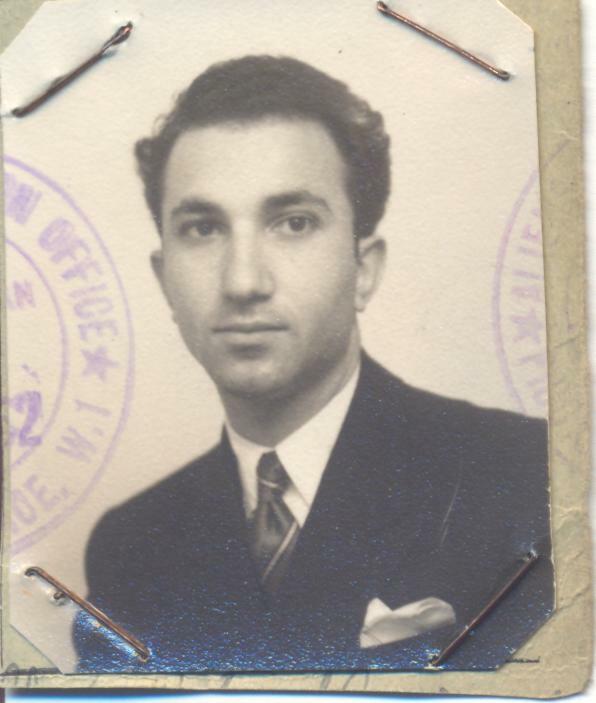 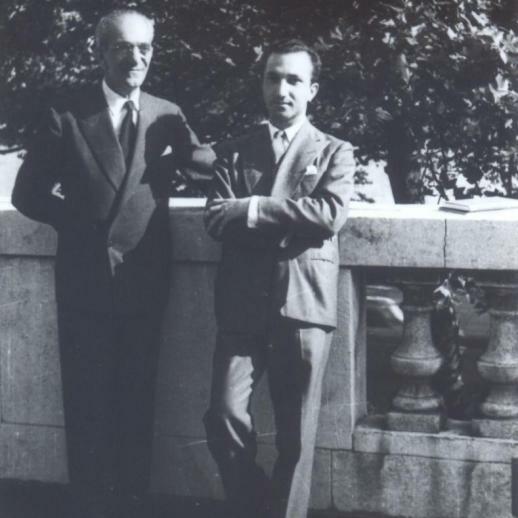 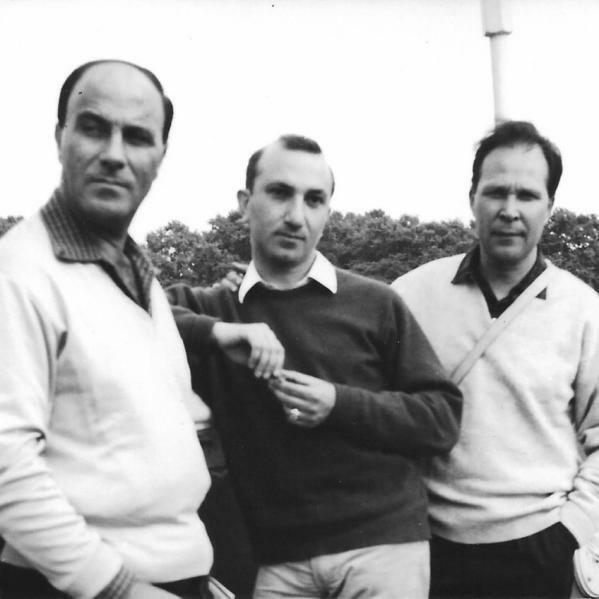 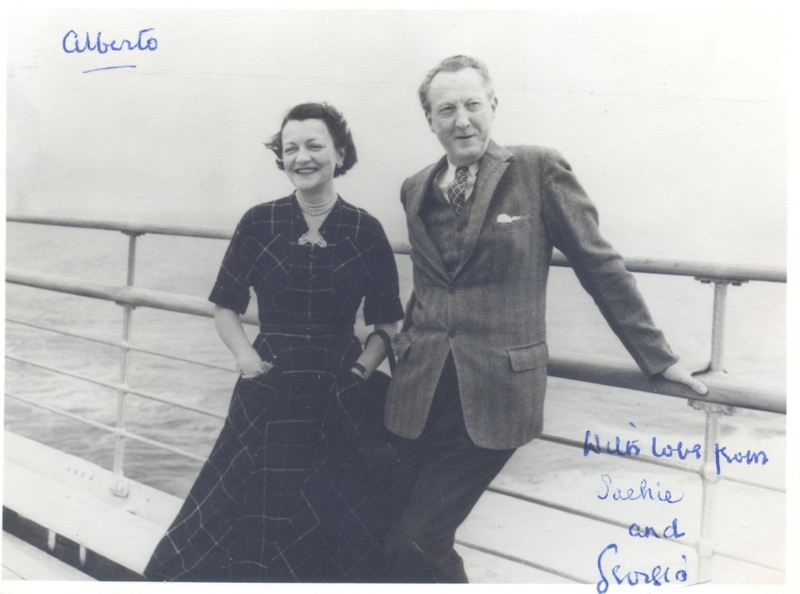 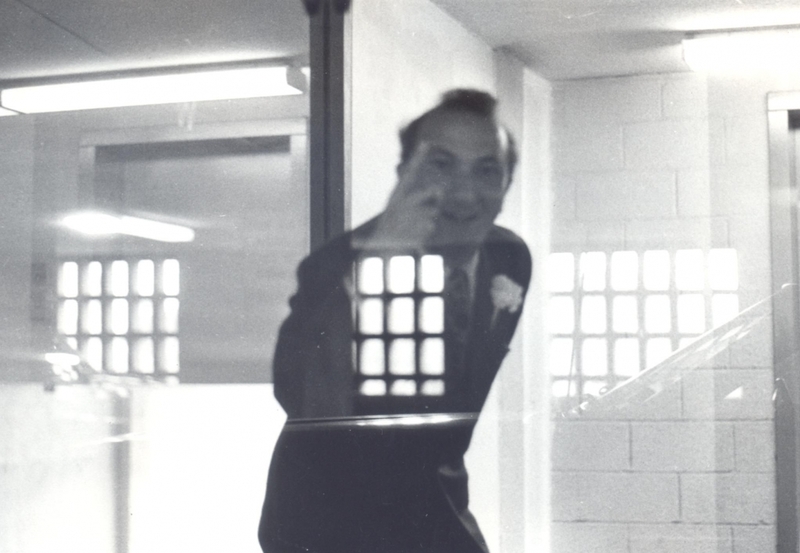 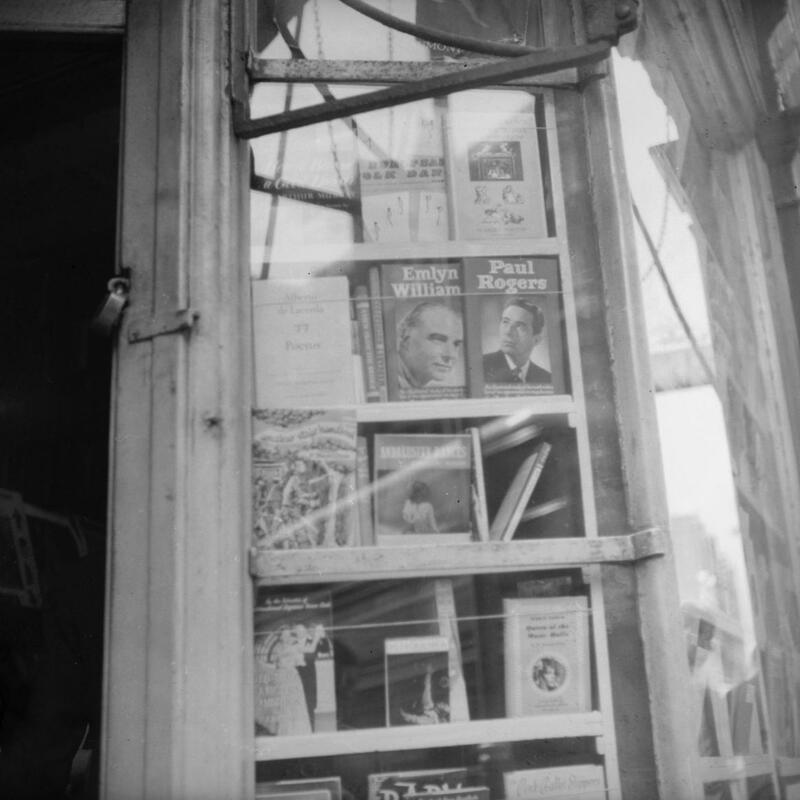 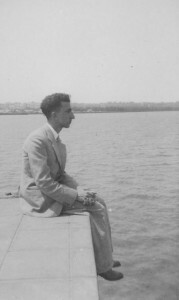 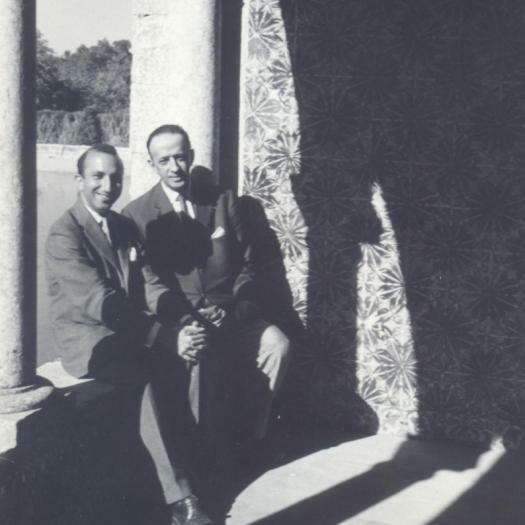 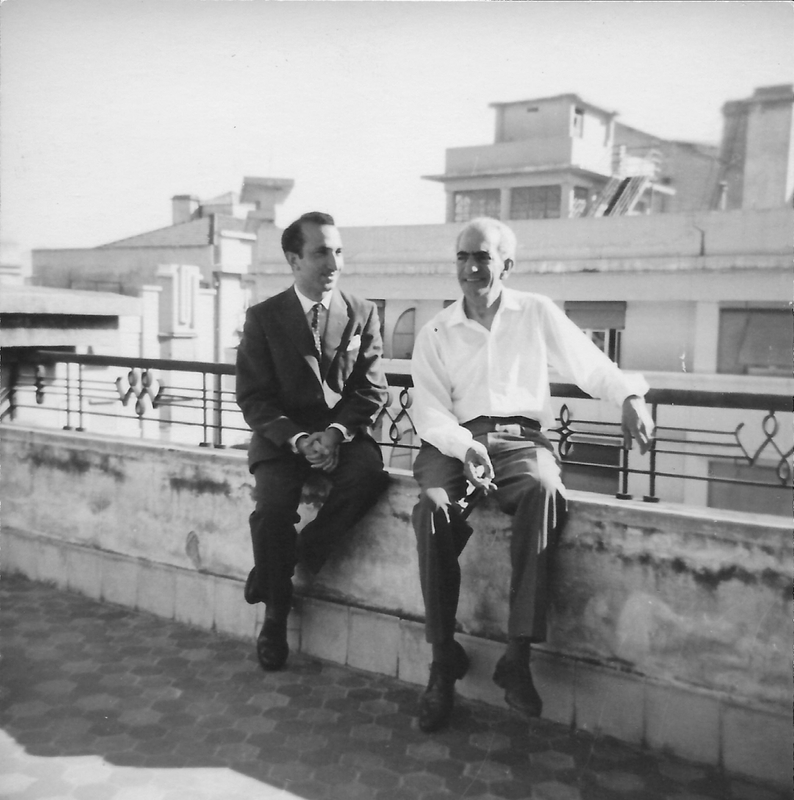 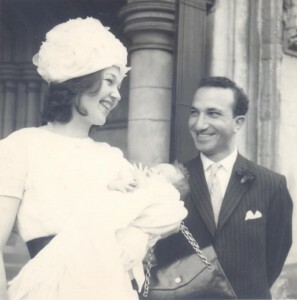 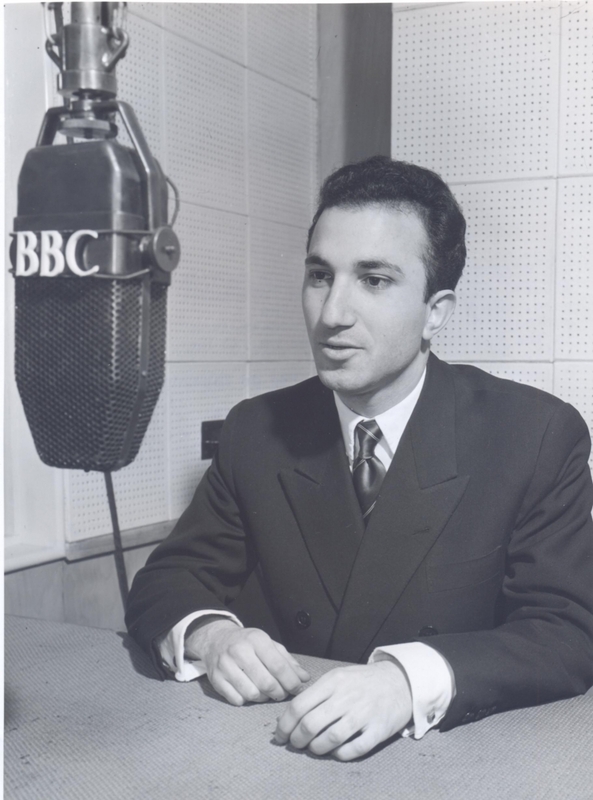 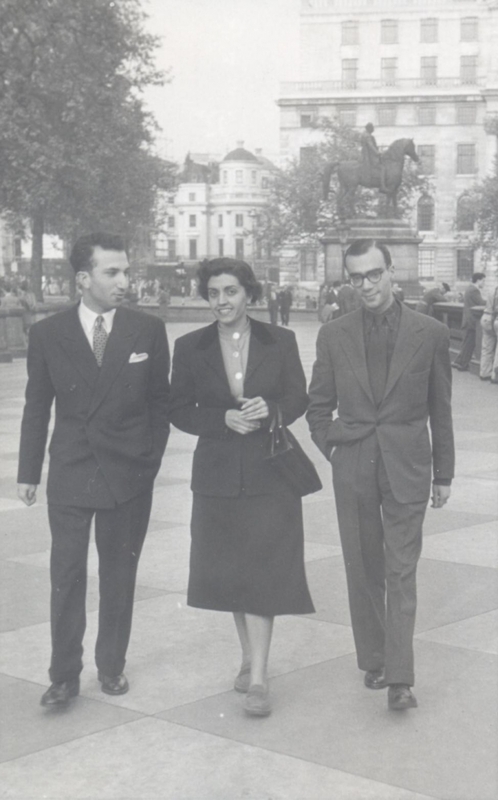 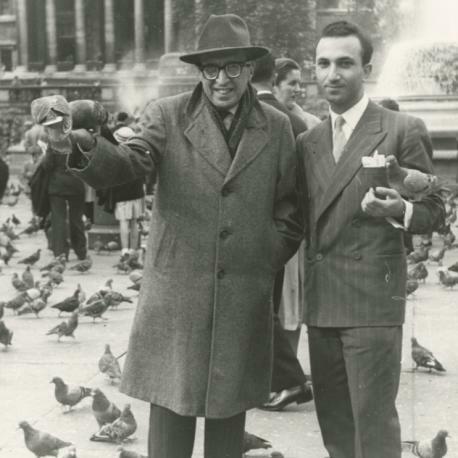 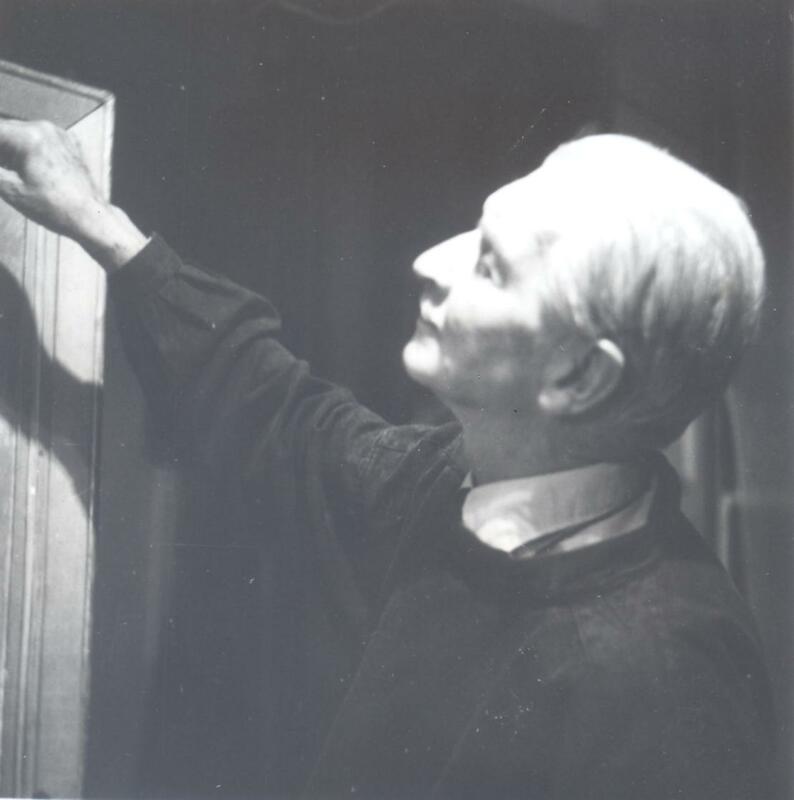 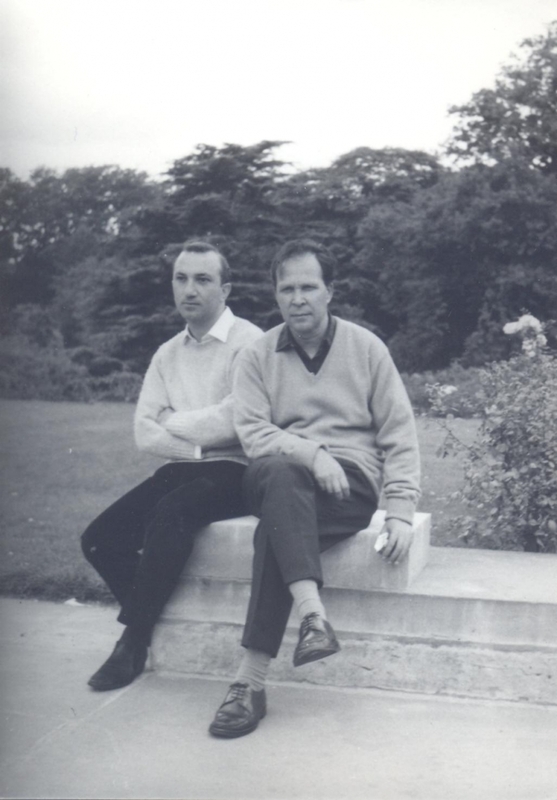 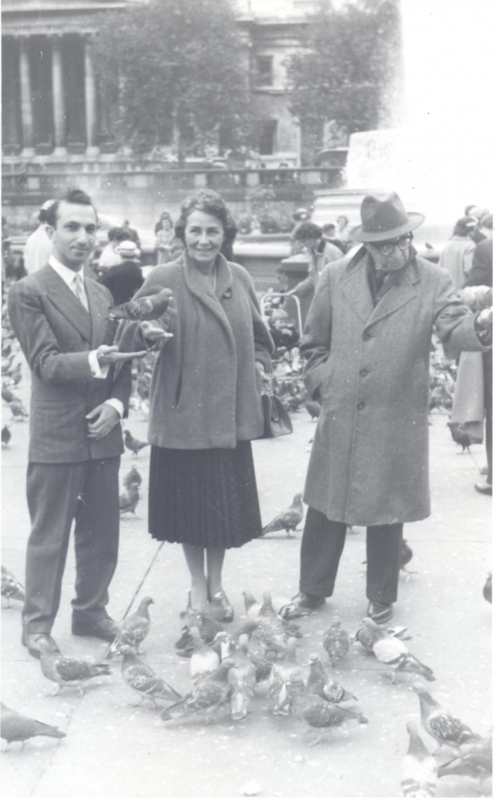 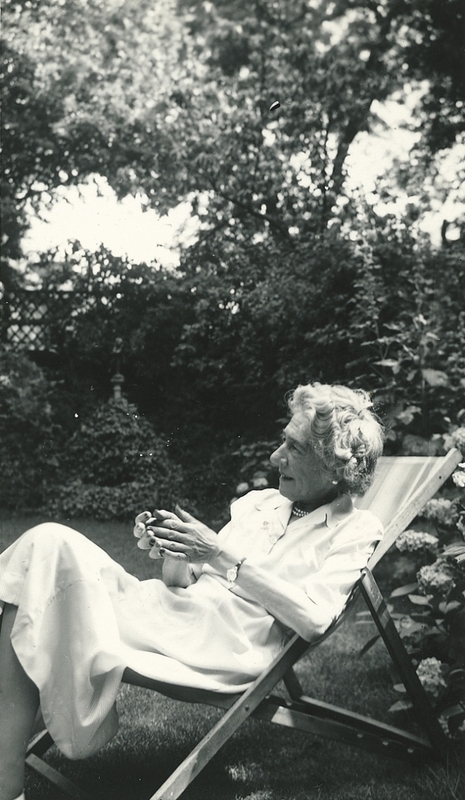 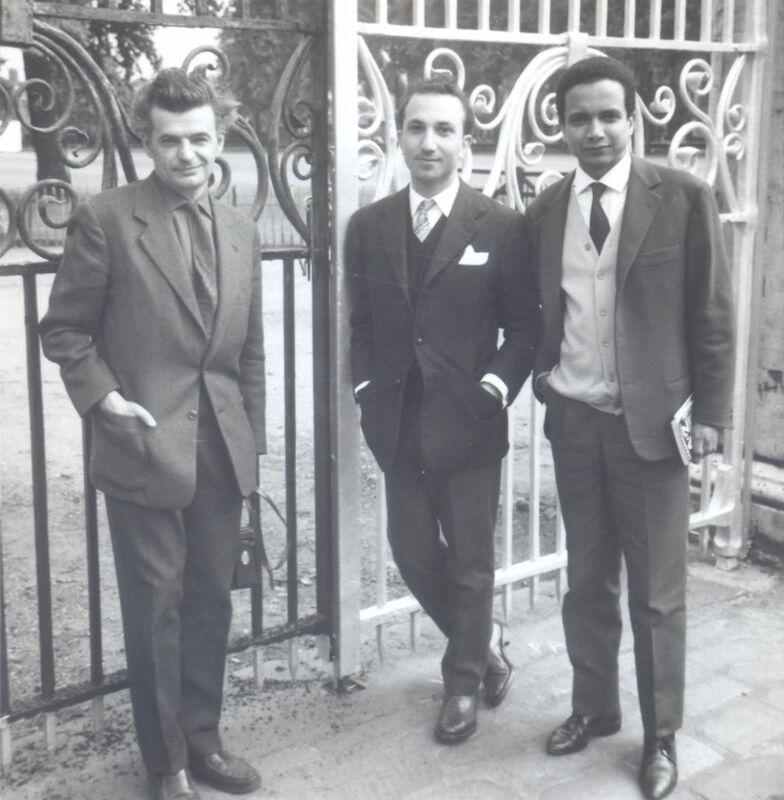 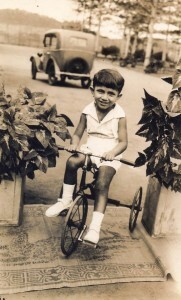 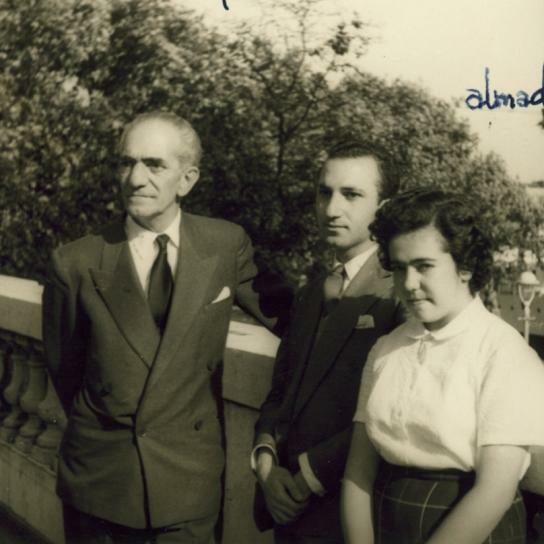 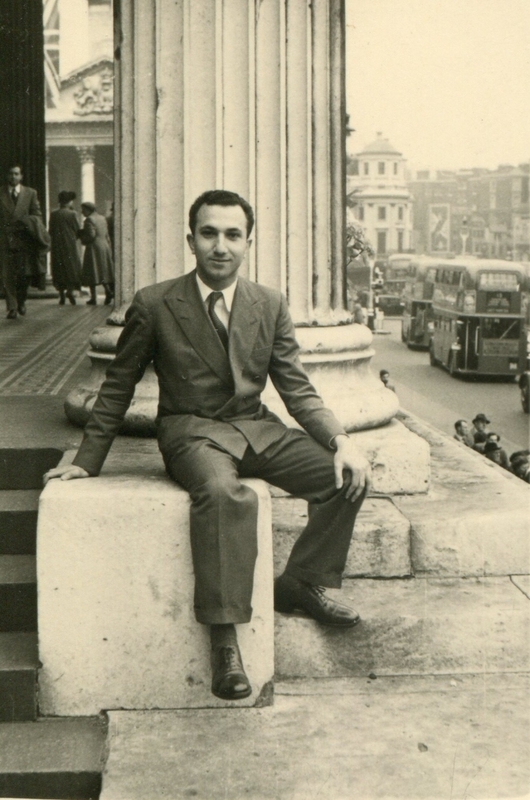 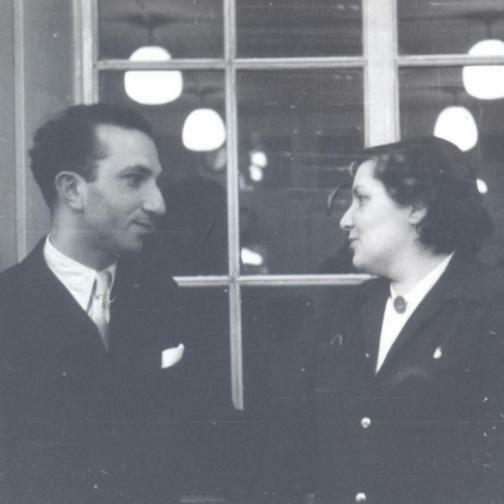 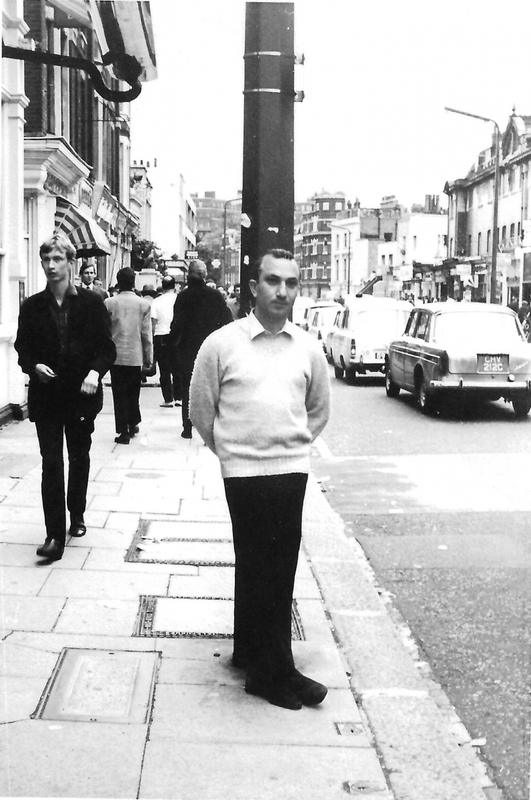 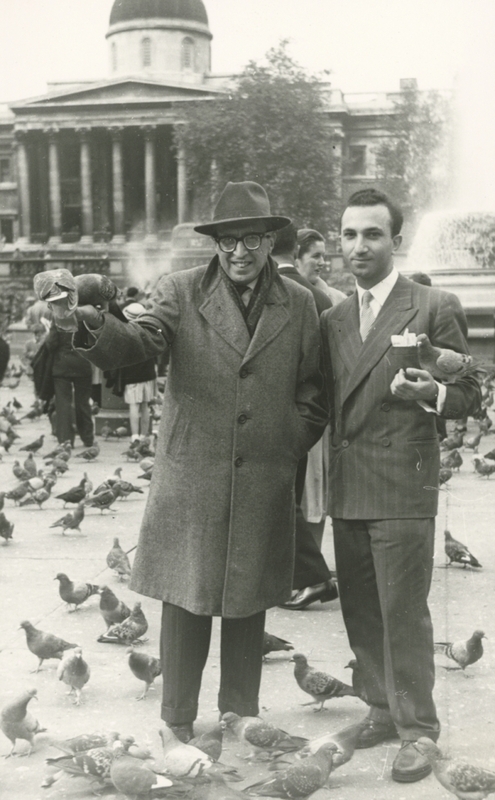 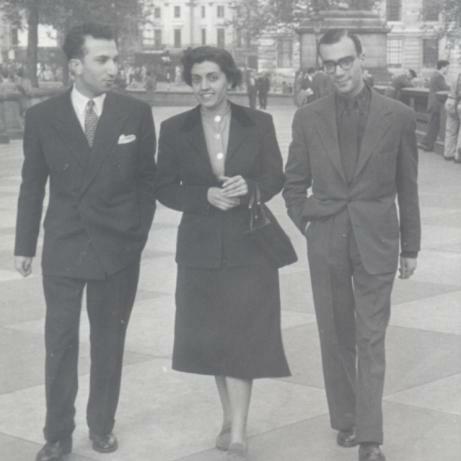 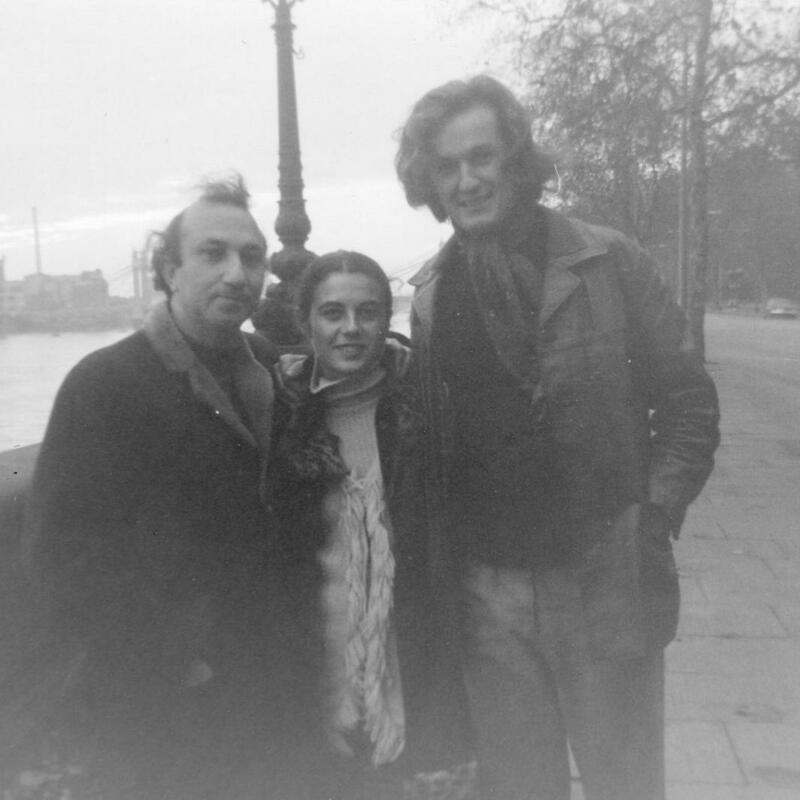 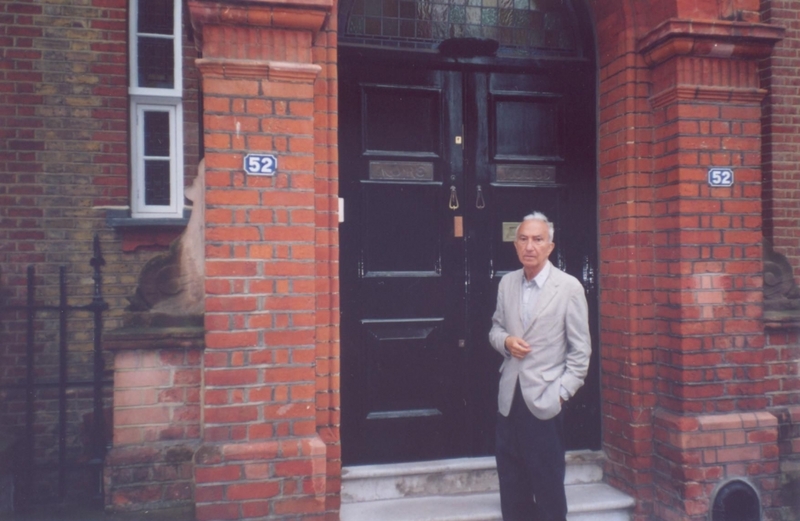 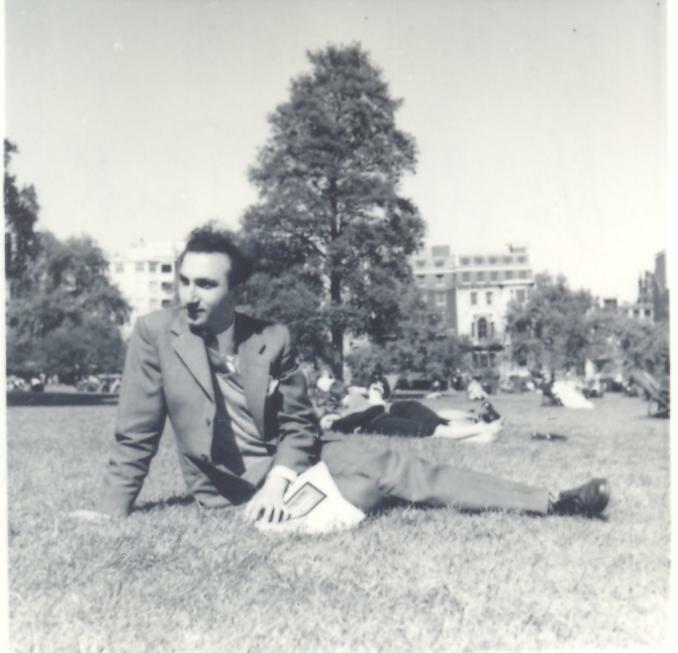 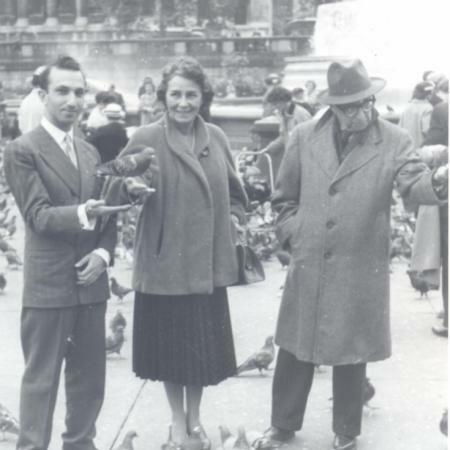 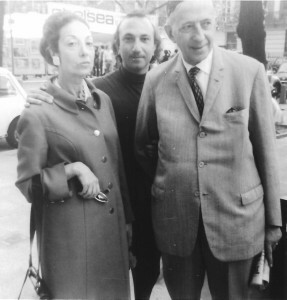 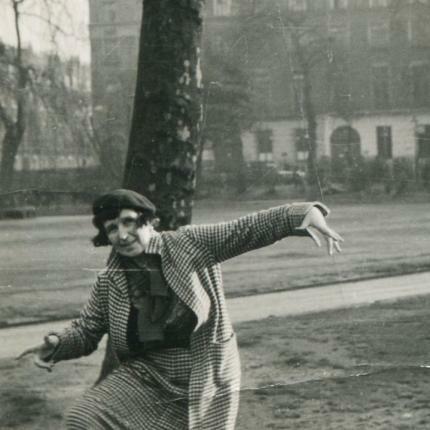 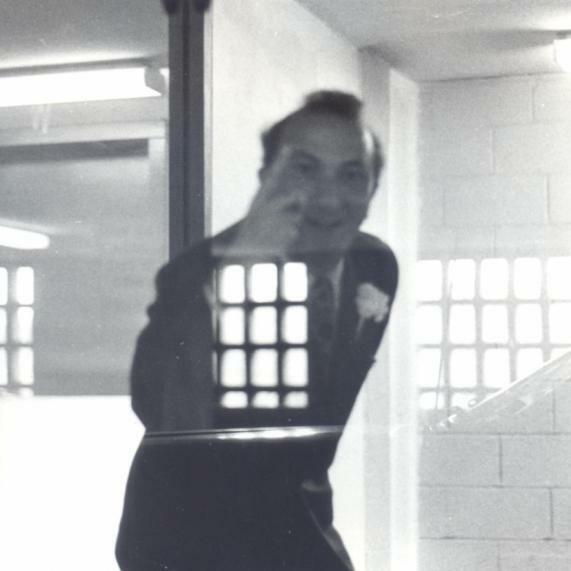 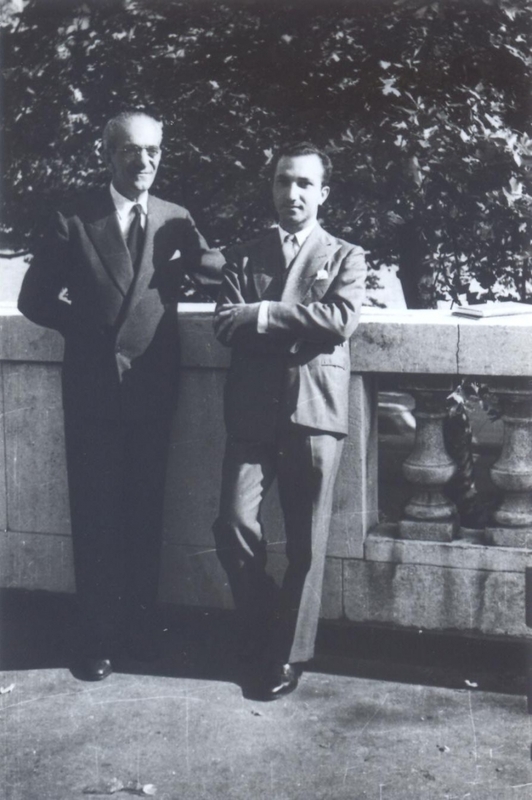 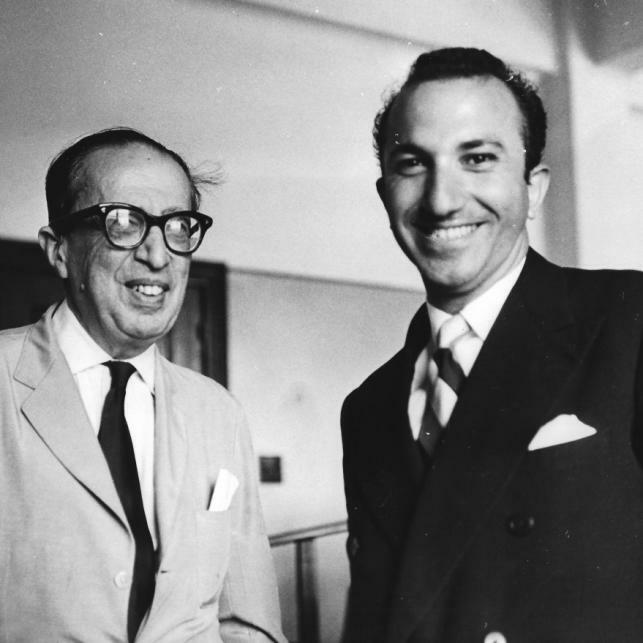 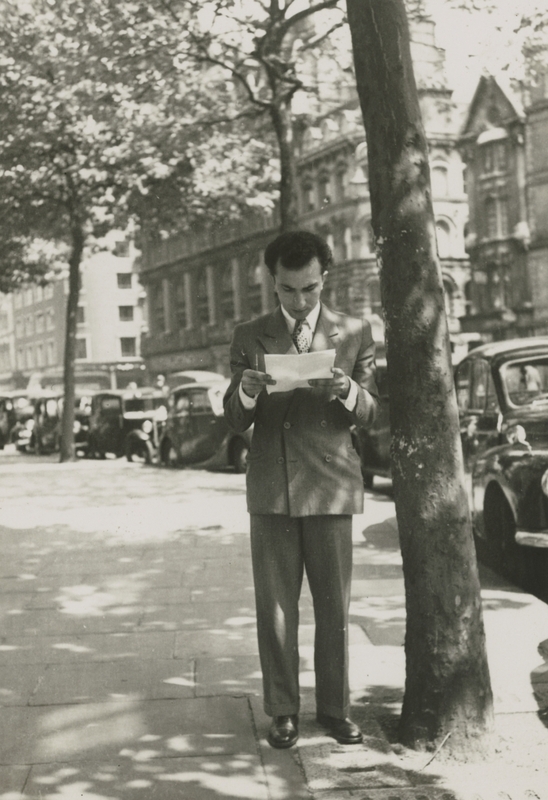 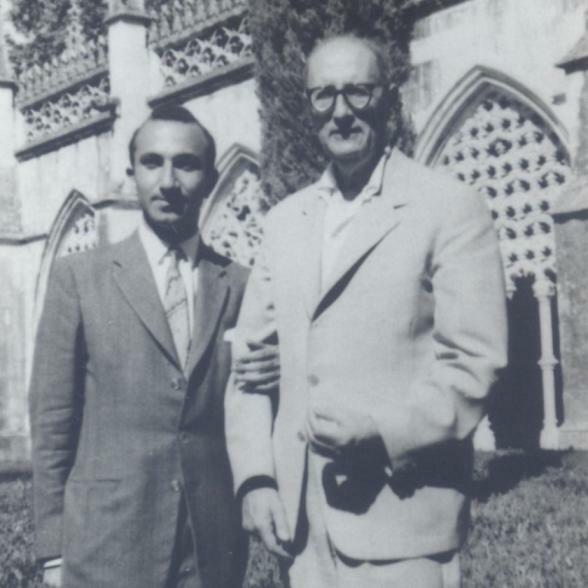 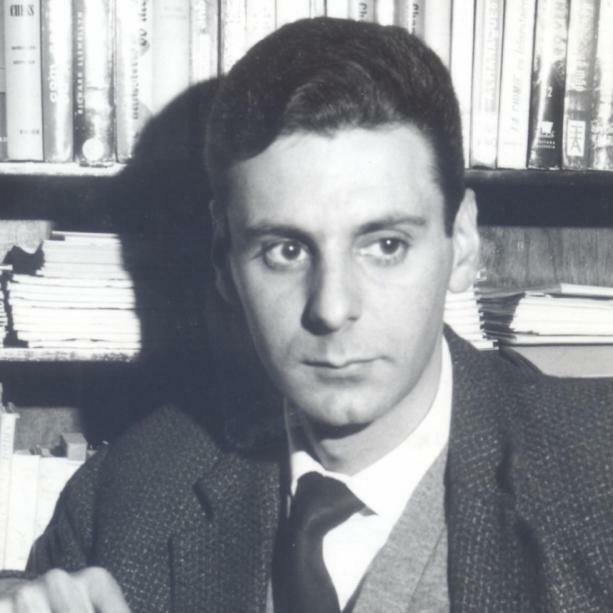 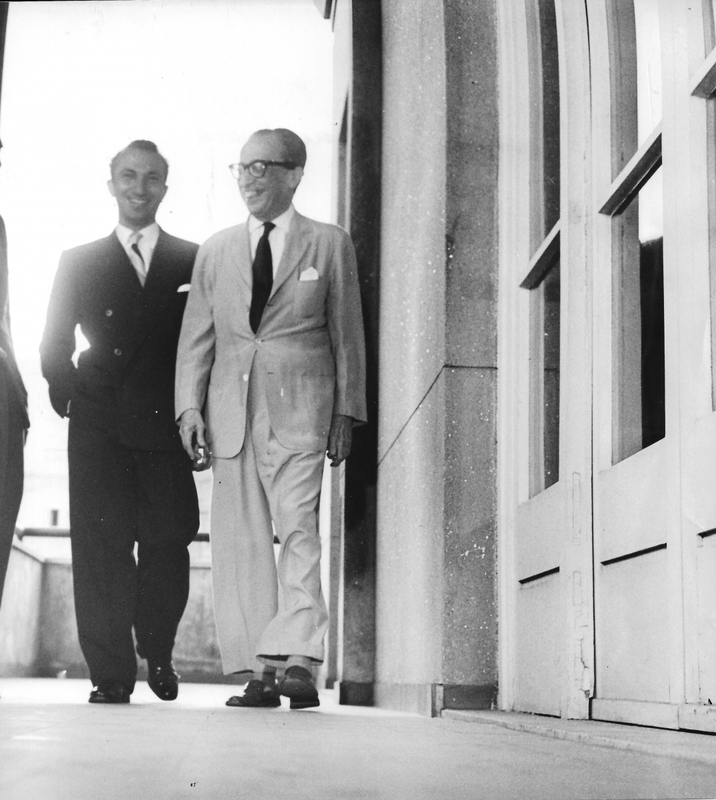 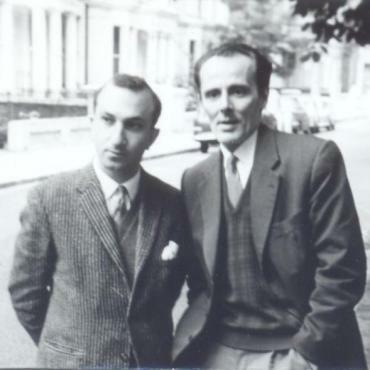 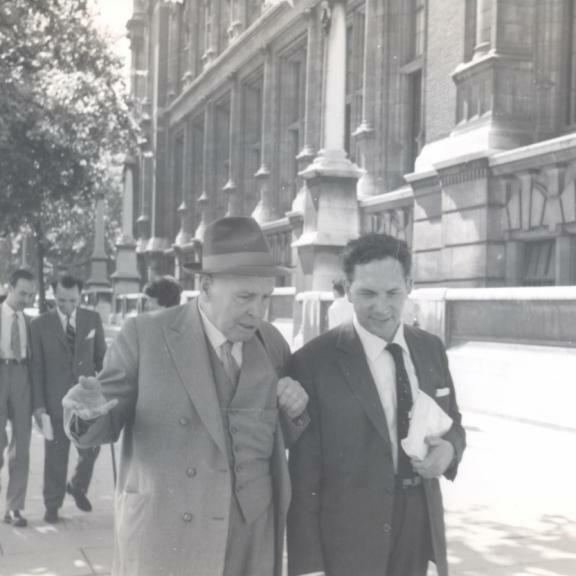 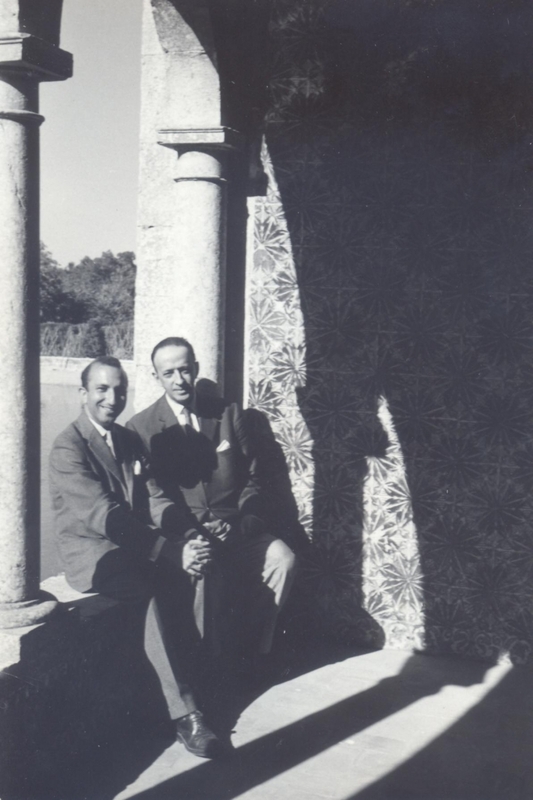 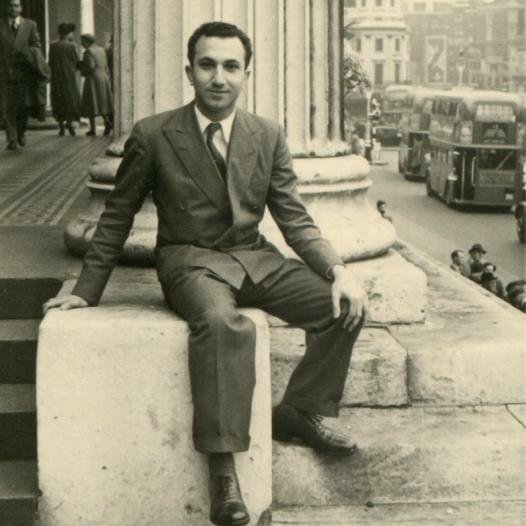 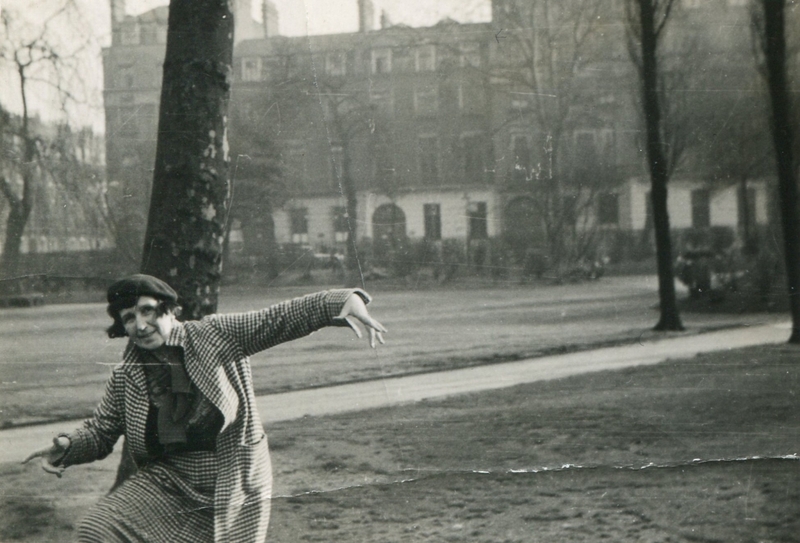 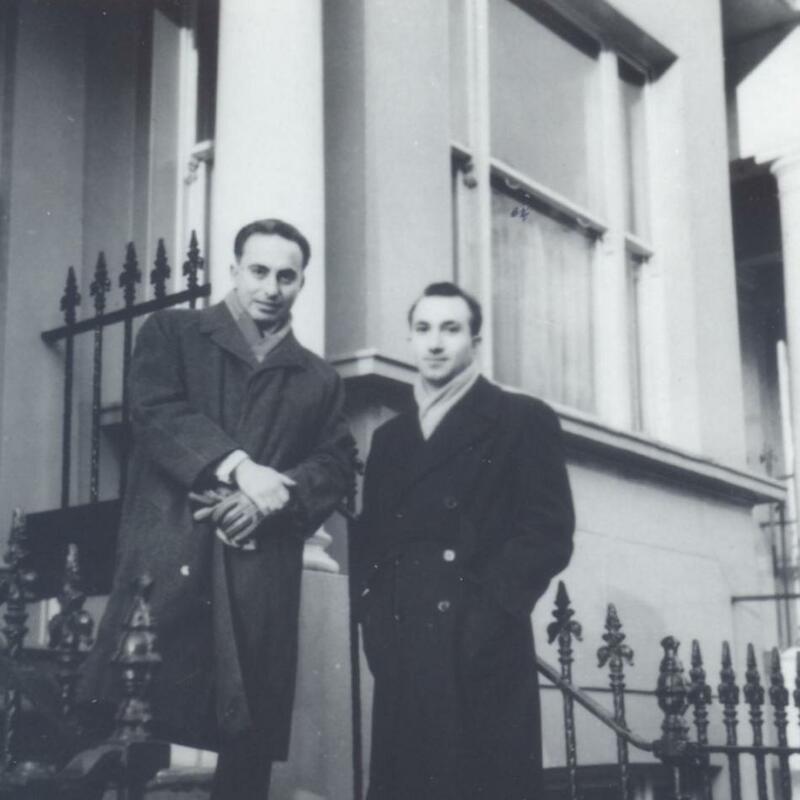 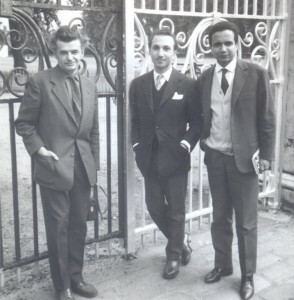 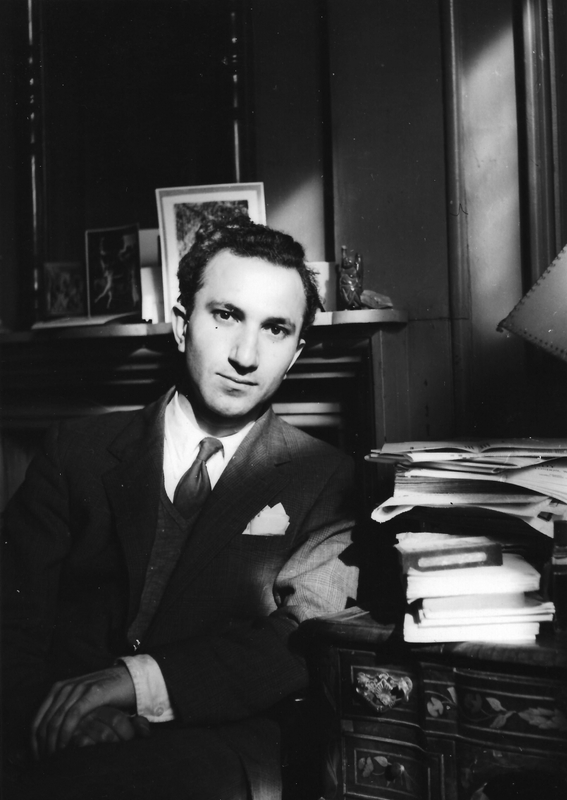 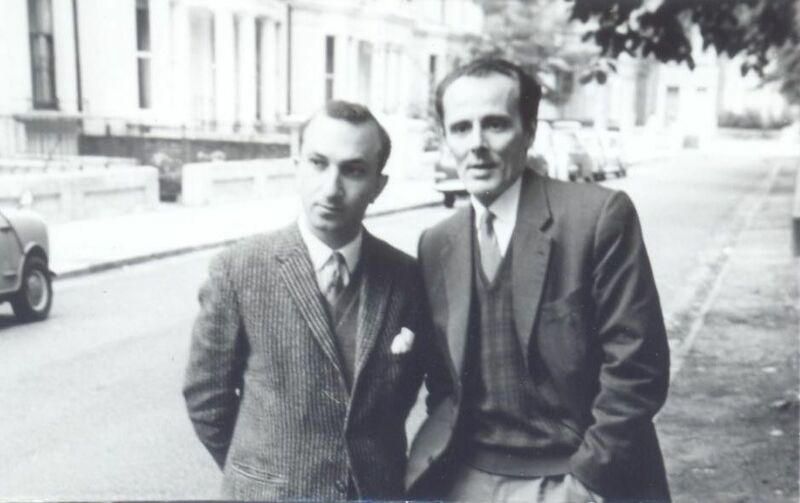 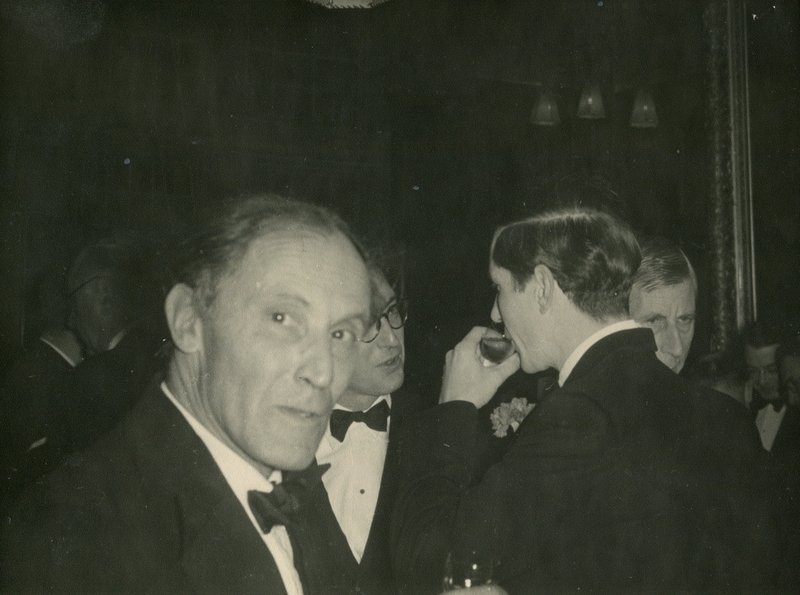 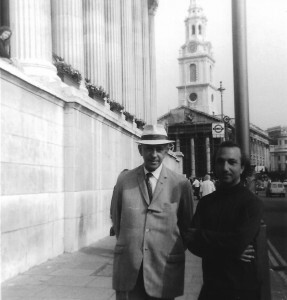 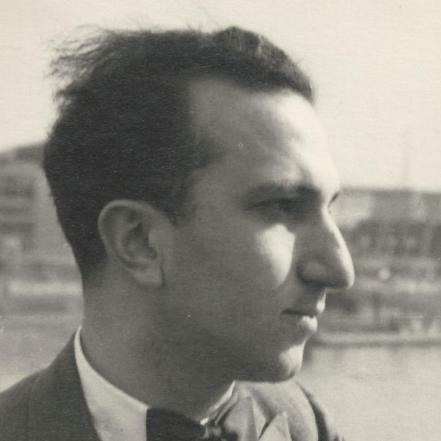 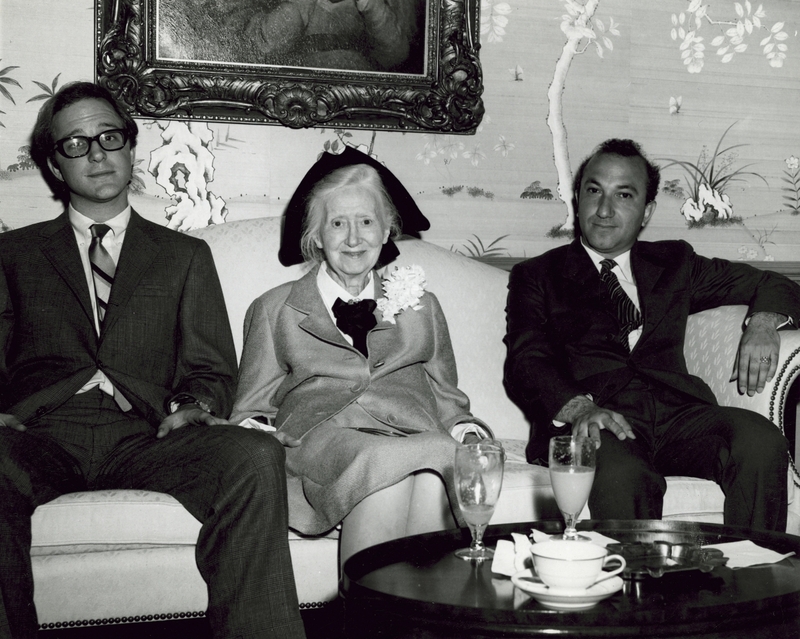 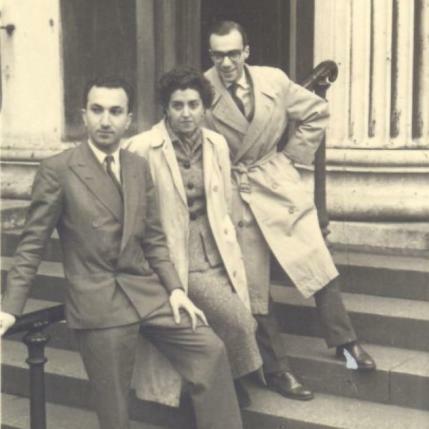 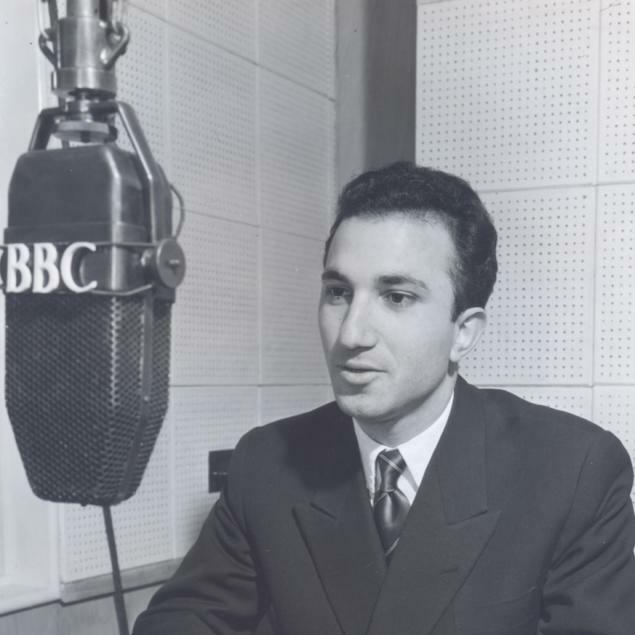 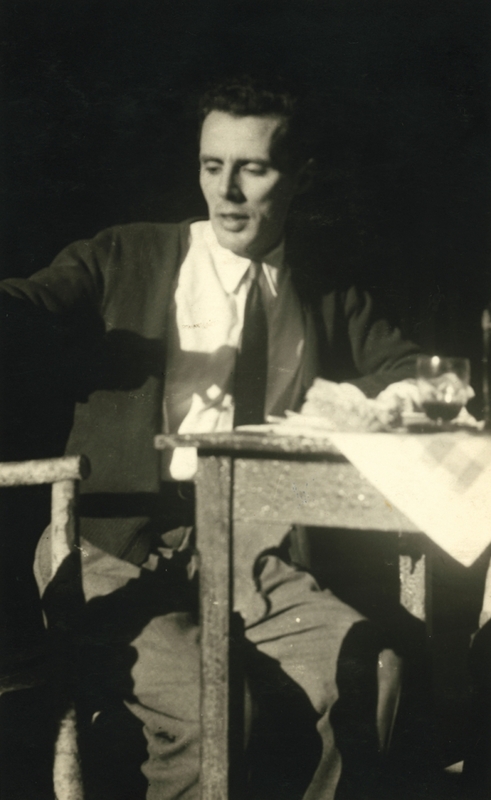 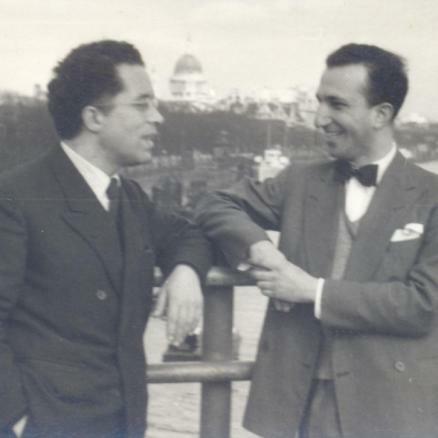 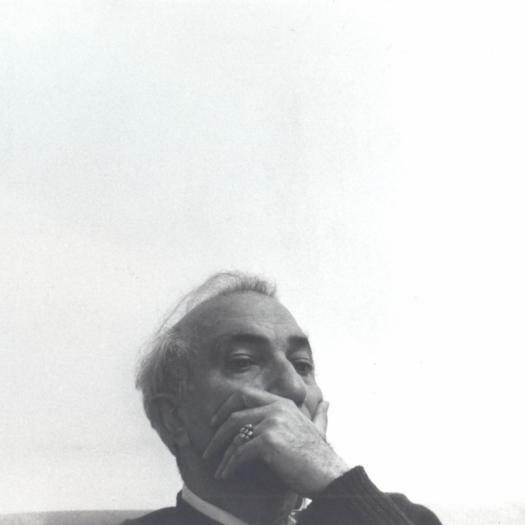 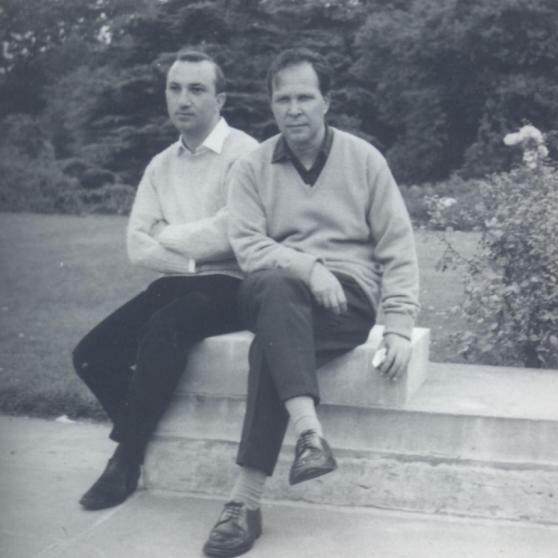 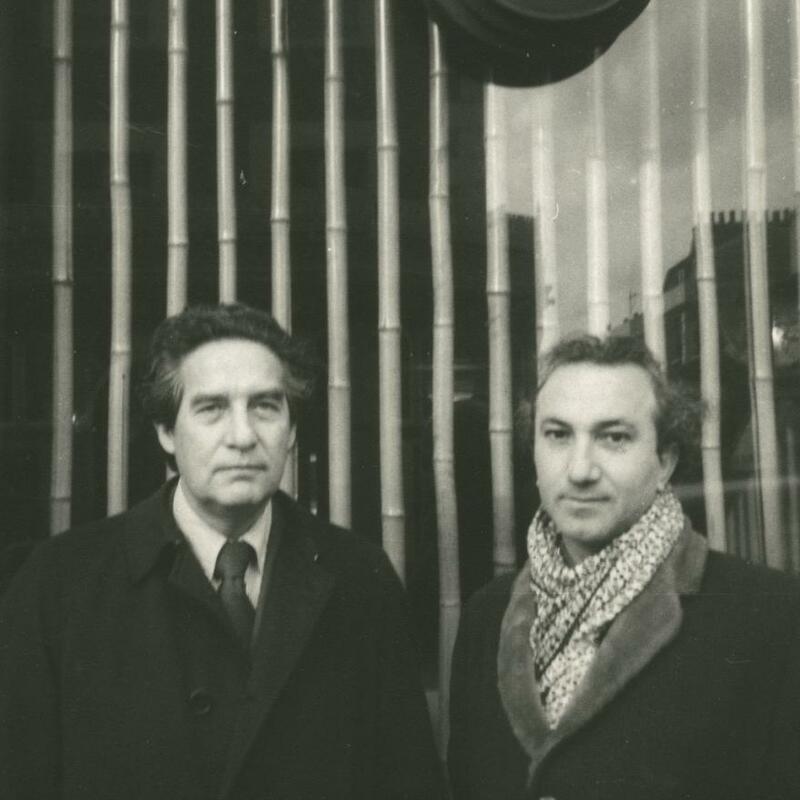 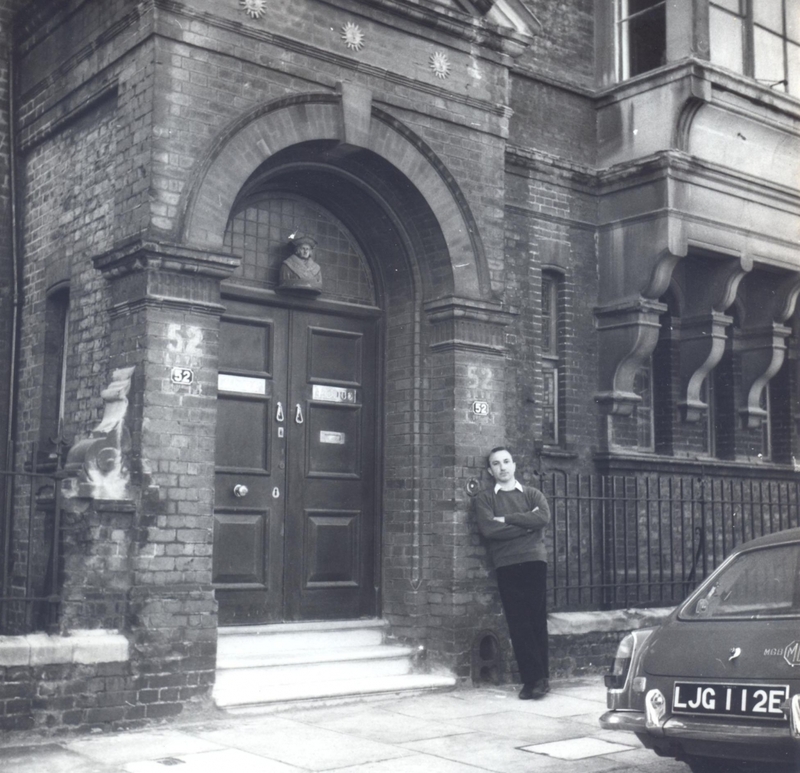 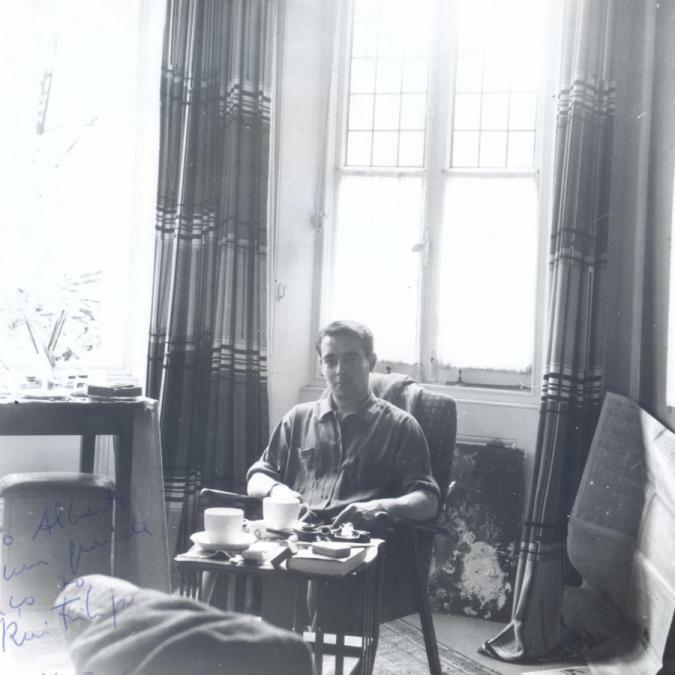 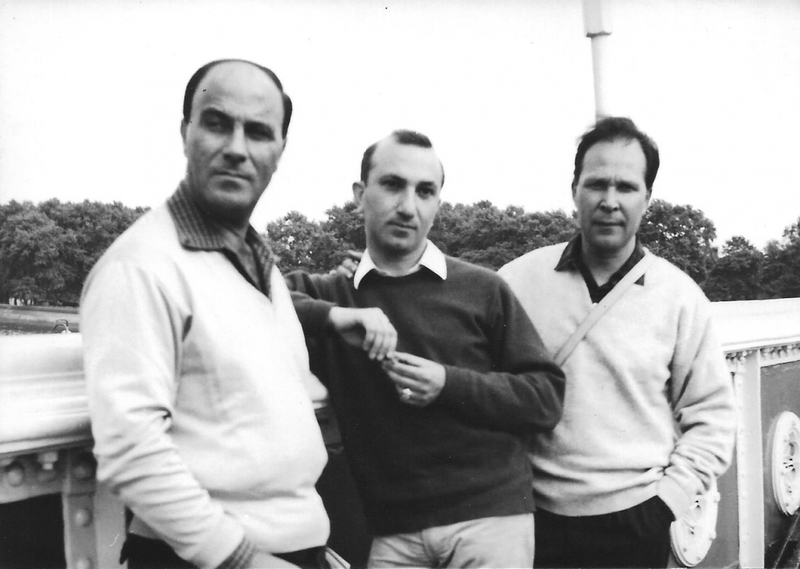 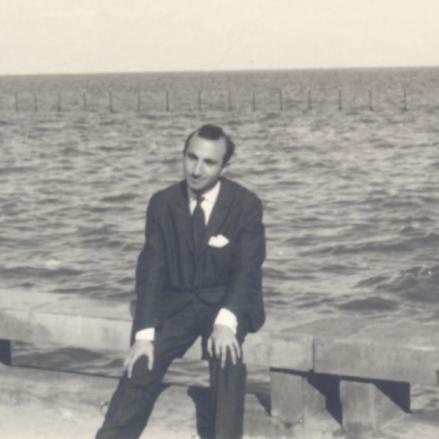 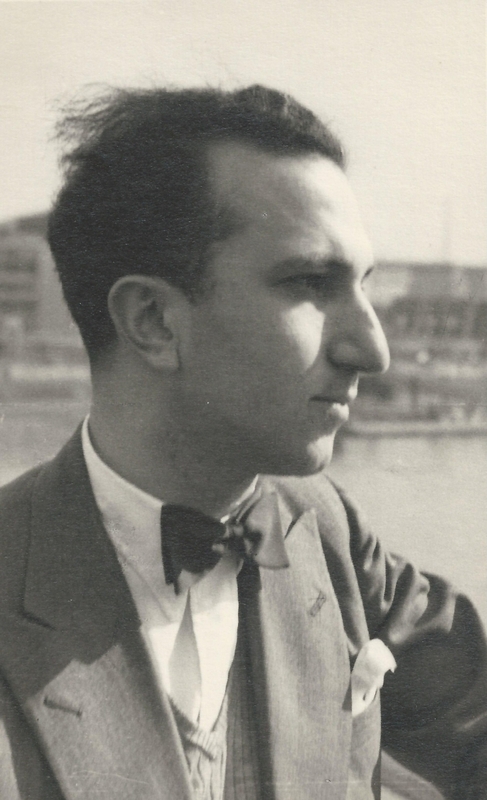 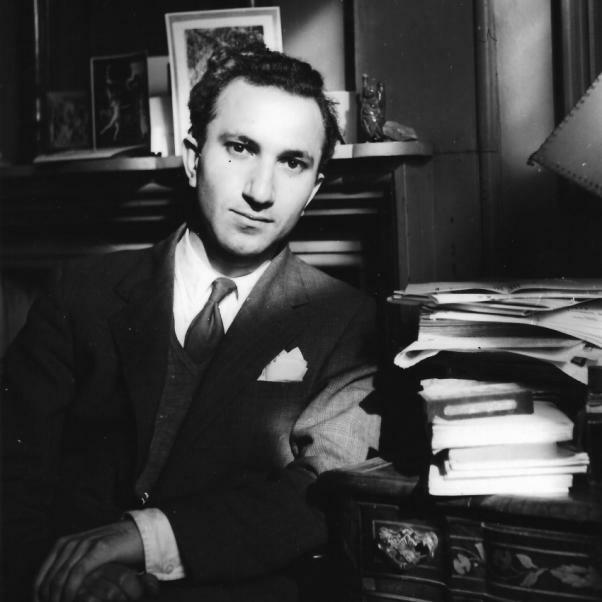 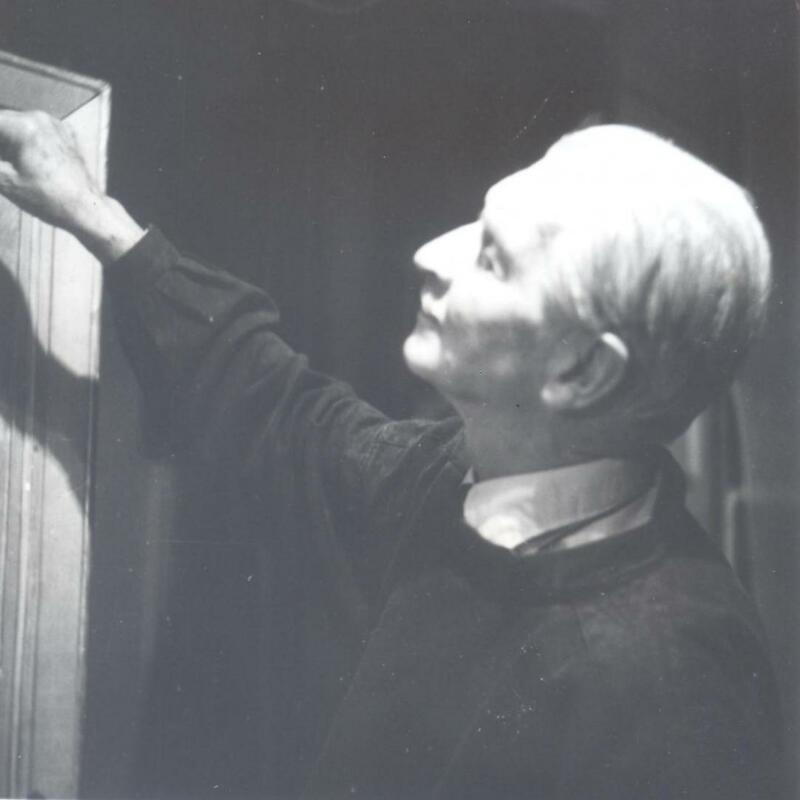 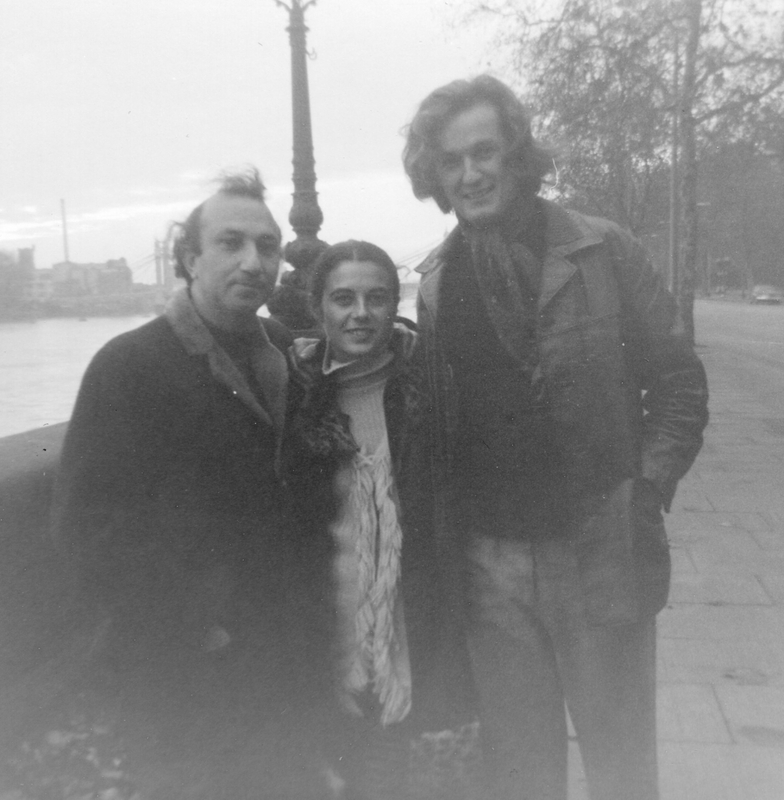 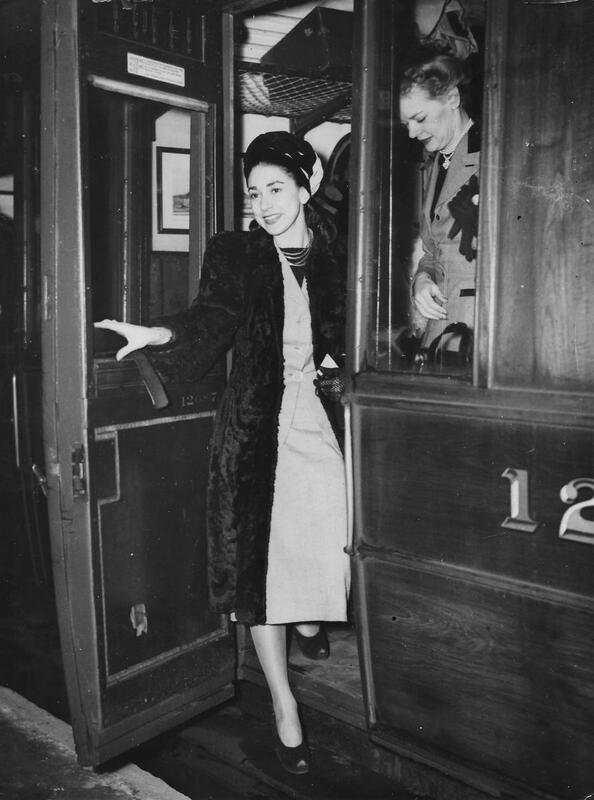 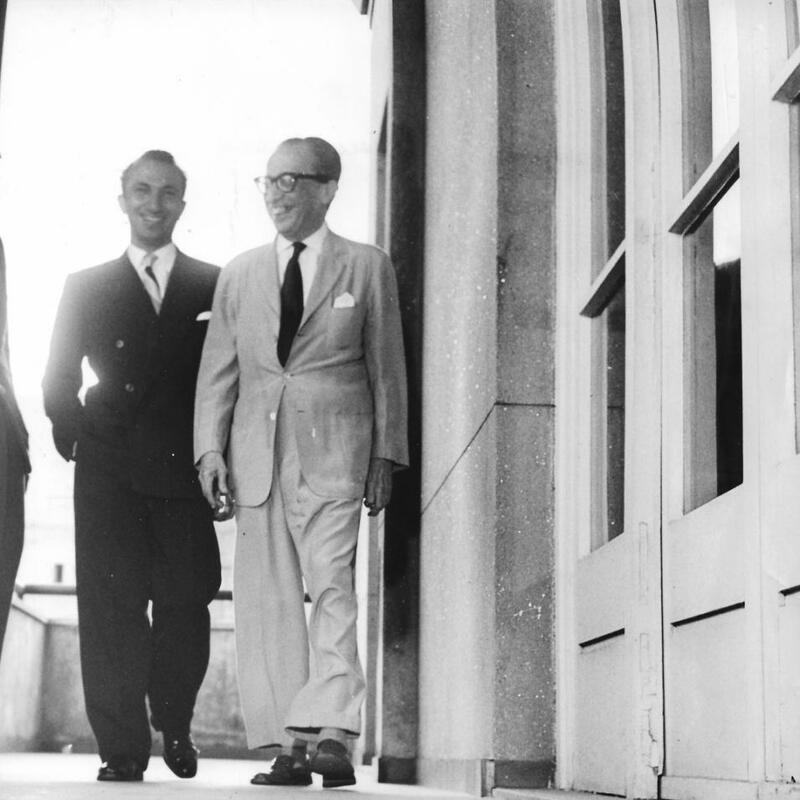 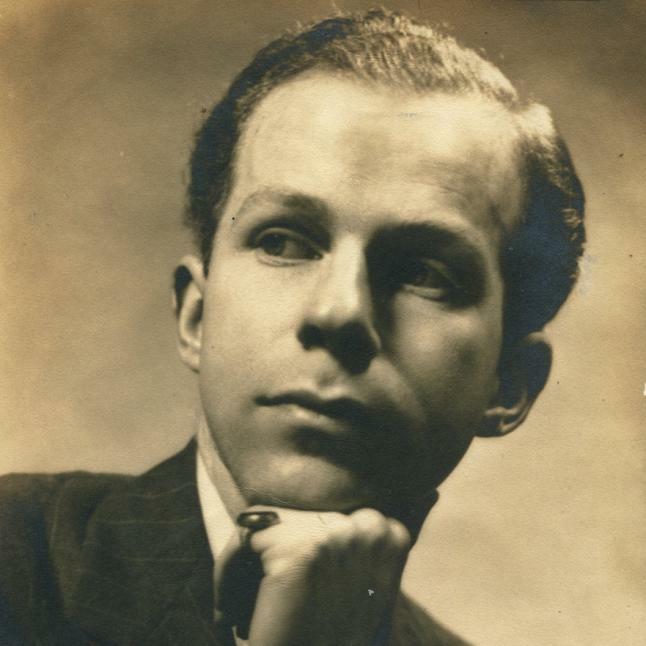 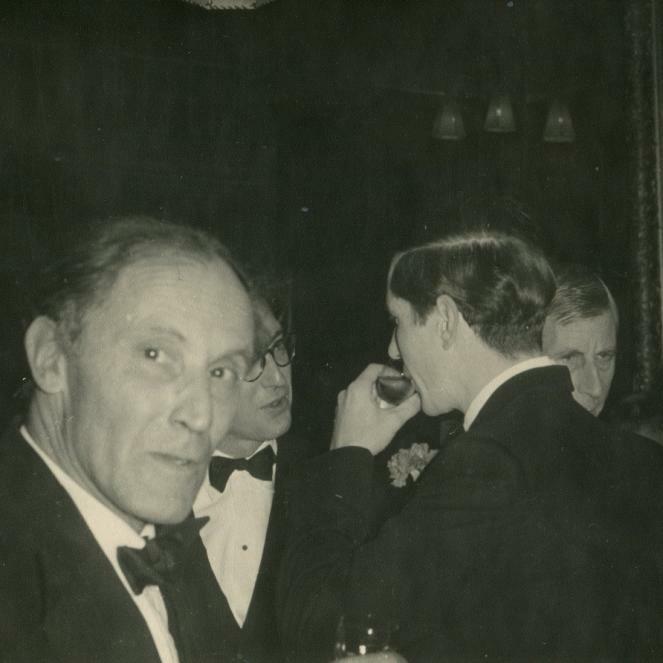 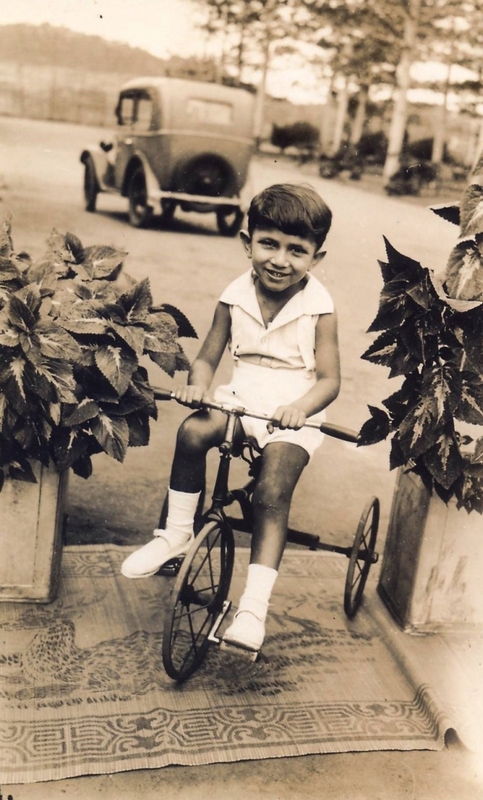 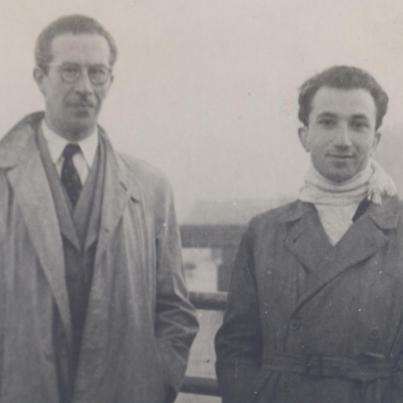 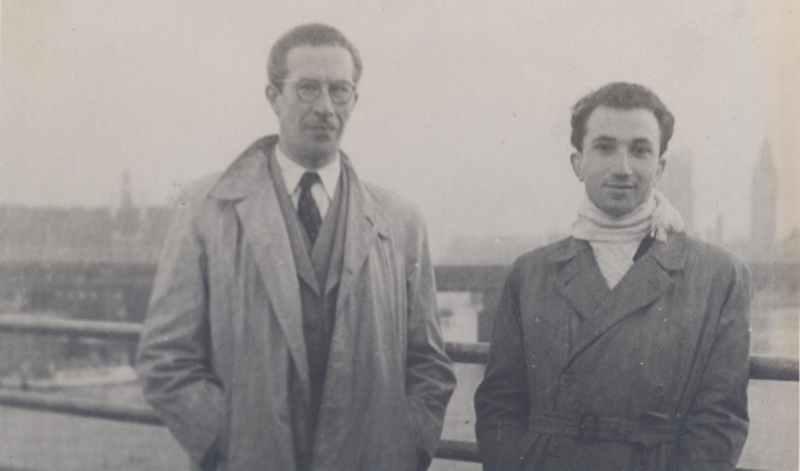 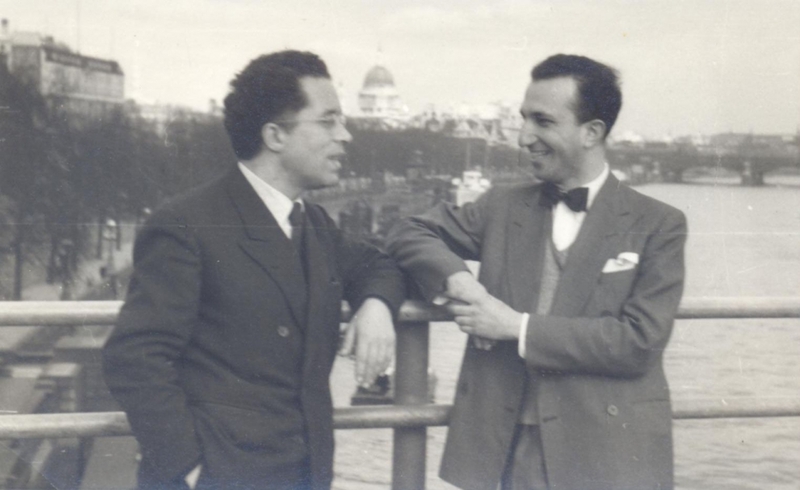 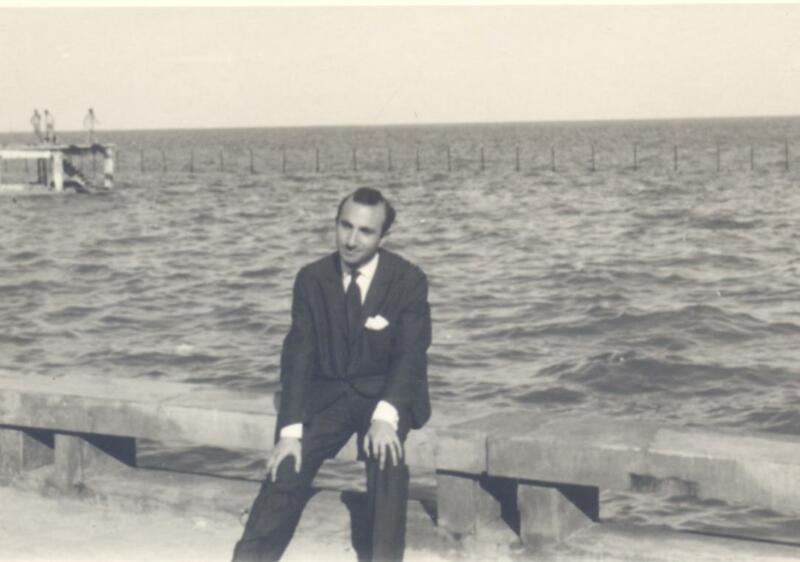 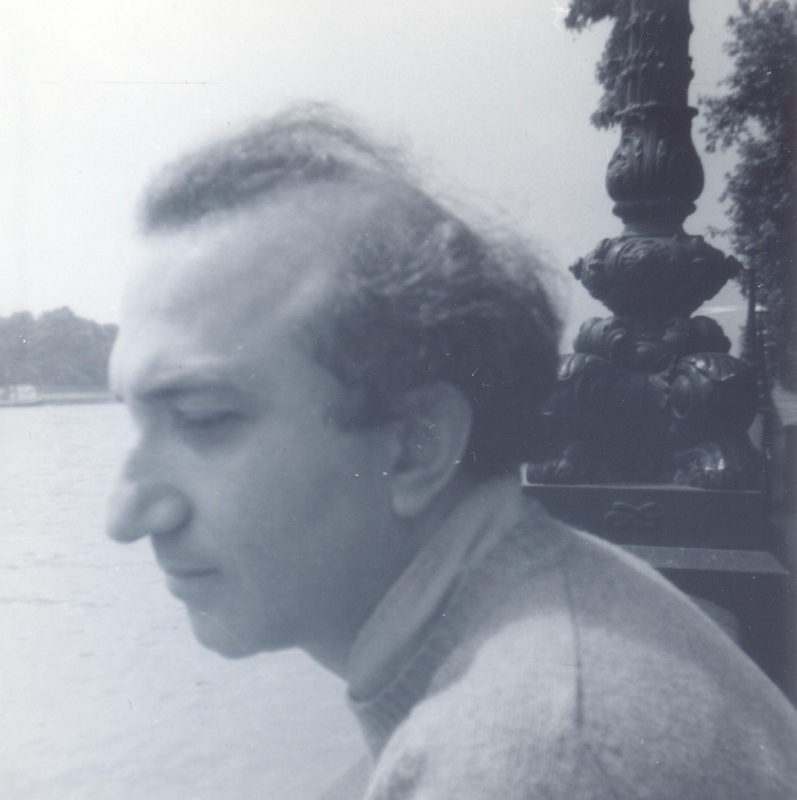 During the 1950s, Alberto consolidated his life and friendships in London. Lisbon friends who came to see him were introduced to London’s cultural venues and personalities. 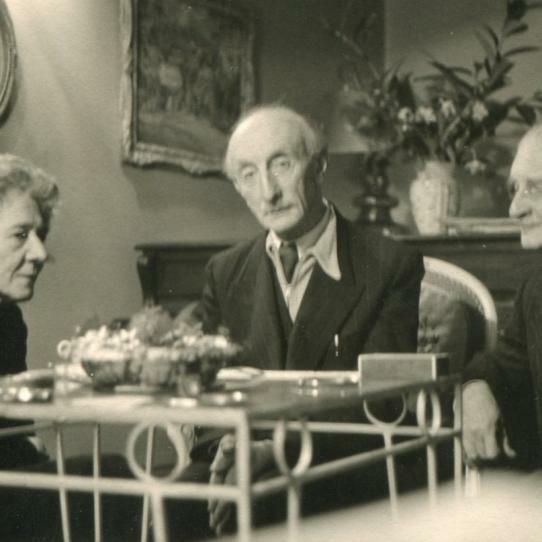 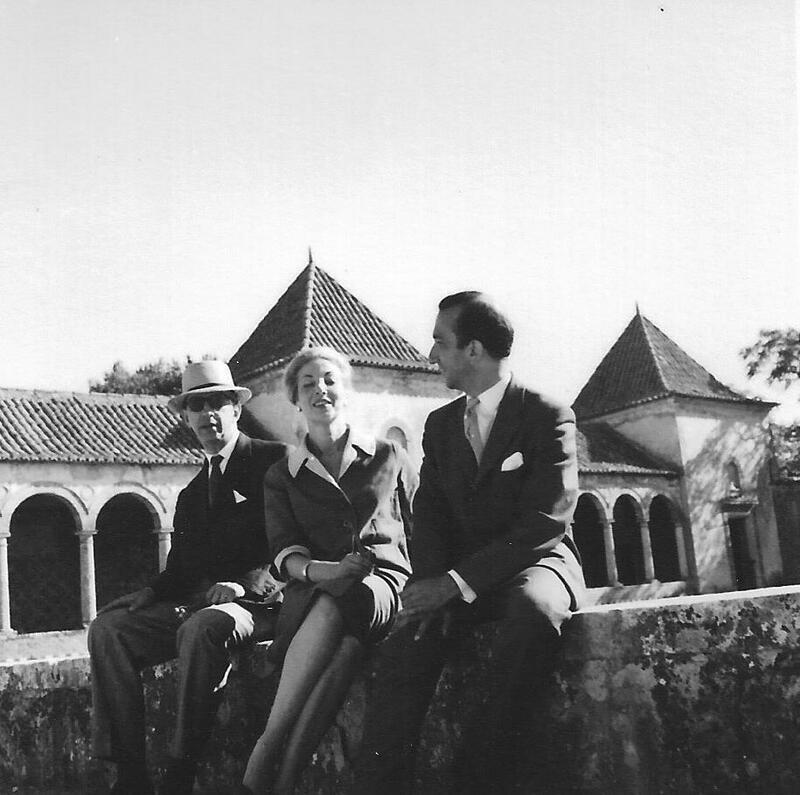 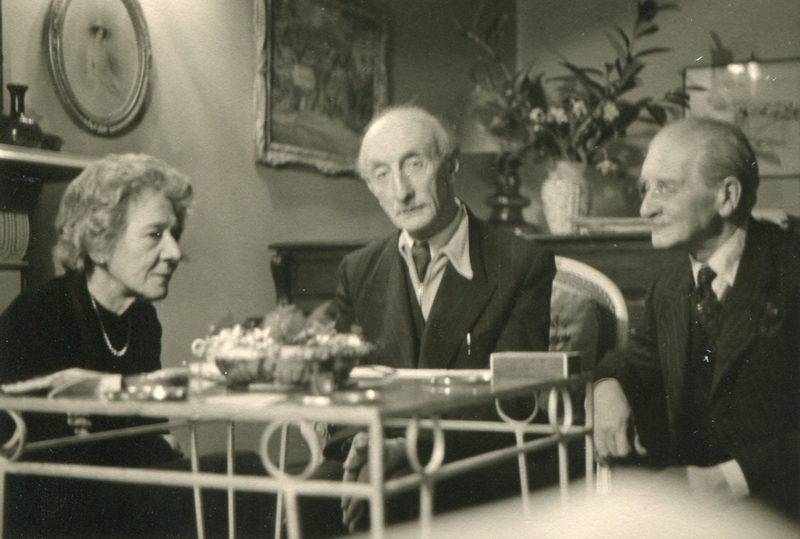 This section includes photographs of Luzia Maria Martins, Adolfo Casais Monteiro, Maria Fernanda and José-Augusto França, Edgar Ritchard, Mrs Hope-Nicholson and her son Felix, Arthur Waley, Beryl de Zoute, Cyril Beaumont, Stephen Spender, Fernando Lopes Graça, Aquilino Ribeiro, Luís de Sousa Rebelo, and Vitor Matos e Sá. 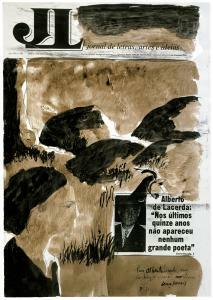 This section extends to Alberto’s 3-month stay in Brazil at the end of the decade. 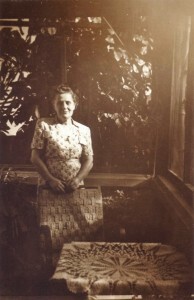 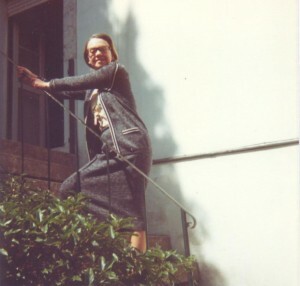 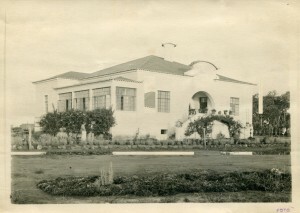 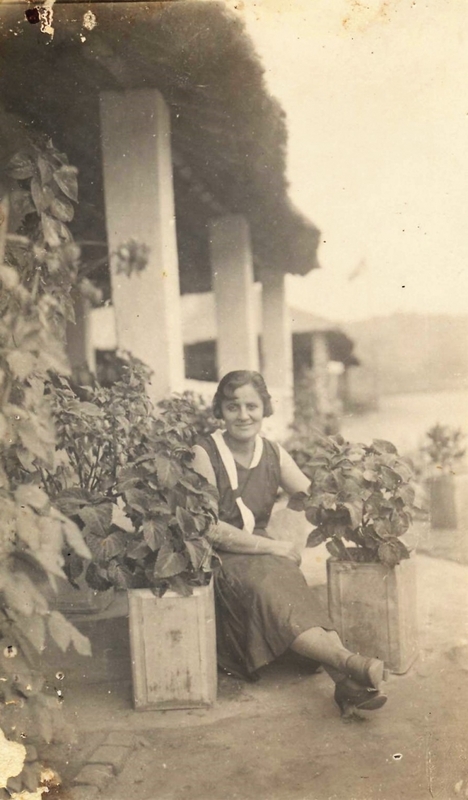 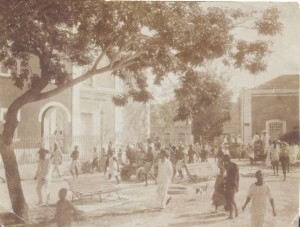 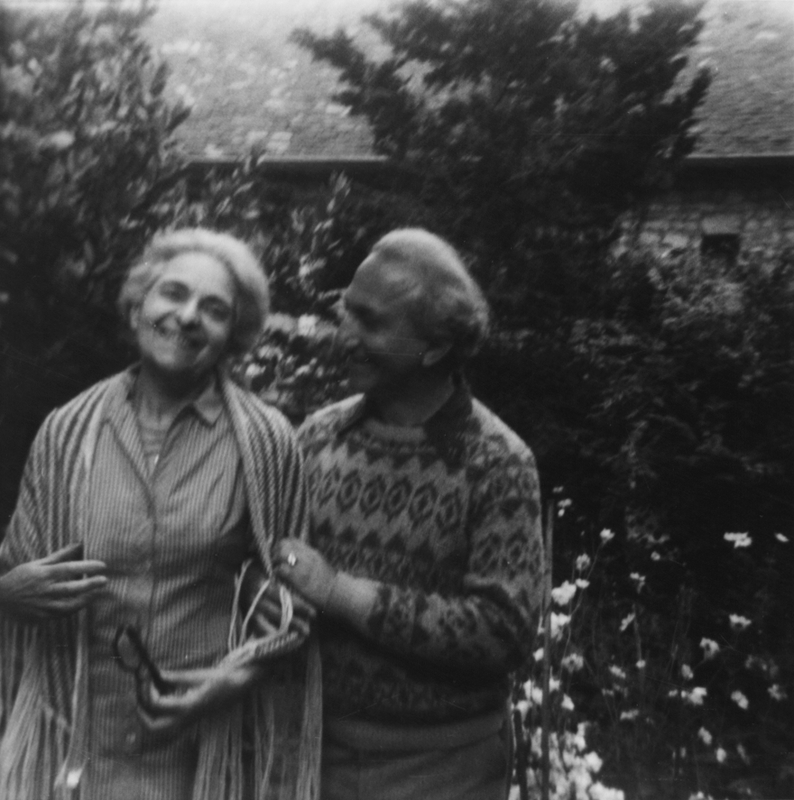 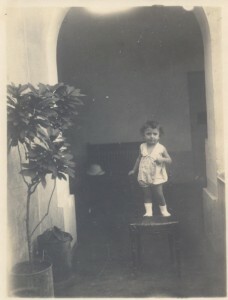 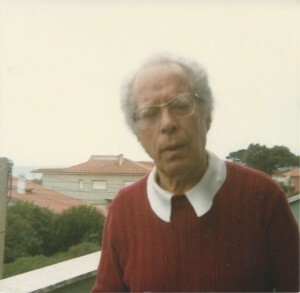 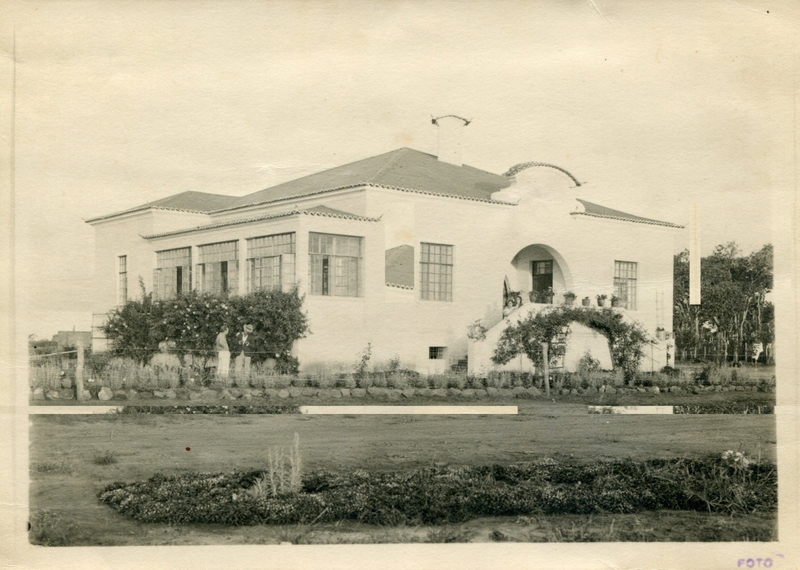 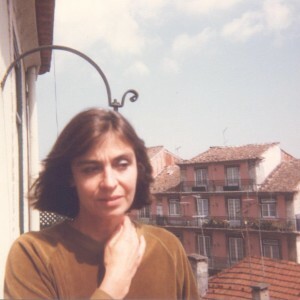 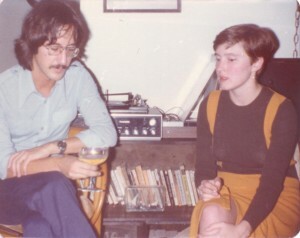 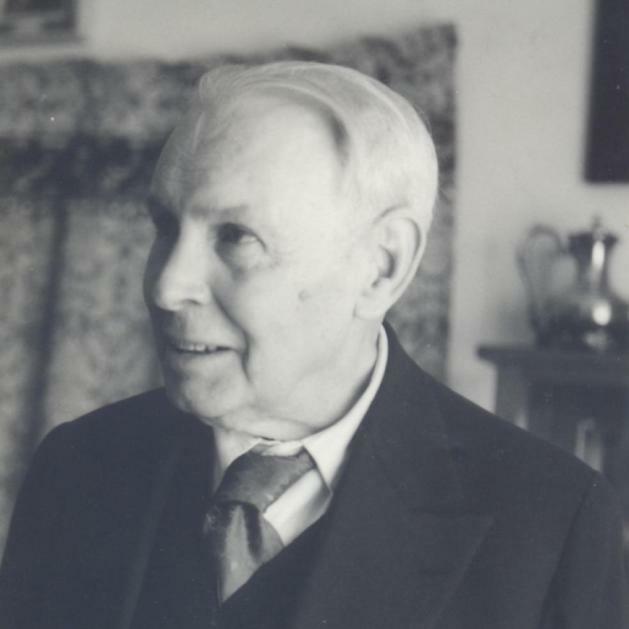 It includes photographs of Nora Wydenbruck, Alfons Purtscher, Felix Braun, Richard Roud, Maria de Lourdes Heitor de Sousa, Manuel Bandeira, Christopher Middleton, Rui Filipe, Rodrigo and Graciema Melo Franco de Andrade, Clara de Andrade Alvim, Joaquim Pedro de Andrade, and Manuel Bandeira. 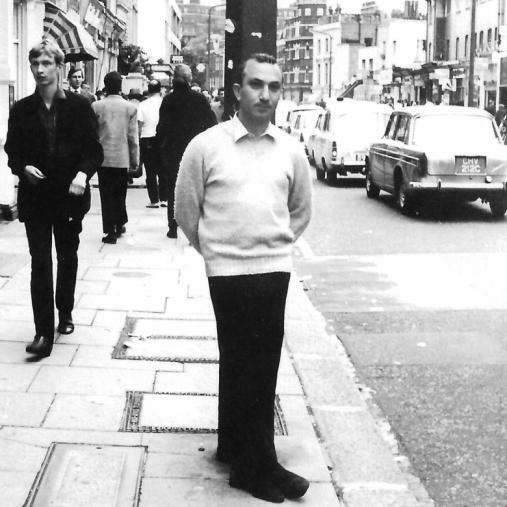 The 1960s was a busy decade for Alberto. 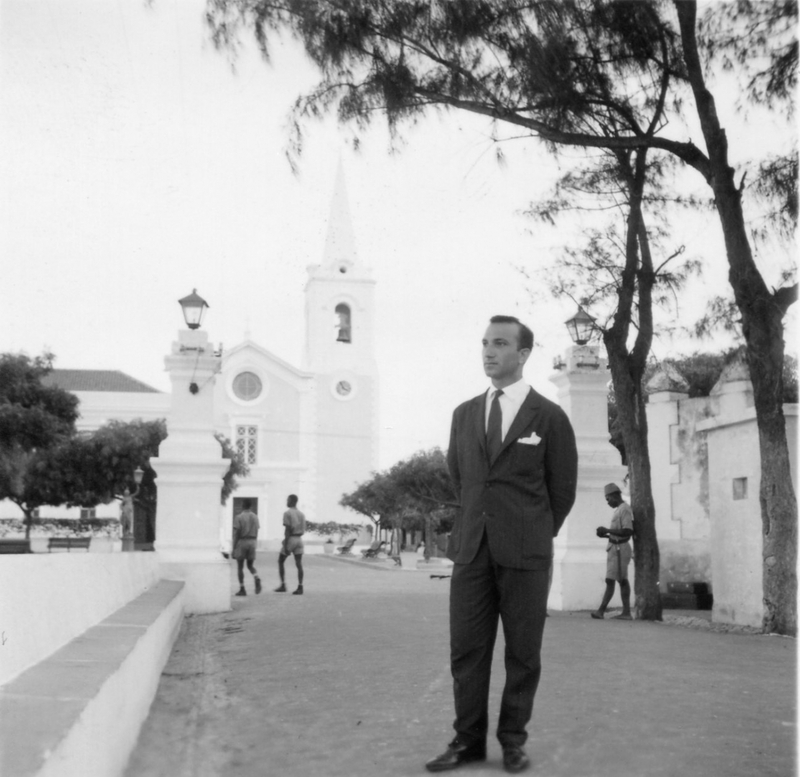 He travelled to Lisbon, Mozambique, and France. 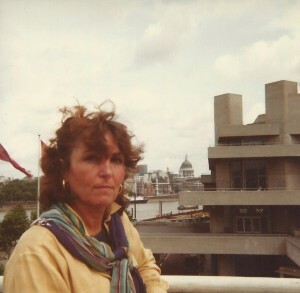 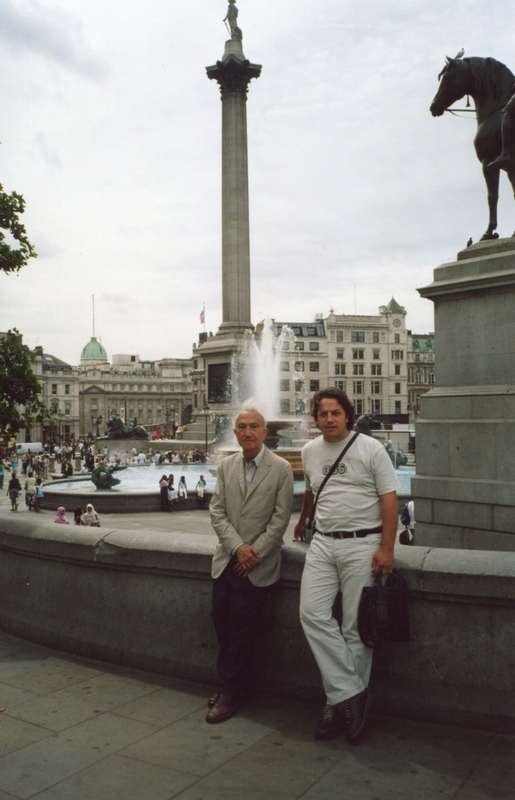 He was also frequently visited by friends from abroad attracted by the London scene. 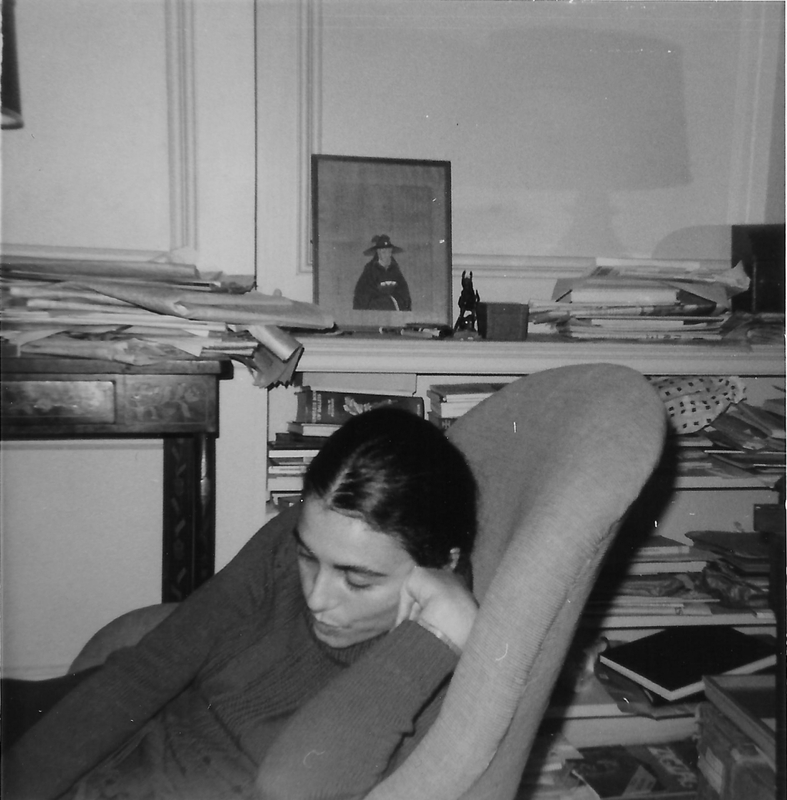 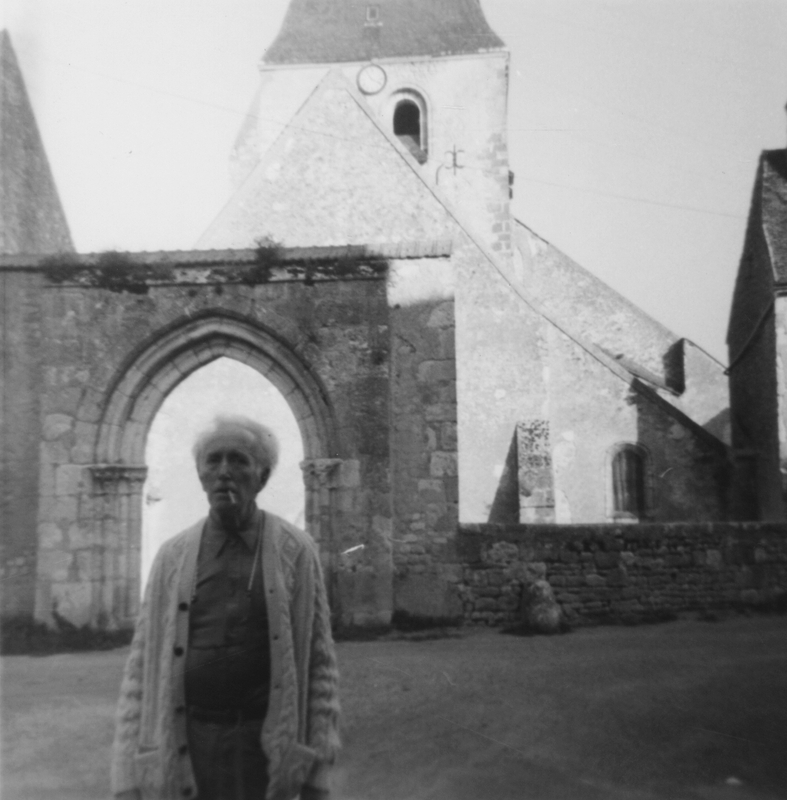 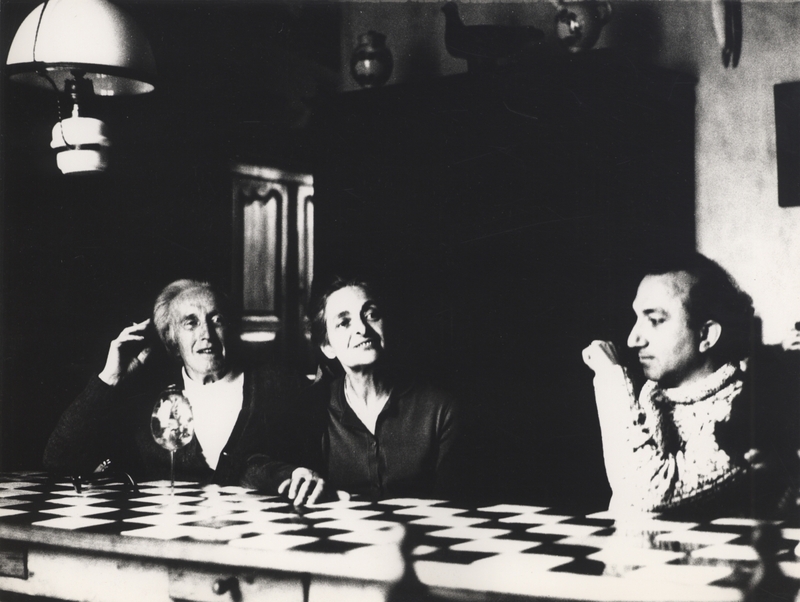 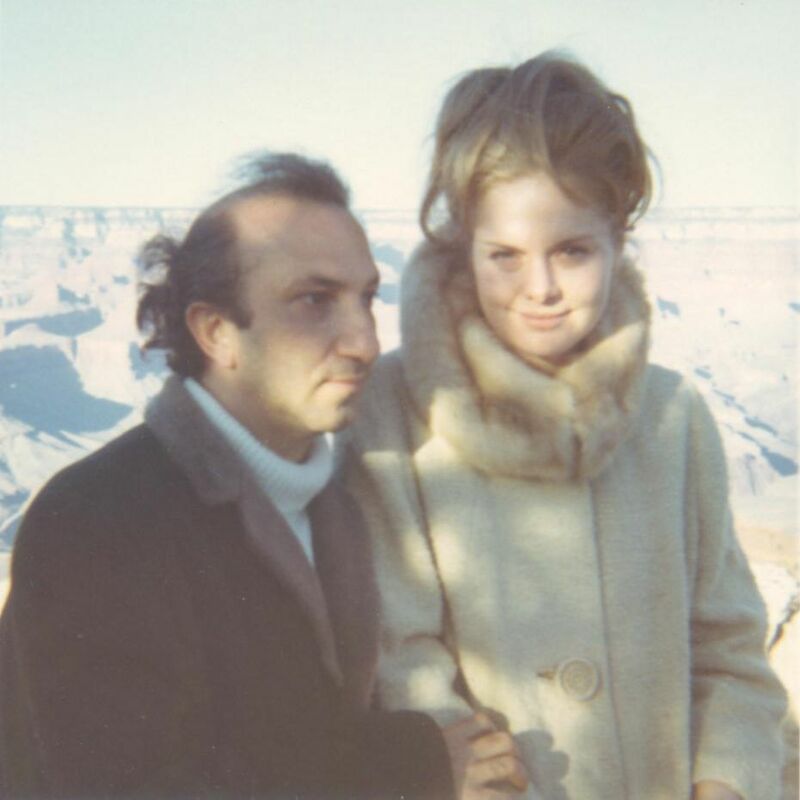 This section features photographs of Romana and Samantha McEwen, Yves Bonnefoy, Jean Fanchette, Christopher Middleton, José Almada Negreiros, Paula Almada Negreiros, Jorge Guillén, Murilo Mendes, Saudade Cortesão, Vitorino Nemesio, Manuela Arraiano, Leopoldina Coreia de Lacerda, Rui Knopfli, Arpad Szenes, Vieira da Silva, Mário Cesariny, Luís Amorim de Sousa, Paula Rego, Victor Willing, and Nathaniel Tarn. 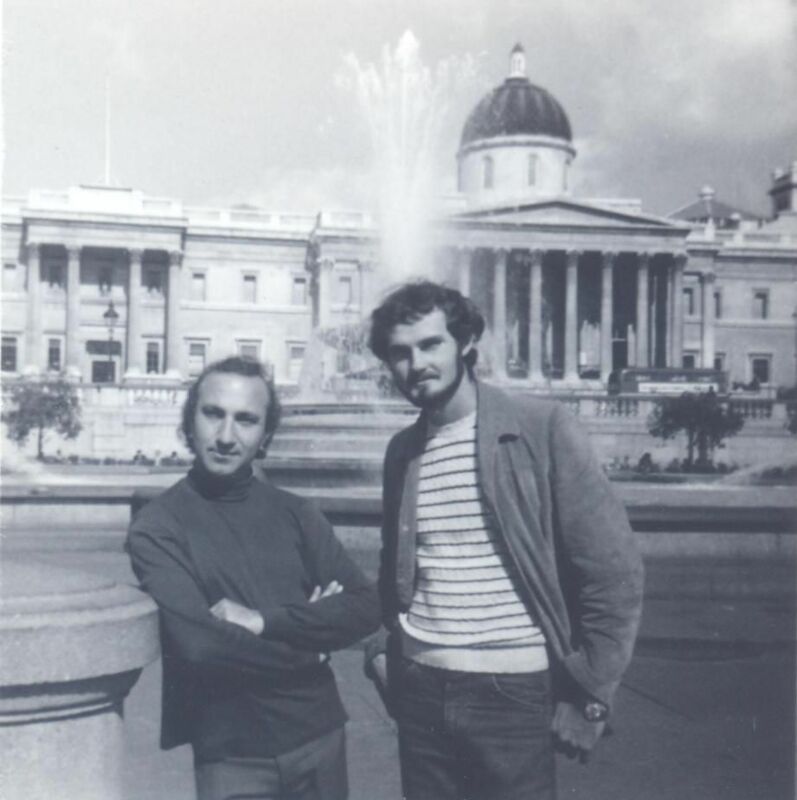 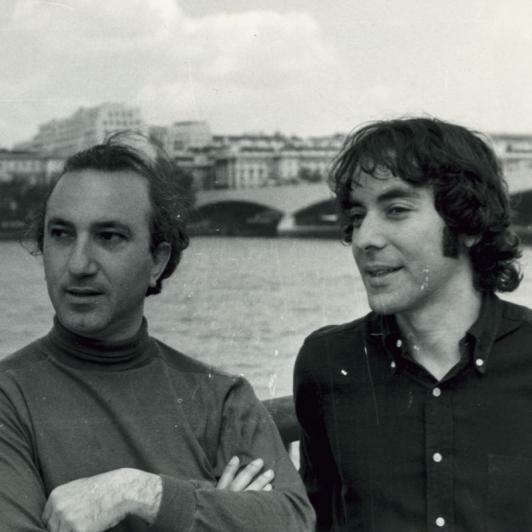 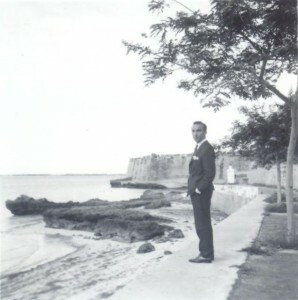 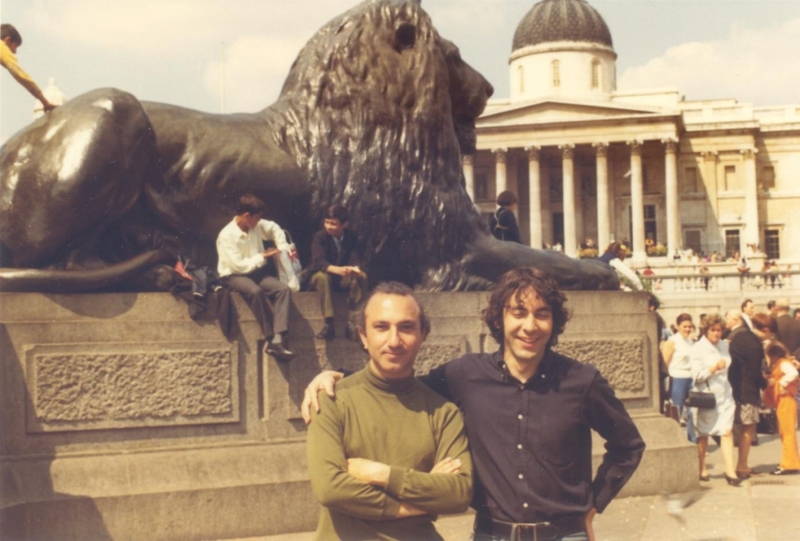 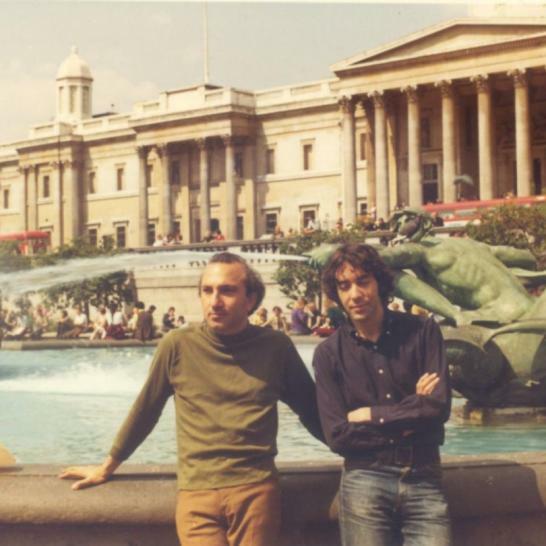 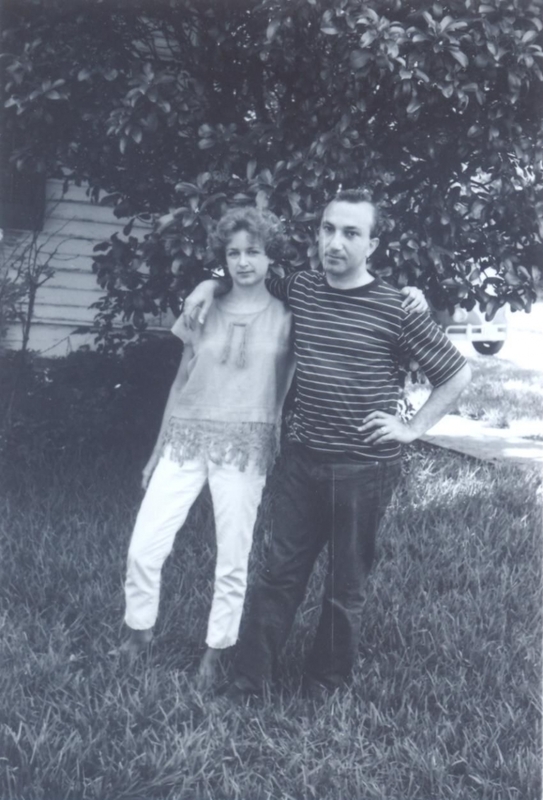 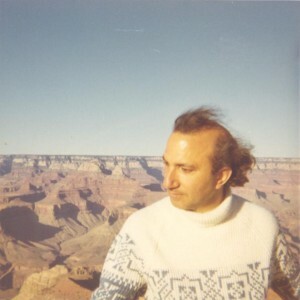 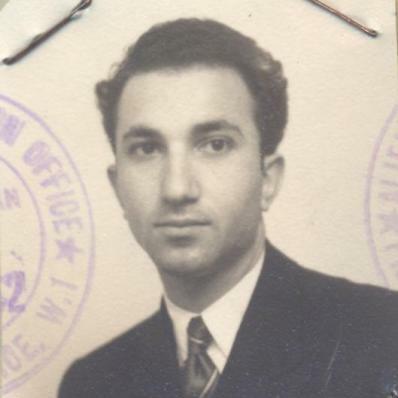 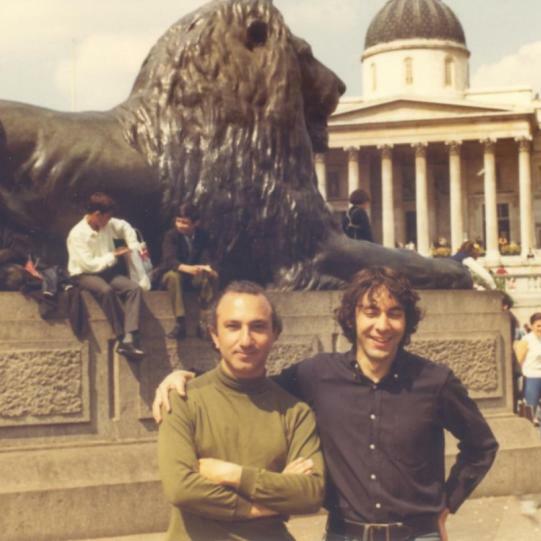 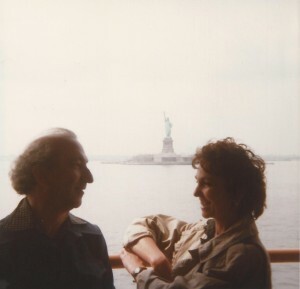 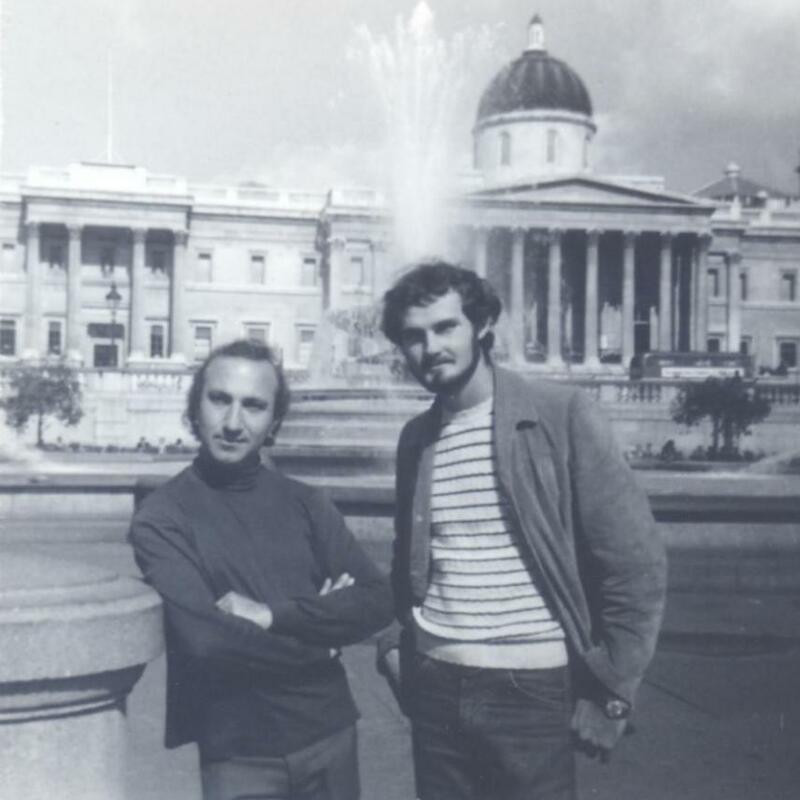 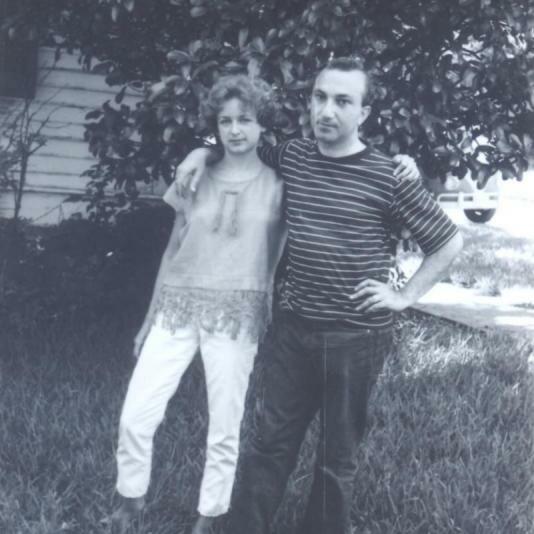 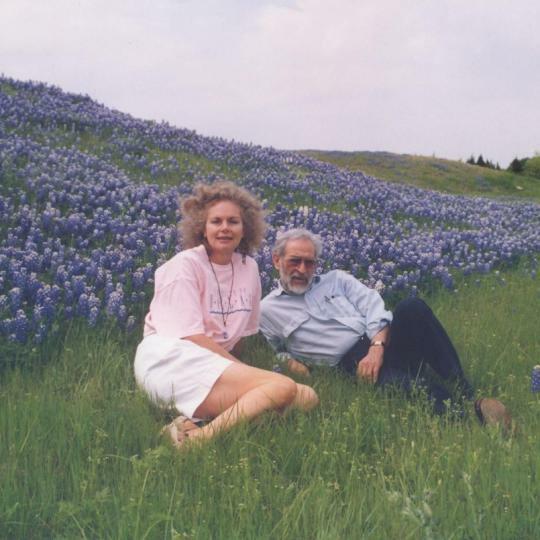 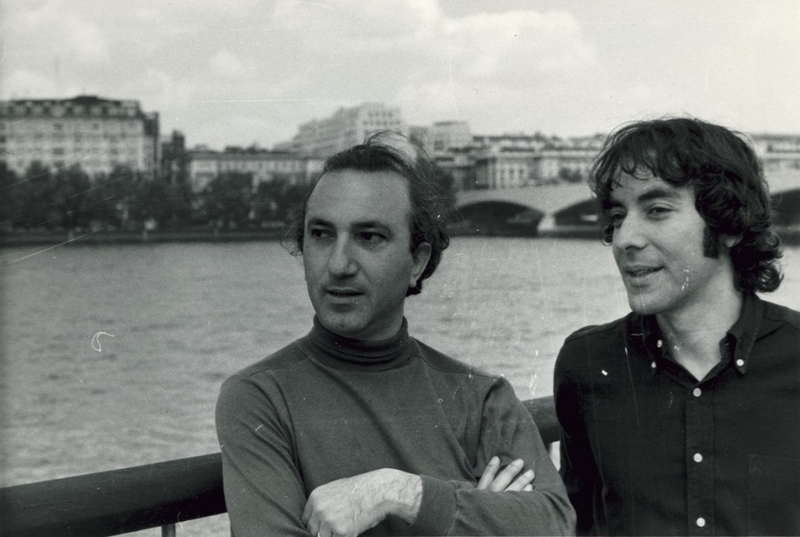 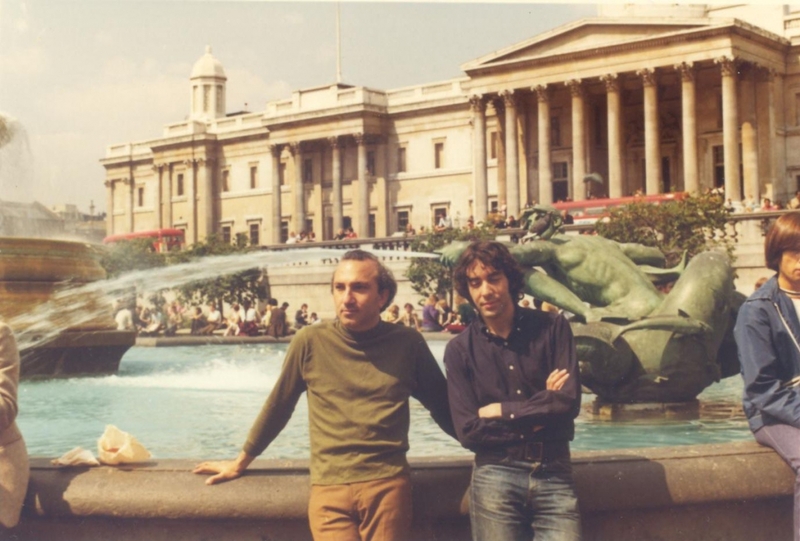 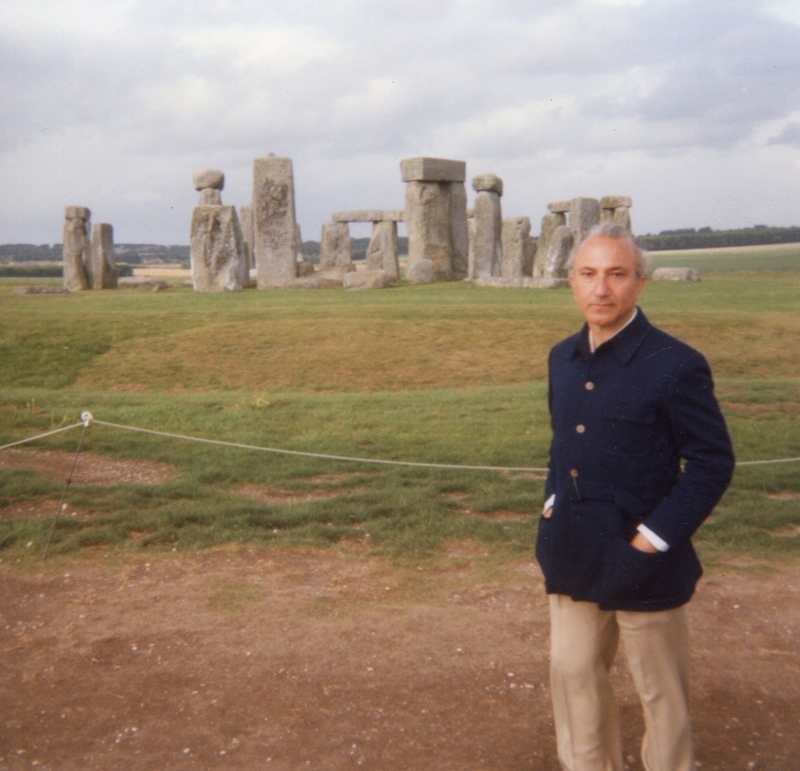 Although permanently based in London, Alberto maintained periods of residence abroad, starting with a visiting professorship at Austin, Texas. 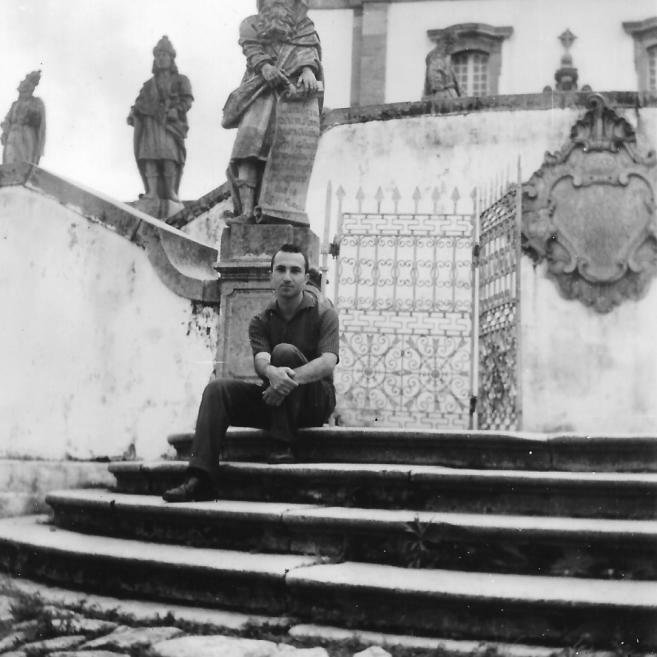 At the end of the decade he travelled to Italy and Mexico. 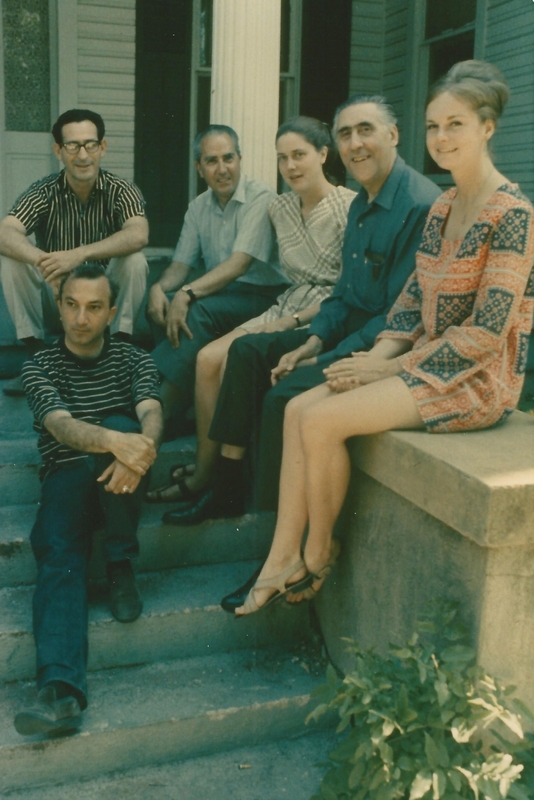 Photographed here are Adrien de Menasce, Samuel Lock, Eugénio de Andrade, Menez, Fernando Lopes Graça, Sacheverell and Georgia Sitwell, Anne-Marie Albiach, Claude Royet-Journoud, Lourdes Martins, Jasmine de Matos, Daniel Cervenka, Donald Carne-Ross, Marianne Moore, Tim Johns, Harriet Watts, Roman Jakobson, Electra Cardosa, Svatava Jakobson, Paul Schmidt, Pablo Beltrán de Heredia, Agnes Moncy, Ricardo Gullón, Elizabeth and José Sanchez, Tom Flory, Rae Dell, Octavio Paz, Roger Shattuck, Ruben Garcia, Umberto Morra, Jorge Luis Borges, Robert Duncan, David Wevill, Louis Zukofsky, and Robert Creeley. 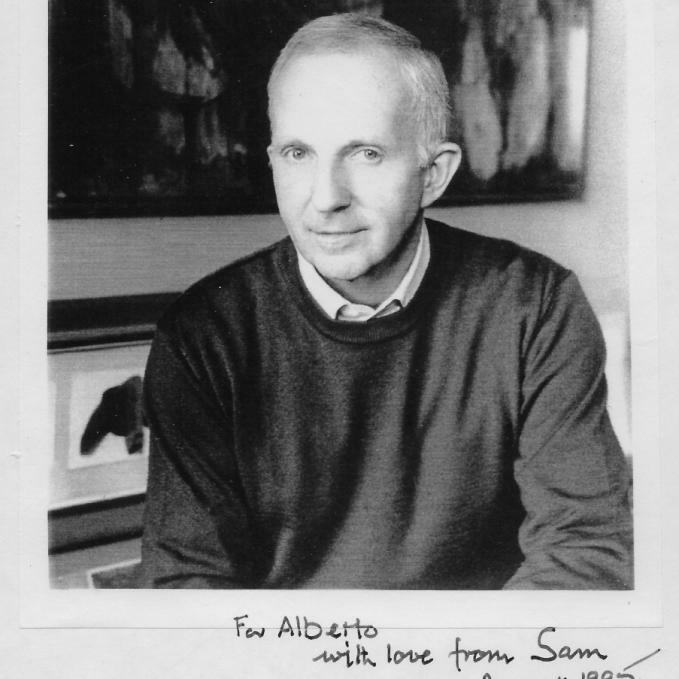 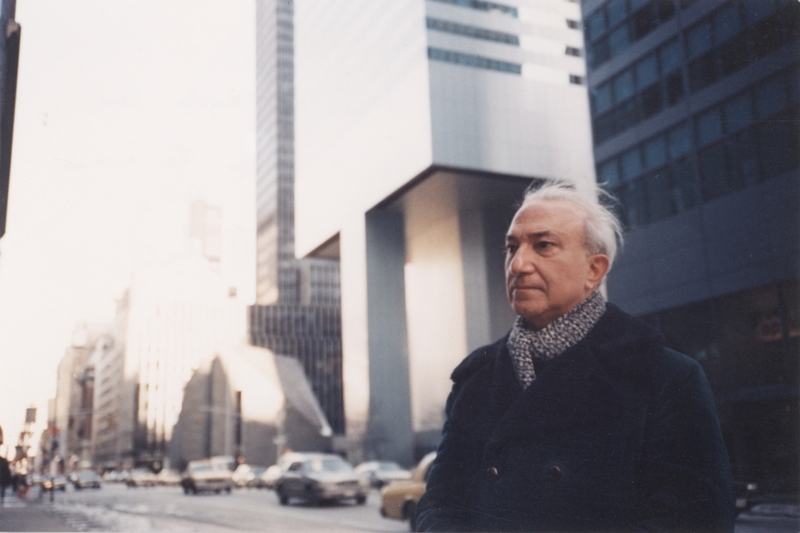 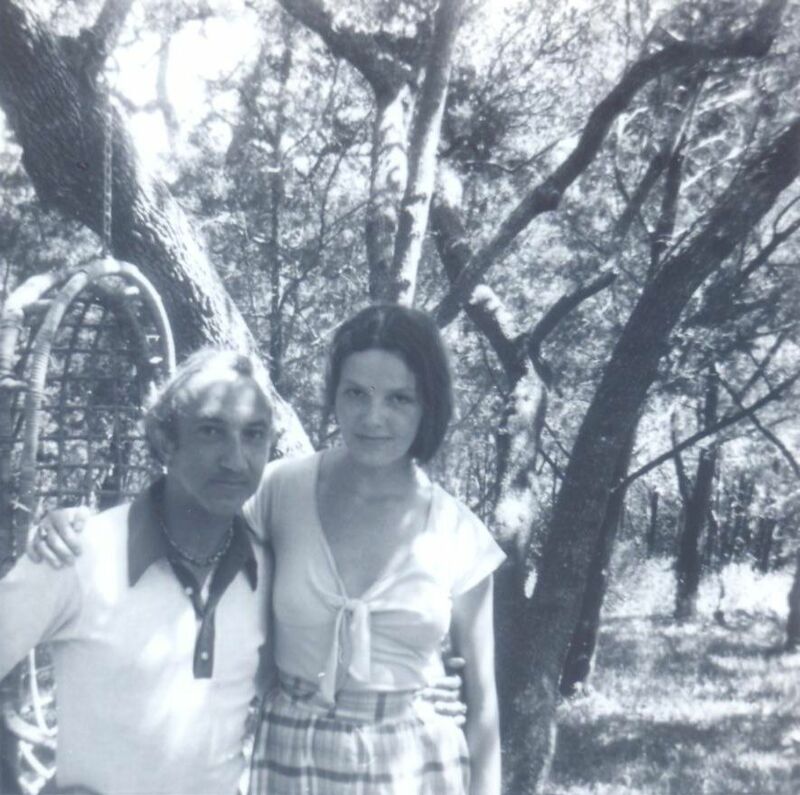 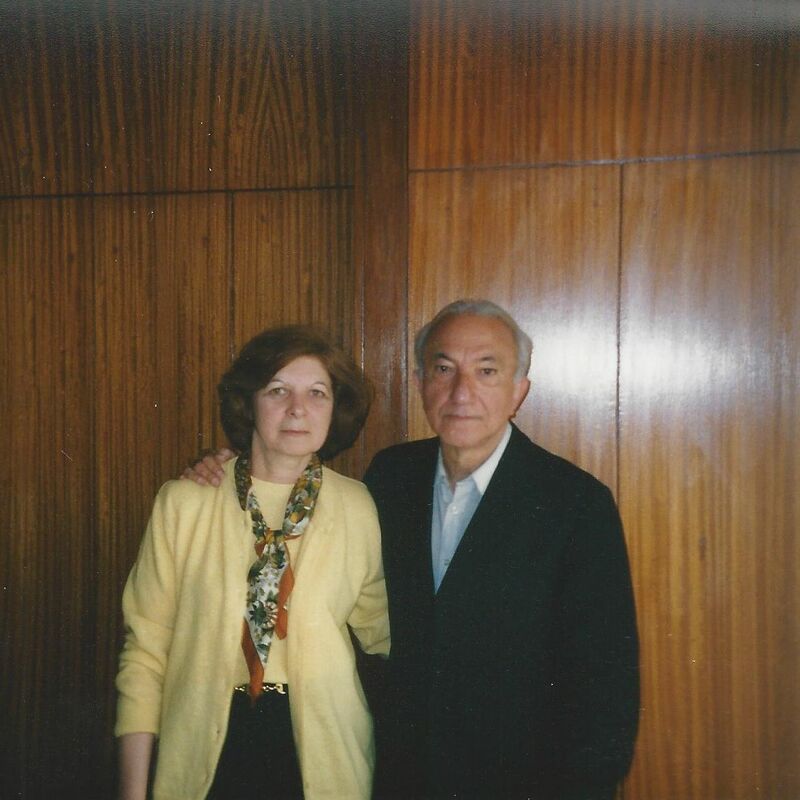 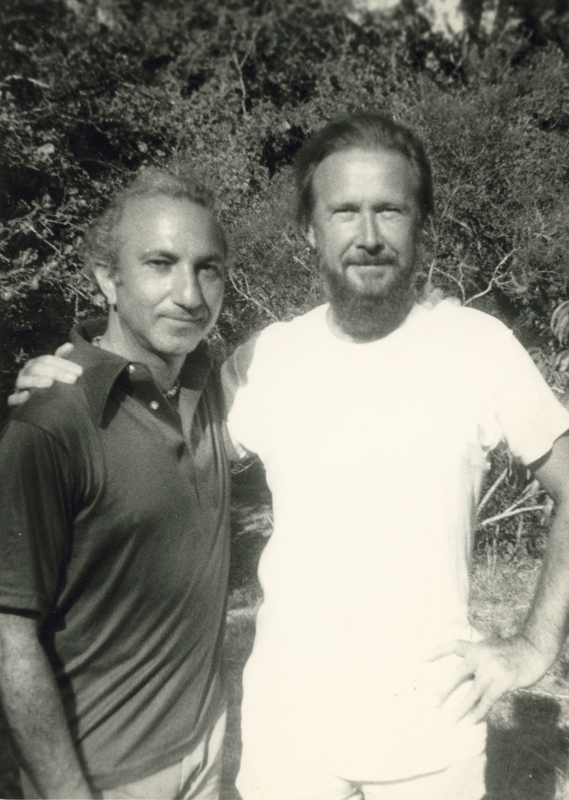 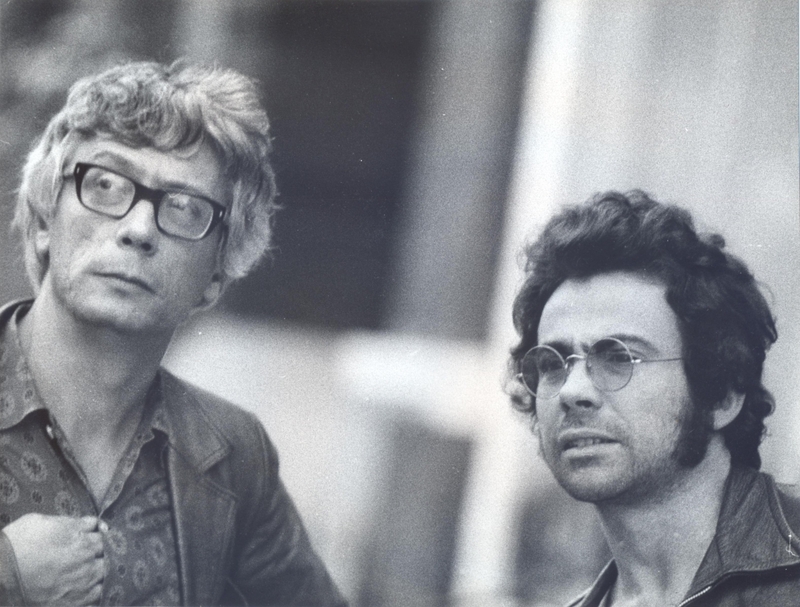 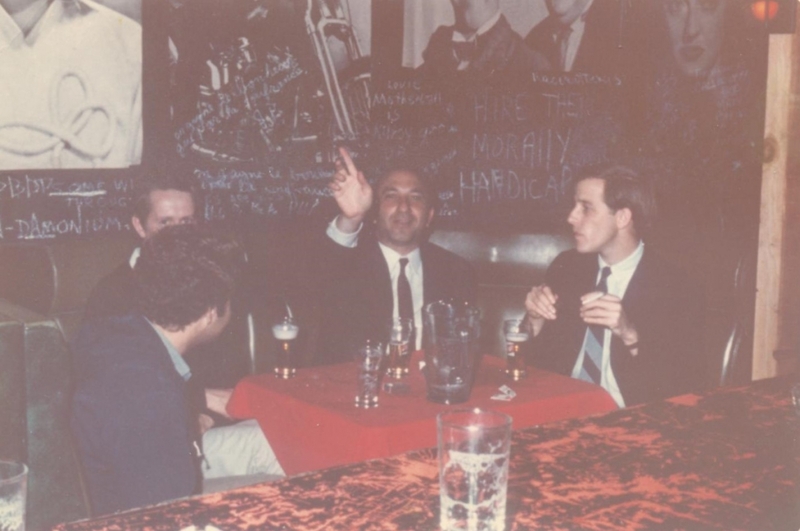 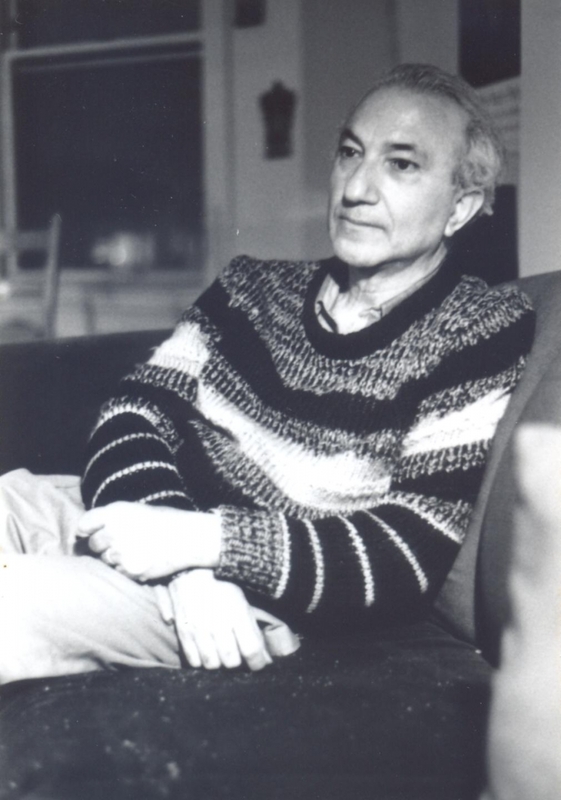 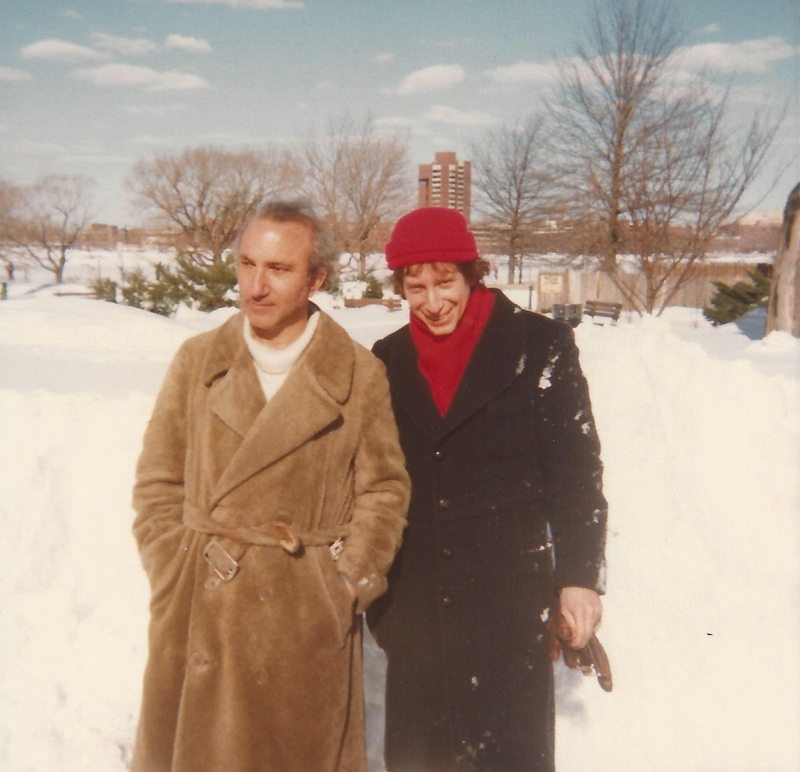 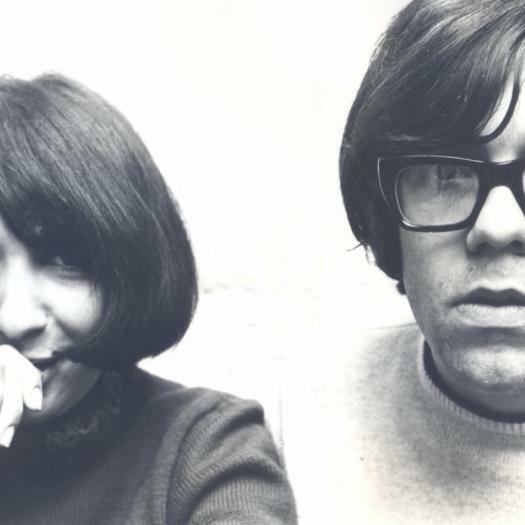 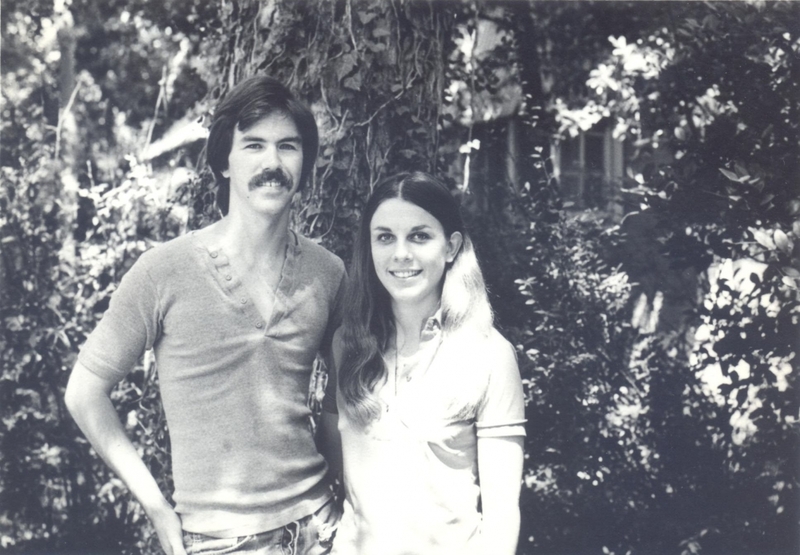 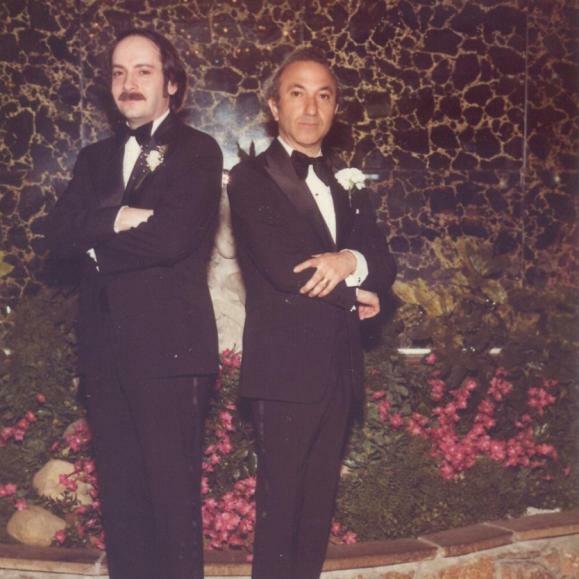 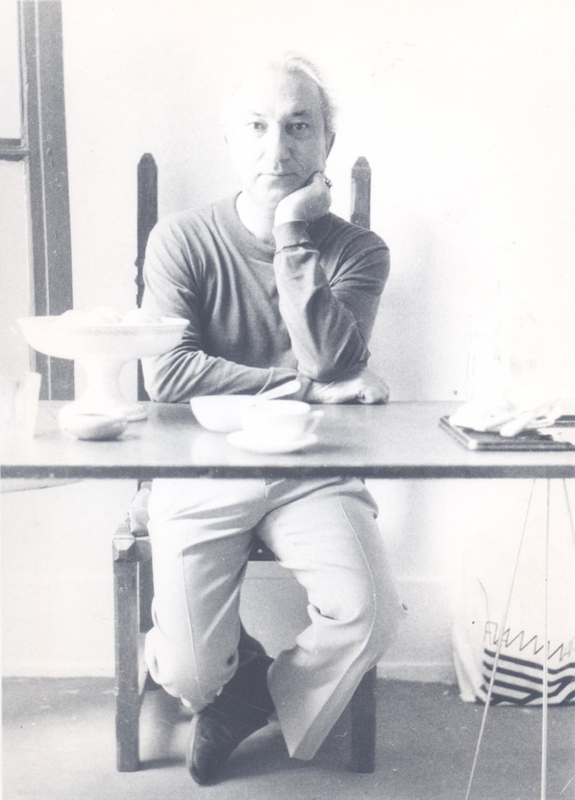 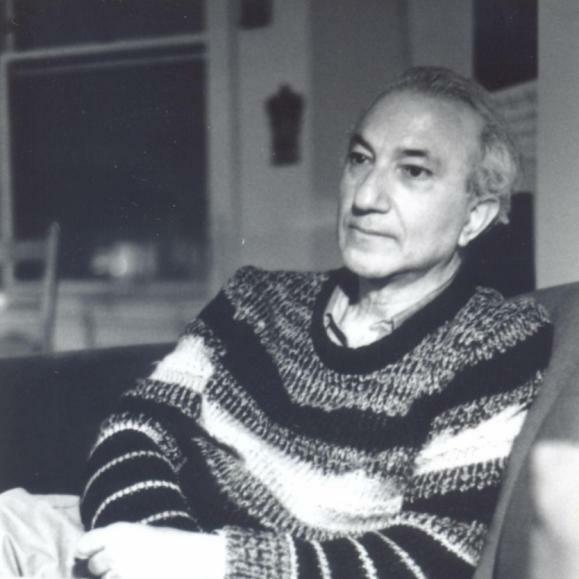 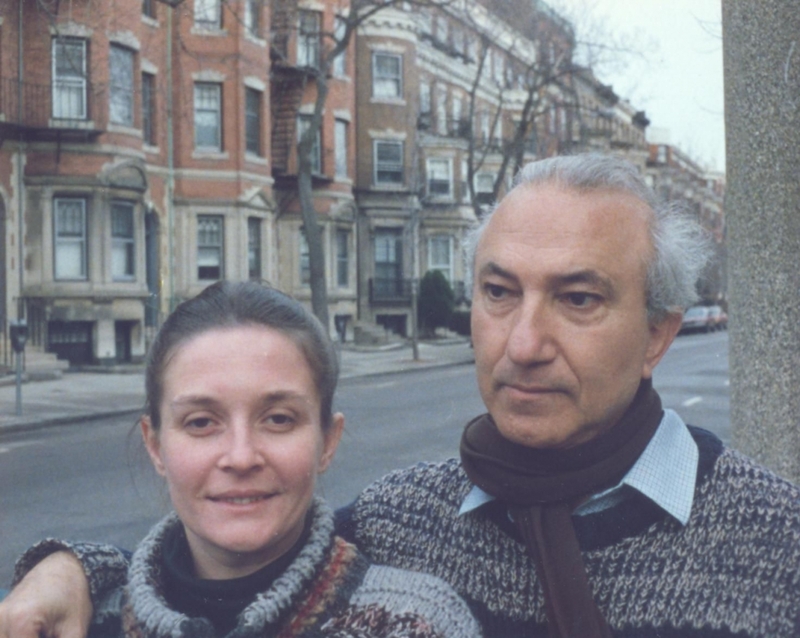 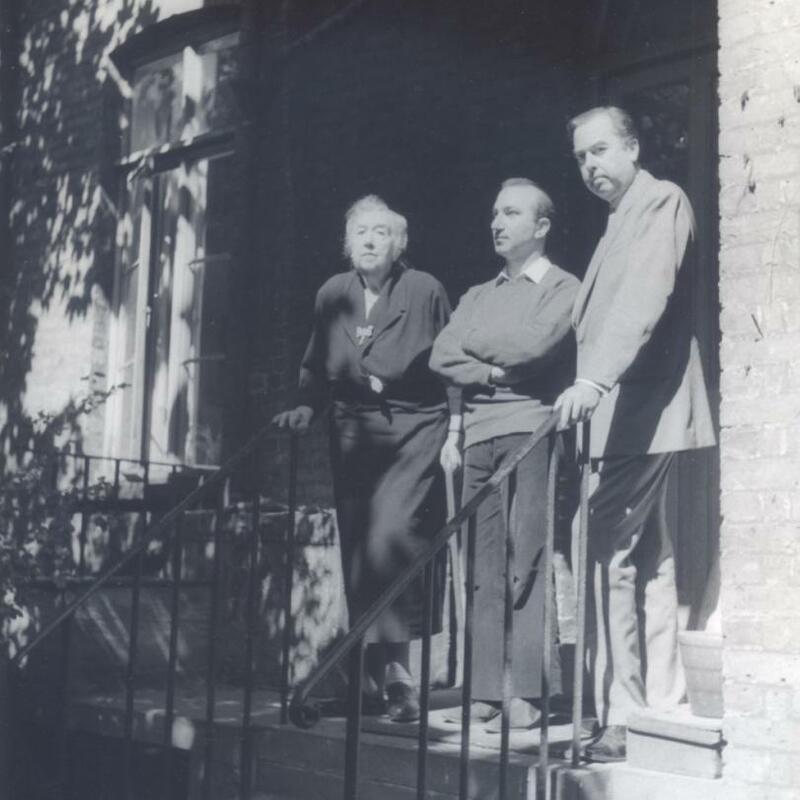 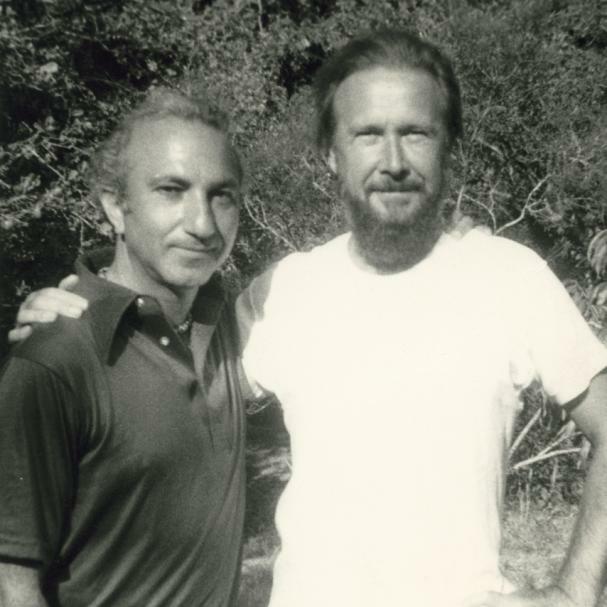 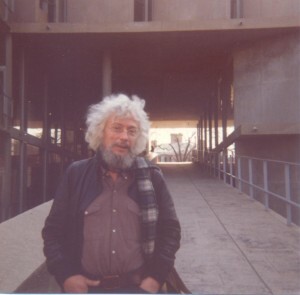 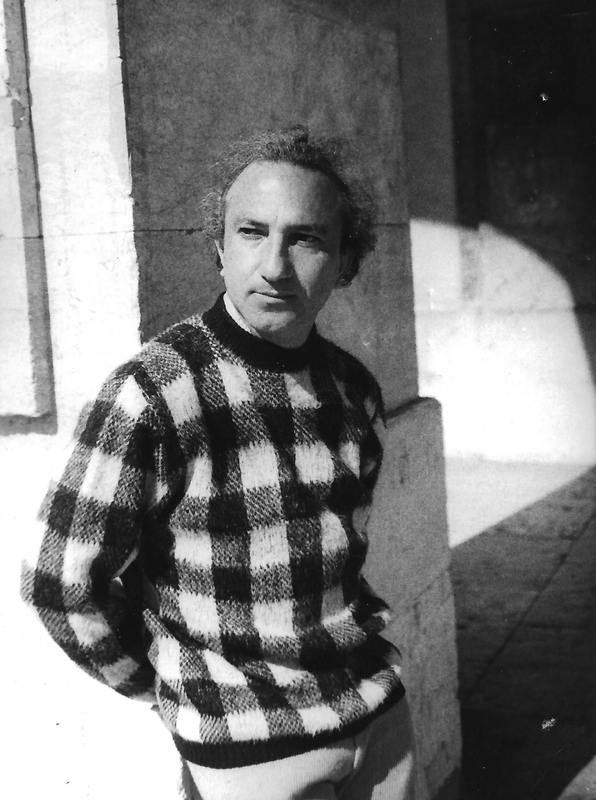 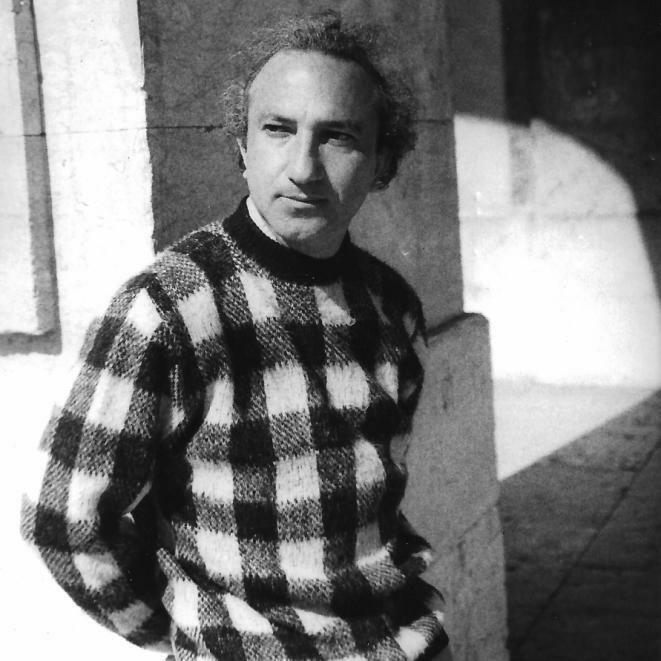 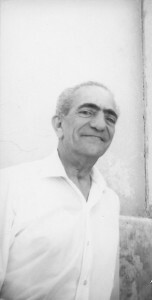 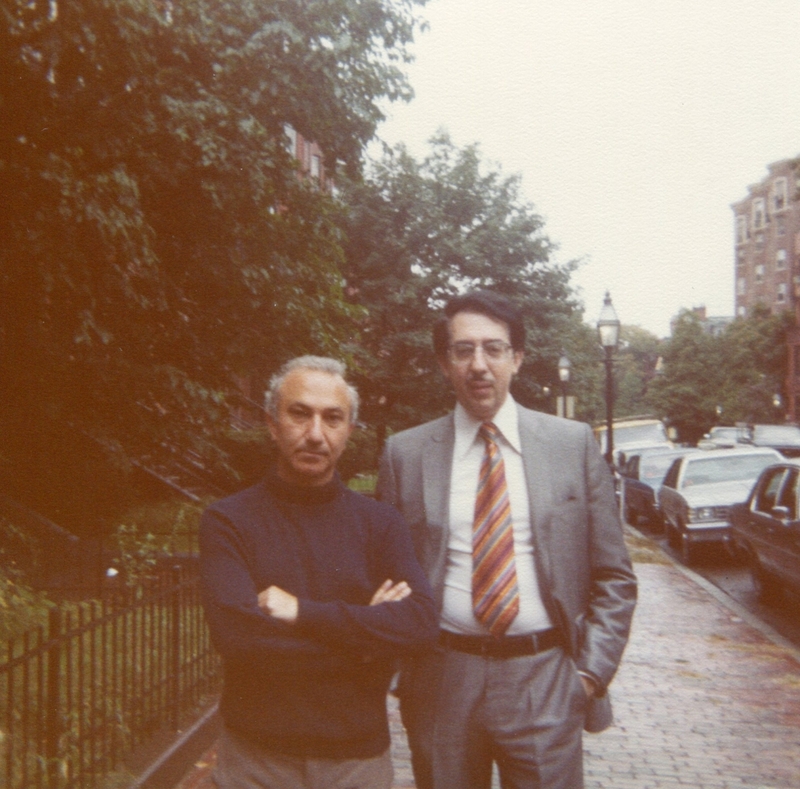 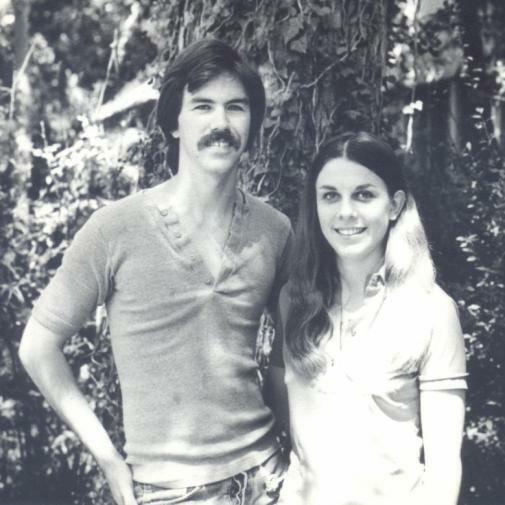 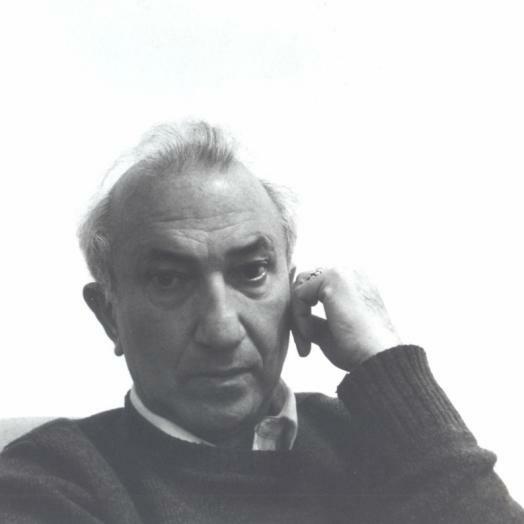 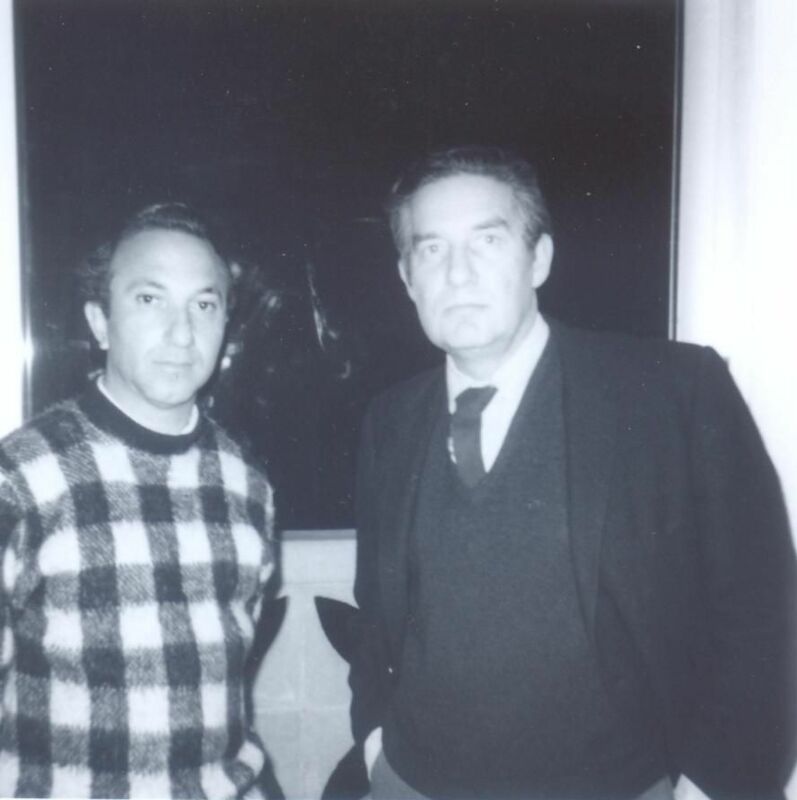 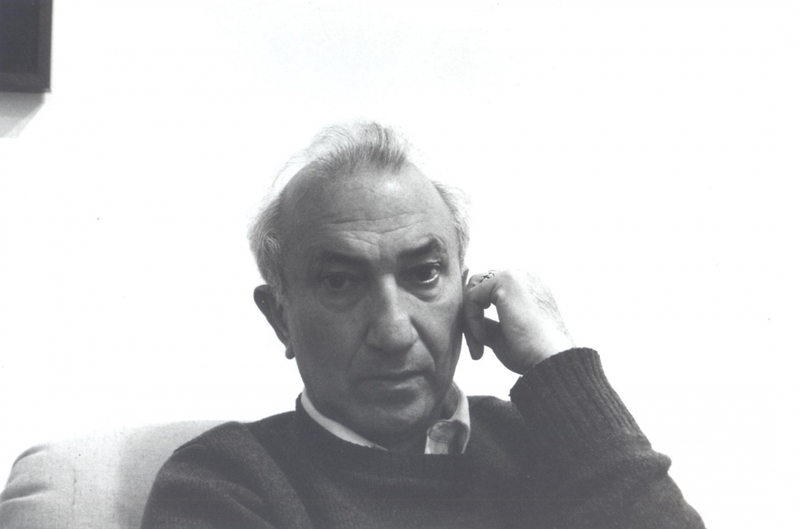 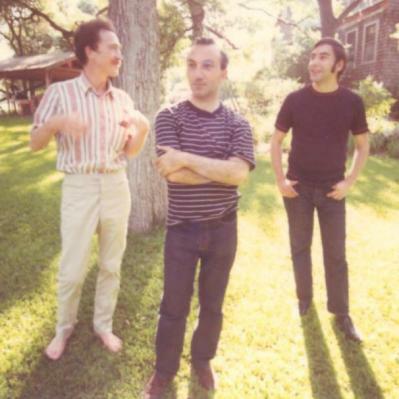 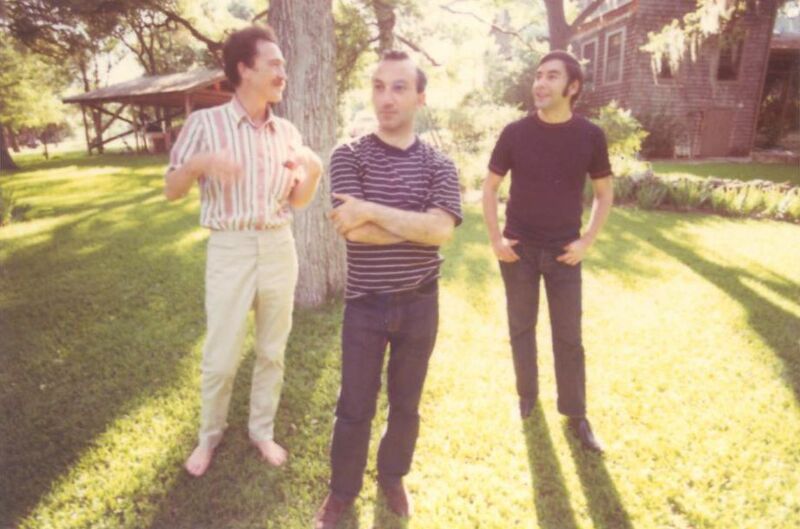 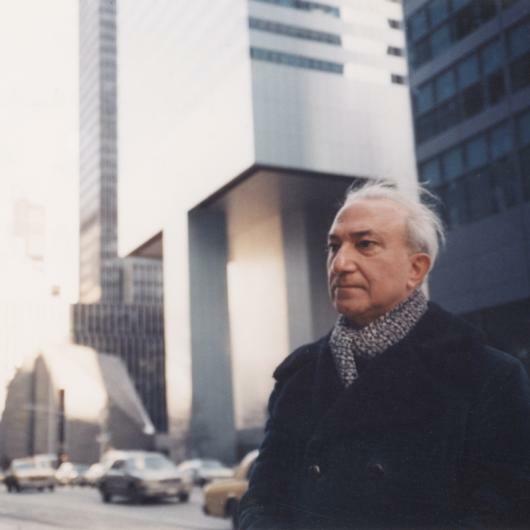 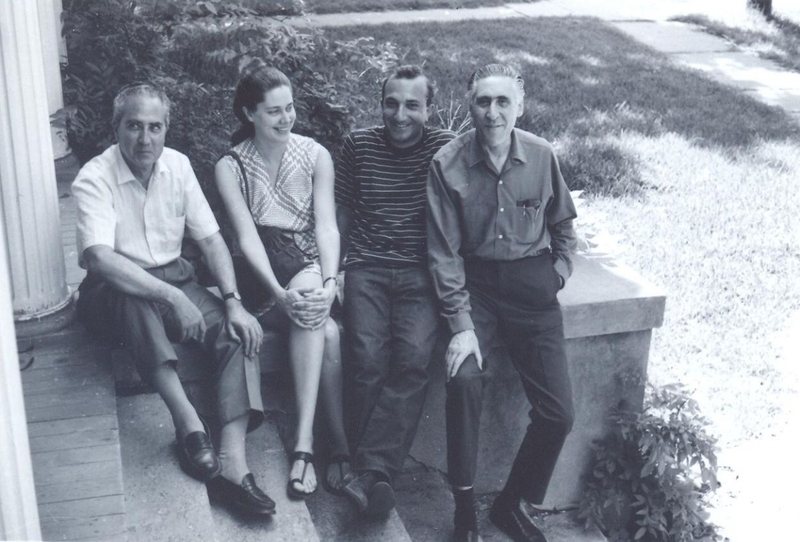 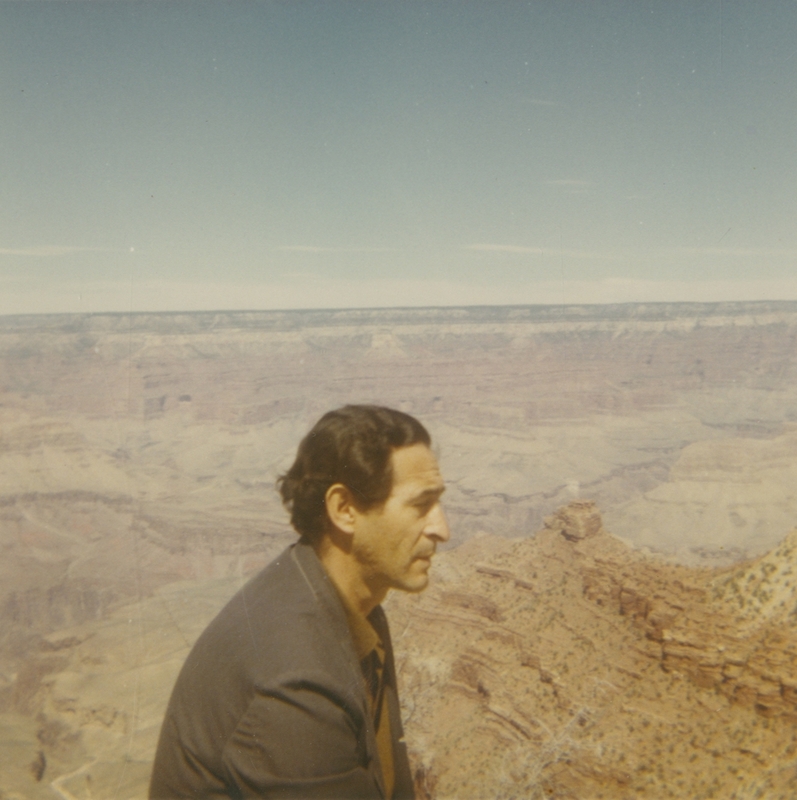 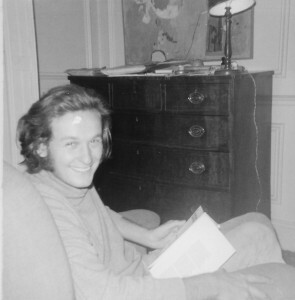 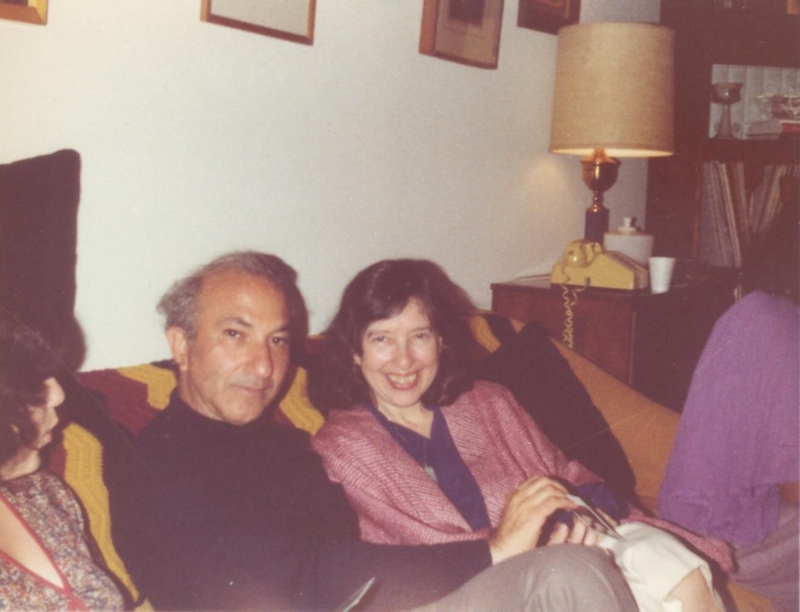 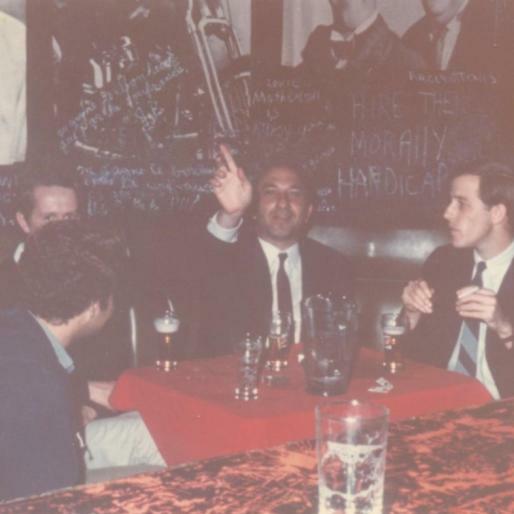 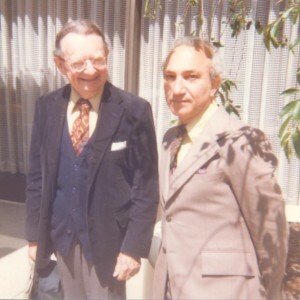 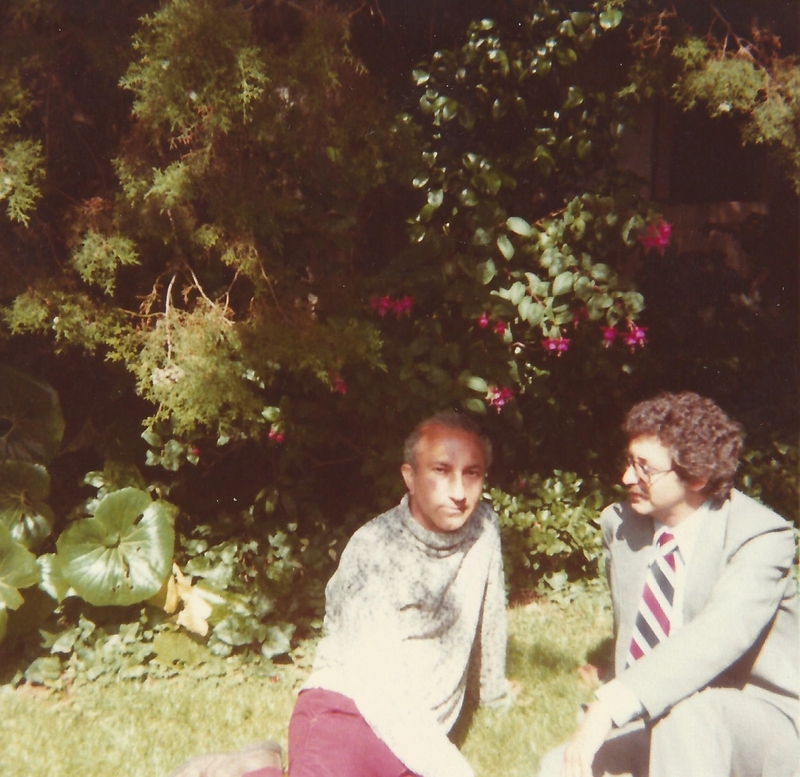 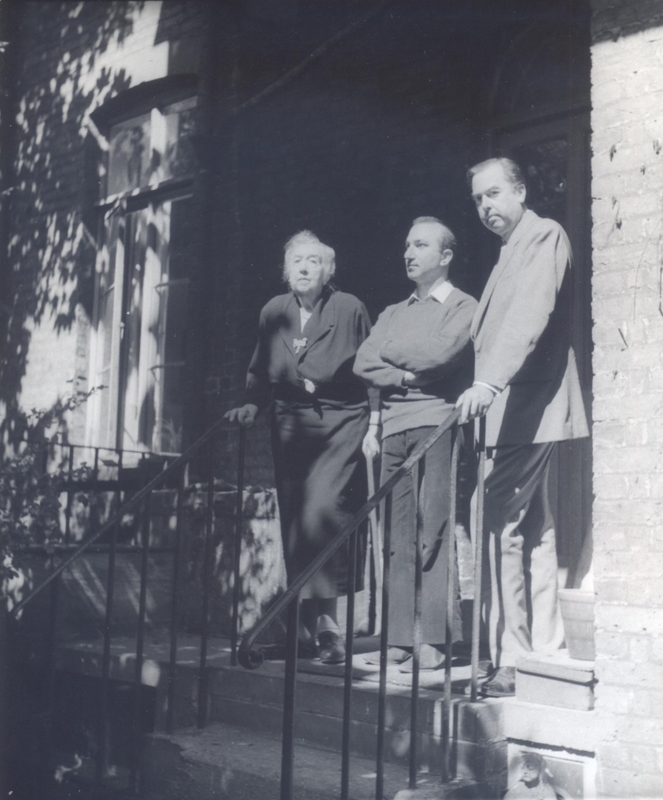 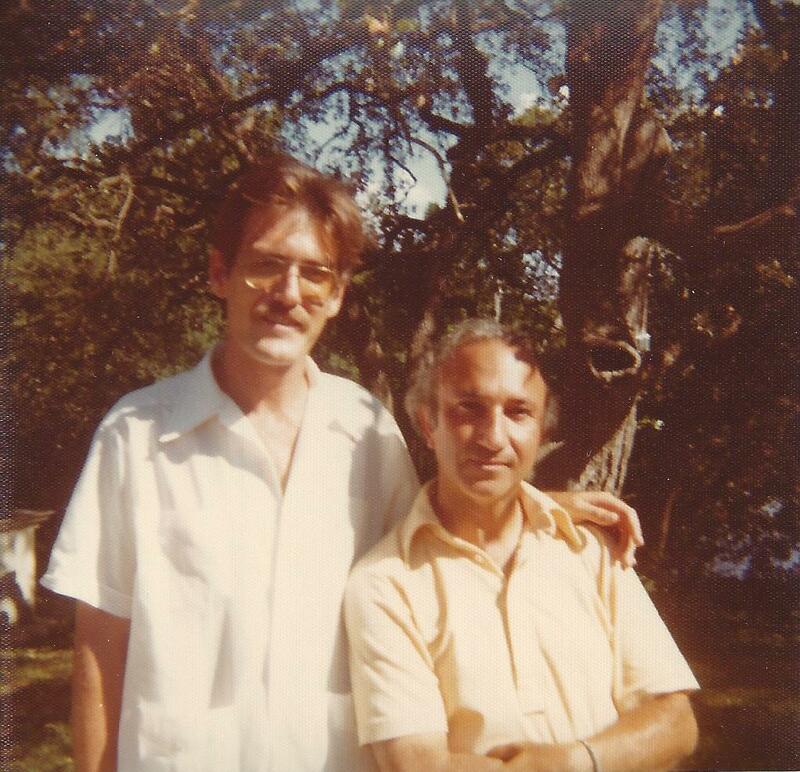 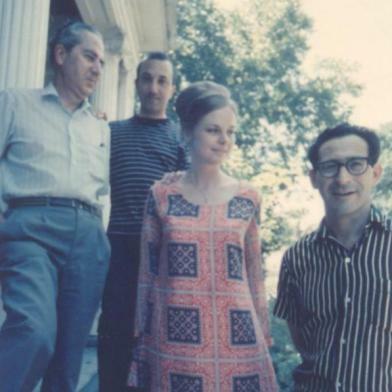 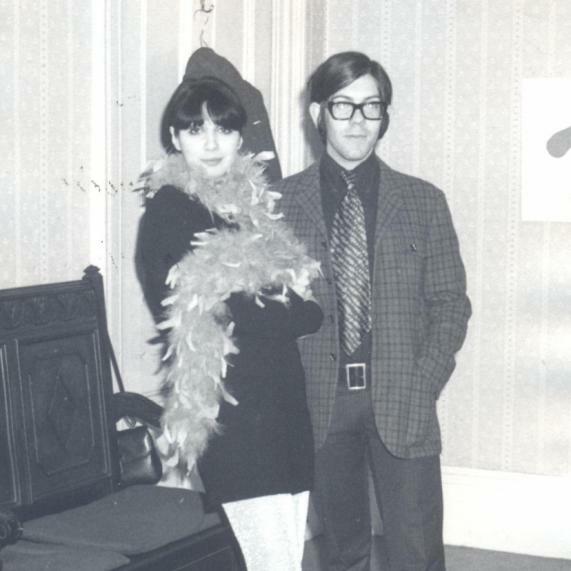 A second visiting professorship took Alberto to Boston University in 1972. 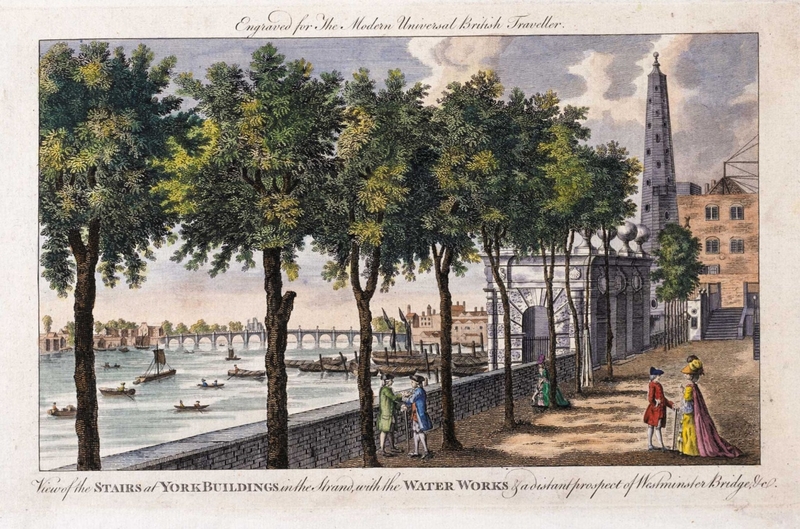 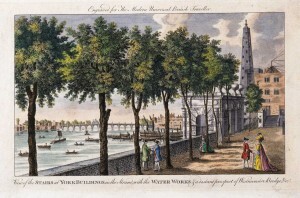 This became a part-time contract for the autumn term of the academic year, which enabled him to spend most of his time in London. 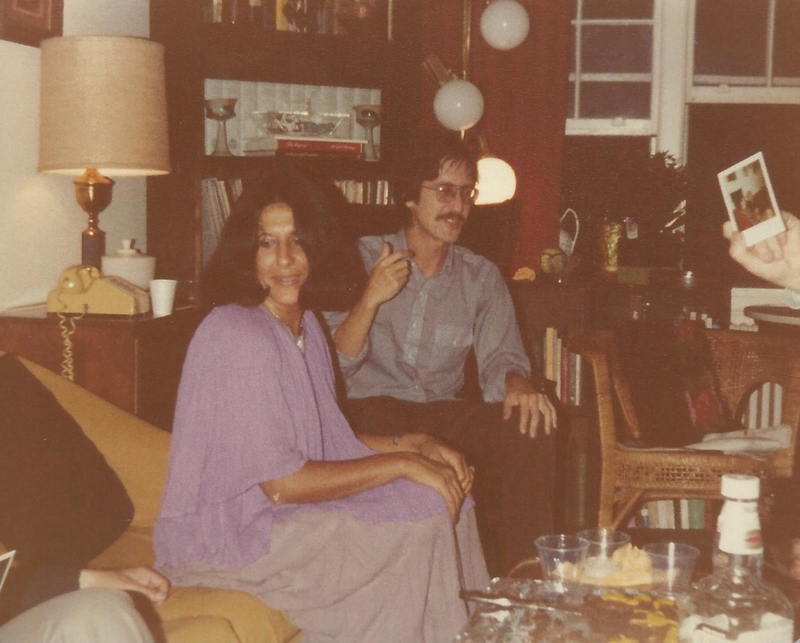 This section includes photographs of Elizabeth Sanchez, José Sanchez, Eddie Arning, Saudade Cortesão, Murilo Mendes, Rory McEwen, Jasmim de Matos, Sophia de Mello Breyner Andresen, Jean Hugo, Júlio Pomar, António Sena, Ruben Garcia, Ben Norwood, Herberto Helder, Rosa Ramalho, Octavio Paz, Marie Jo Paz, Nathaniel Tarn, Steve Kubenka, Carmen and Haroldo de Campos, Anne Beresford, and Cruzeiro Seixas. 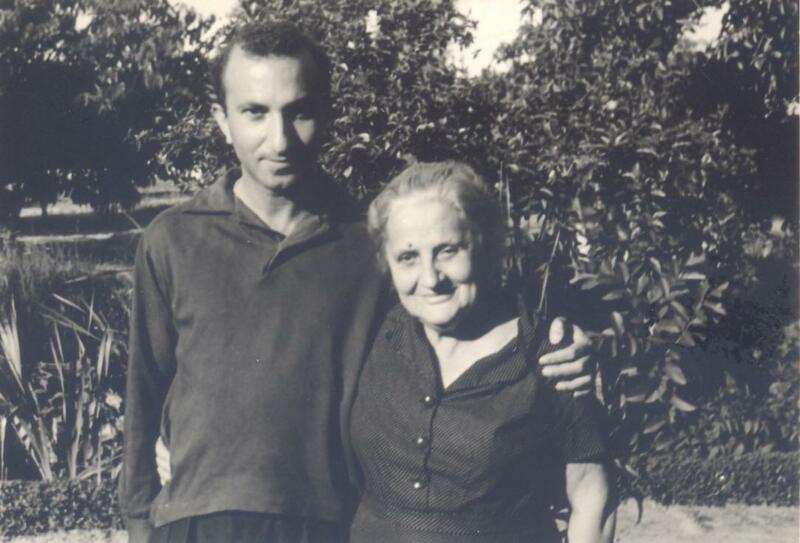 A regular salary and frugal habits allowed Alberto to visit friends throughout Europe and the United States. 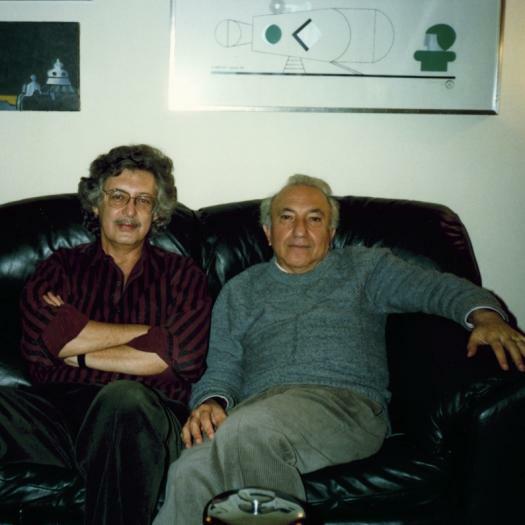 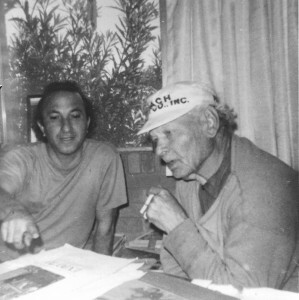 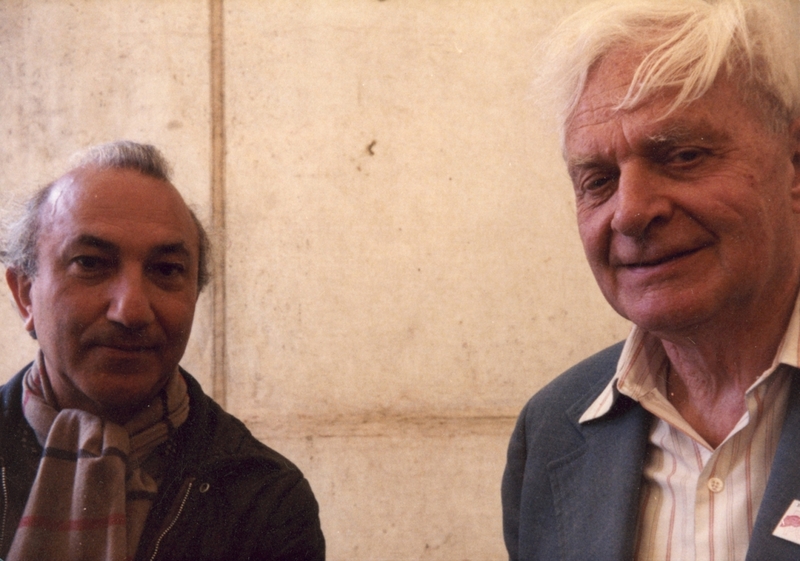 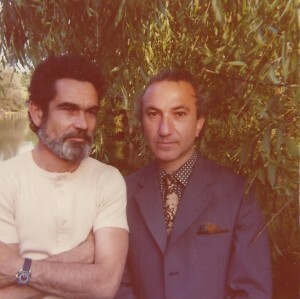 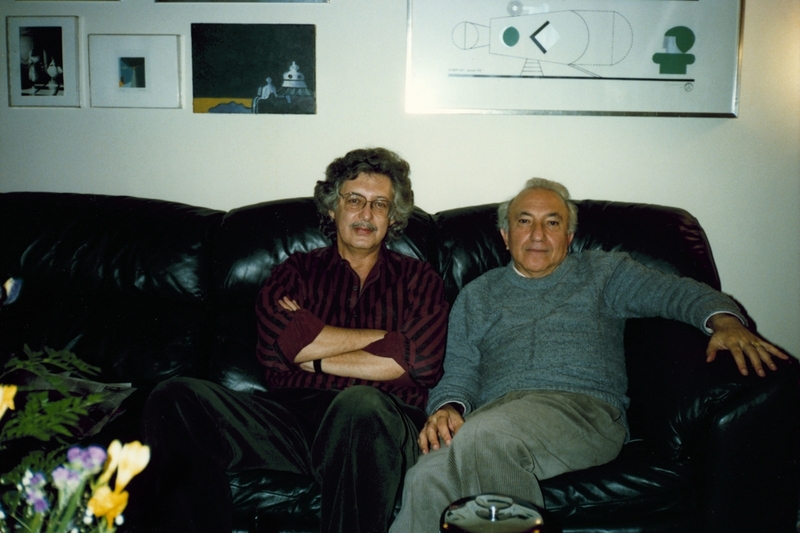 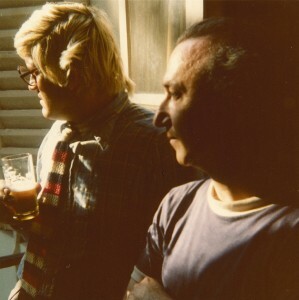 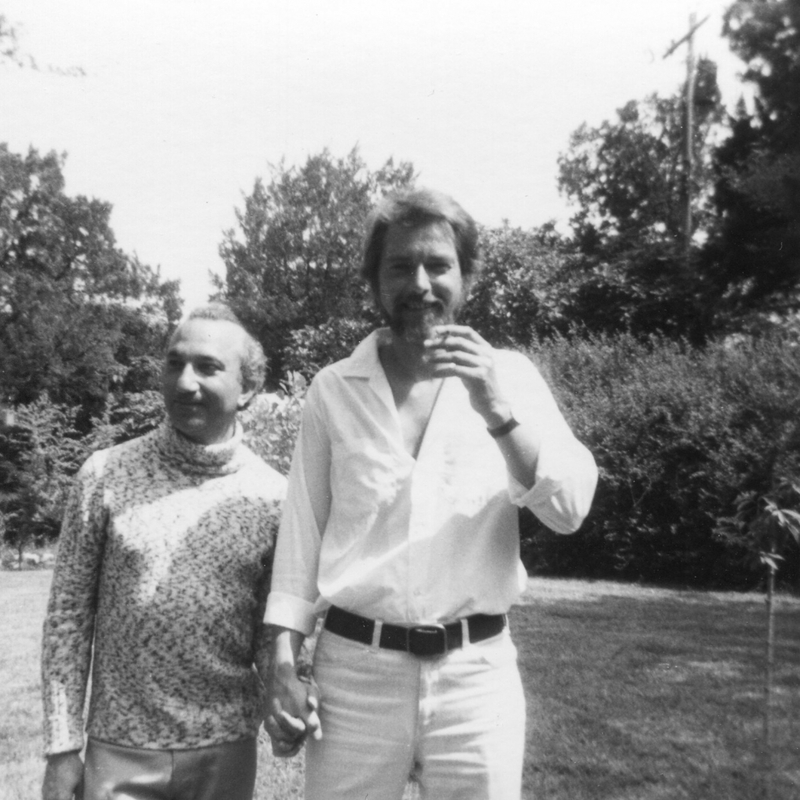 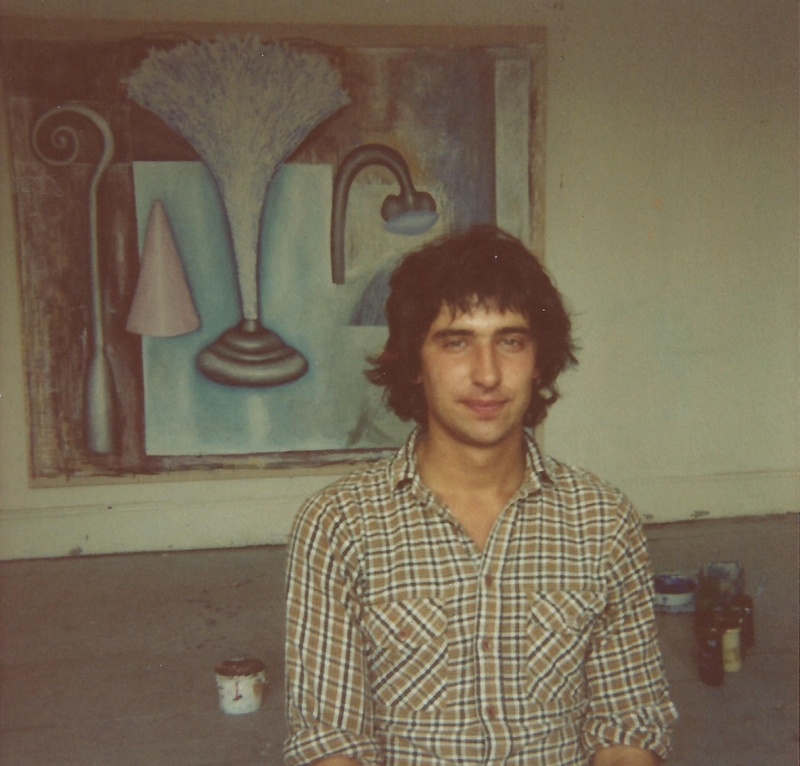 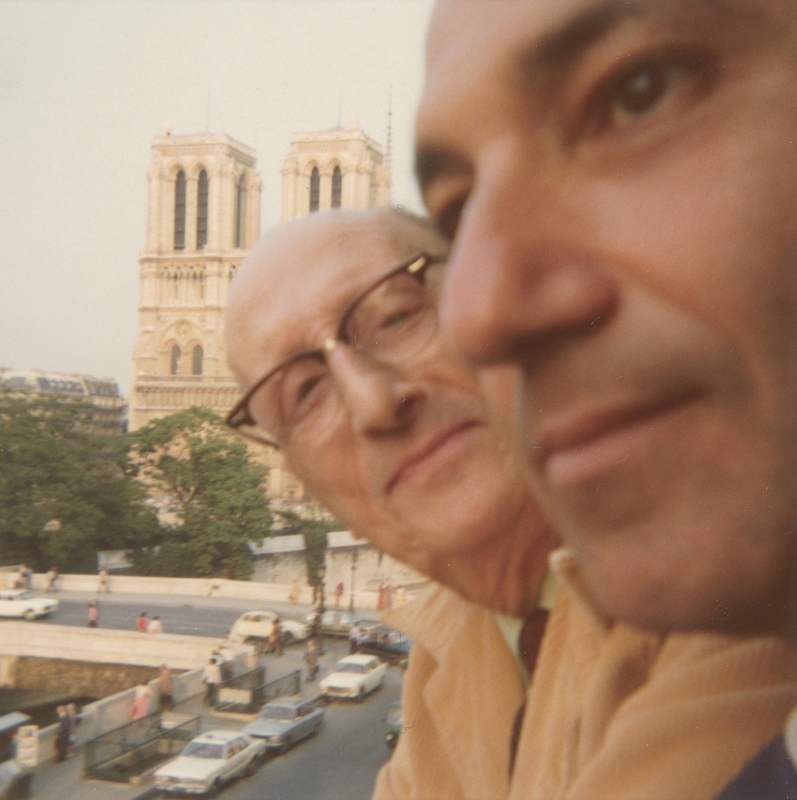 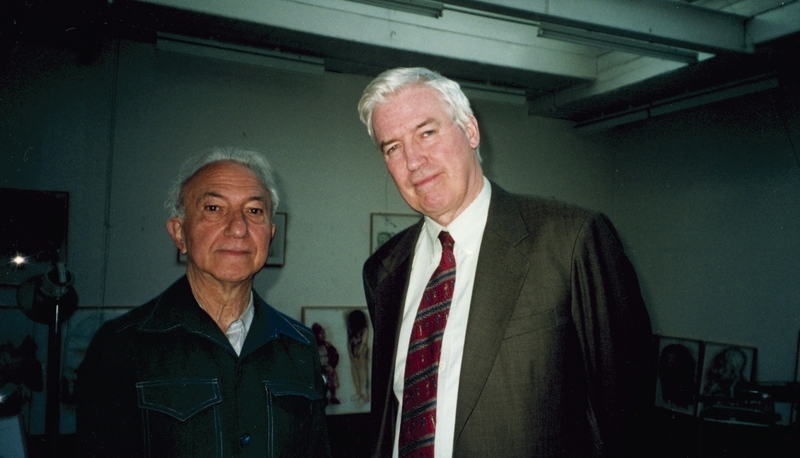 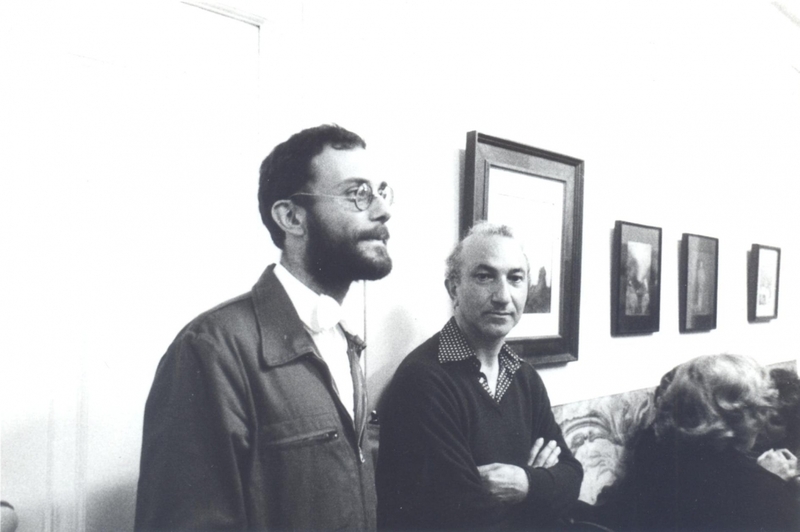 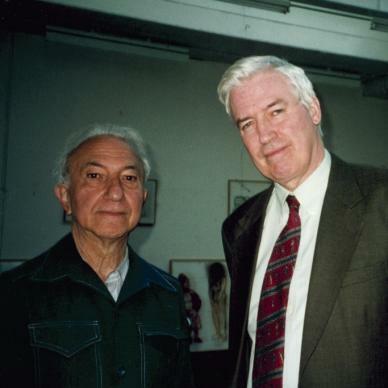 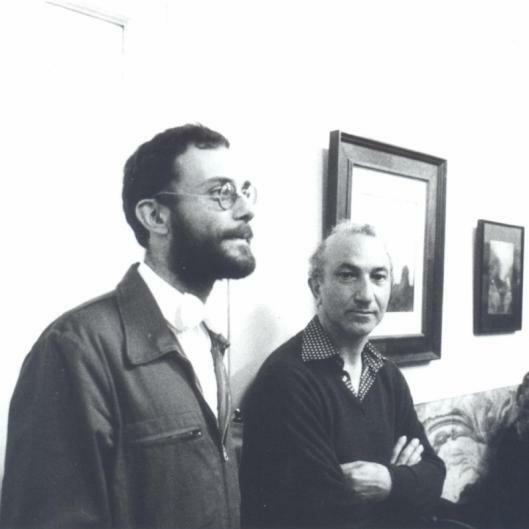 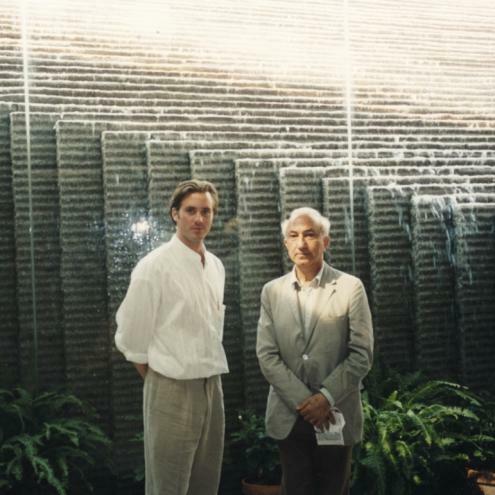 Included here are Fernando Bettencourt, Jorge Guillén, David Hockney, Michael Hamburger, David Wevill, Sharon Wevill, Svatava Jakobson, Christopher Middleton, Ralph Niebuhr, Victor Willing, Jim Iffland, Ruth Lepson, Marc Widershien, Tino Villanueva, Robert Duncan, I.F. 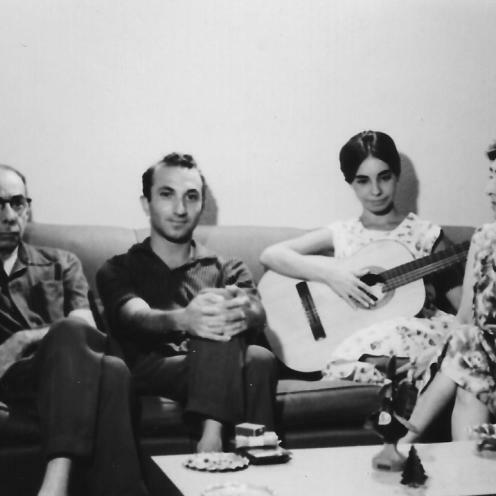 Stone, Dennis Costa, Anne Beresford, Arpad Szenes, Vieira da Silva, Sophia de Mello Breyner Andresen, Luís Amorim de Sousa, Mário Cesariny, João Gaspar Simões, Cruzeiro Seixas, and Eugénio Lisboa. 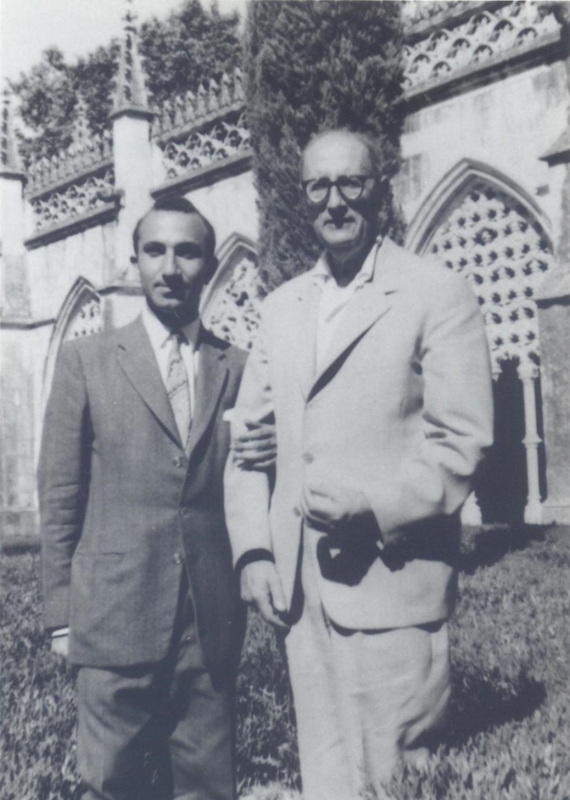 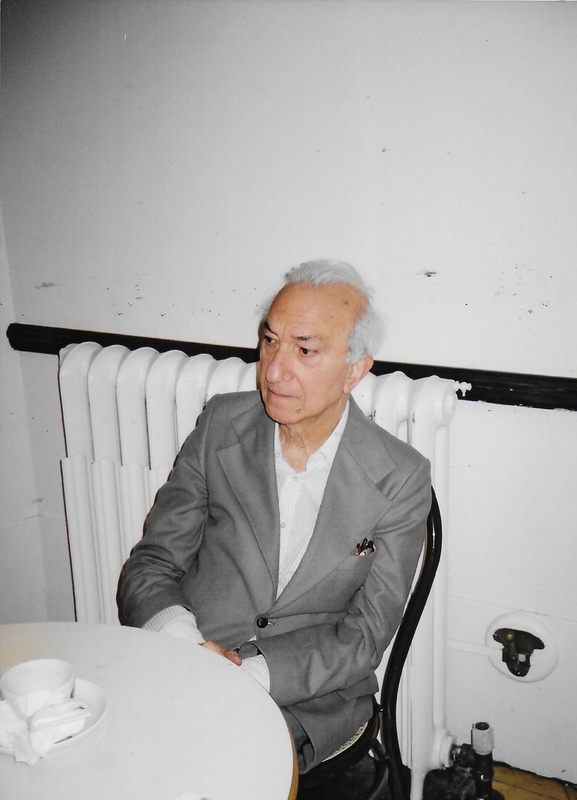 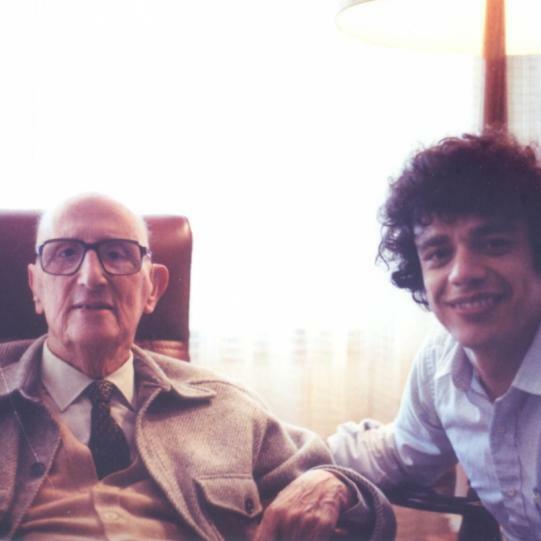 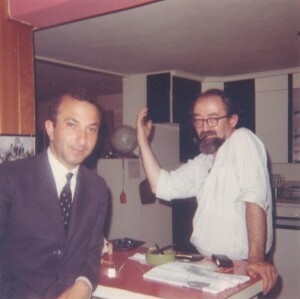 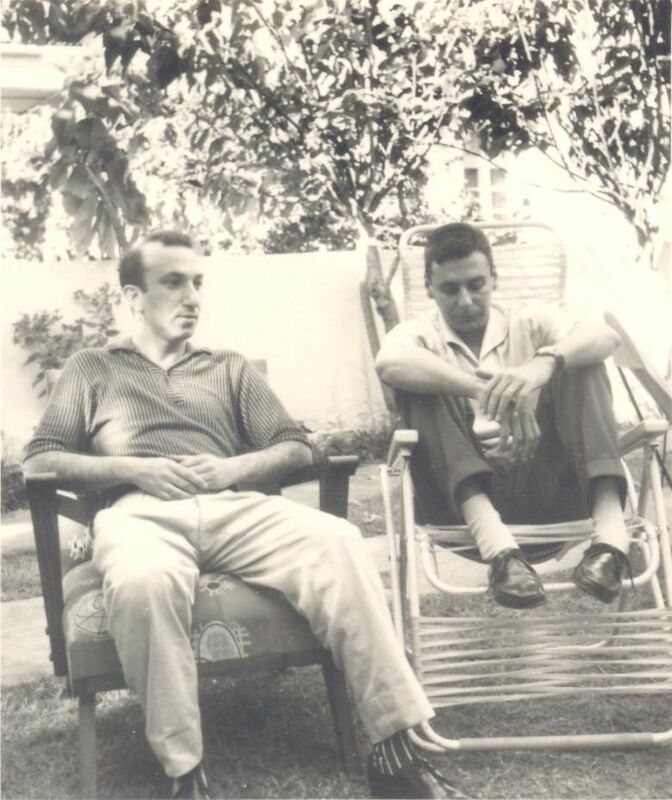 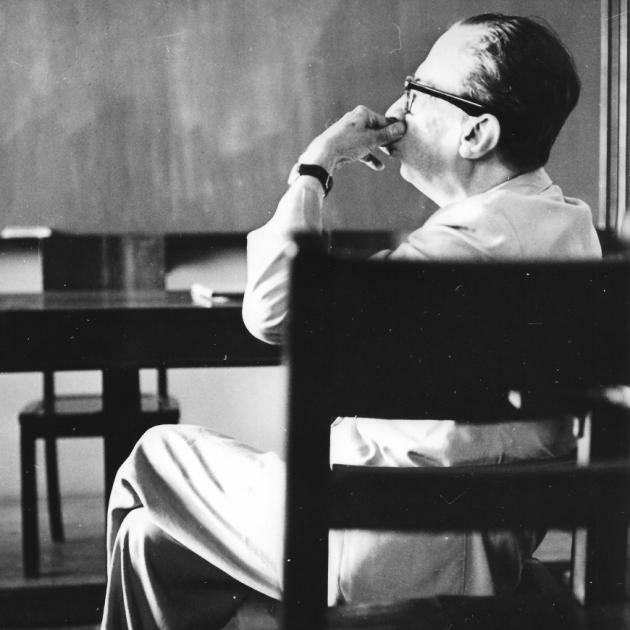 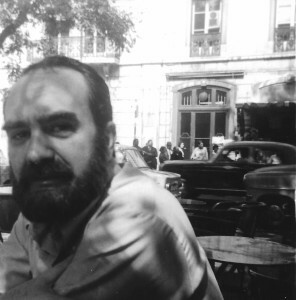 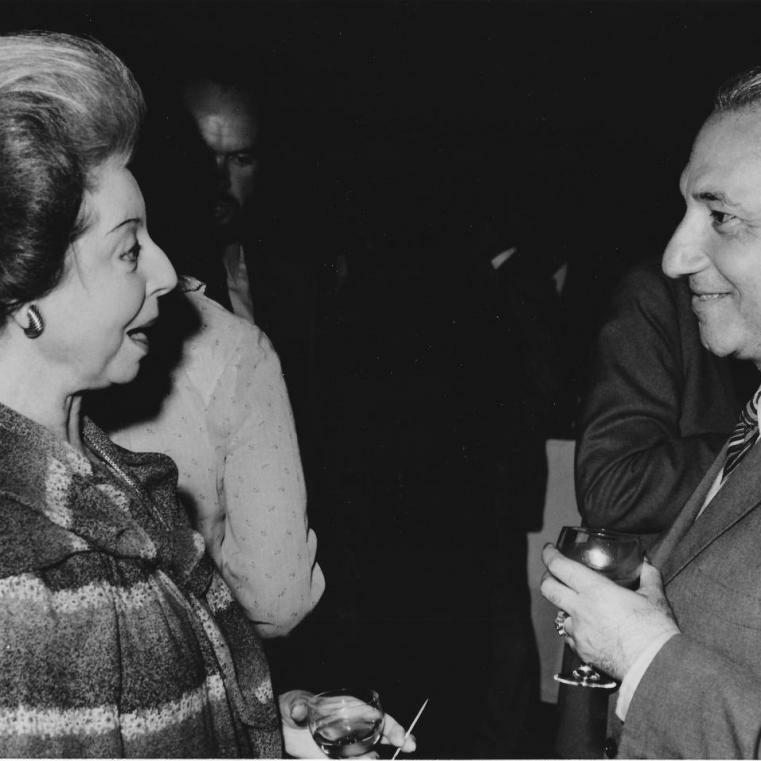 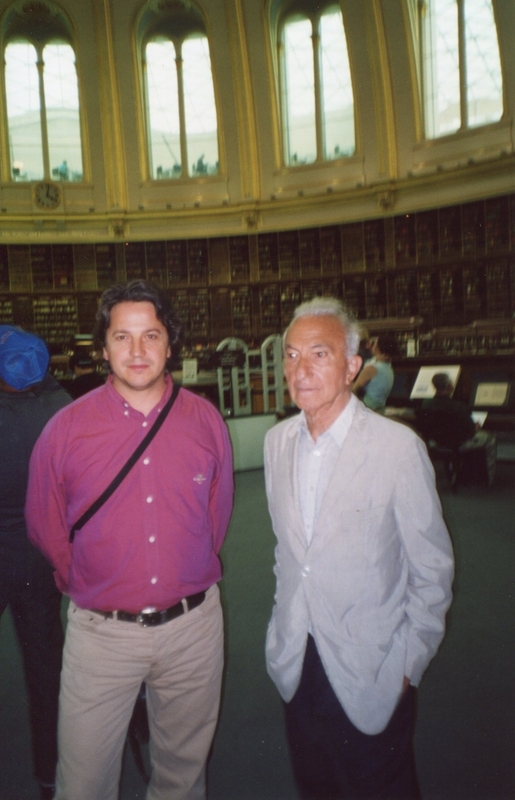 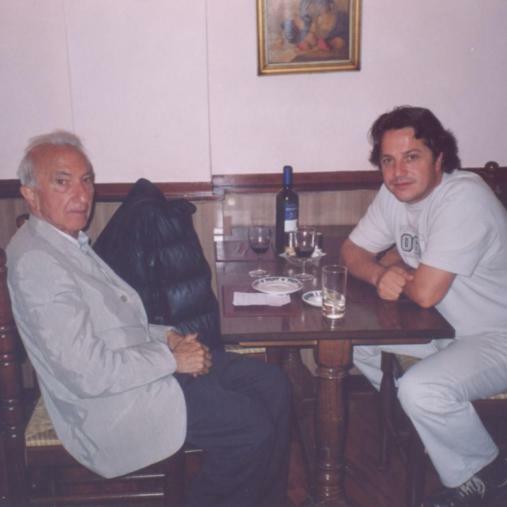 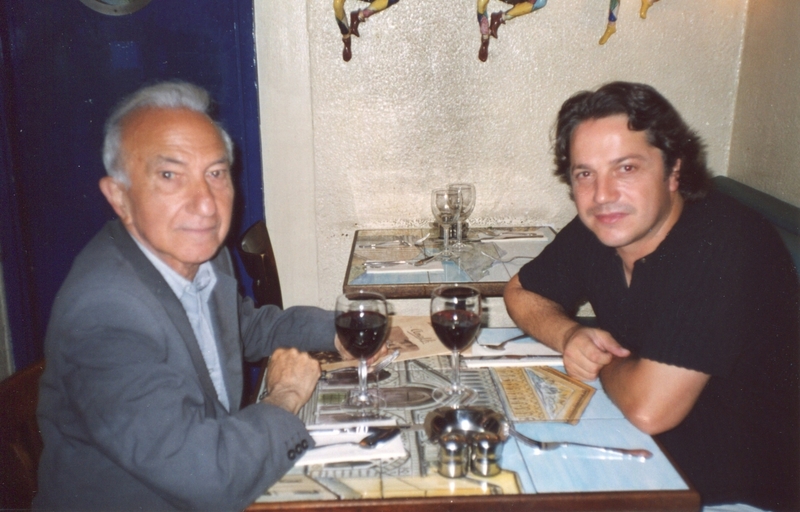 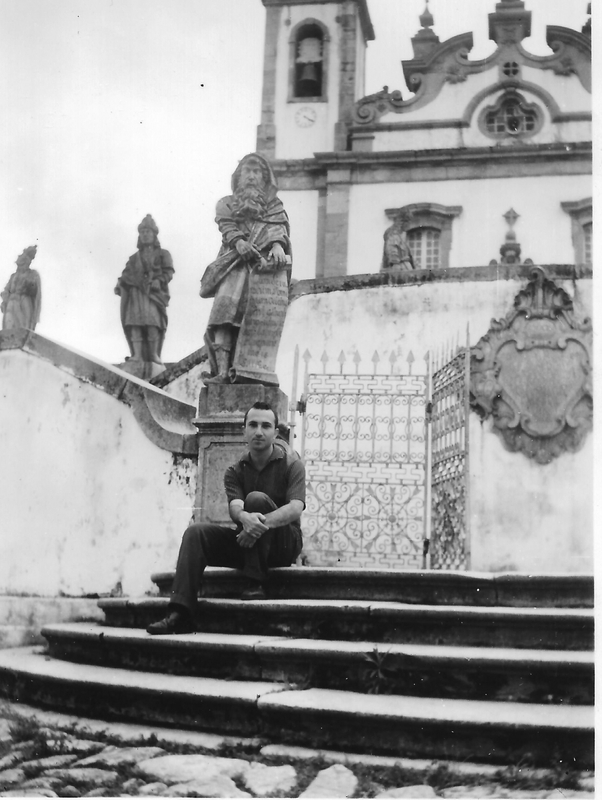 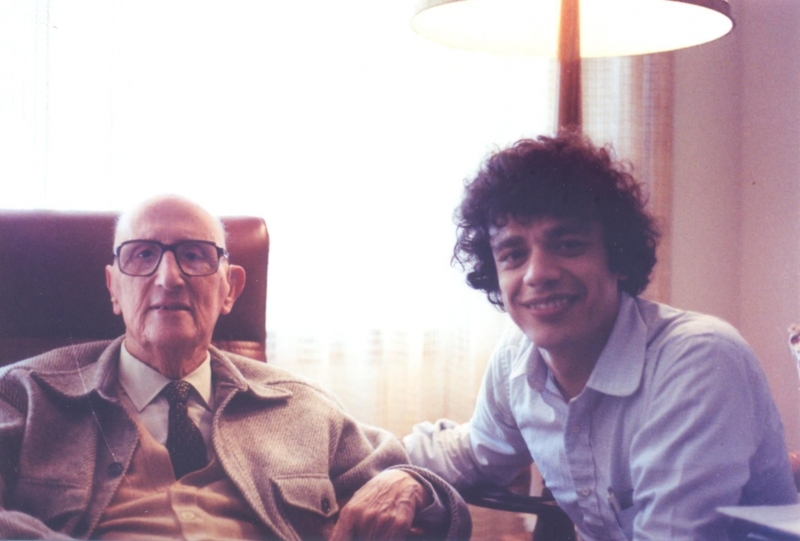 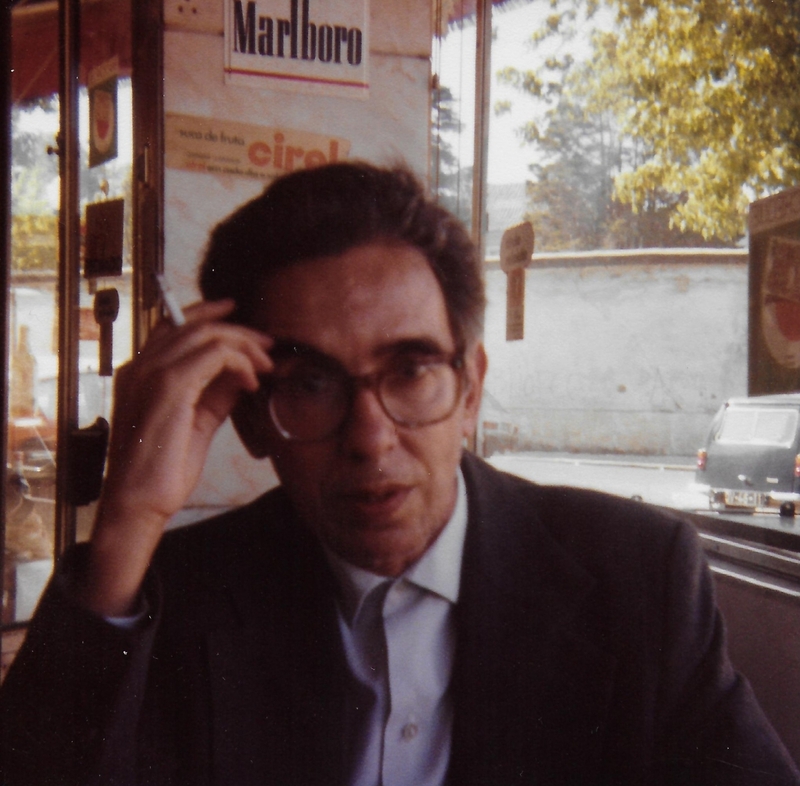 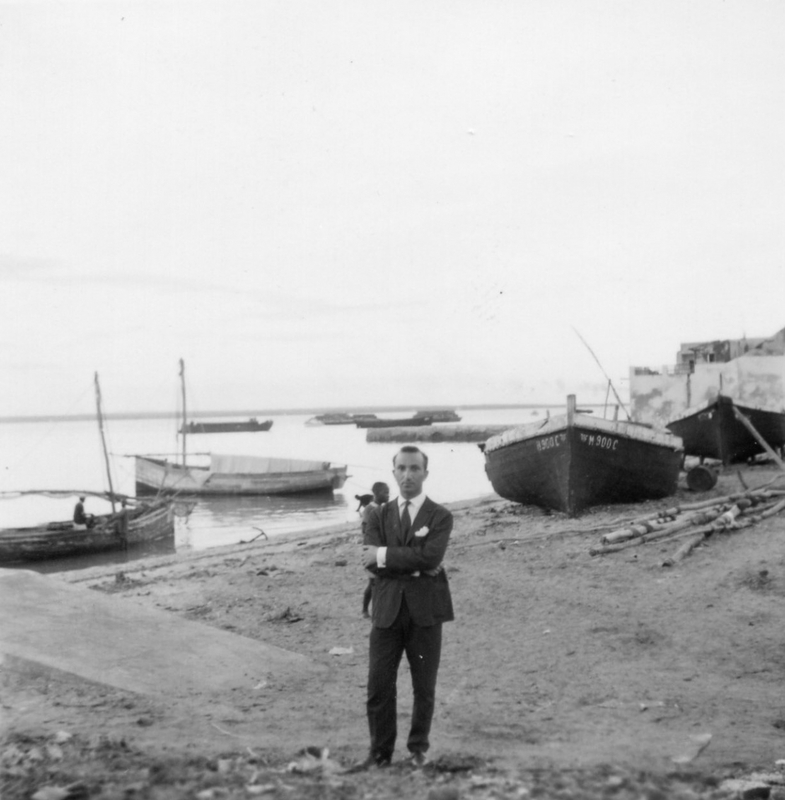 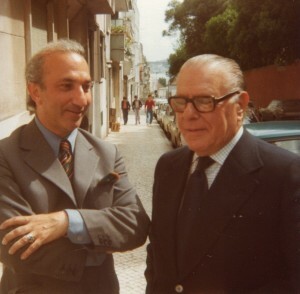 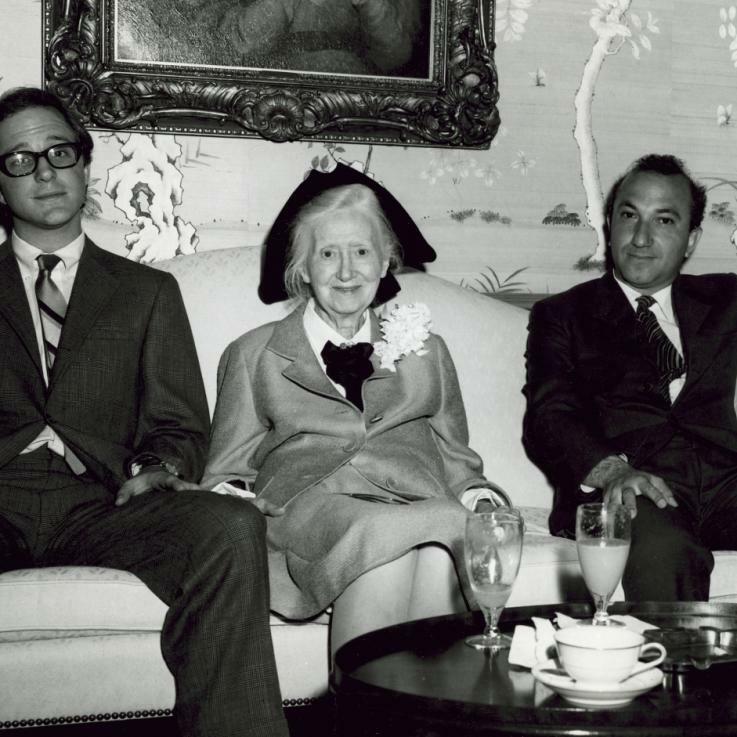 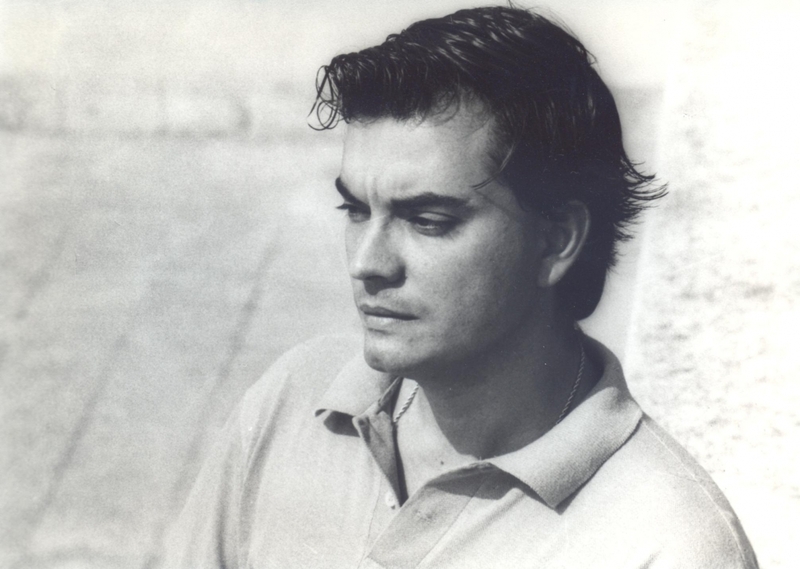 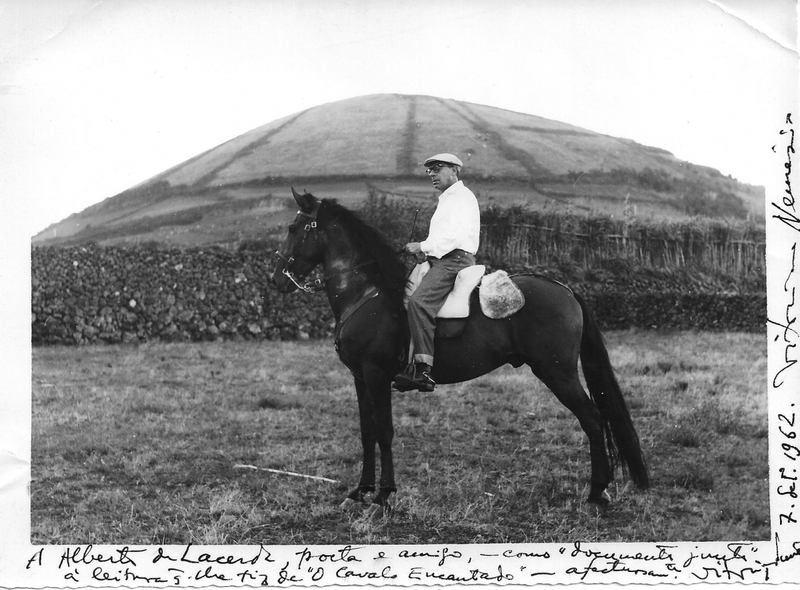 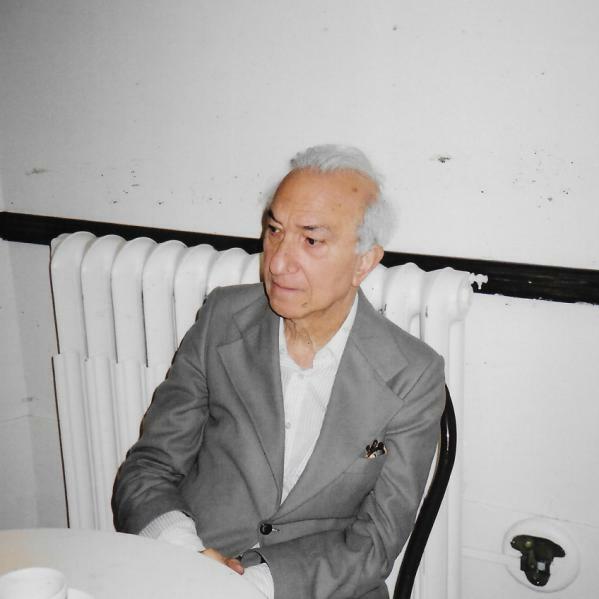 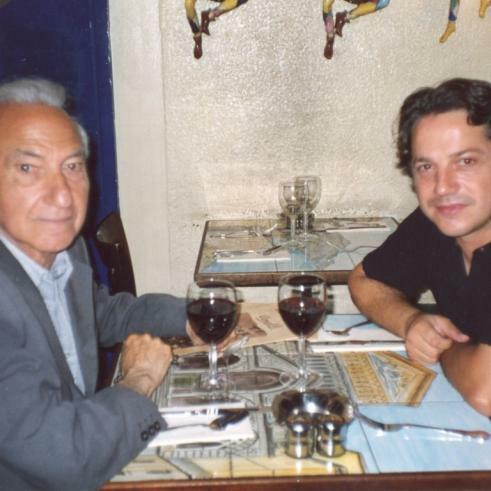 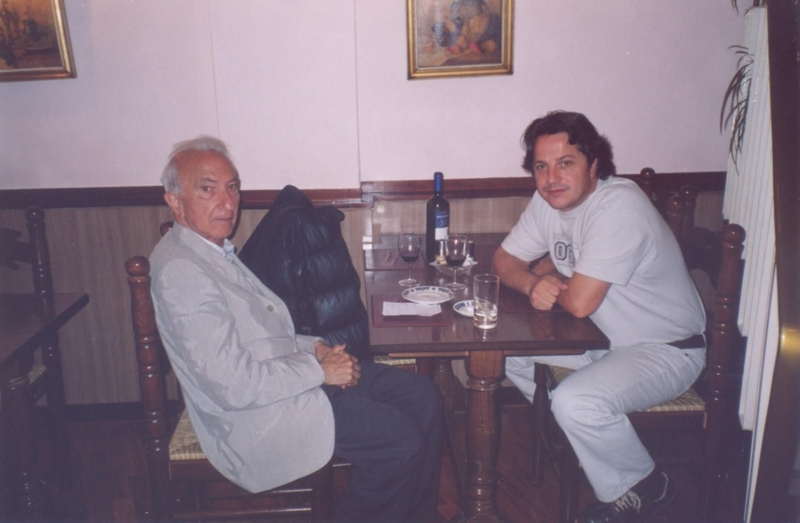 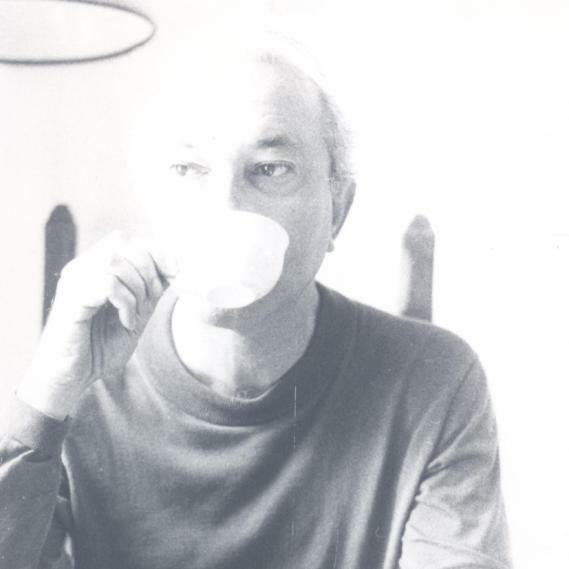 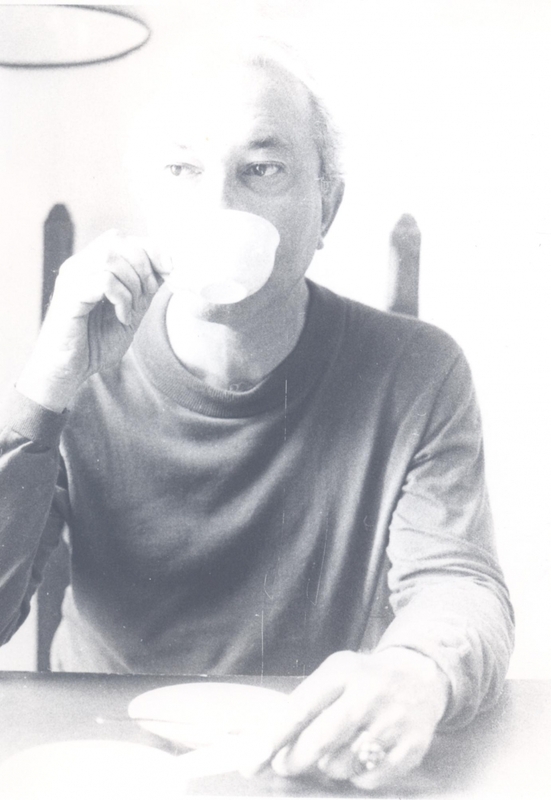 In his own words, Alberto de Lacerda was “a solitary person with a rich and varied social life.” Entertaining and visiting friends was a continuing source of pleasure for him. 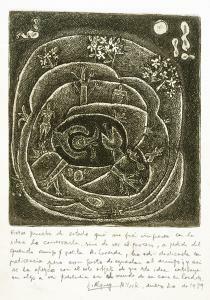 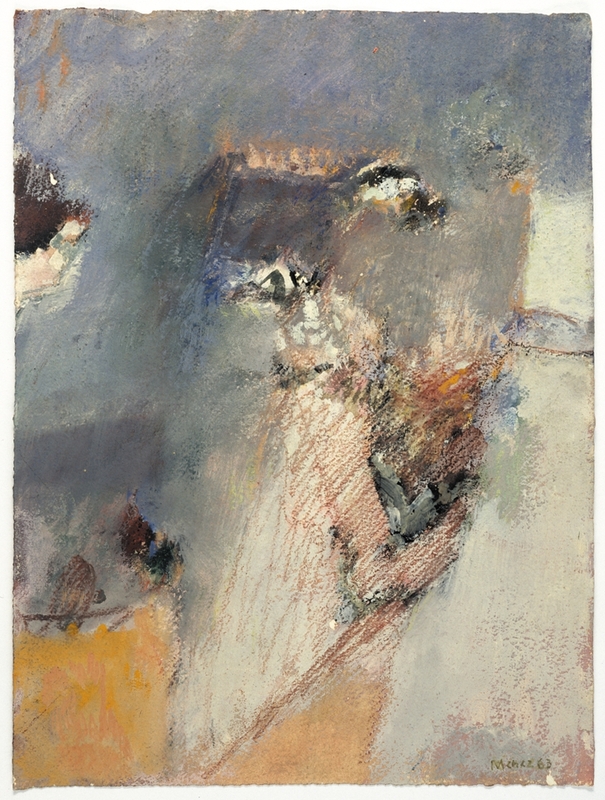 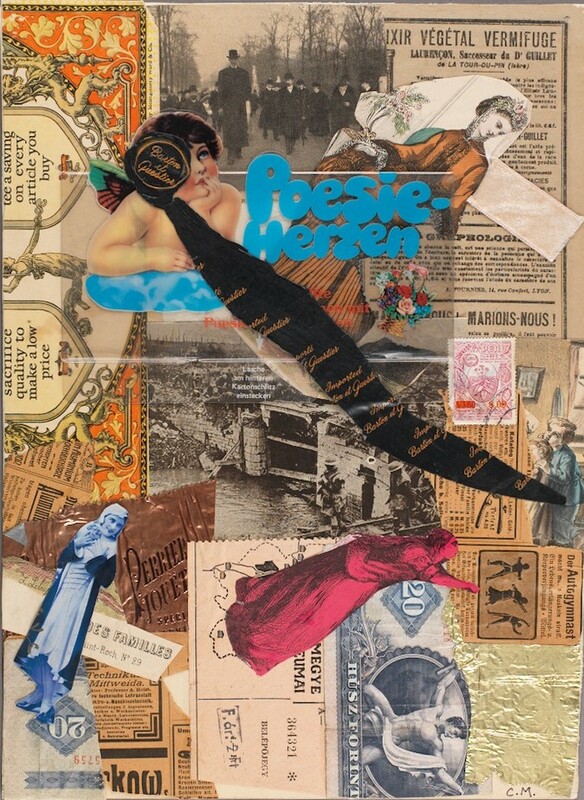 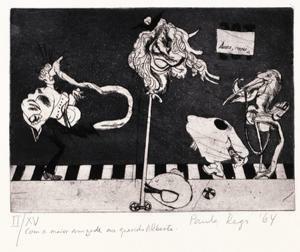 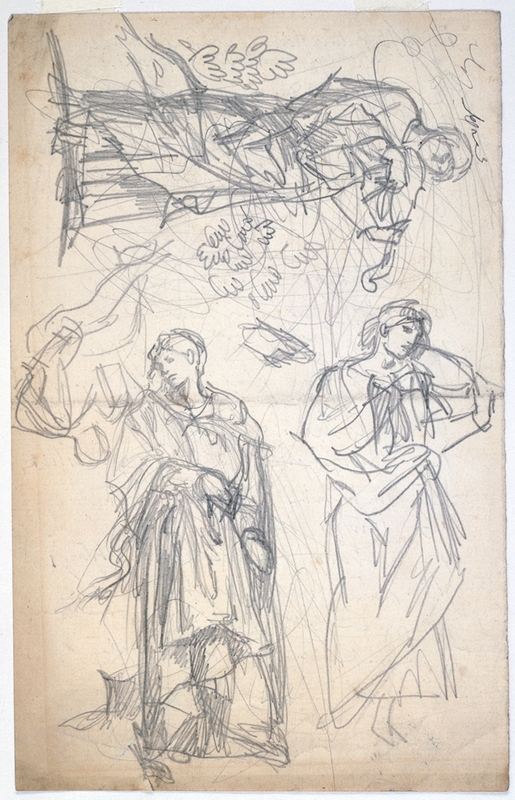 This section includes A.H. de Oliveira Marques, Júlio Pomar and Teresa, Mário Botas, Bettina and Jim Iffland, Celia Gilbert, Hester Pickman, Paula Rego, Andy Stahl, Penelope and Raresby Sitwell, António Ramos Rosa, Manuel Baptista, Stephen Spender, Vasco Popa and Hascha, Vieira da Silva, Arpad Szenes, John Mills, Adrien de Menasce, Renato Rezende, Kathleen Aguero, Richard Hoffman, Pedro Avelar, Maria da Graça Amado da Cunha, Jorge Guillén, Sophia de Mello Breyner Andresen, and Pamela Egremont. 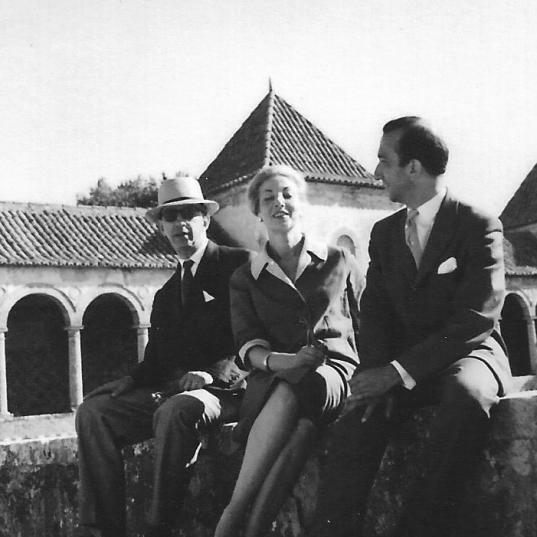 This section includes photographs of Christopher Middleton, Fernando Azevedo, Eduardo Pitta, and Bettina Iffland. 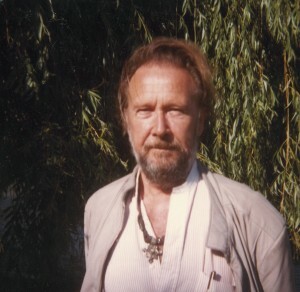 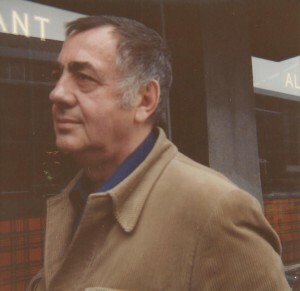 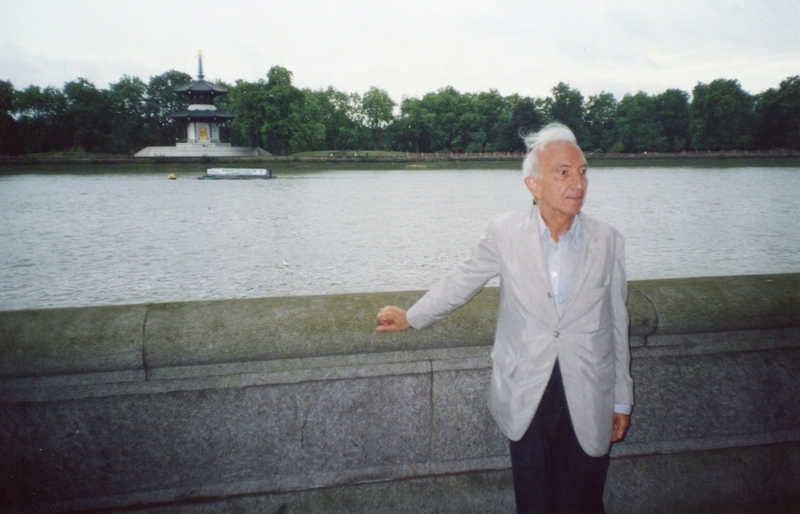 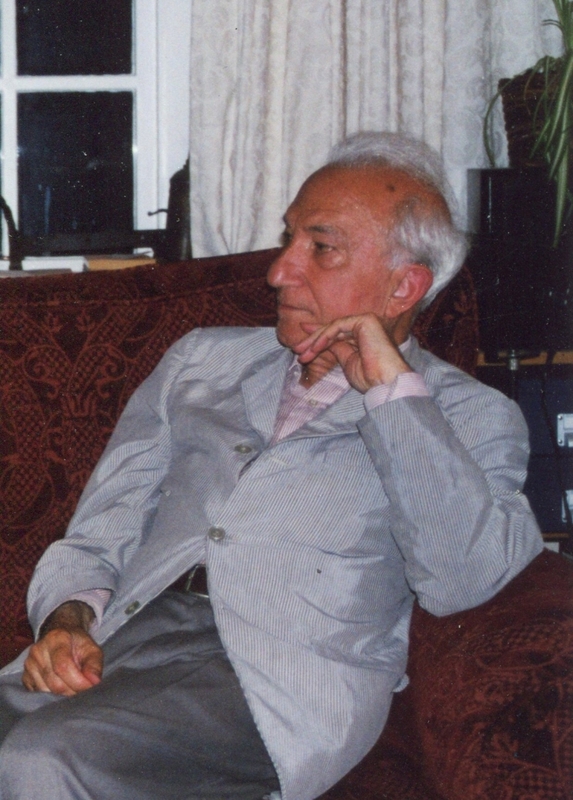 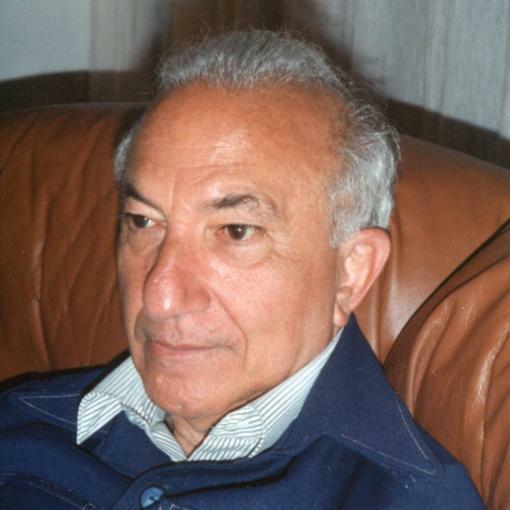 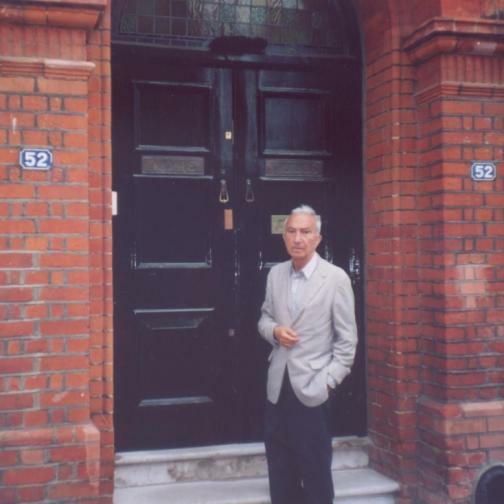 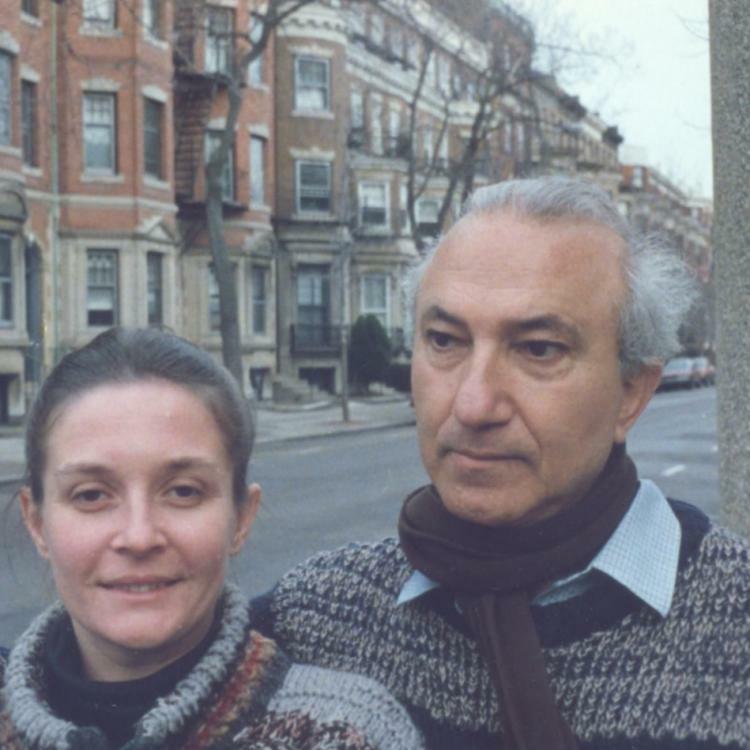 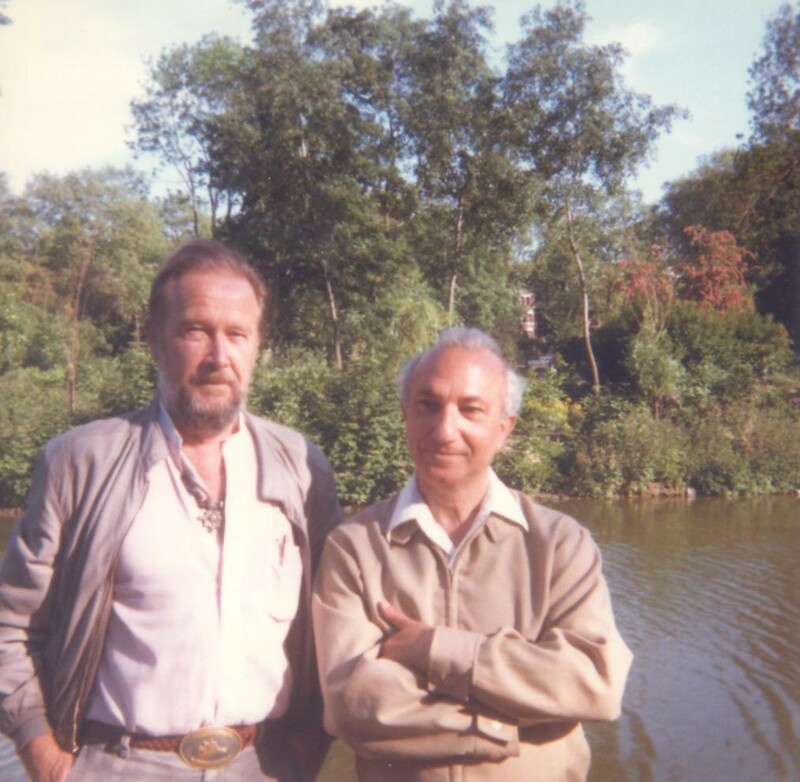 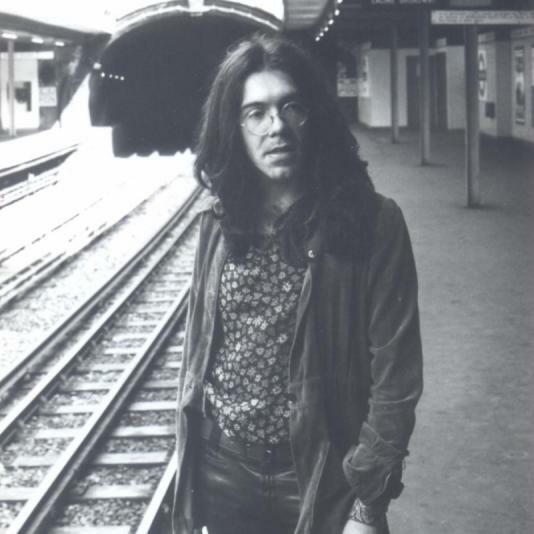 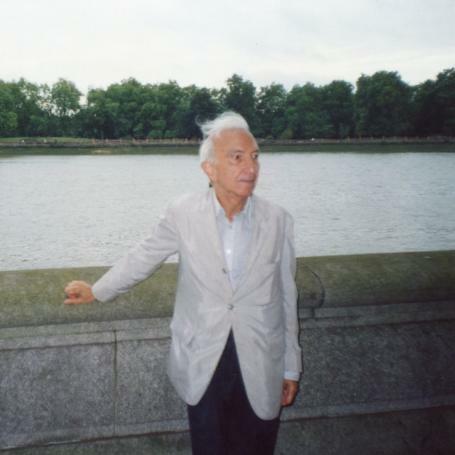 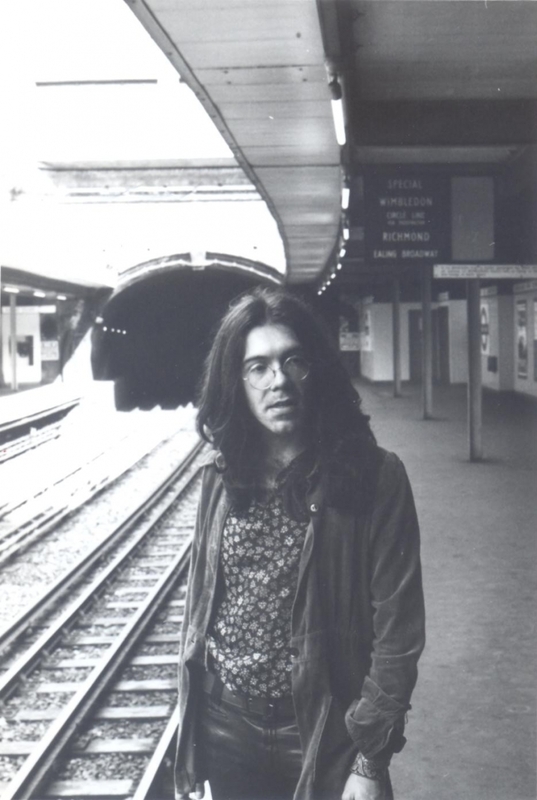 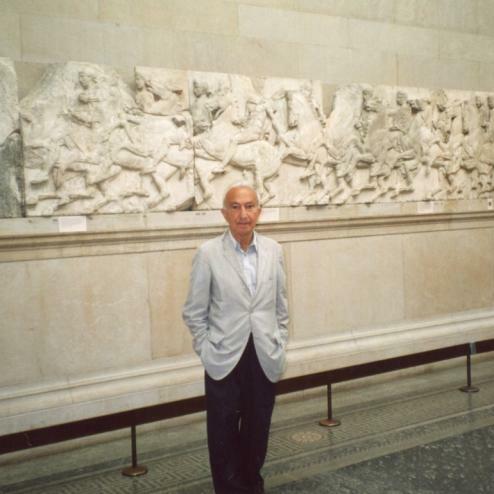 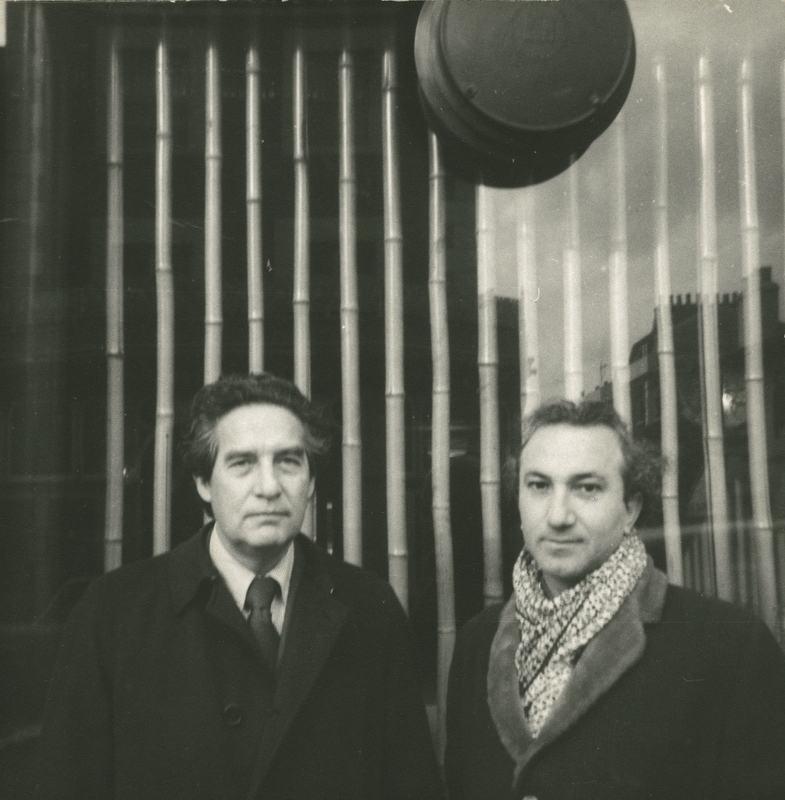 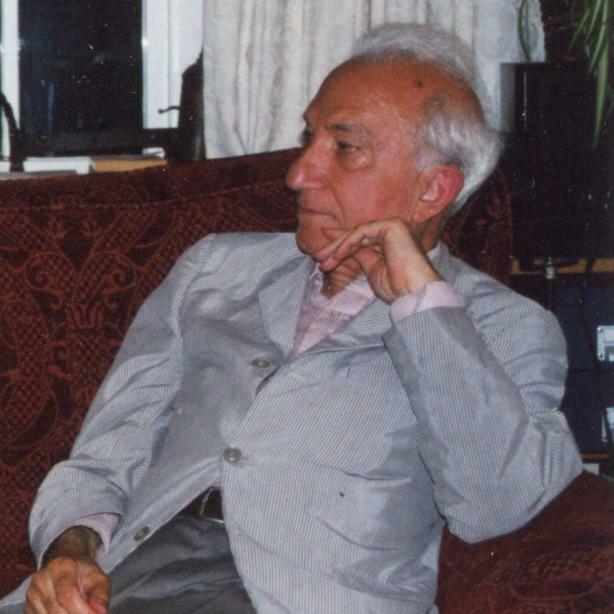 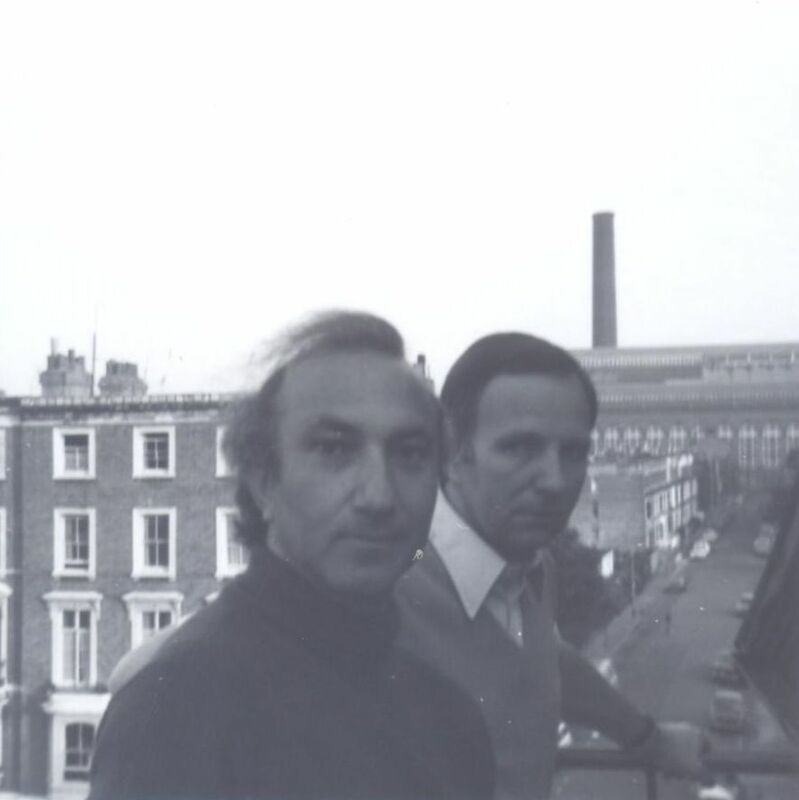 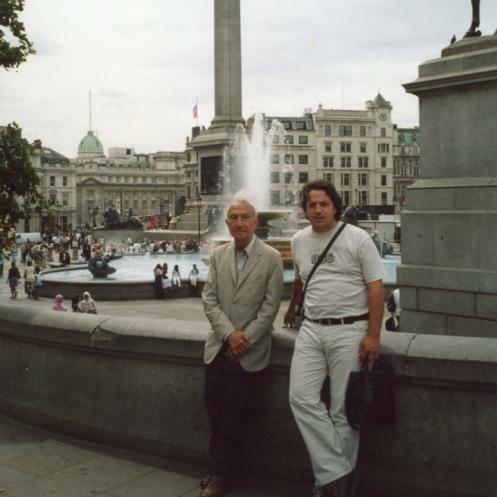 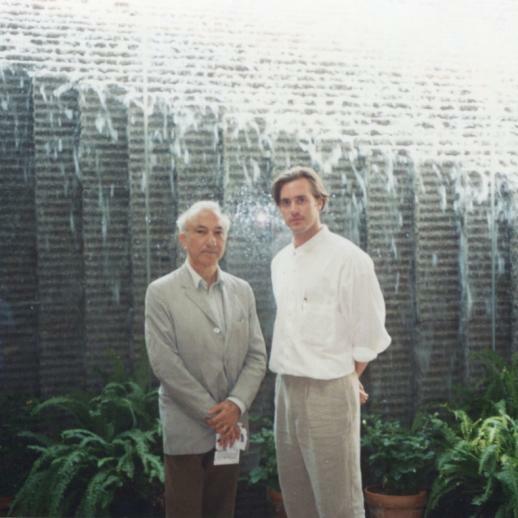 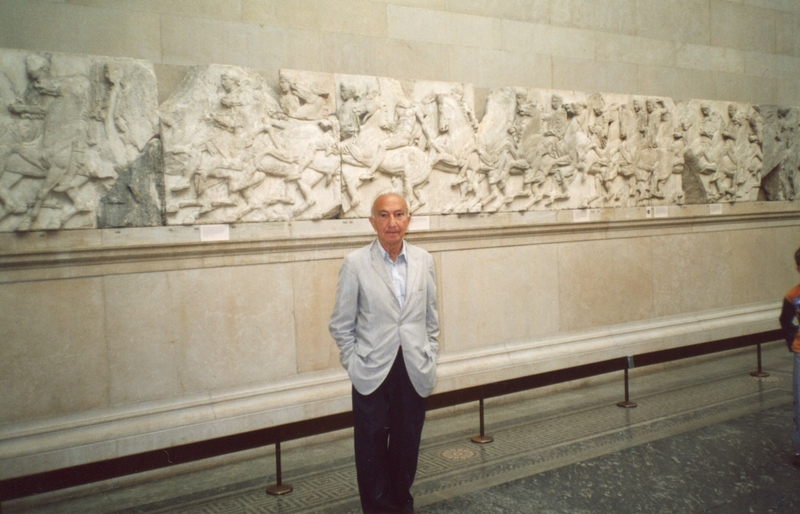 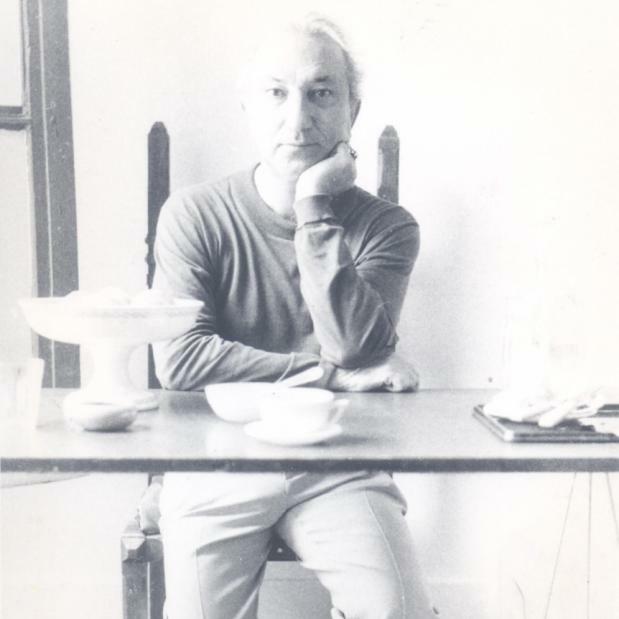 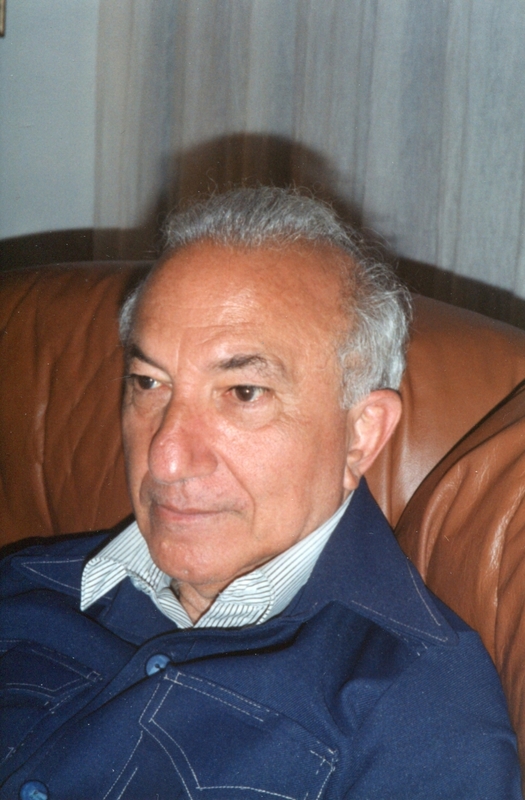 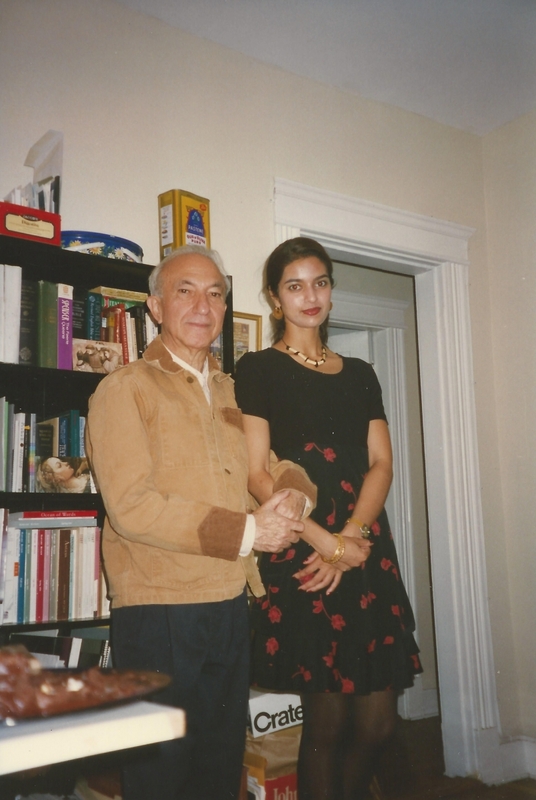 Upon Alberto’s retirement from Boston University in 1996, he returned to a more solitary life in London. 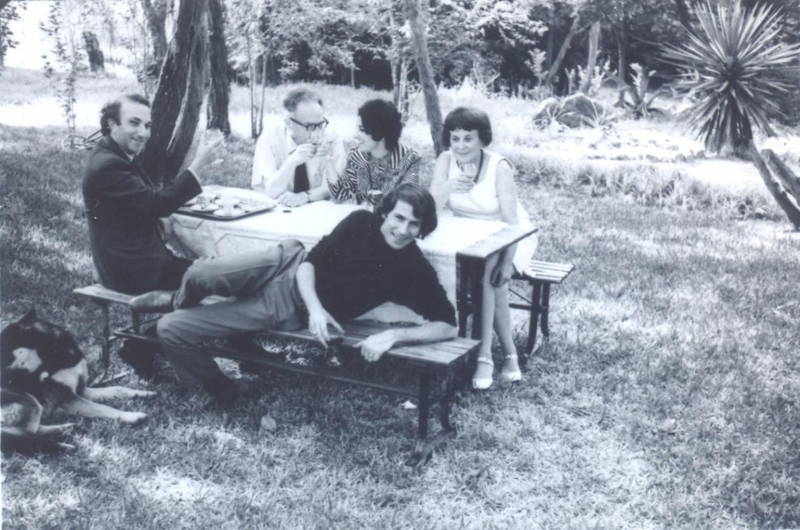 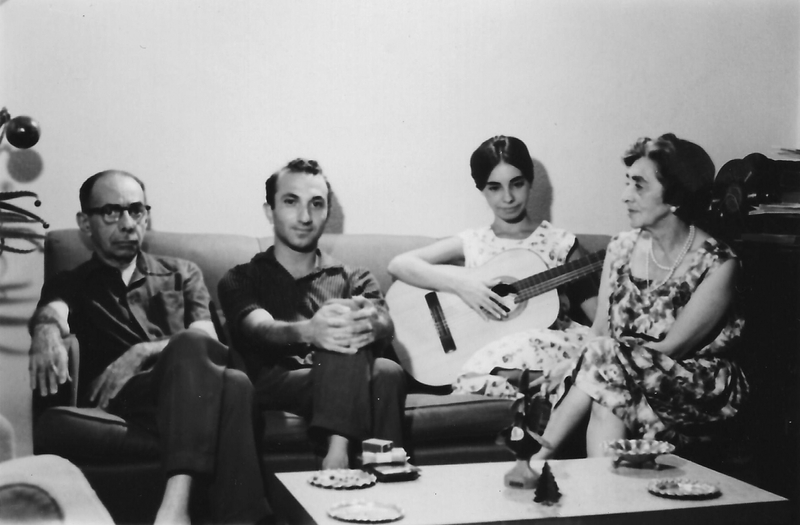 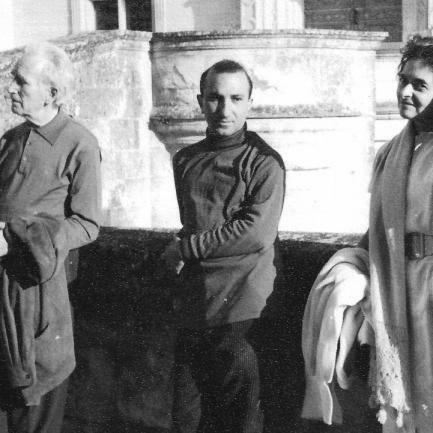 Photographed here are Luís Amorim de Sousa, Scott Laughlin, Elizabeth and José Sanchez, Samuel Lock, Jhumpa Lahiri, José Craveirinha, and Maria do Rosário de Sousa. 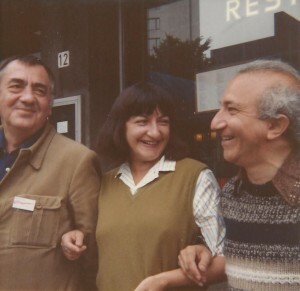 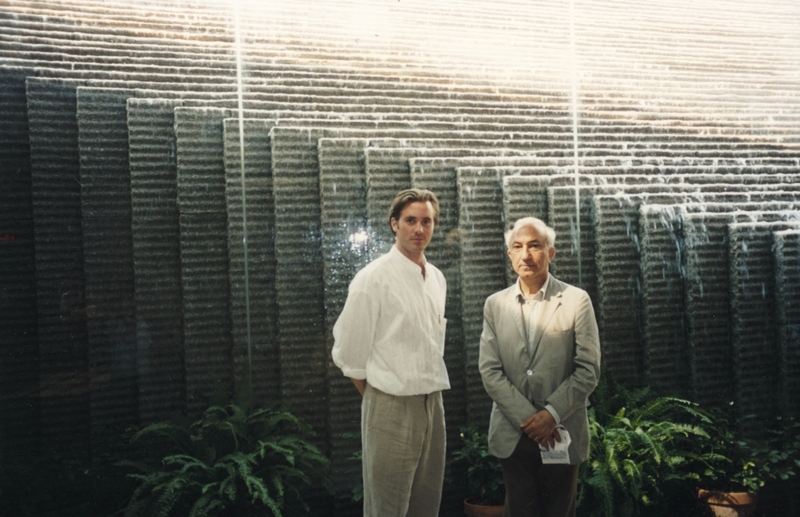 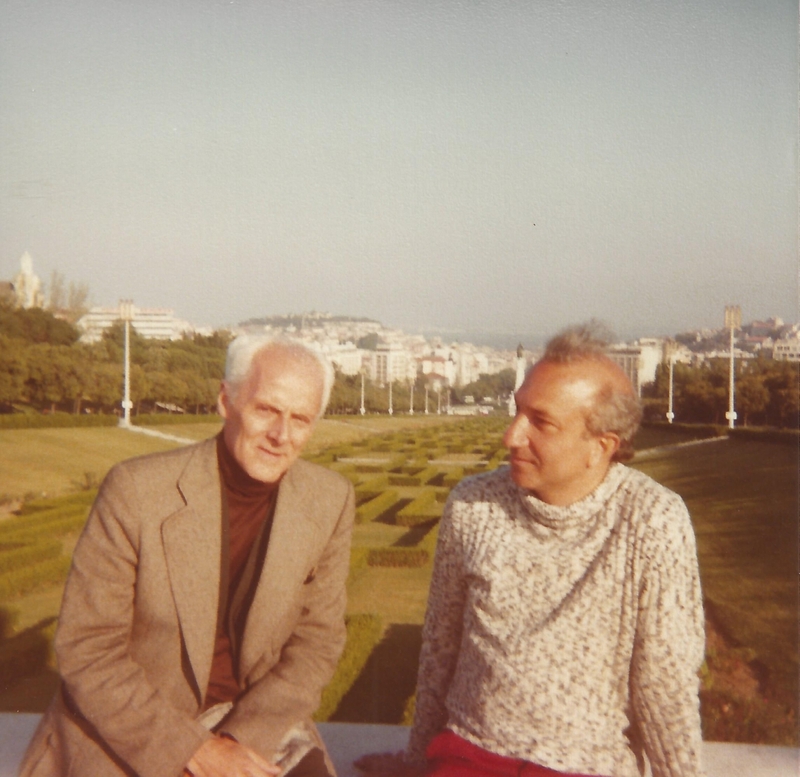 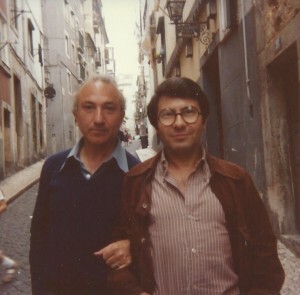 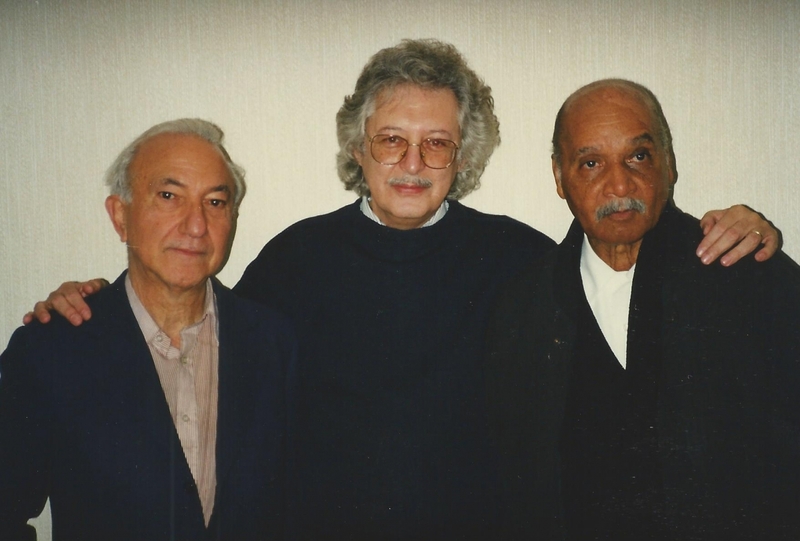 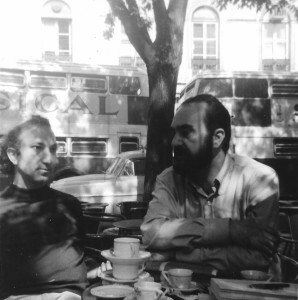 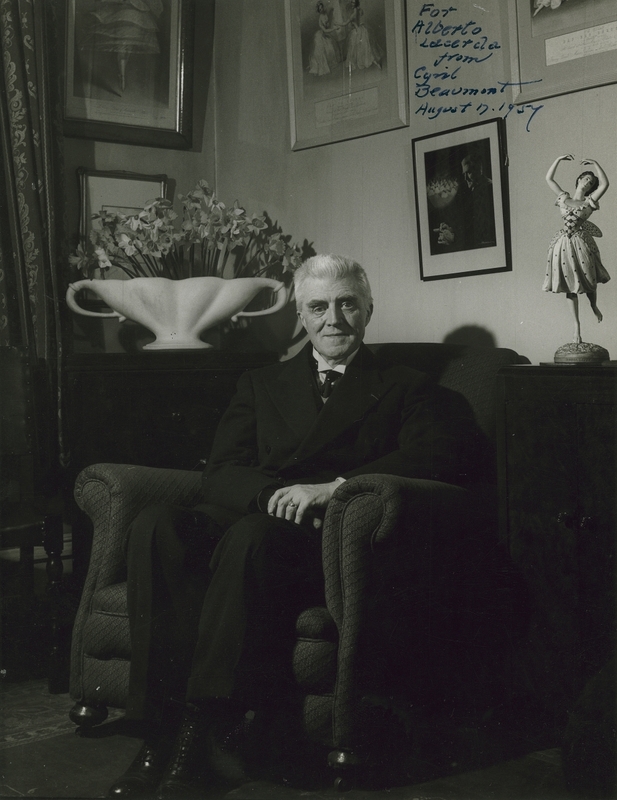 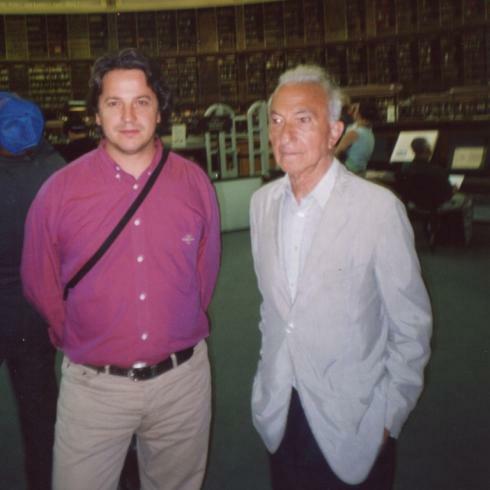 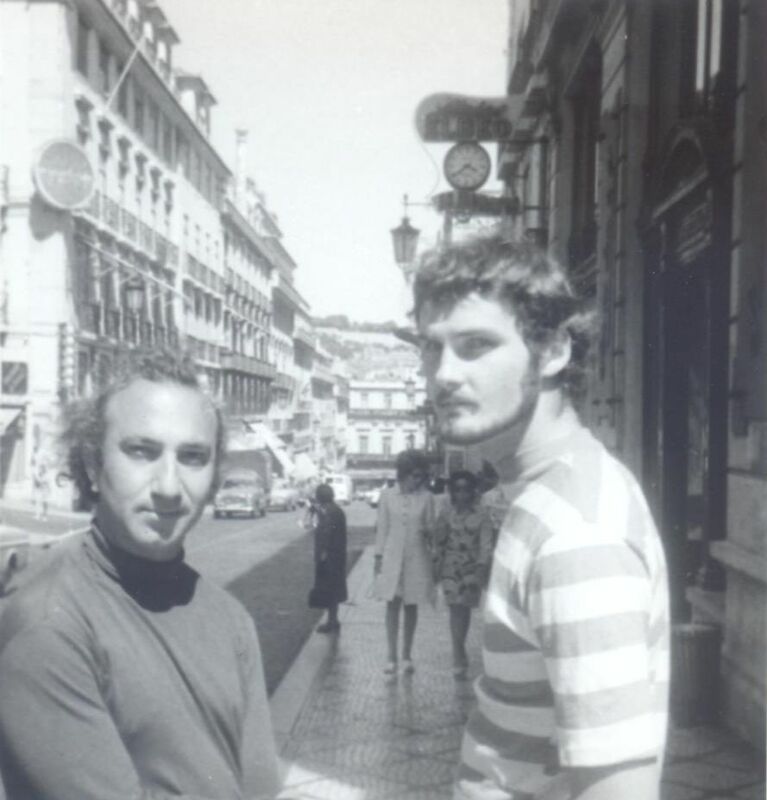 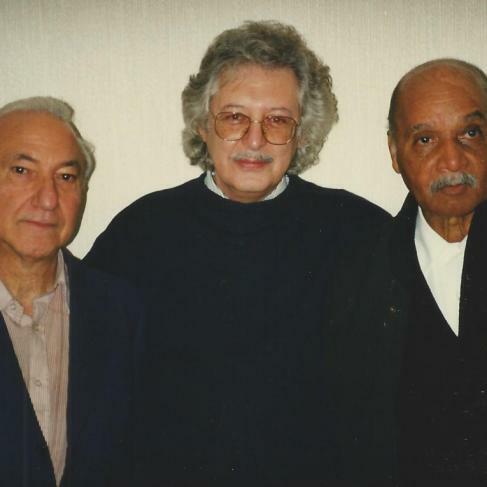 This section includes photographs of John McEwen, Luís Amorim de Sousa, and Fernando Alves. 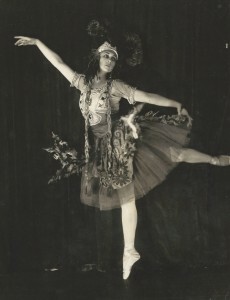 The small selection of dance photographs shown here, in alphabetical order by dancer, range from an inscribed photograph of the Flamenco dancer Antonio in Lisbon 1951, to Nina Valois dancing in the Diaghilev Ballet in the London Coliseum. 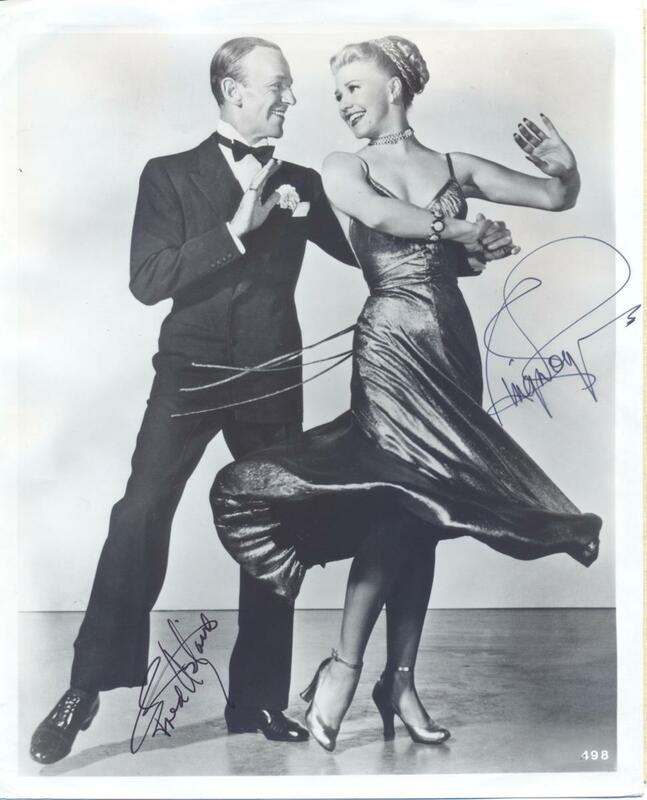 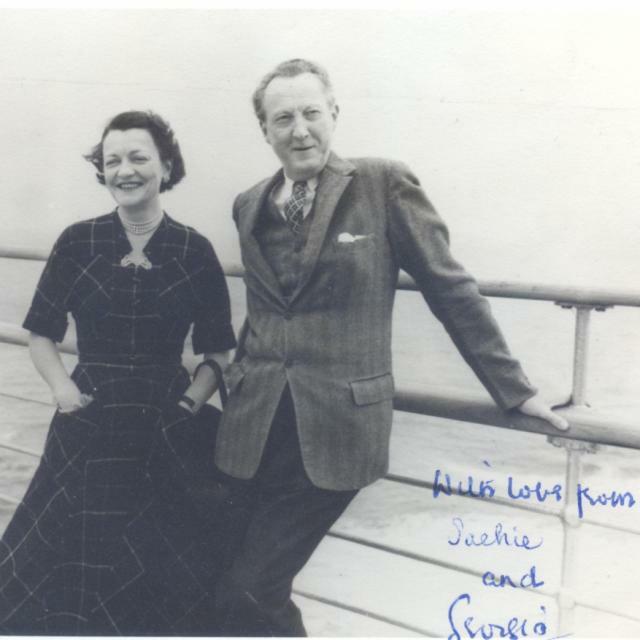 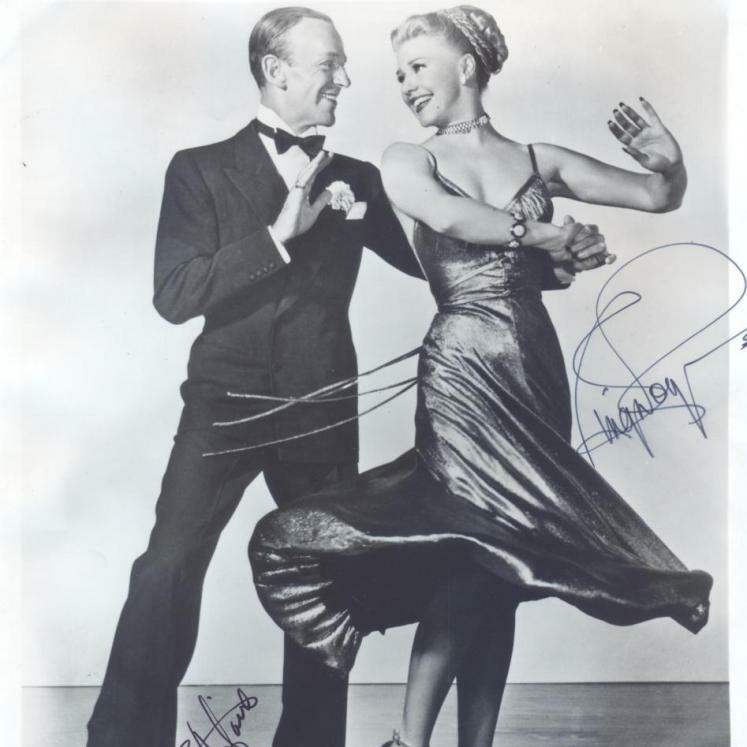 There is a signed photograph of Fred Astaire and Ginger Rogers, and a photograph by Studio-Lipnitzki, Paris of Jean Babilée and Nathalie Philippart. 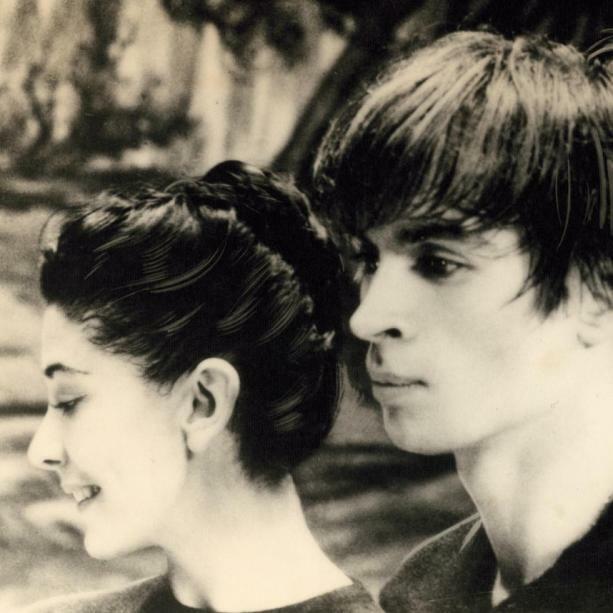 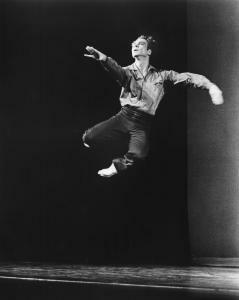 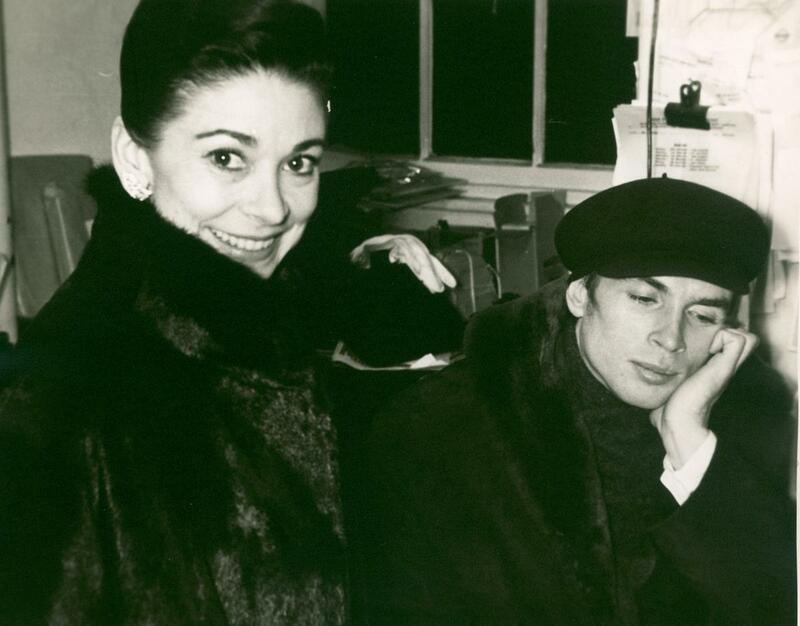 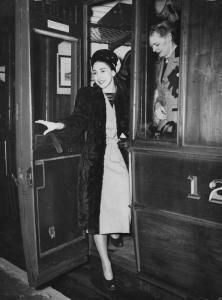 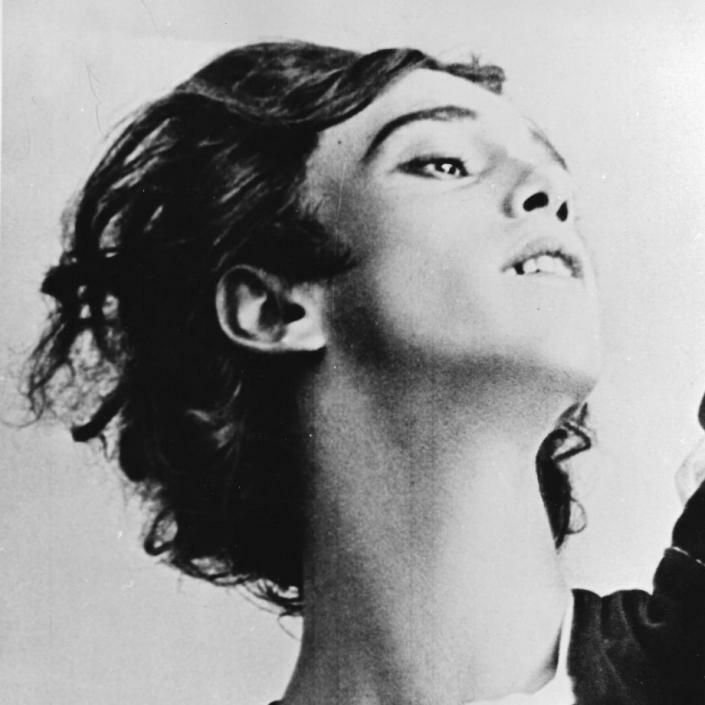 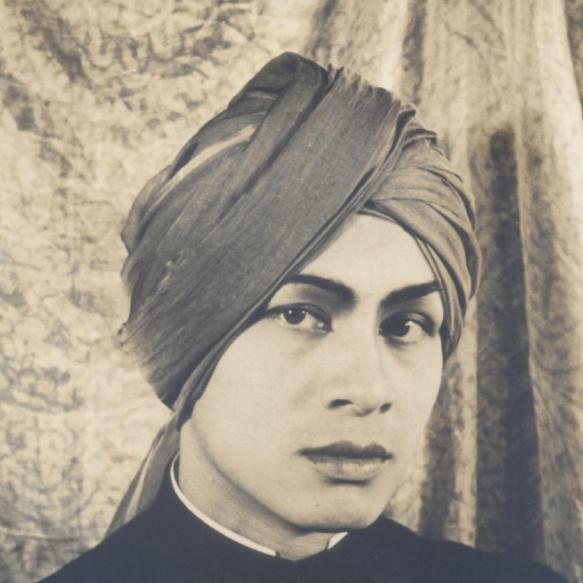 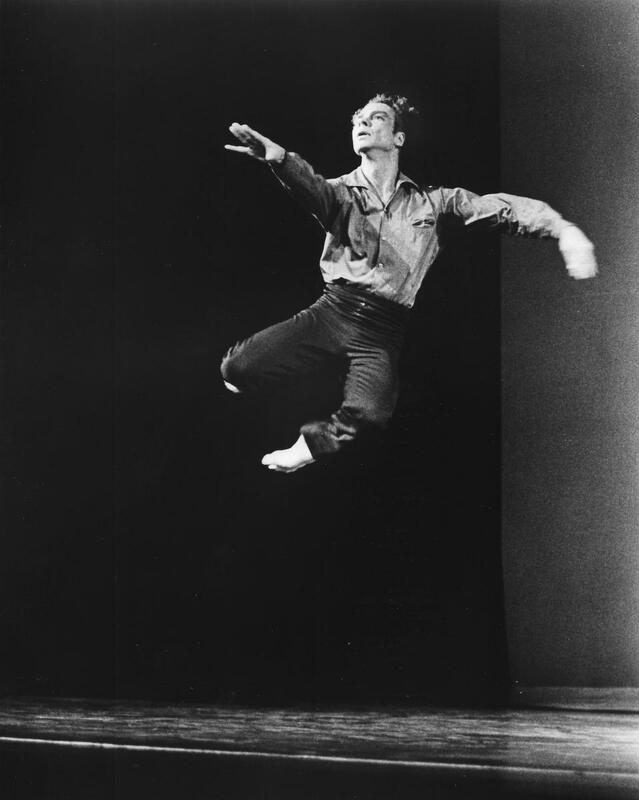 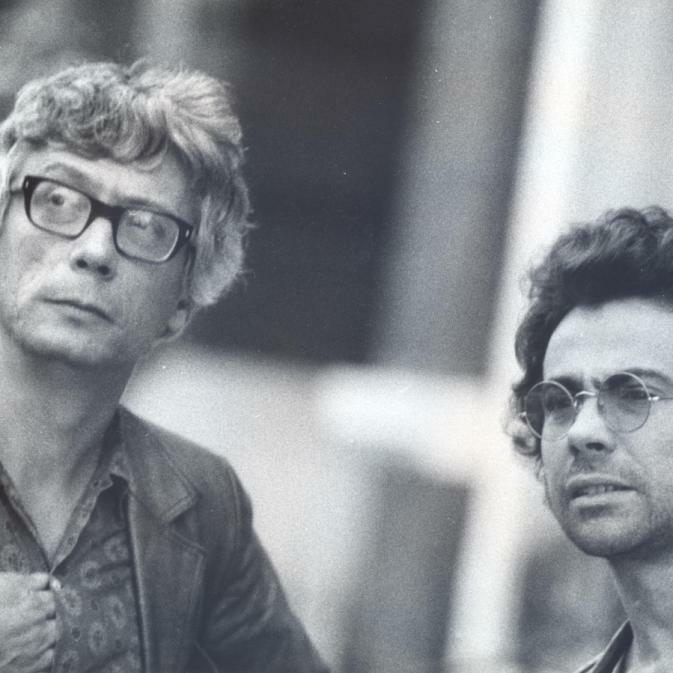 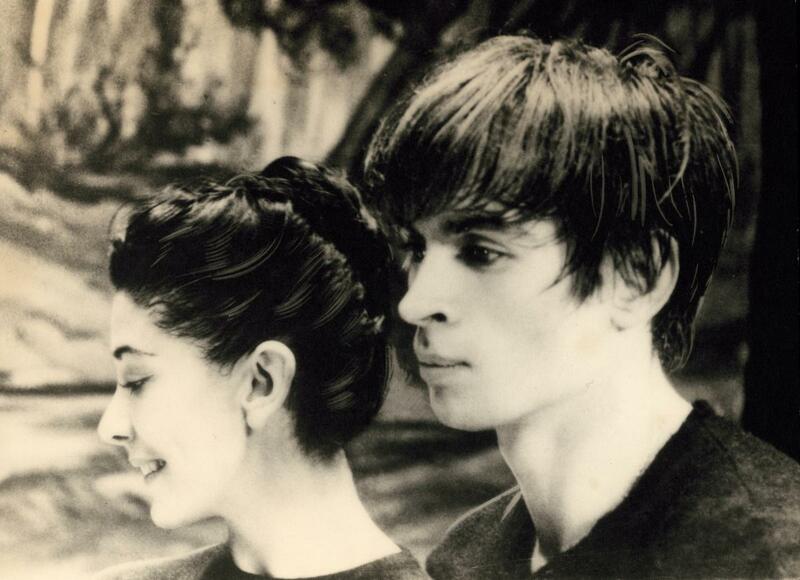 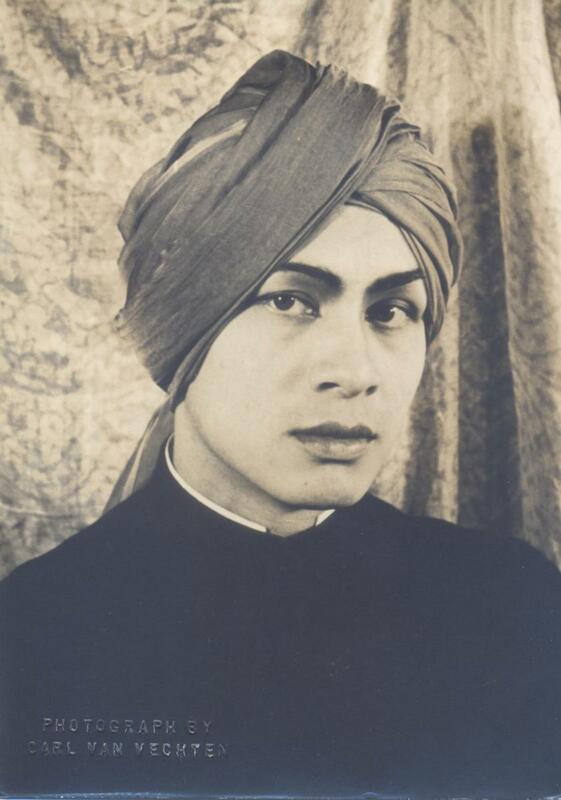 Also included are Merce Cunningham, Margot Fonteyn and Rudolf Nureyev, and Ram Gopal photographed by Carl Van Vechten. 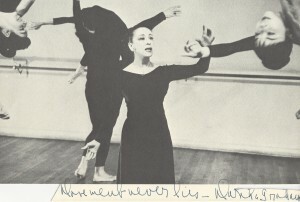 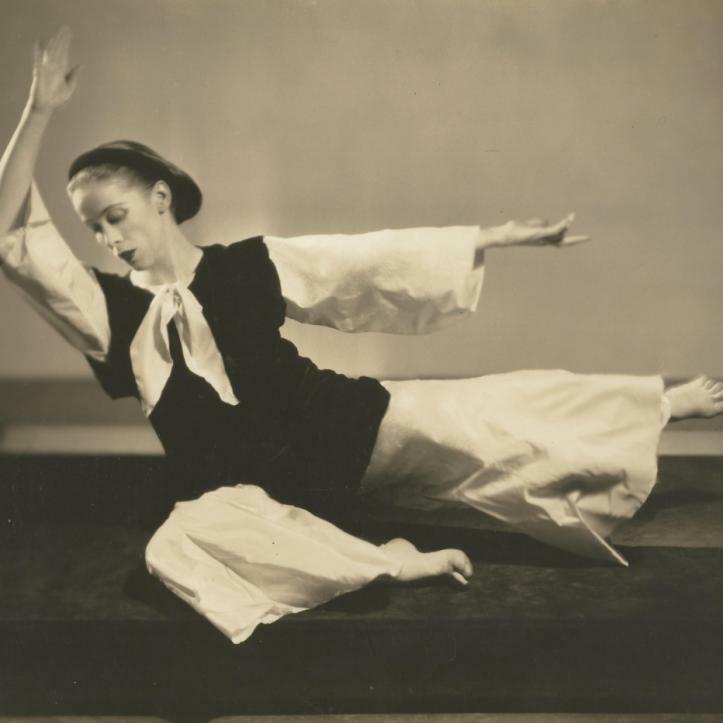 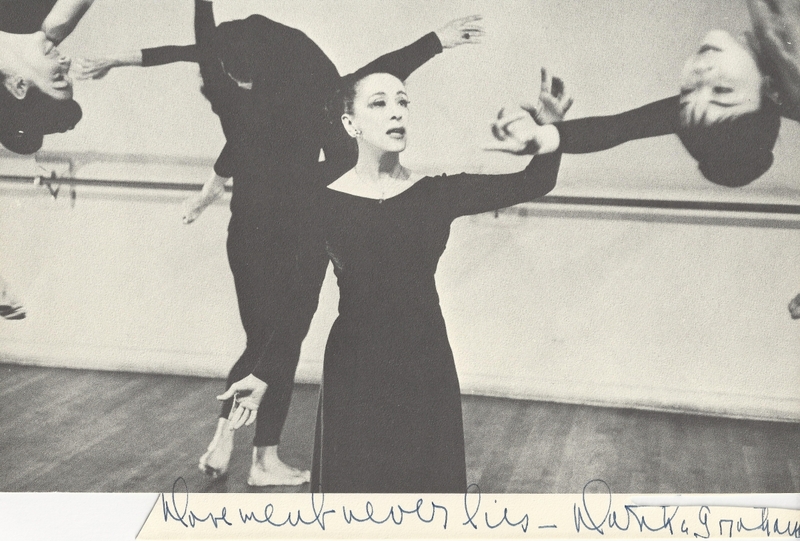 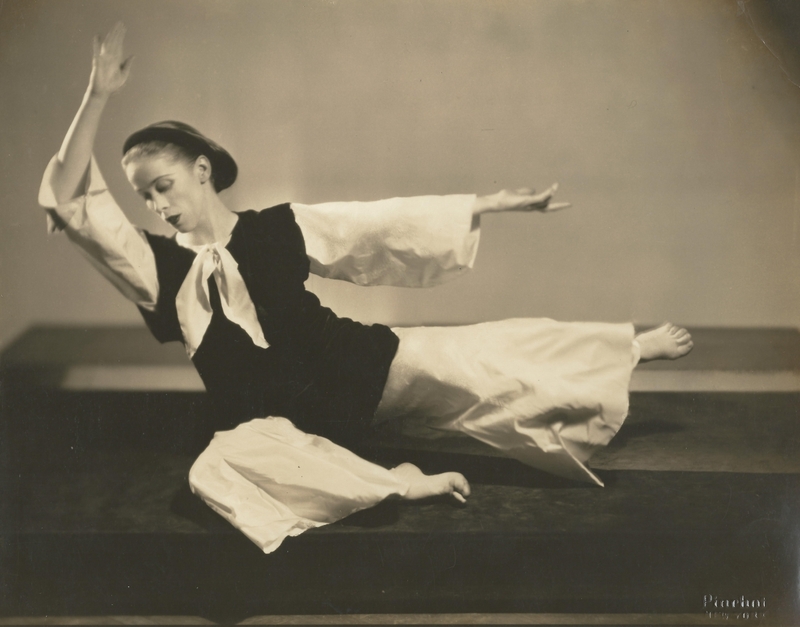 There are 3 photographs of Martha Graham, one by Sochi Tsunami, and one by Ben Pinchot, New York, and a photograph inscribed Movement never lies. 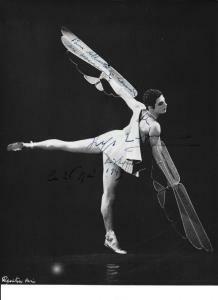 Tamara Karsavina is photographed by Bertram Park, London, and there are 3 photographs of Serge Lifar, photographed by Sasha, London (with Felia Dubrovska), and Teddy Piaz and Studio-Lipnitzki, Paris (both inscribed in Lisbon 1949). 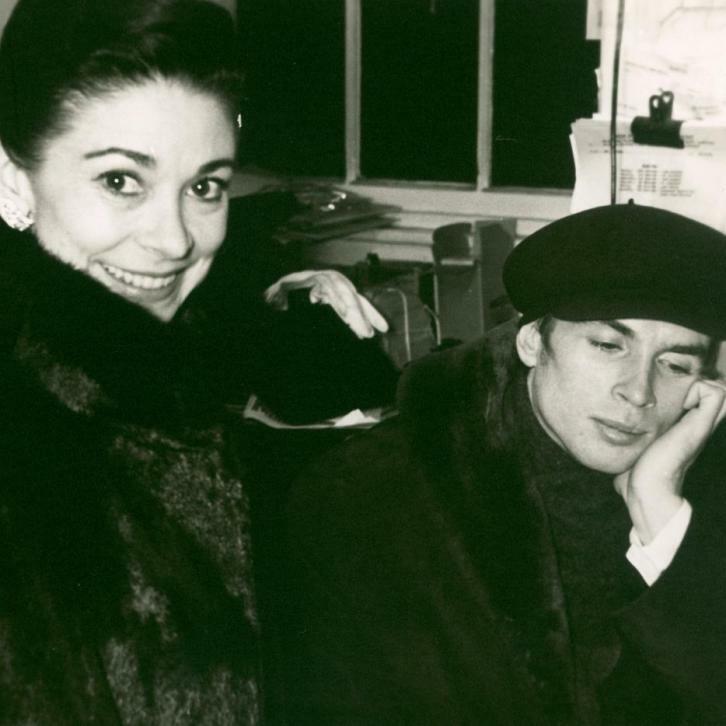 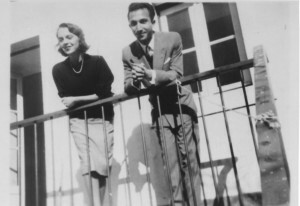 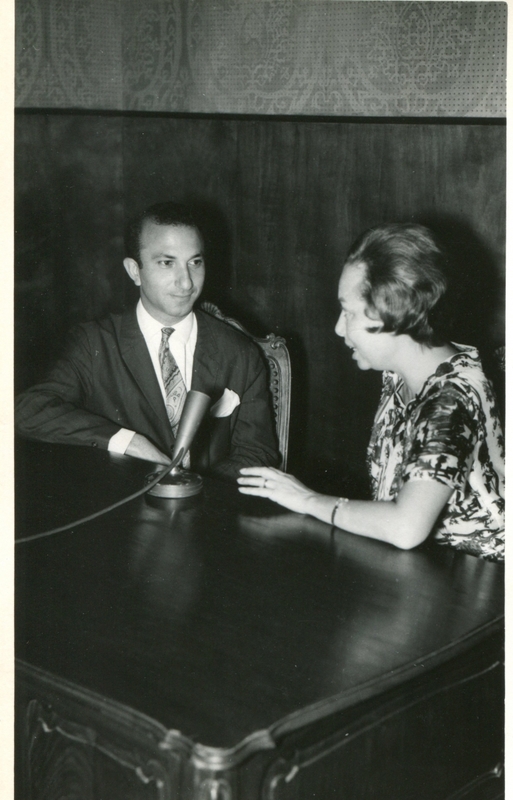 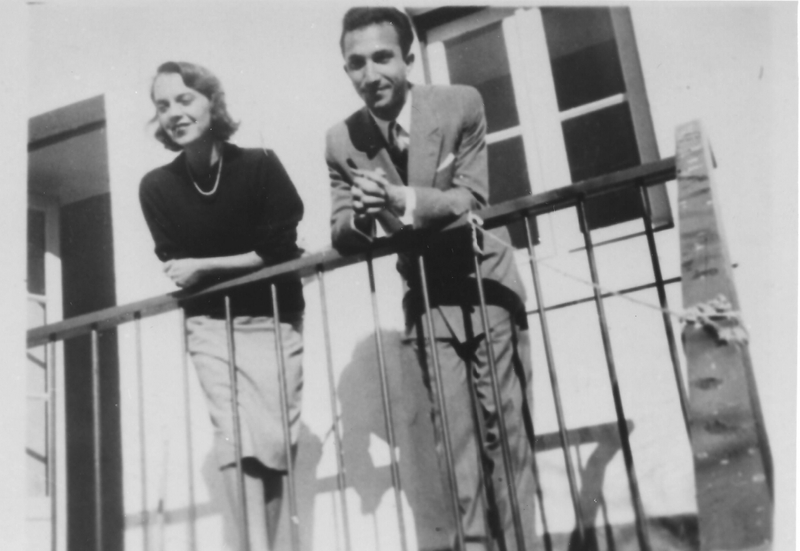 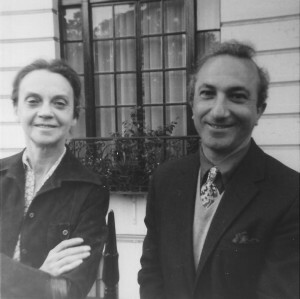 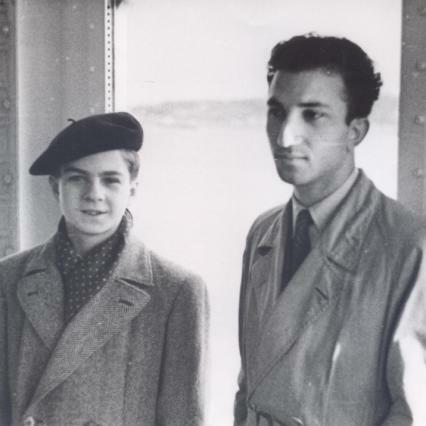 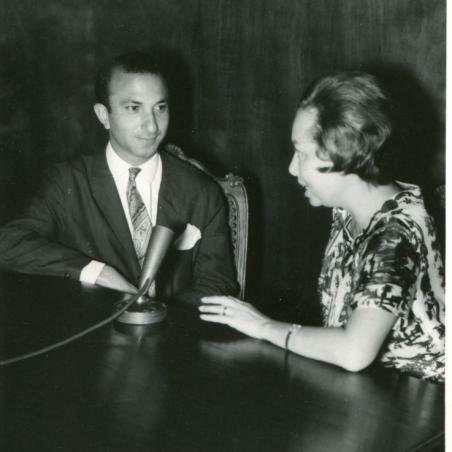 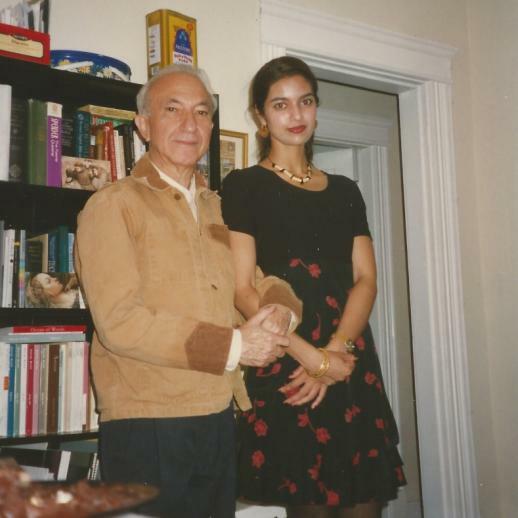 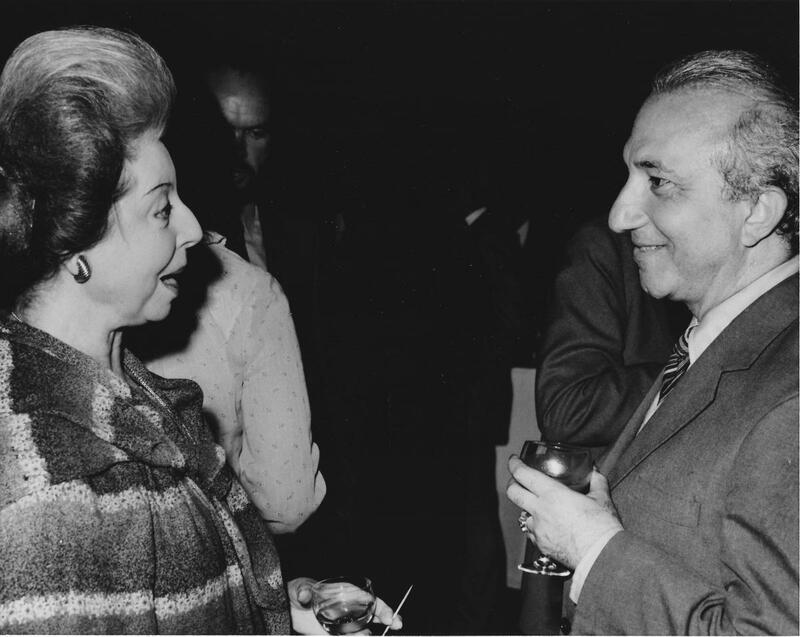 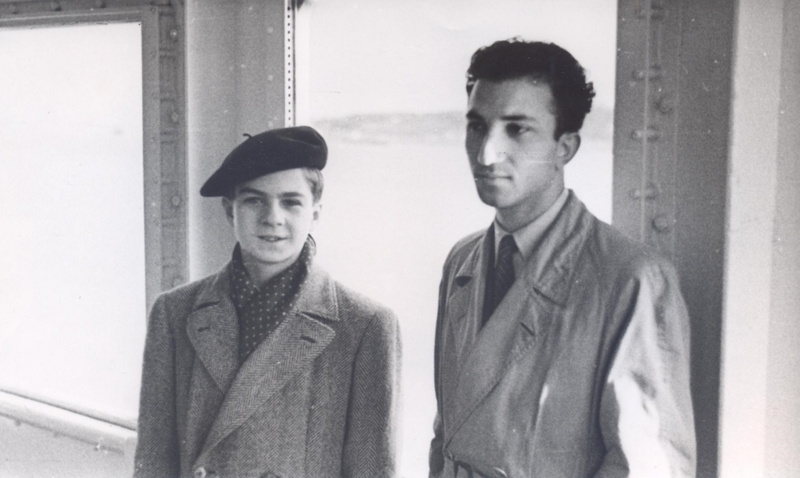 Alberto is photographed with Alicia Markova by Boston University Photo Services. 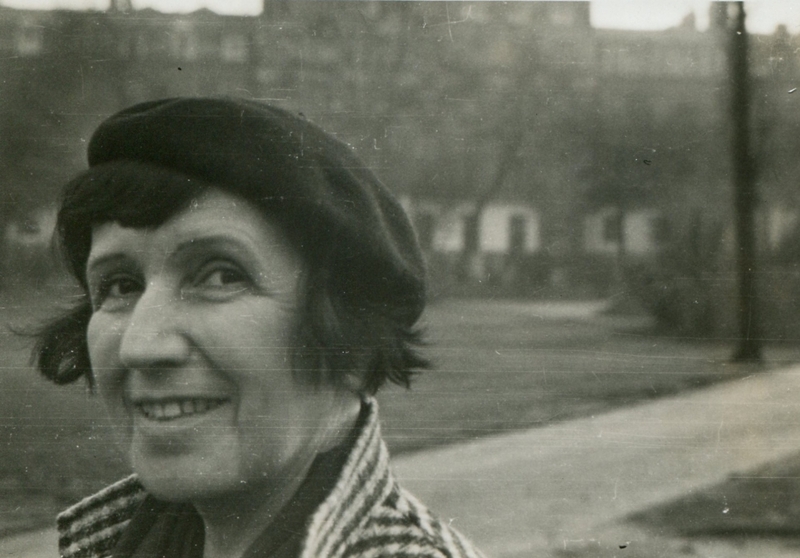 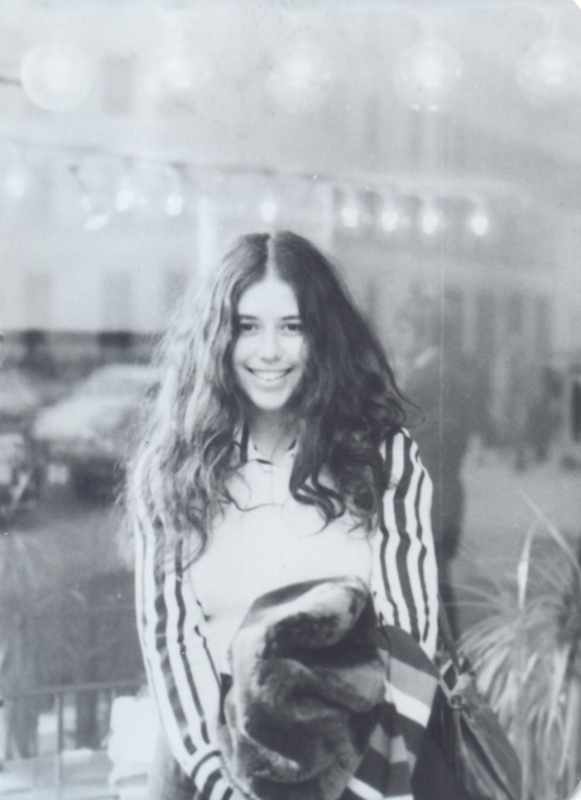 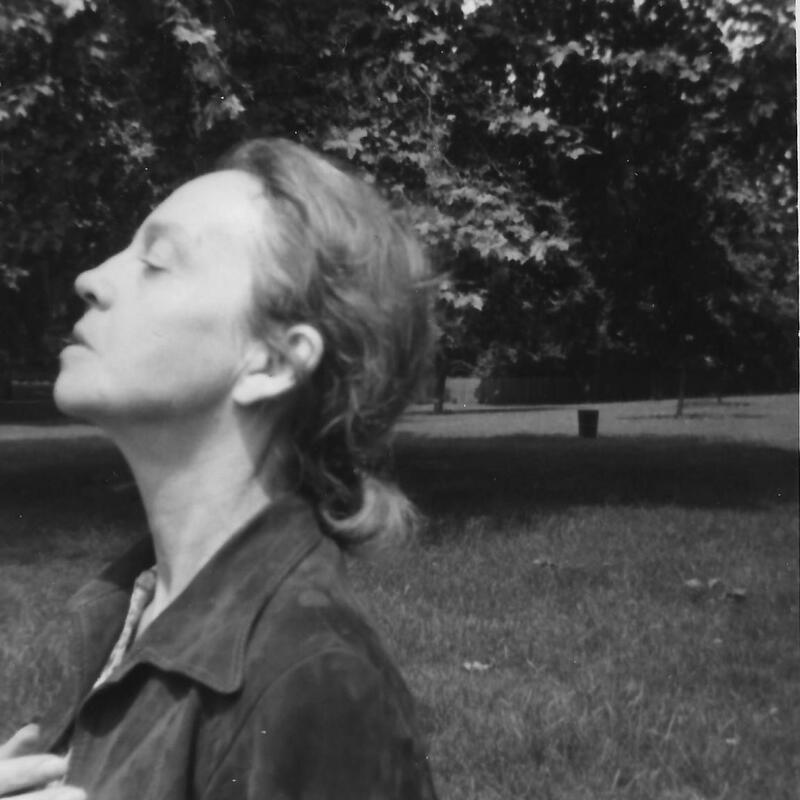 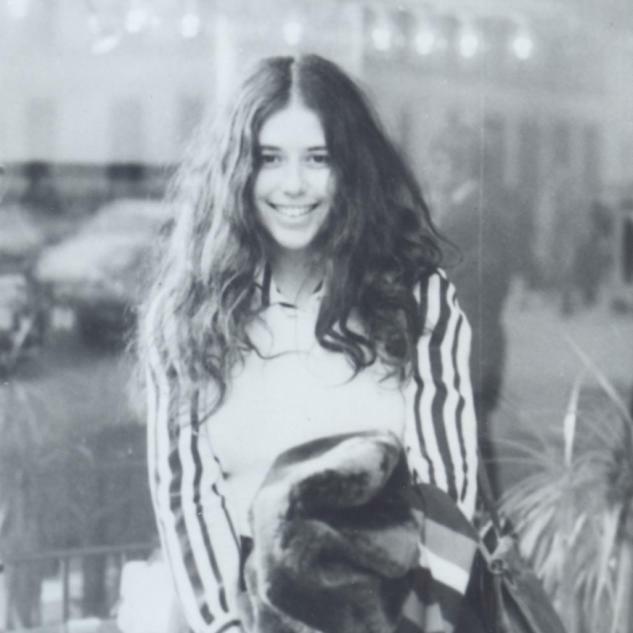 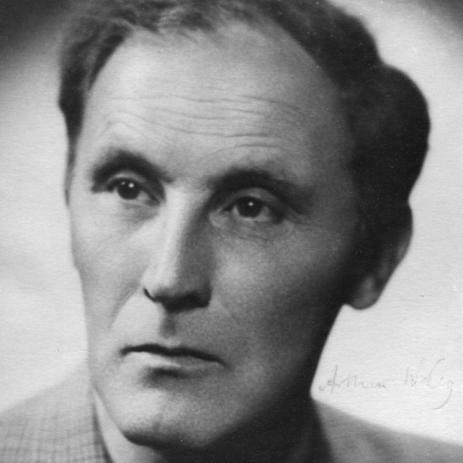 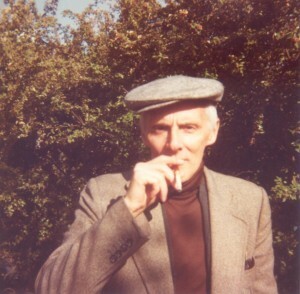 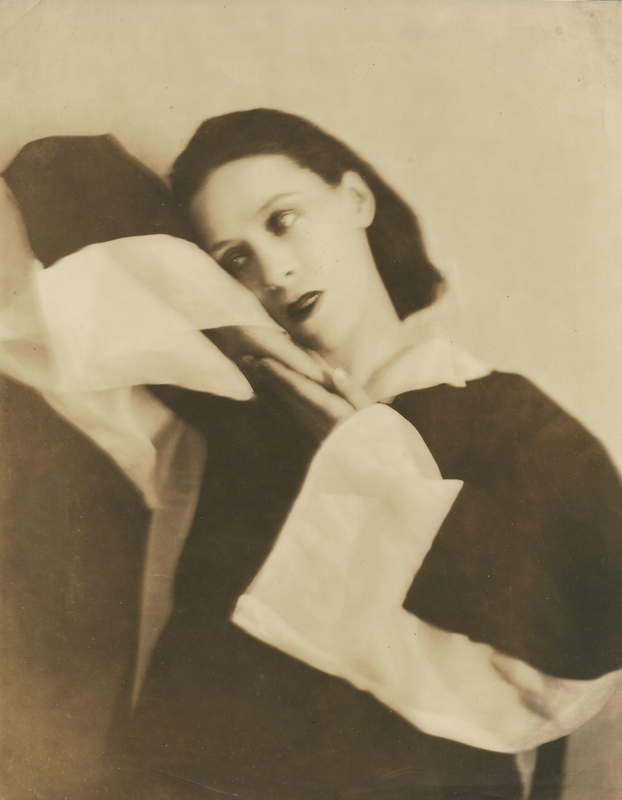 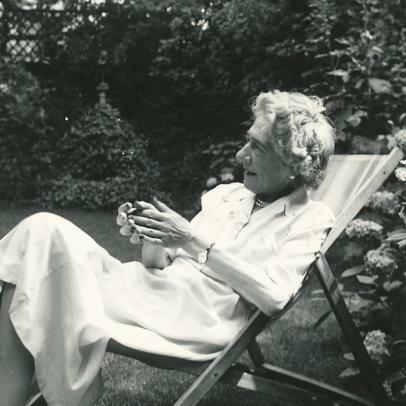 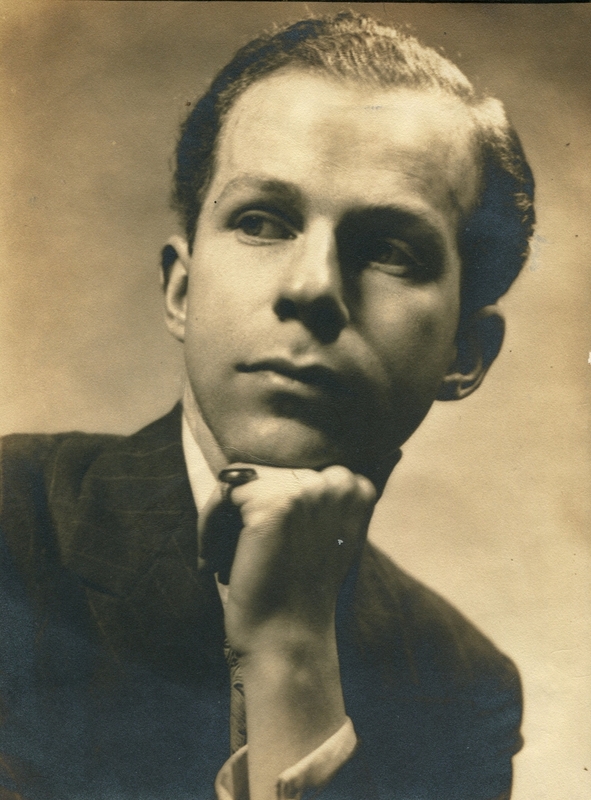 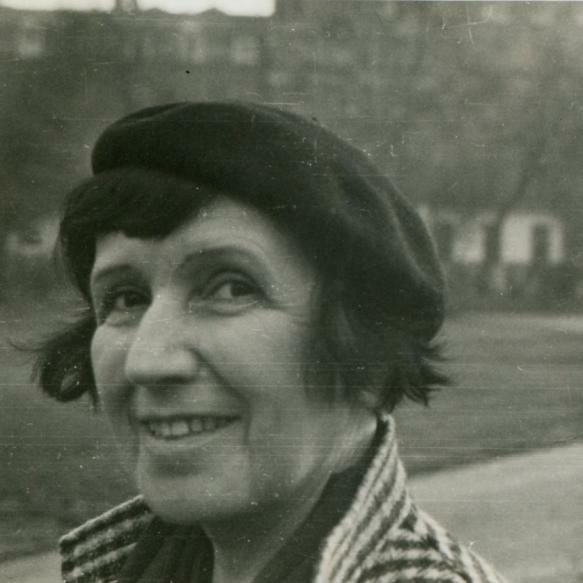 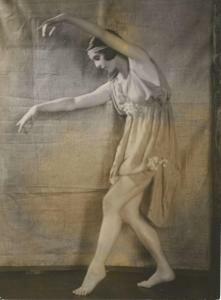 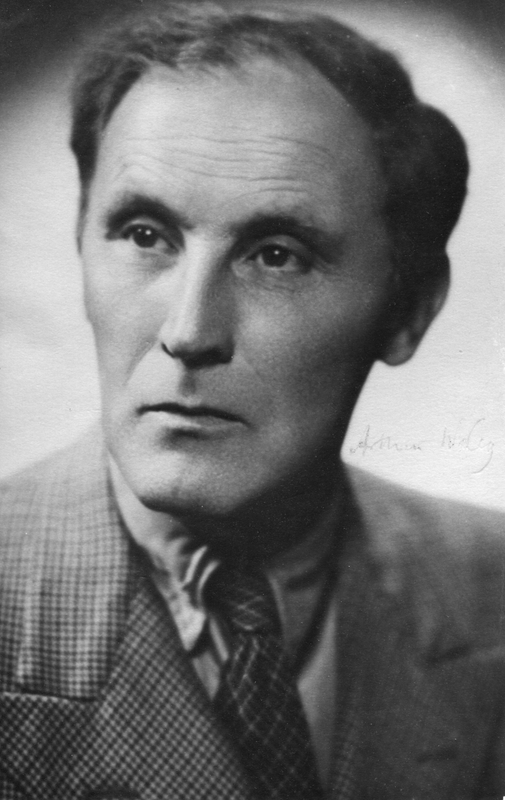 There is a copyright photograph of Léonide Massine in “Pretouchka” by Anthony, London. There is a photograph of Vaslav Nijinsky, and two signed photographs of his daughter Kyra Nijinsky by Audrey and Leslie Elstob, London. 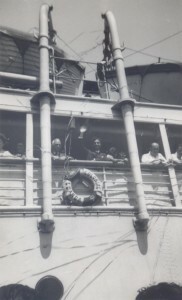 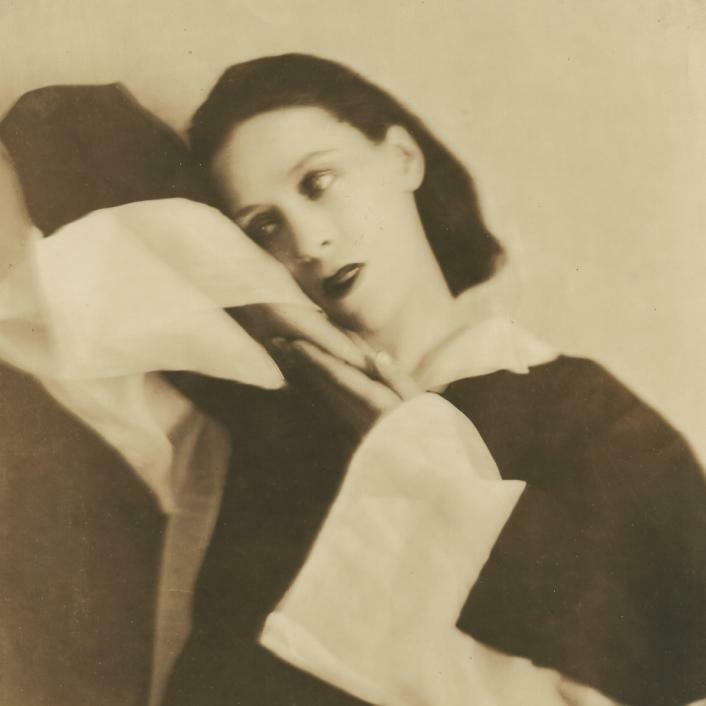 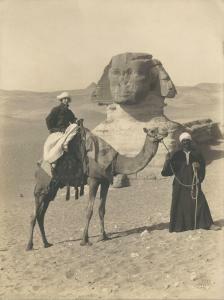 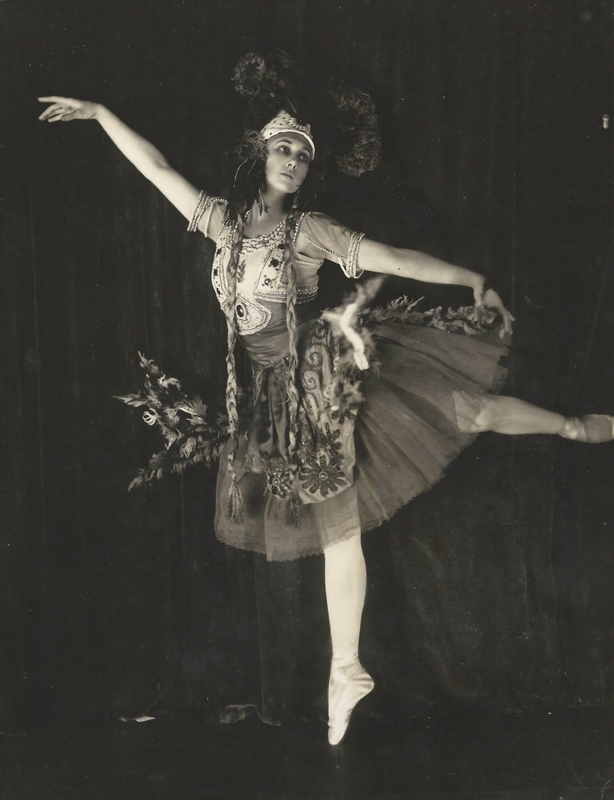 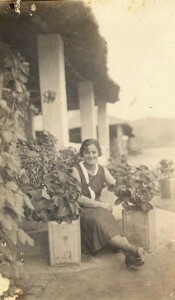 Anna Pavlova in Egypt is photographed by Anglo-Swiss Photo Studio, Cairo. 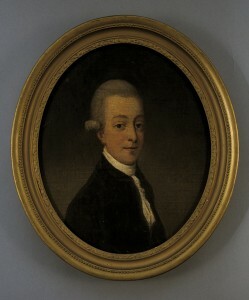 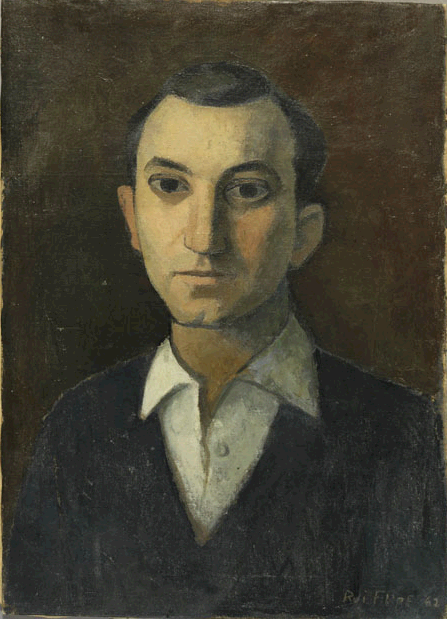 Alberto de Lacerda enjoyed sitting for his portrait, and was portrayed by several of his artist friends. 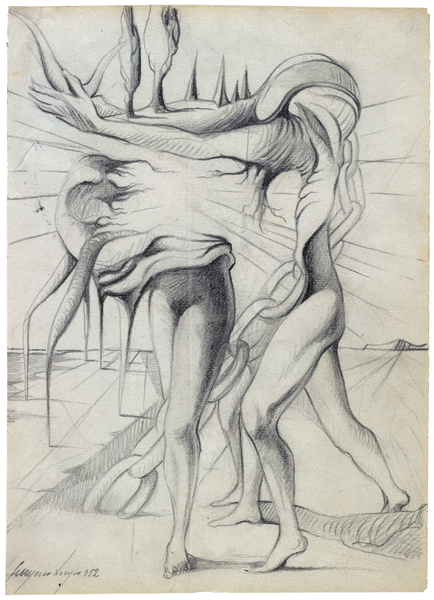 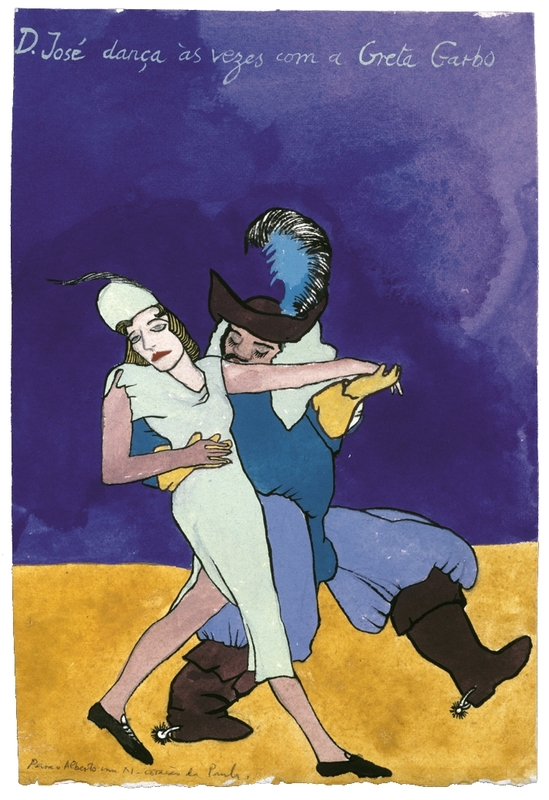 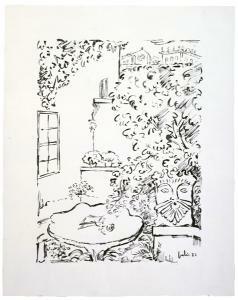 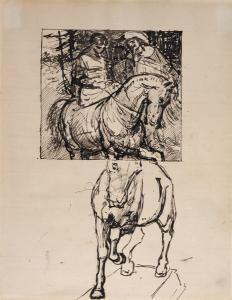 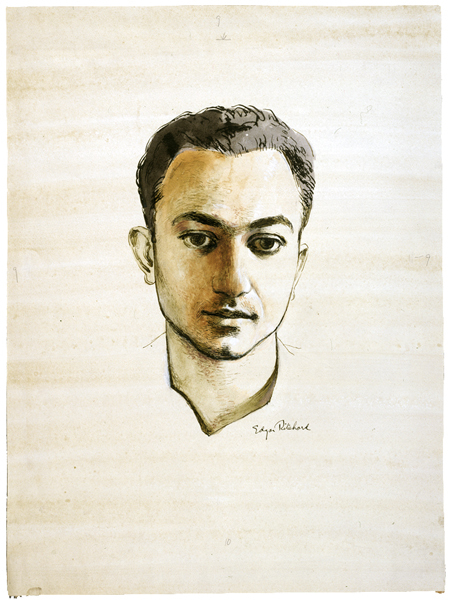 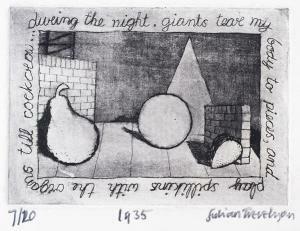 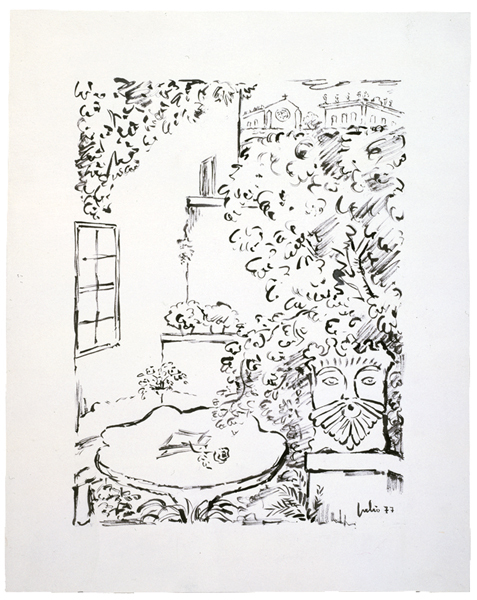 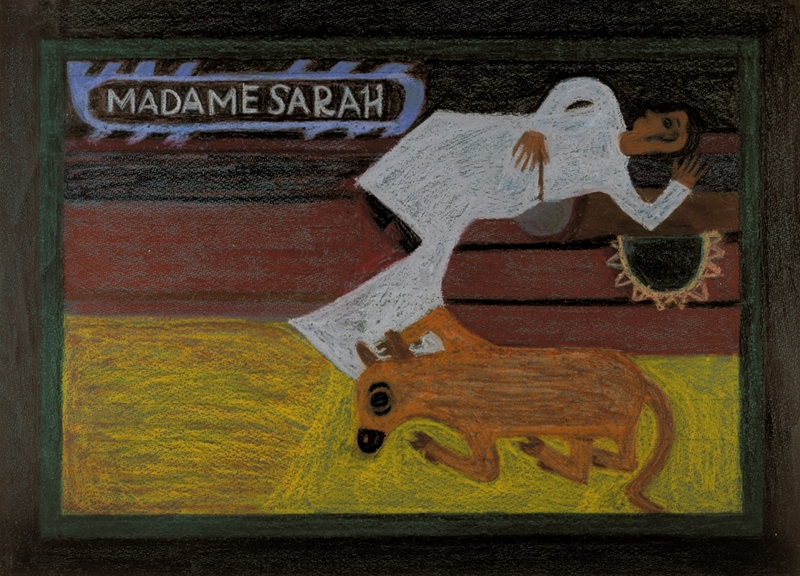 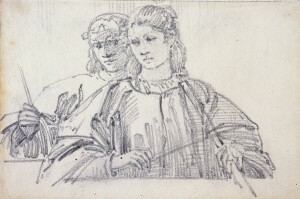 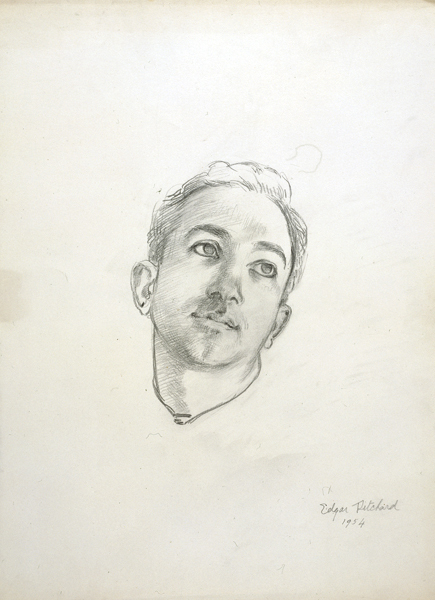 Edgar Ritchard (Australia, 1908-1984) made several drawings of Alberto, two of which are shown here from c. 1954. 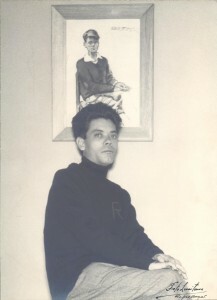 Alberto sat for an oil painting by Alfons Purtscher (Austria, 1885-1962) in 1956, and for Rui Filipe (Portugal, 1928-1997) in 1962. 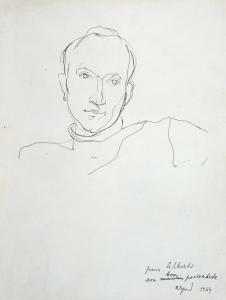 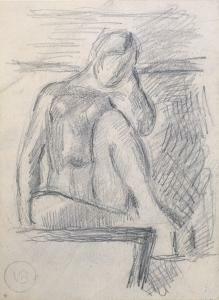 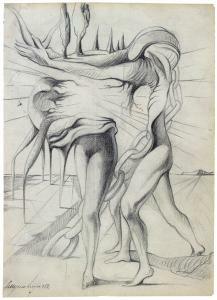 Among the several drawings of Alberto by Arpad Szenes (Hungary/France, 1897-1985), two are shown here, from 1964 and 1971. 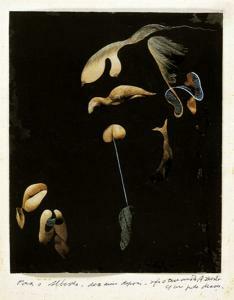 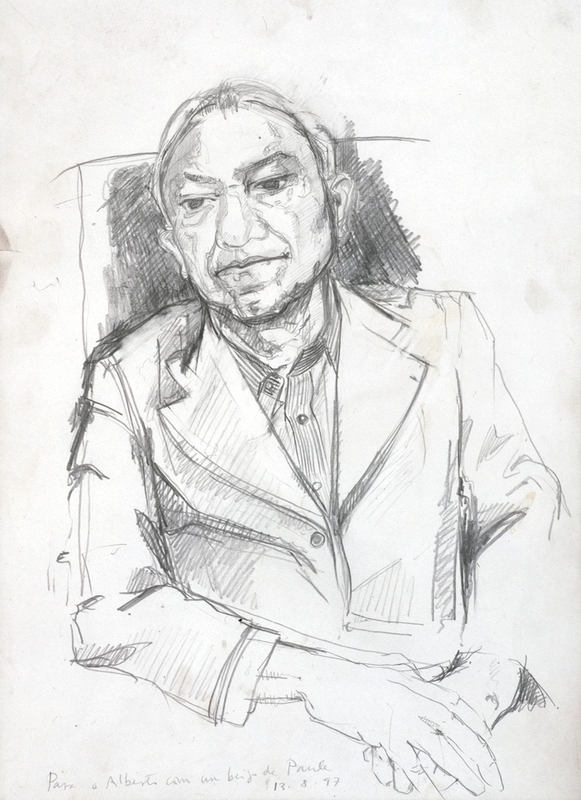 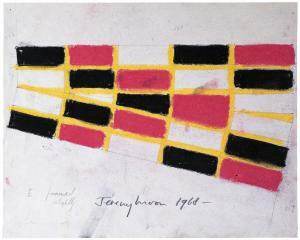 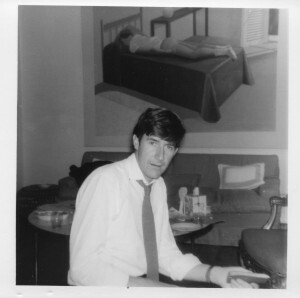 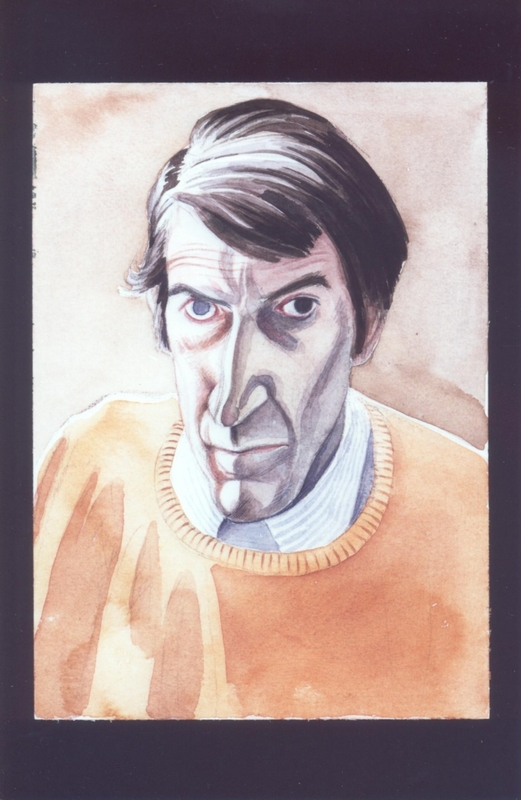 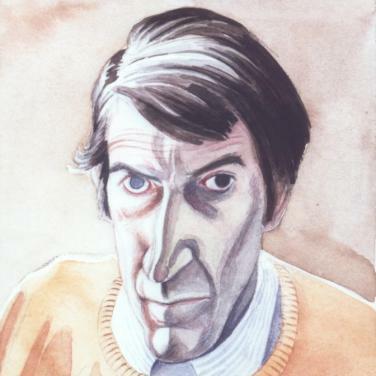 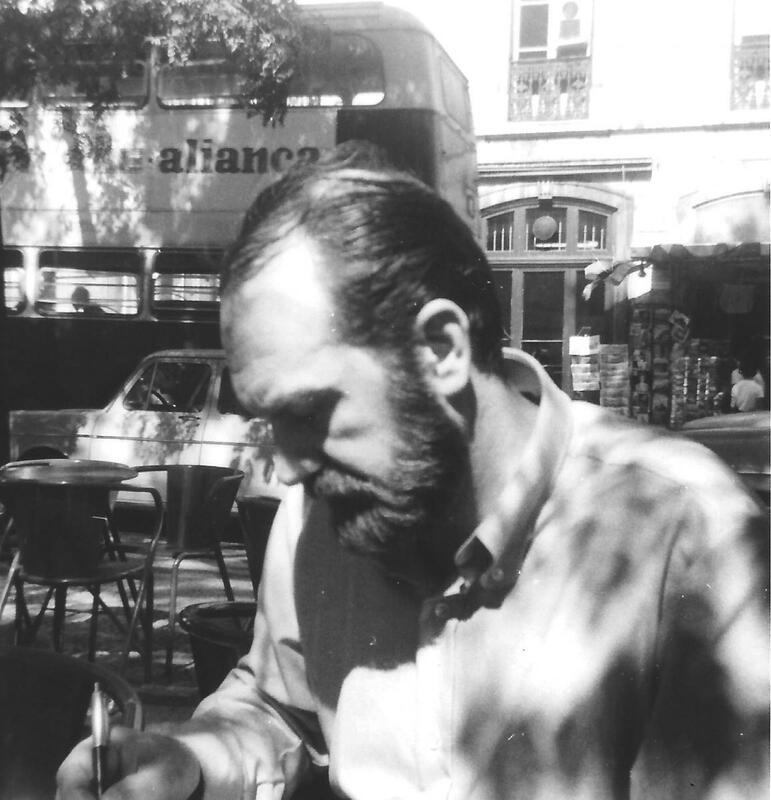 Júlio Pomar (Portugal, 1926) and William Augustus Berry (US, 1933-2010) drew portraits of Alberto c. 1970. 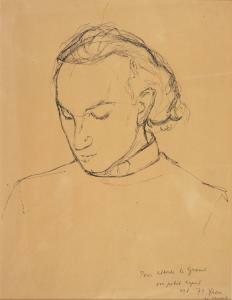 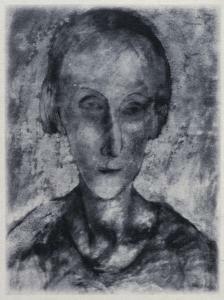 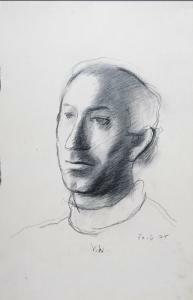 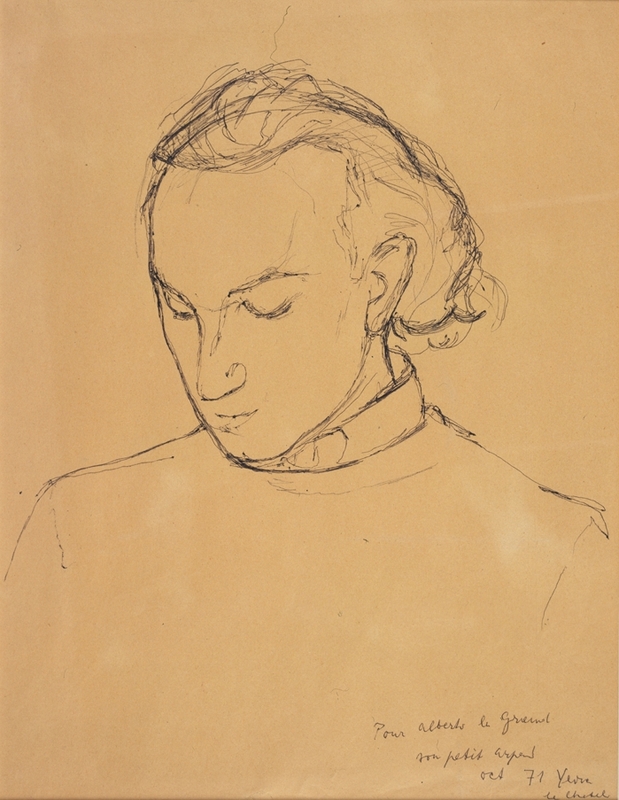 In 1972 Jean Hugo (France, 1894-1984) drew several portraits of Alberto, one of which is shown here. 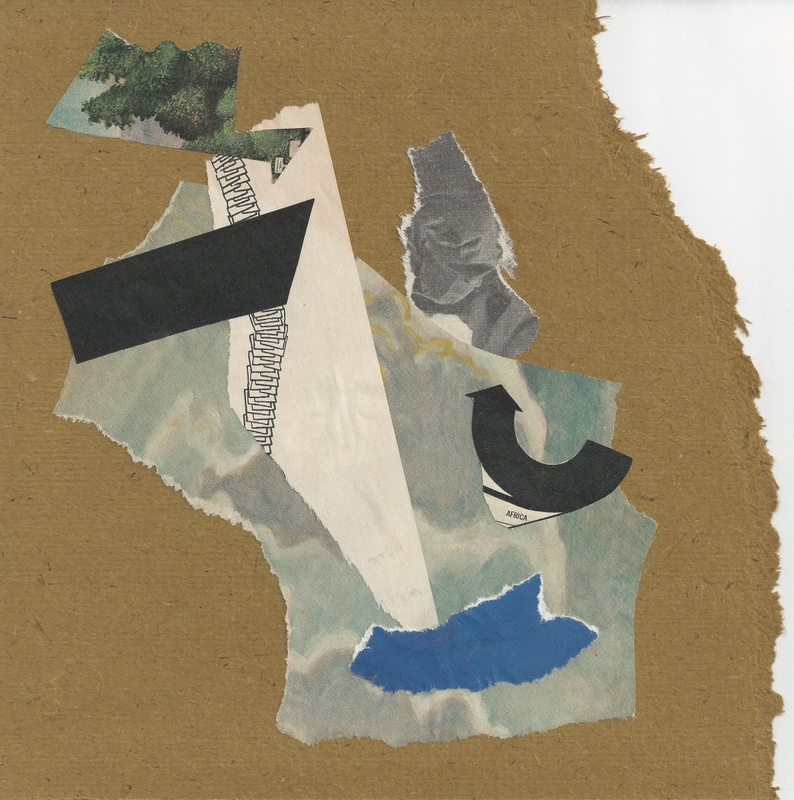 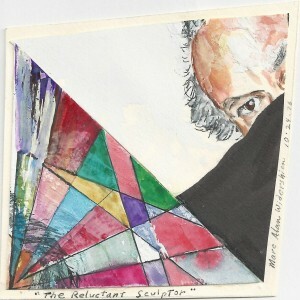 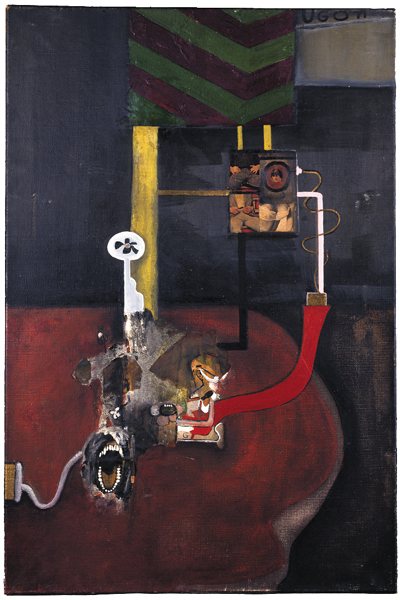 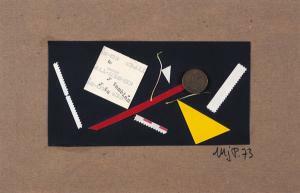 Victor Willing (UK, 1928-1988) drew Alberto in 1975, and Marc Widershien (US, 1944-2016) made a small collage of “The Reluctant Sculptor” in 1976. 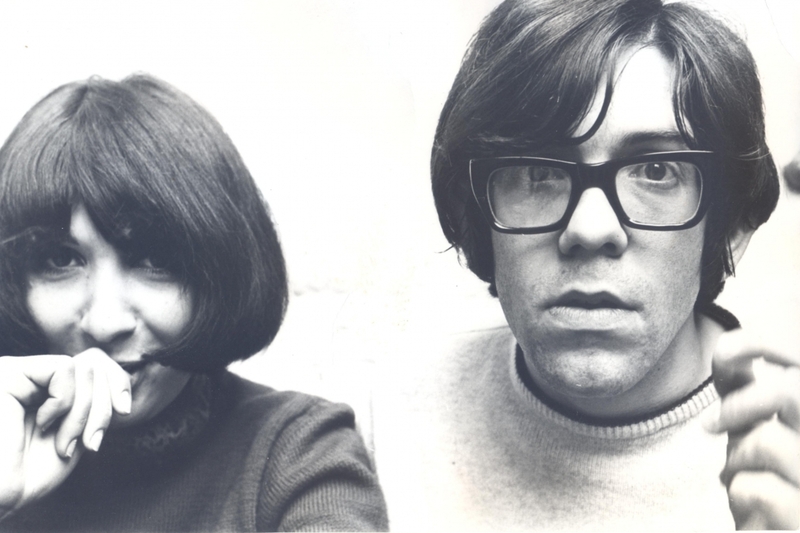 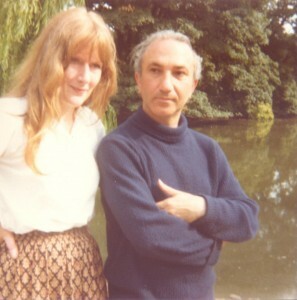 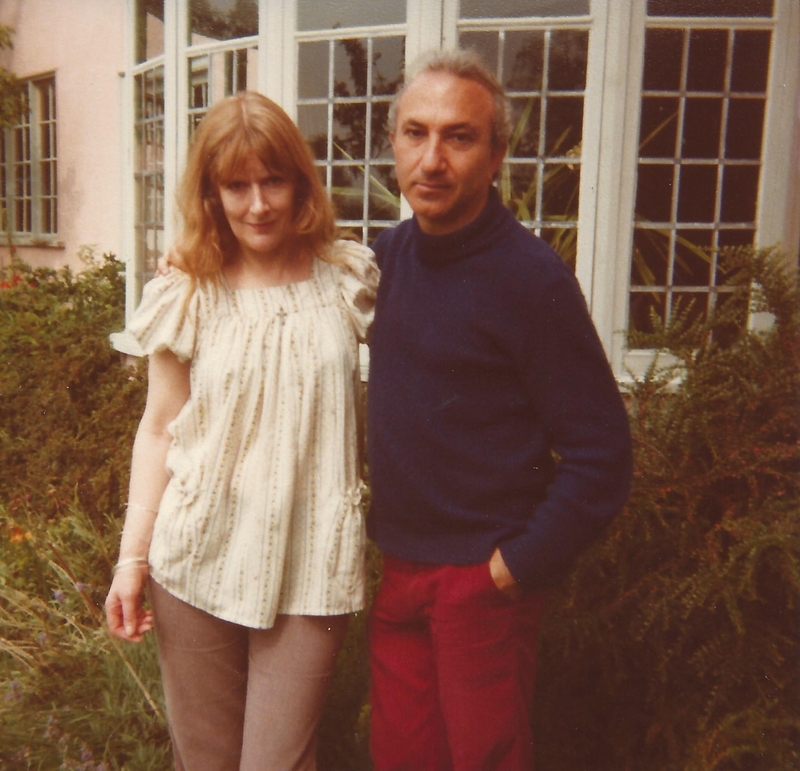 Rory McEwen (UK, 1932-1982) and Gisèle Goby (France, b. 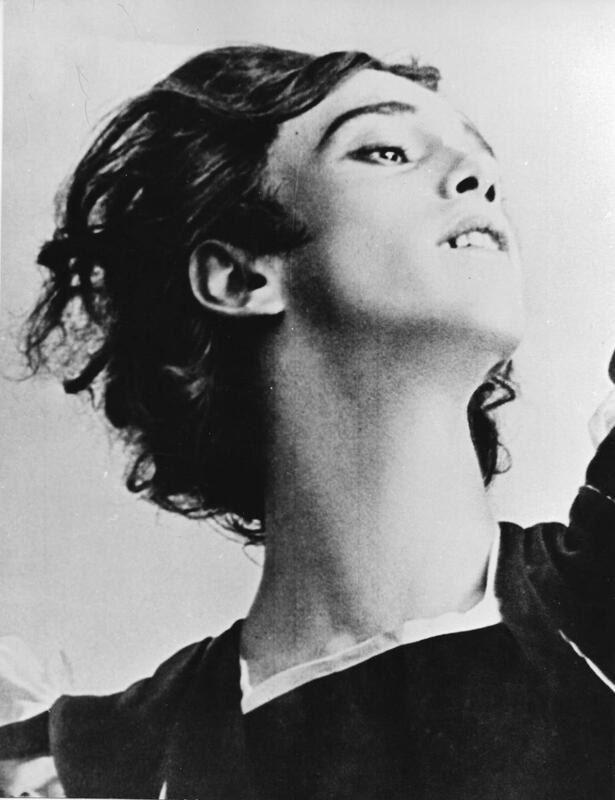 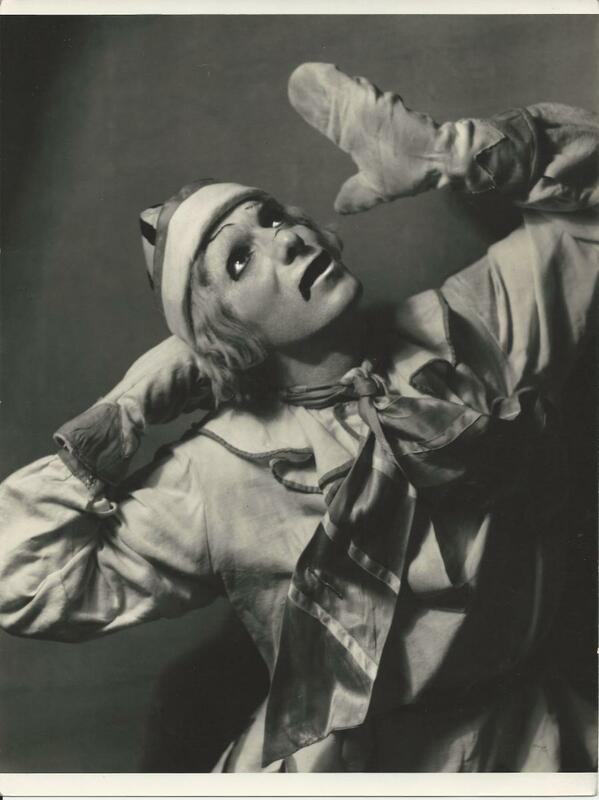 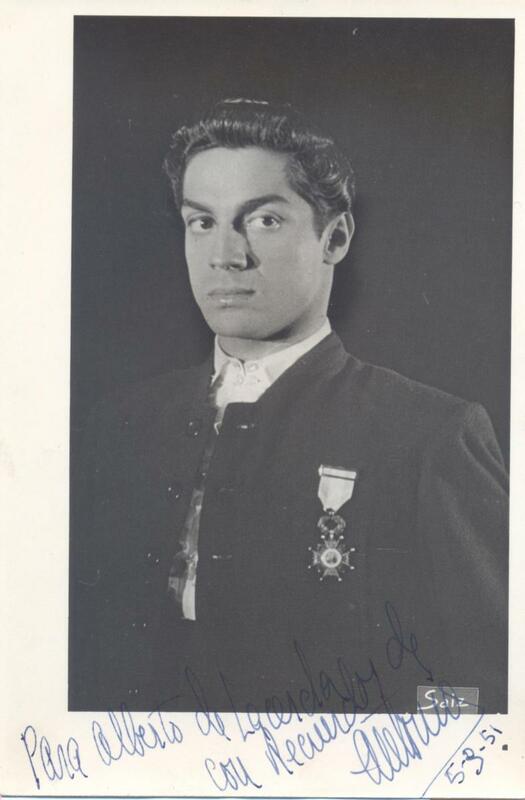 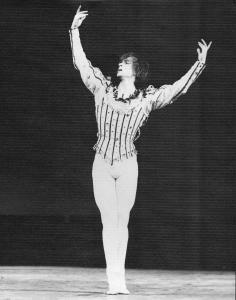 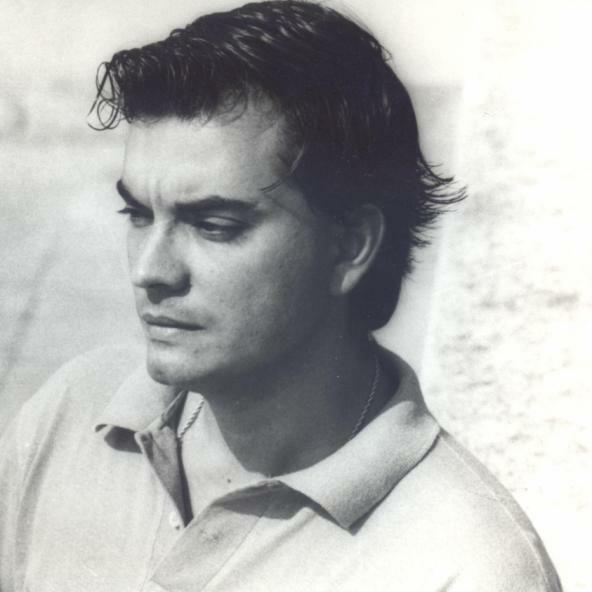 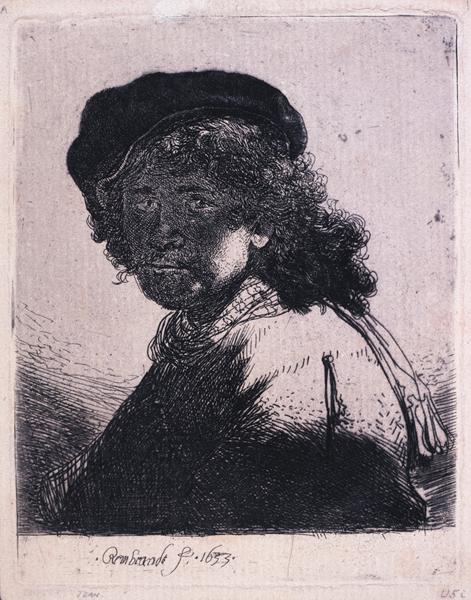 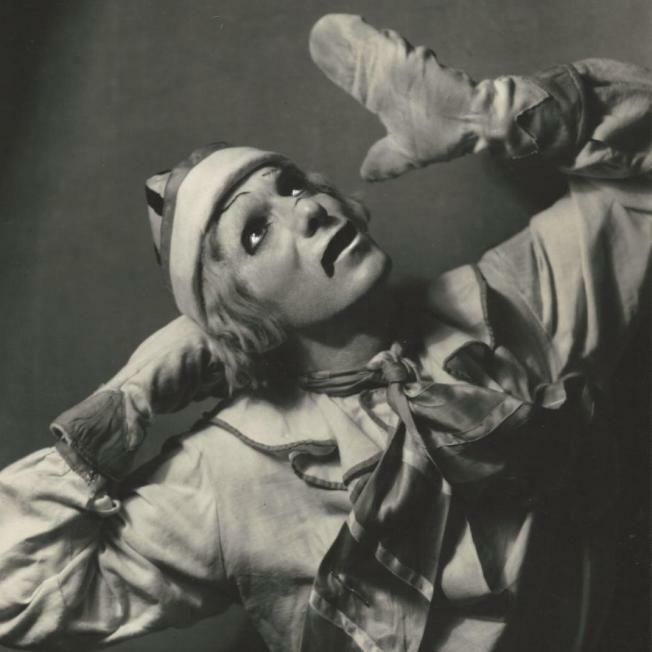 1908) portrayed Alberto in 1978. Jorge Martins (Portugal, 1940) did 2 photograph and coloured pencil photographs in 1983, one of which is shown here. 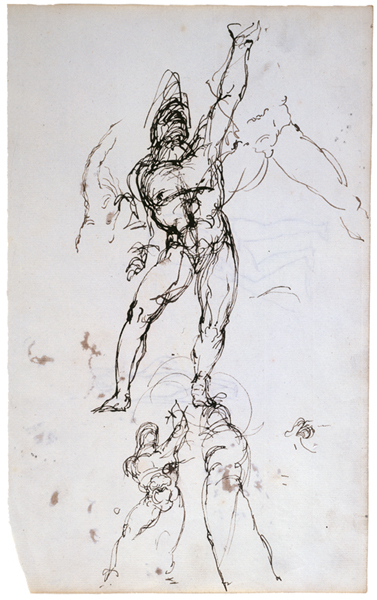 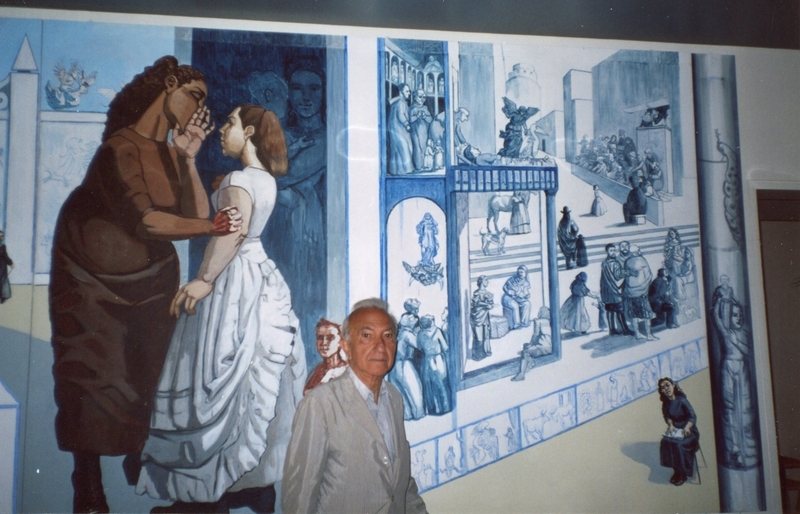 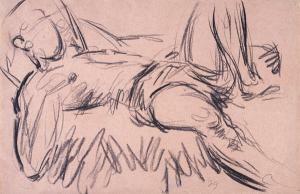 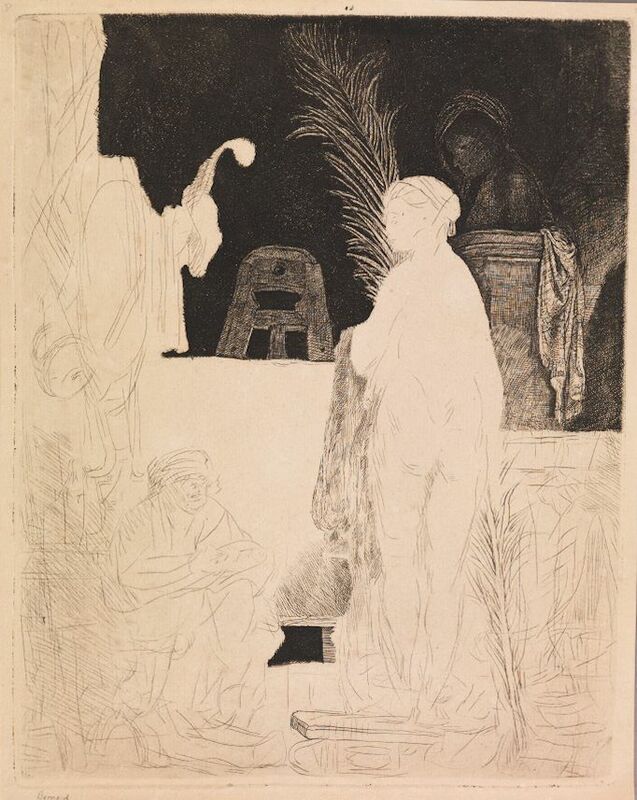 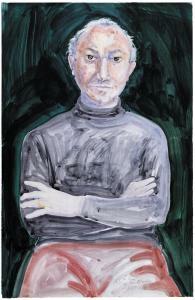 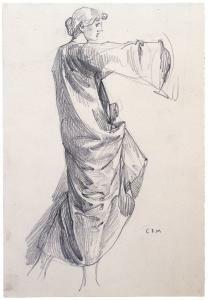 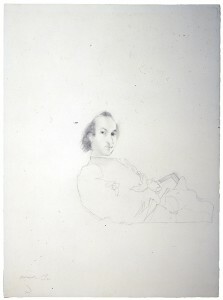 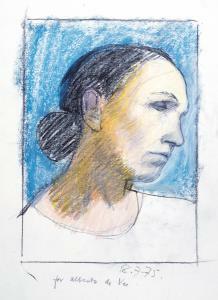 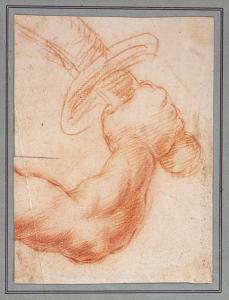 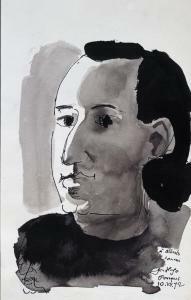 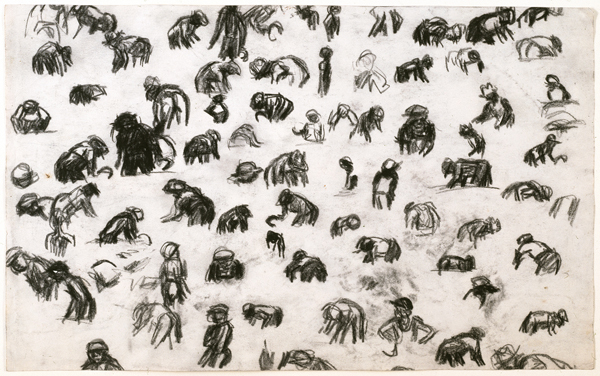 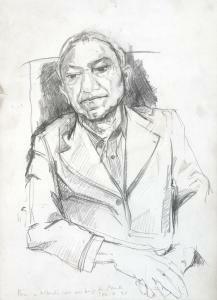 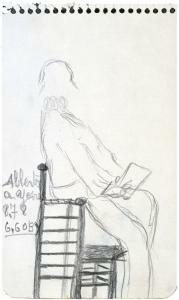 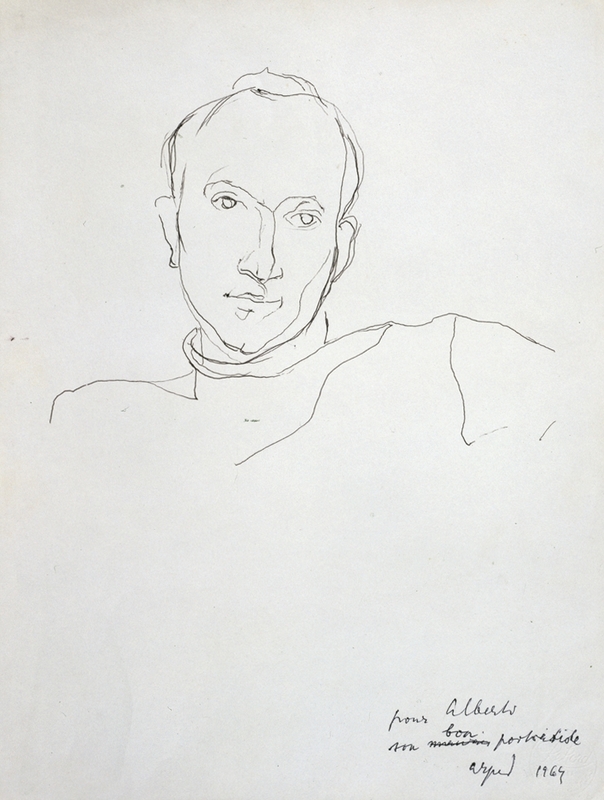 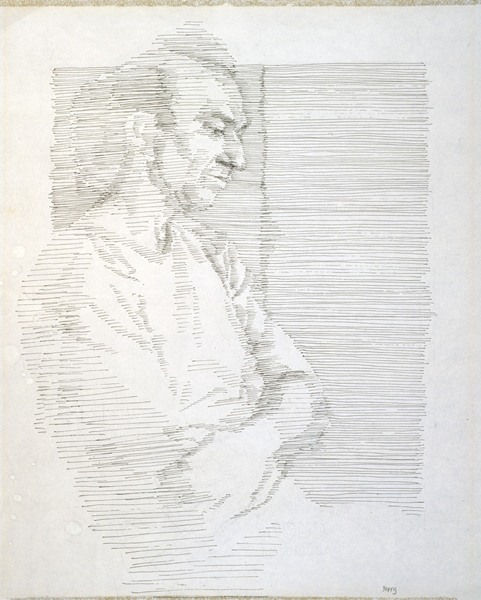 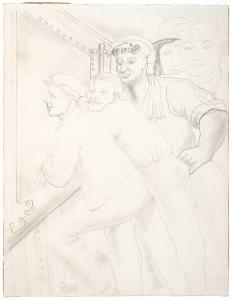 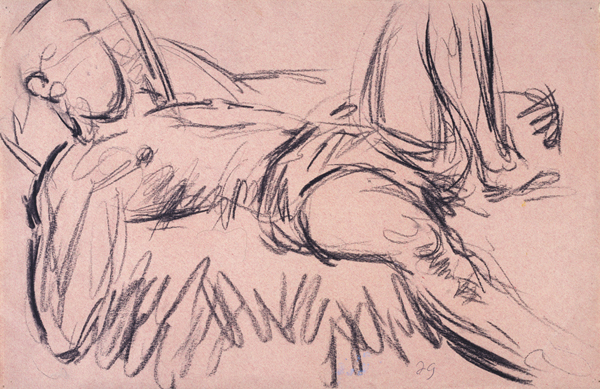 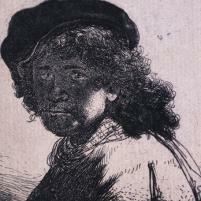 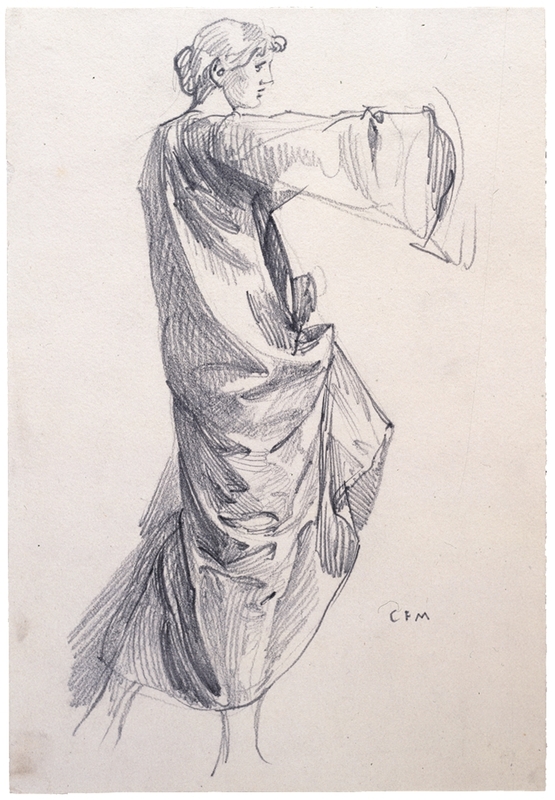 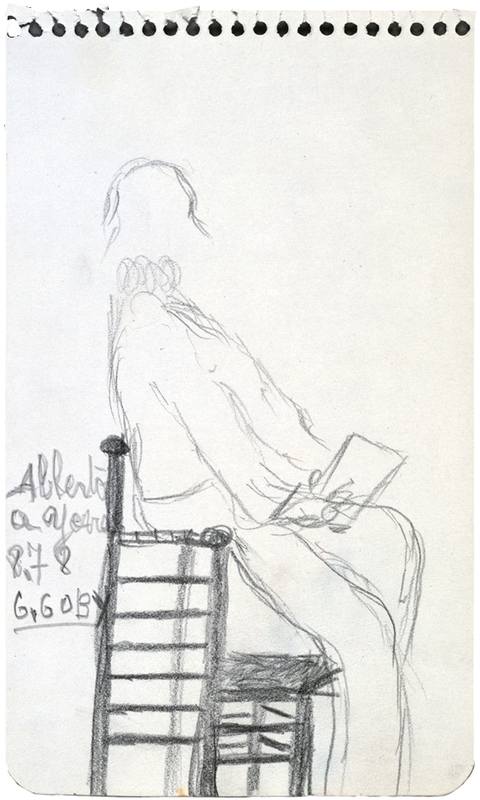 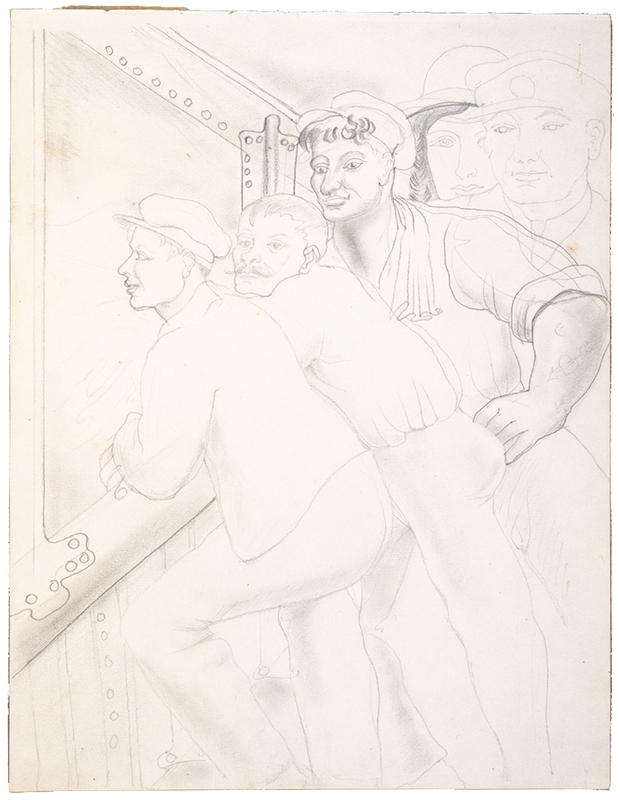 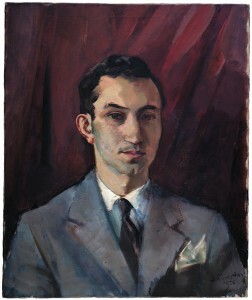 Paula Rego (Portugal, 1935) did several drawings of Alberto, including the one shown here from 1997. 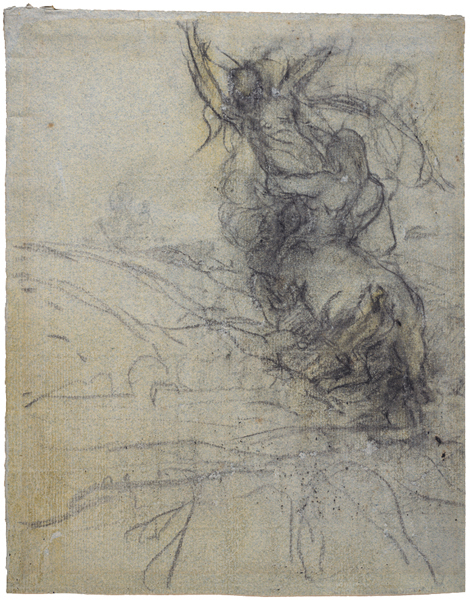 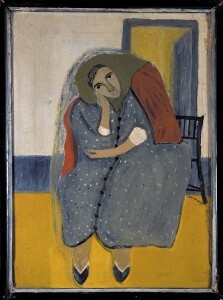 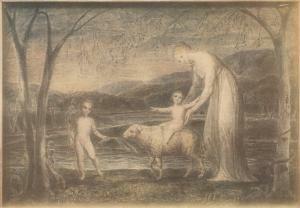 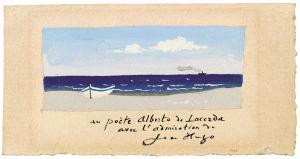 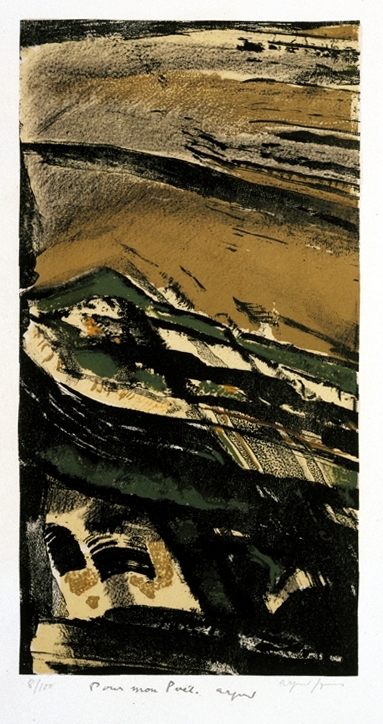 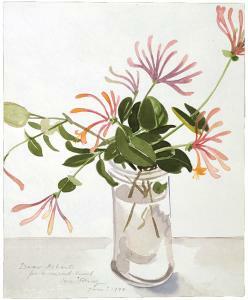 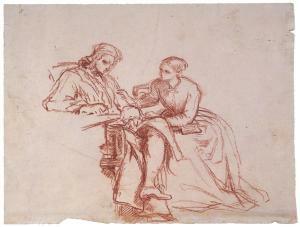 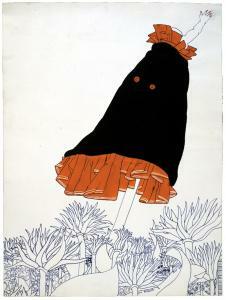 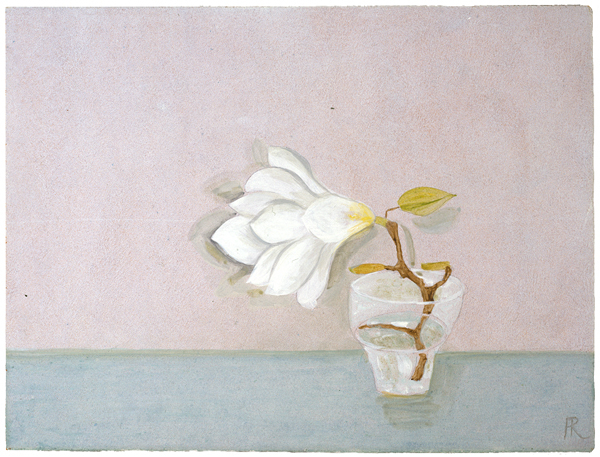 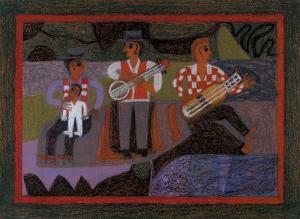 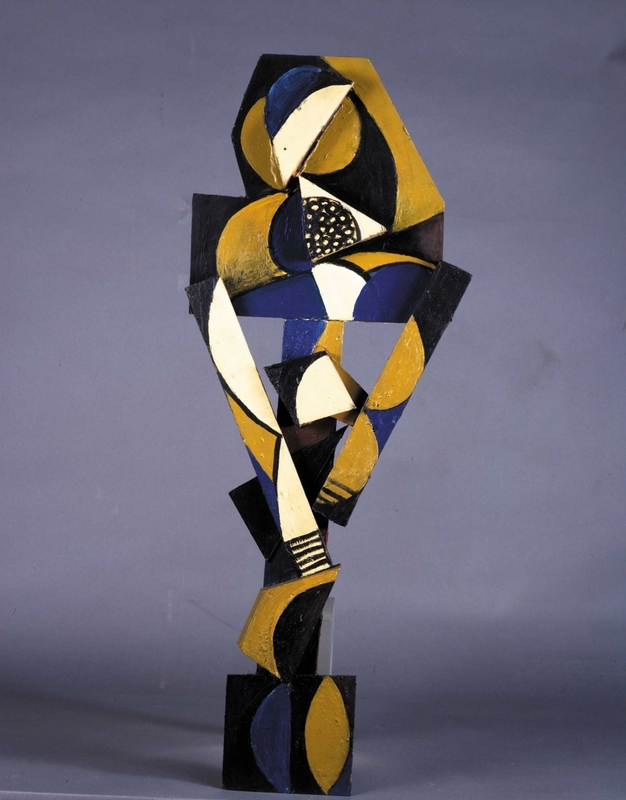 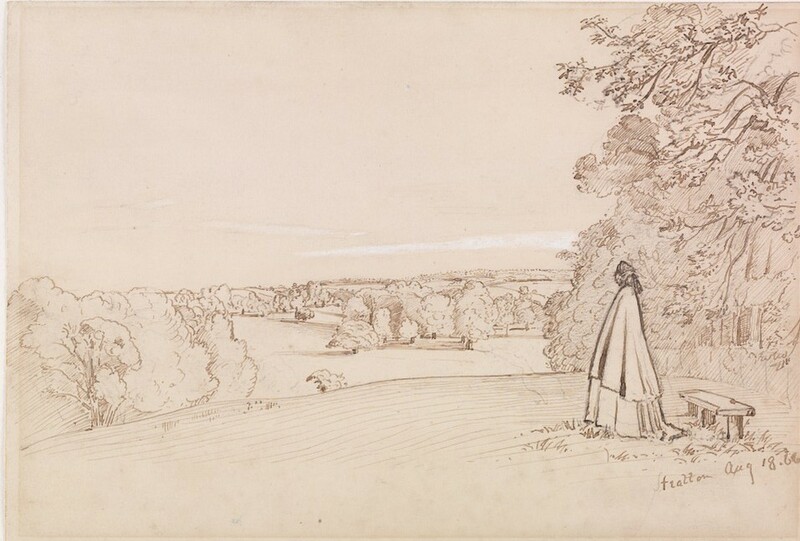 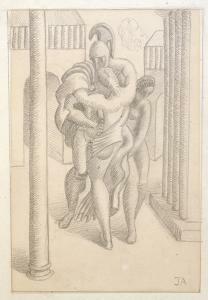 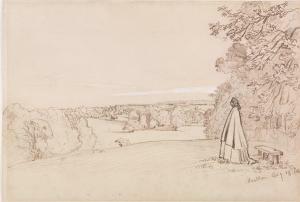 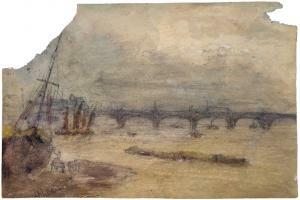 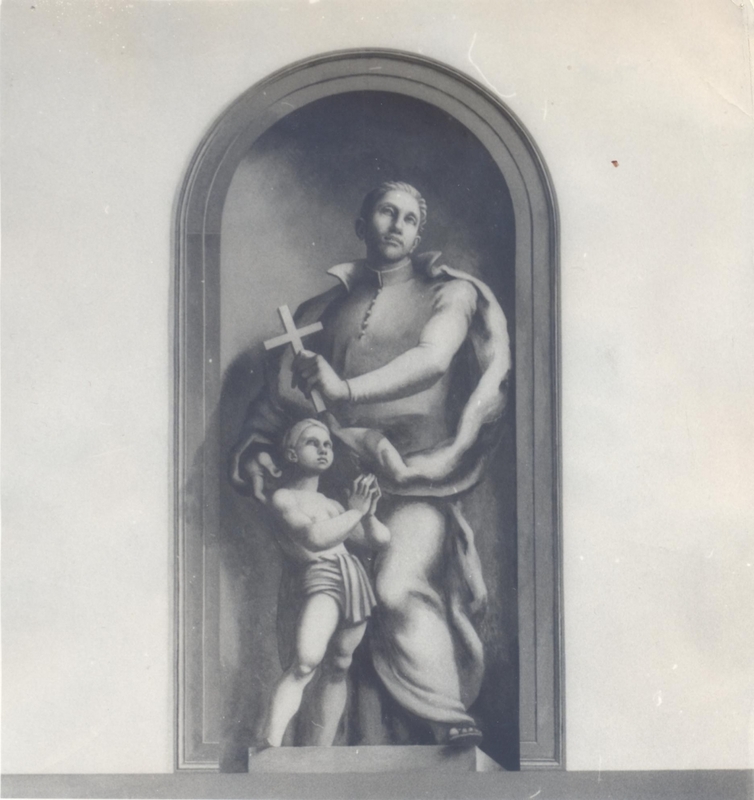 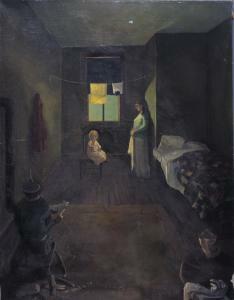 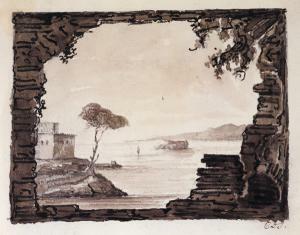 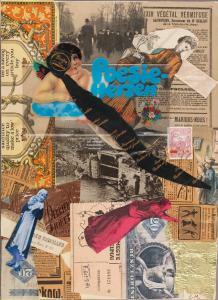 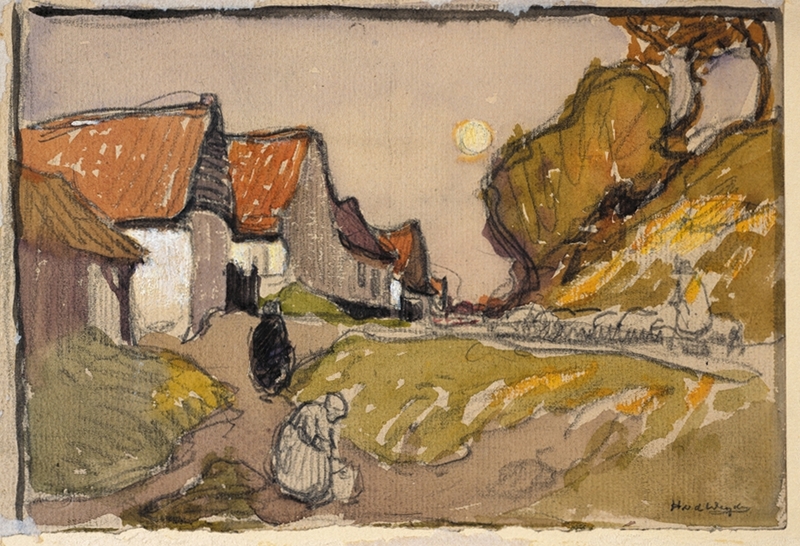 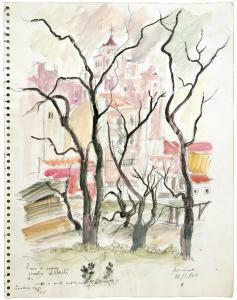 The following is a small selection of pre-20th century art from Alberto de Lacerda’s estate. 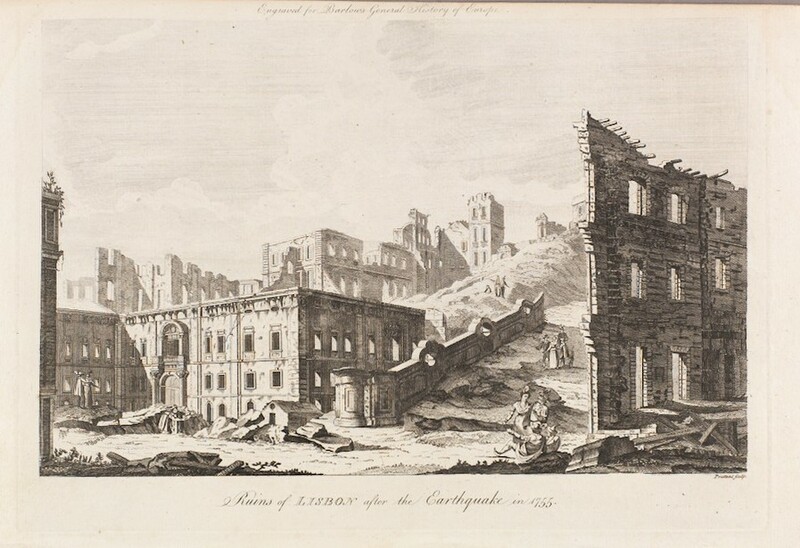 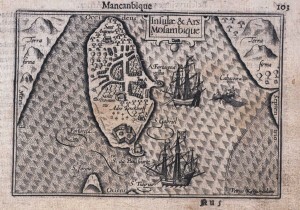 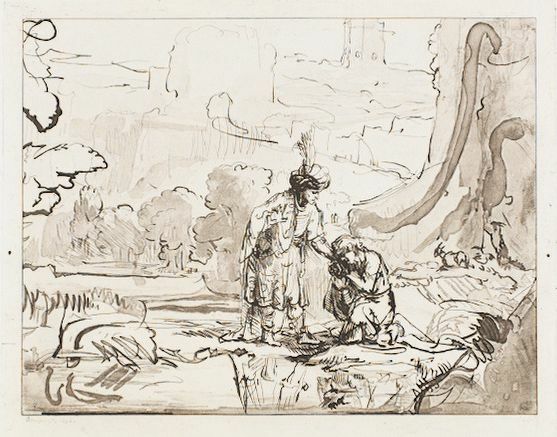 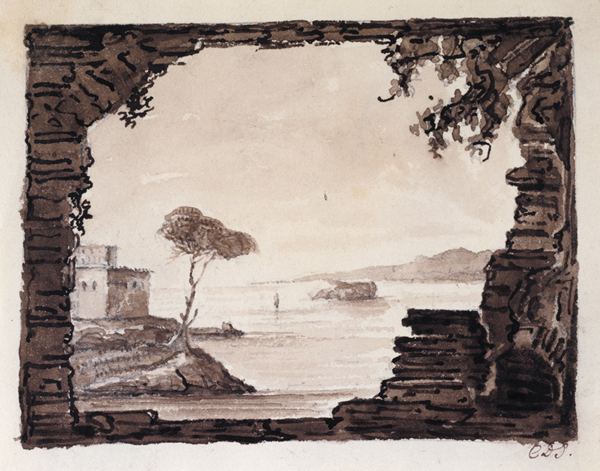 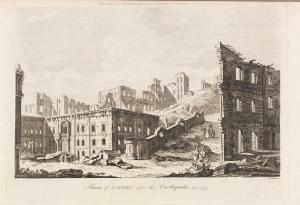 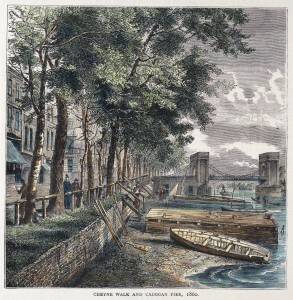 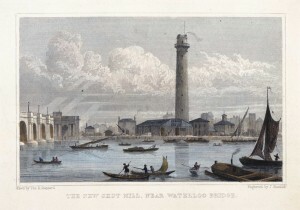 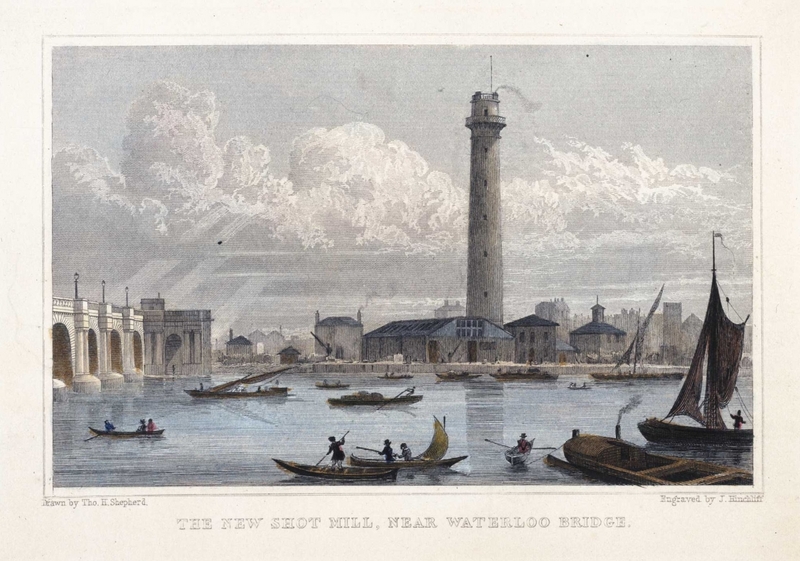 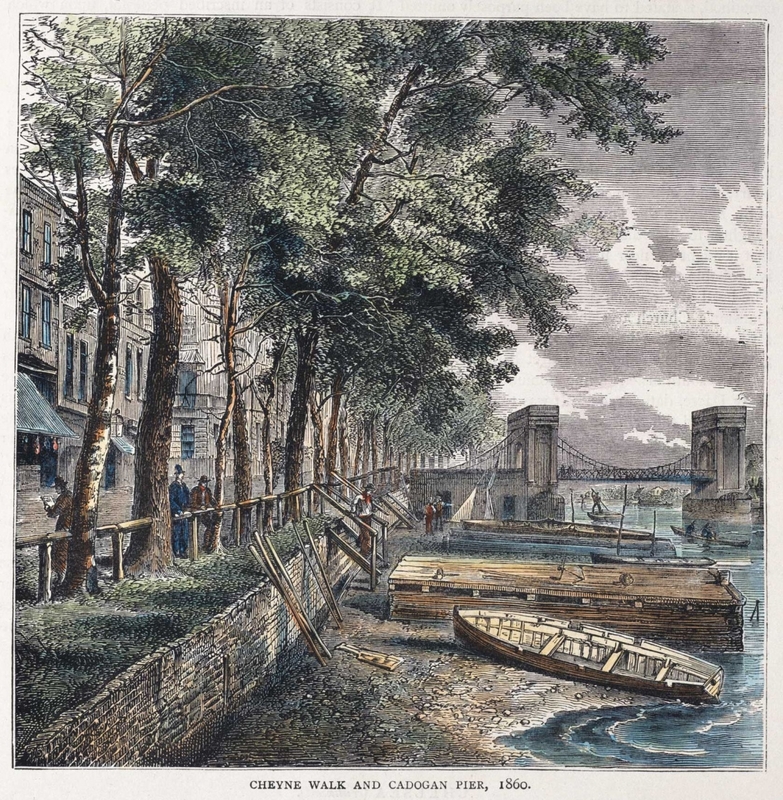 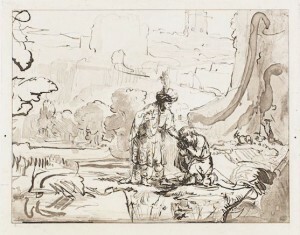 Included are drawings by Cesare Dandini (attributed, Italy, 1596-1657), prints by Rembrandt (Holland, 1606-1669), and 17th century prints of the Island of Mozambique, The New Shot Mill near Waterloo Bridge, and Ruins of Lisbon after the earthquake in 1755. 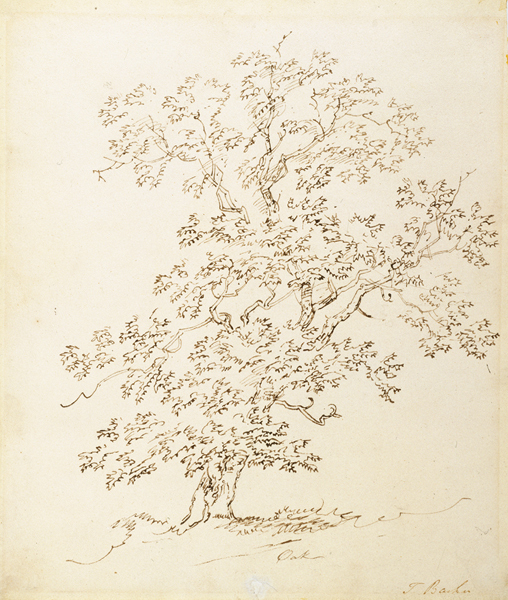 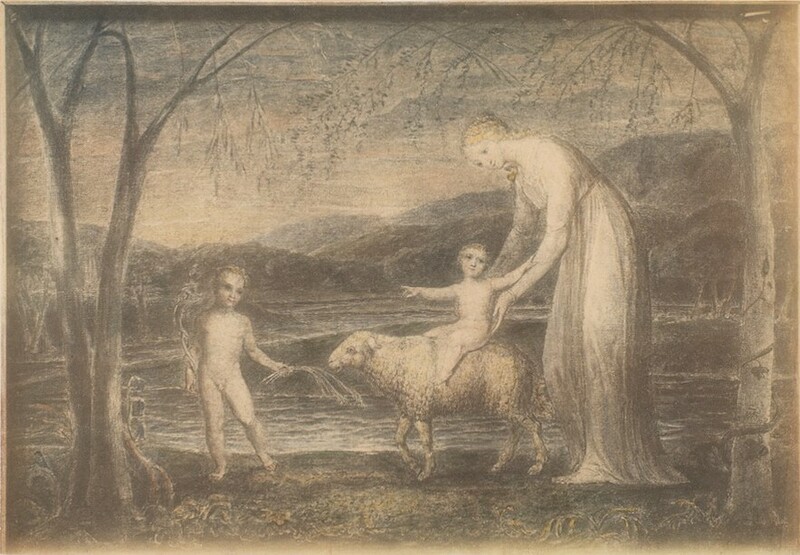 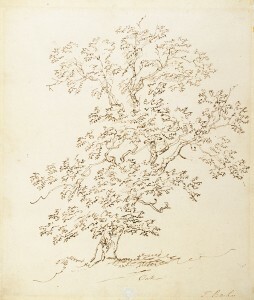 Other artists included here are Josia Banks (UK, 18th century), William Blake (UK, 1757-1827), Thomas Barker of Bath (UK, 1769-1847), Benjamin Barker of Bath (UK, 1776-1838), Christine Bonaparte (Lady Dudley Stuart) (UK, 1789-1847), Sir William Boxall, RA (UK, 1800-1879), Charles West Cope (UK, 1811-1890), Edouard Manet (France, 1832-1883), Charles Fairfax Murray (UK, 1849-1919), Henry Marriott Paget (1856-1936), and Harry van de Weyden (Holland, 1868-1915). 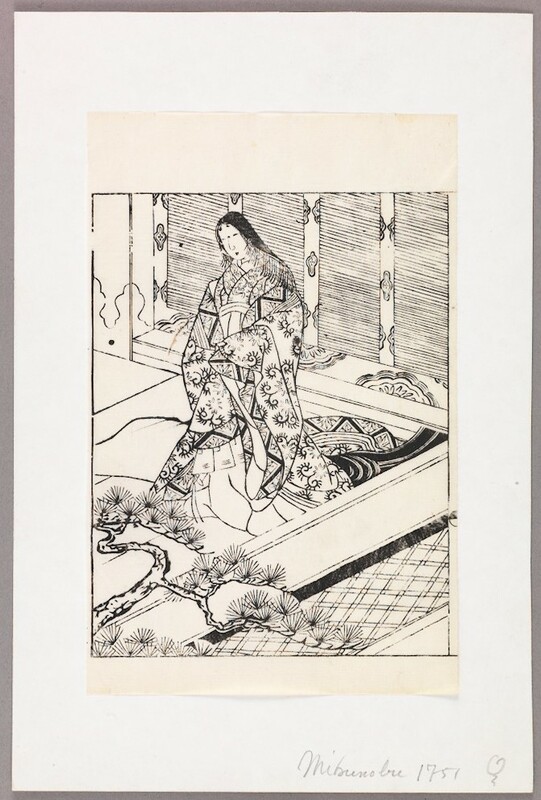 Also included here are some 19th century prints and unattributed works of art, as well as a small sample of works of art from Japan and India. 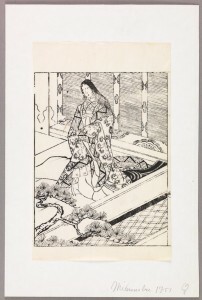 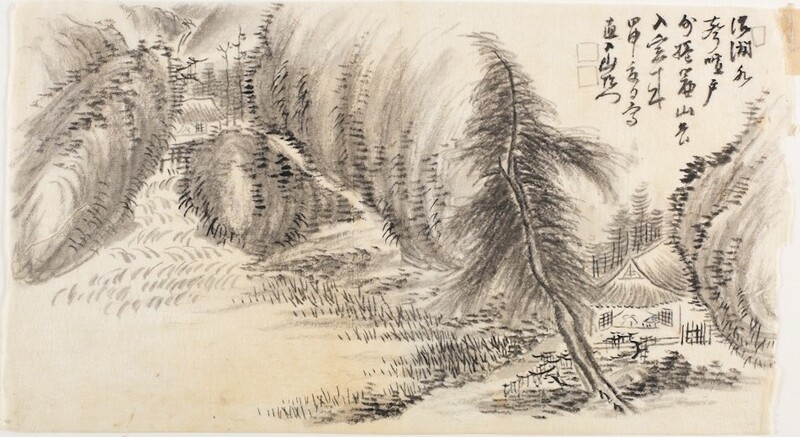 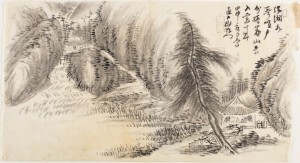 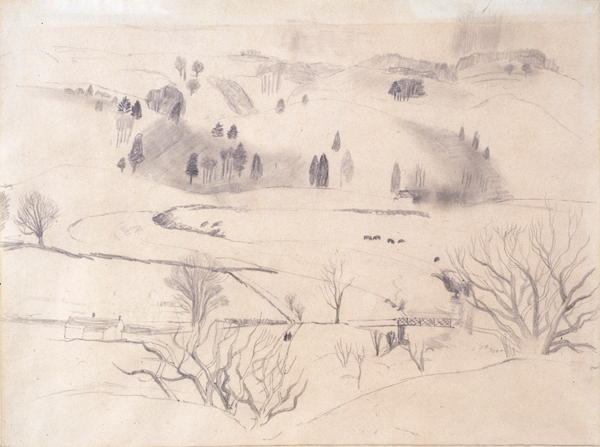 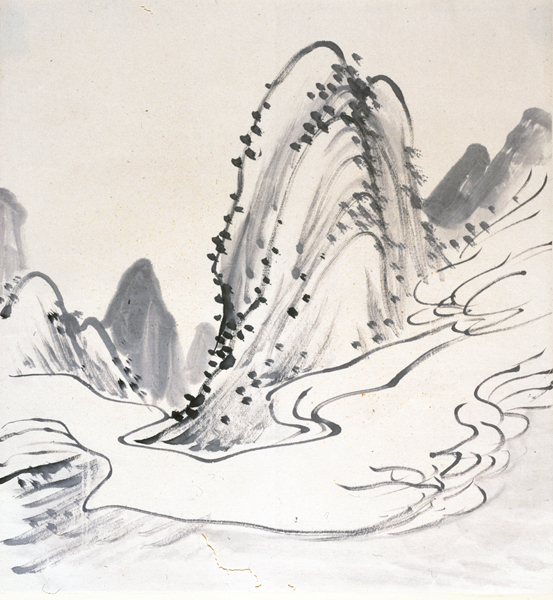 Japanese artists include Hasegawa Mitsunobu (attributed, Japan, 1730-1855), Ando Hiroshige (Japan, 1797-1855), and Mamokawa Meika (Japan, 1881). 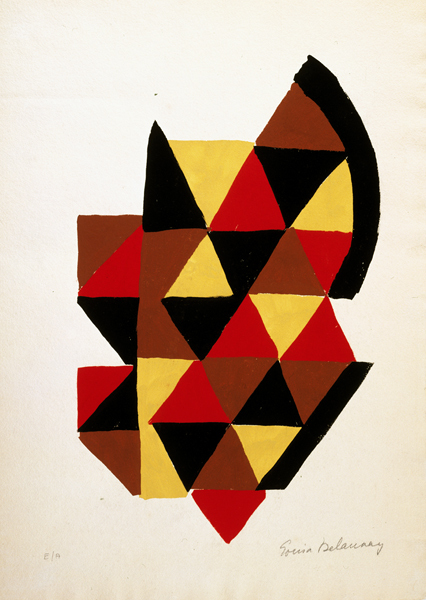 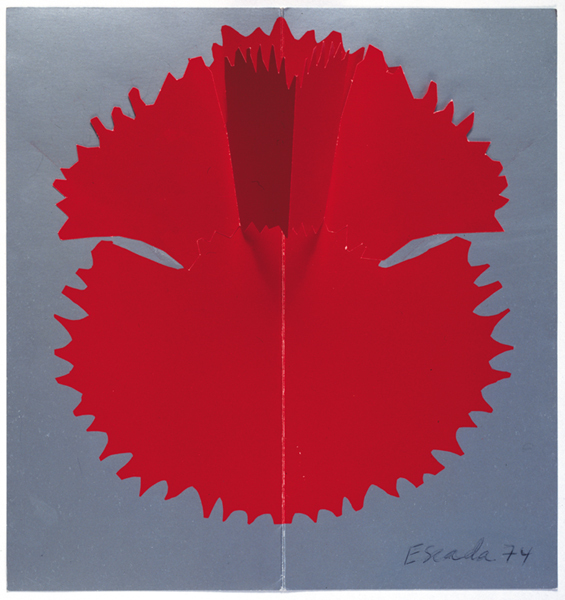 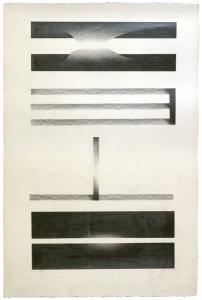 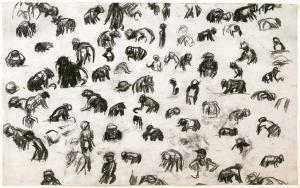 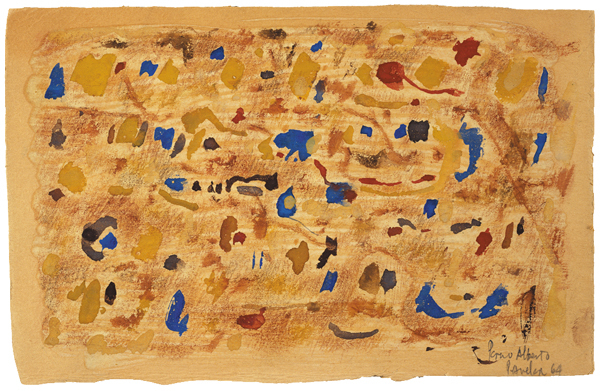 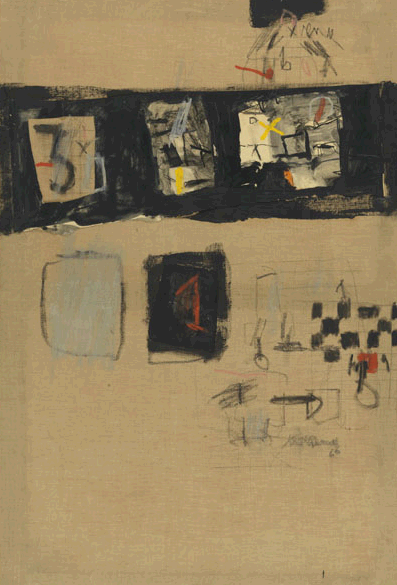 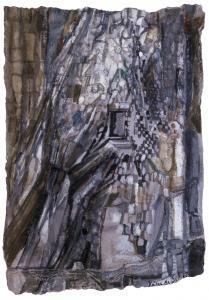 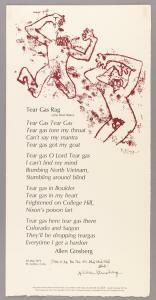 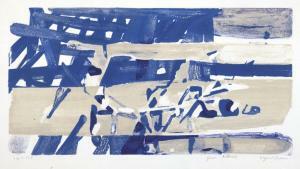 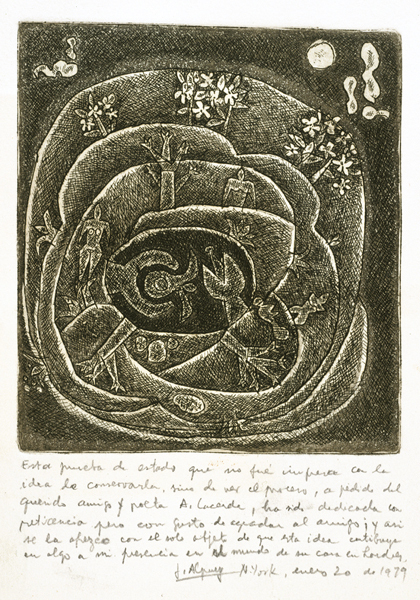 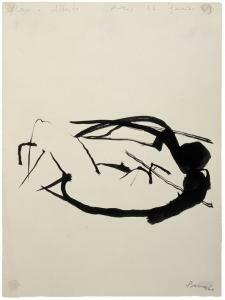 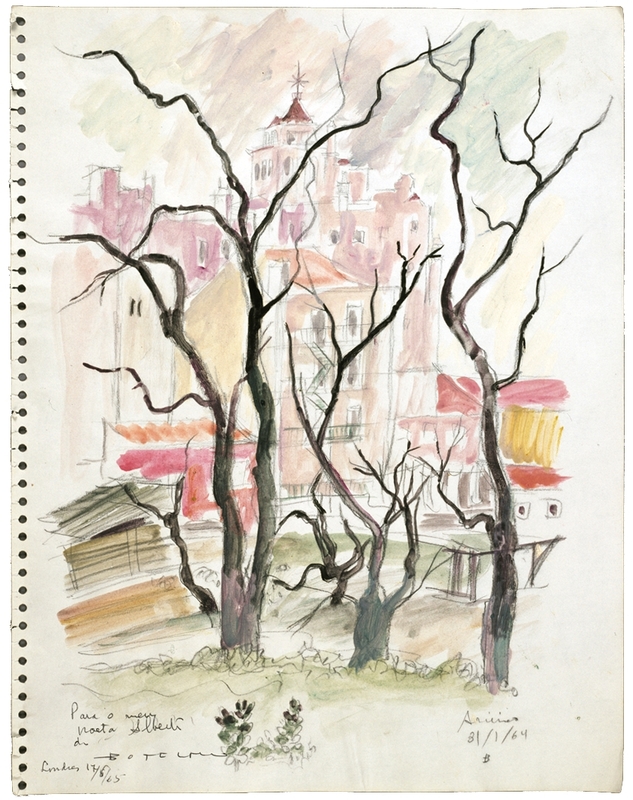 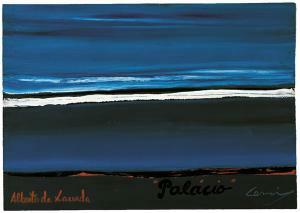 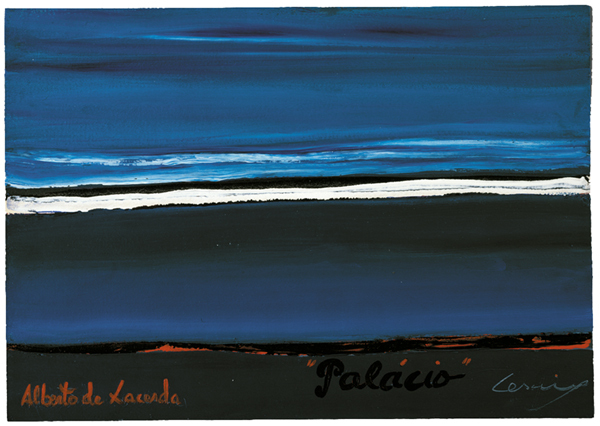 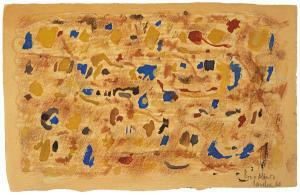 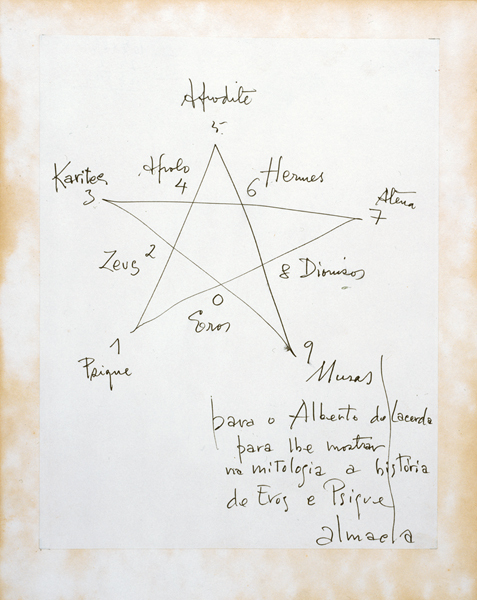 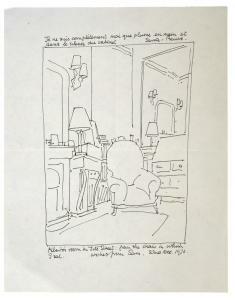 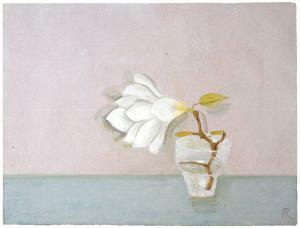 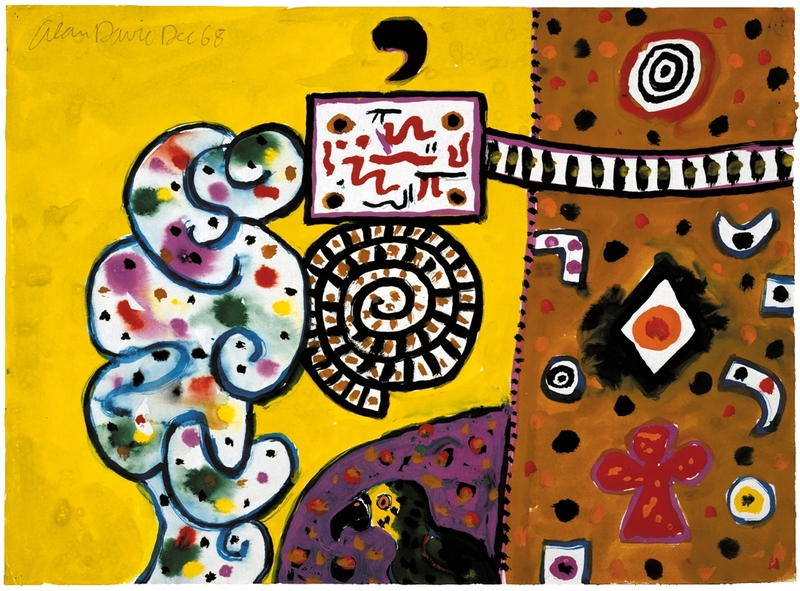 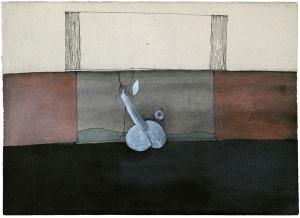 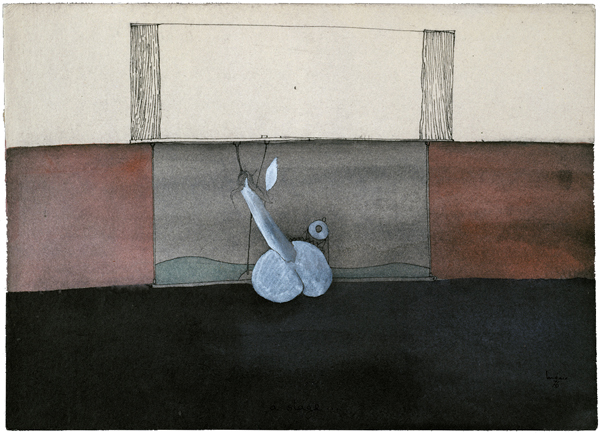 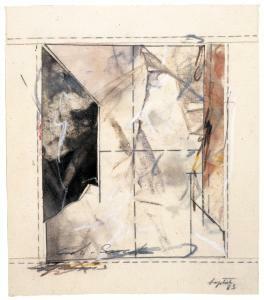 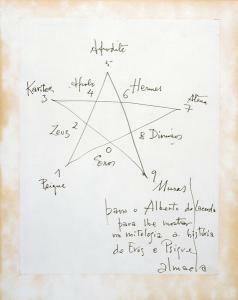 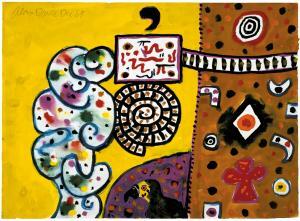 Most of the works of art in Alberto de Lacerda’s estate are works on paper. 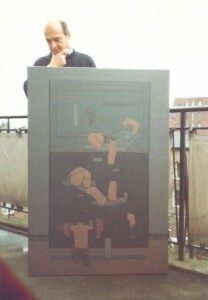 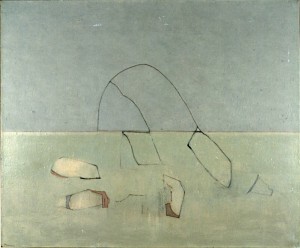 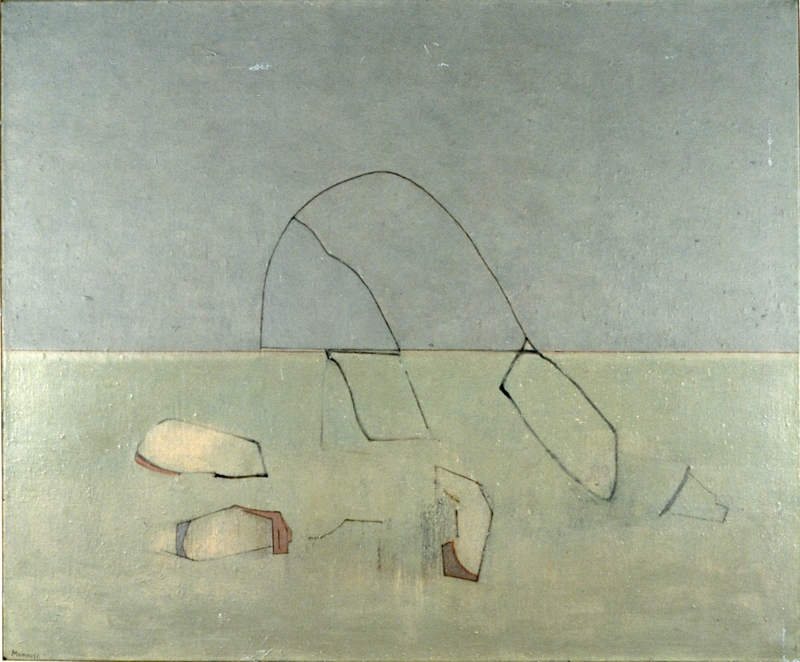 The small selection of 20th Century works of art shown here are listed in chronological order by date of birth of the artist. These include Vanessa Bell (UK, 1879-1961), Duncan Grant (UK, 1885-1978), Sonia Delaunay (Russia, 1885-1979), John Armstrong (UK, 1893-1973), Jean Hugo (France, 1894-1984), Arpad Szenes (Hungary/France, 1897-1985), Pavel Tchelitchew (Russia, 1989-1957), Eddie Arning (US, 1898-1983), Carlos Botelho (Portugal, 1899-1982), Christopher Wood (UK, 1900-1930), Júlio (Portugal, 1902-1983), Frances Richards (UK, 1903-1985), Vieira da Silva (Portugal/France, 1908-1980), Julian Trevelyan (UK, 1910-1988), Muriel Streeter (US, 1913-1995), Julio Alpuy (Uruguay, 1919-2009), Alan Davie (UK, 1920-2014), Cruzeiro Seixas (Portugal, 1920), Fernando de Azevedo (Portugal, 1923-2002), Mário Cesariny (Portugal, 1923-2006), Keith Sutton (UK, 1924-1991), Adrien de Menasce (Egypt/UK, 1925-1995), and Menez (Portugal, 1926-1995). 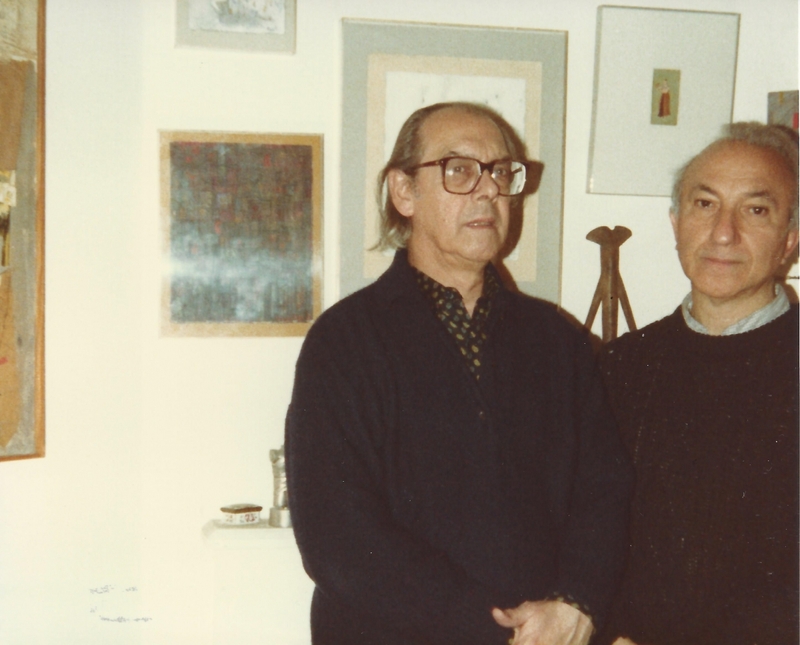 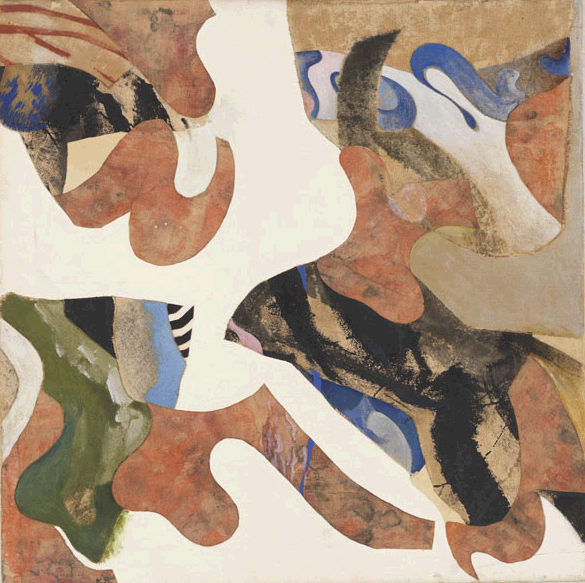 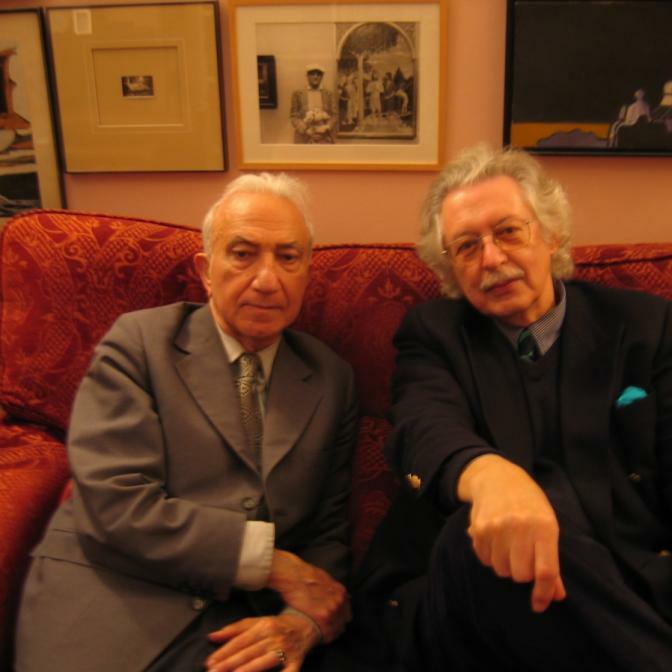 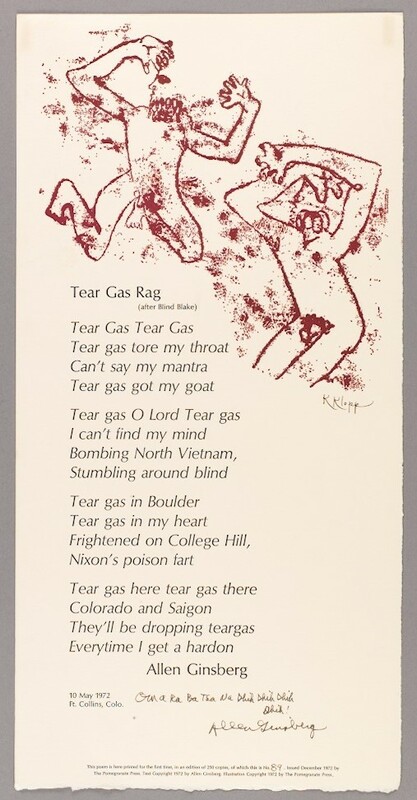 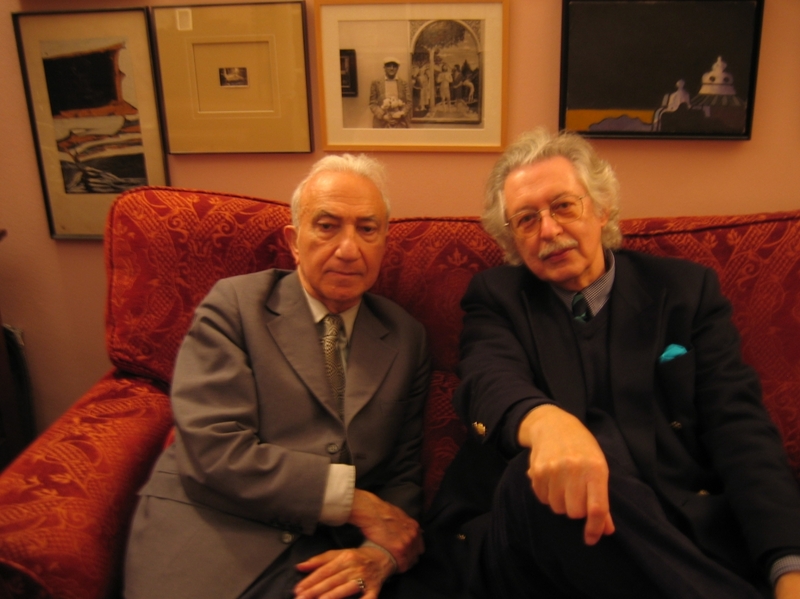 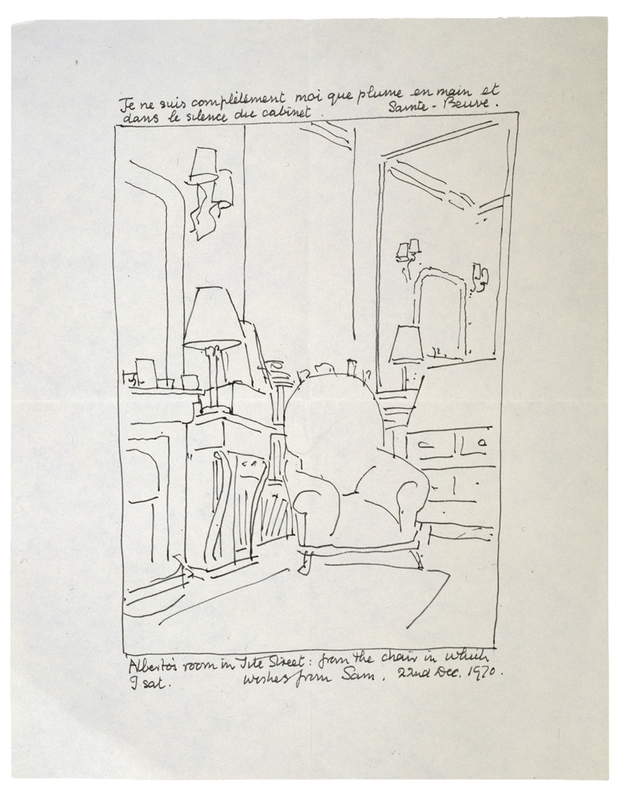 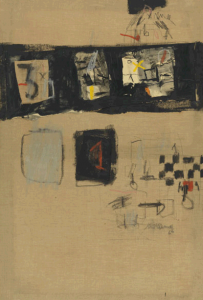 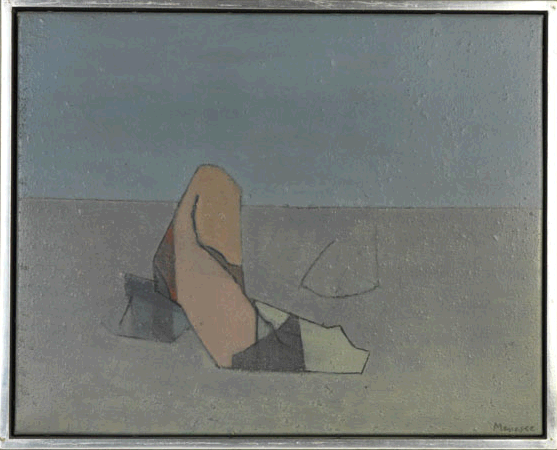 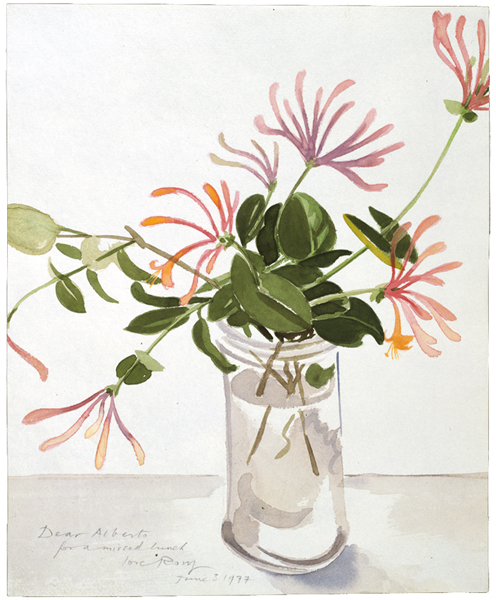 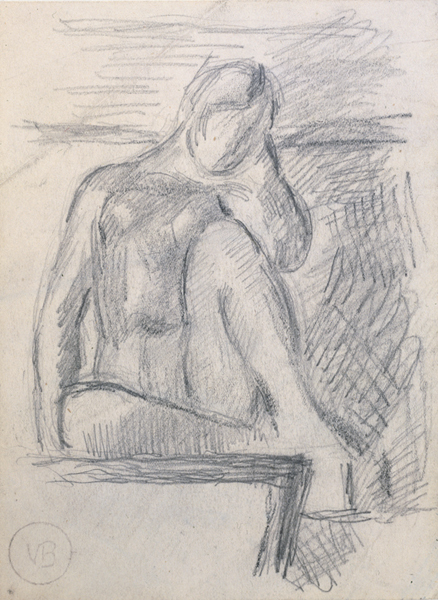 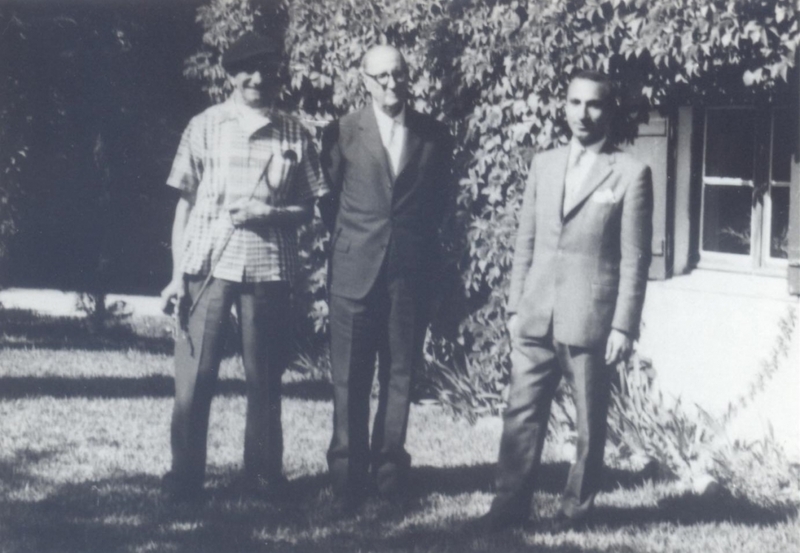 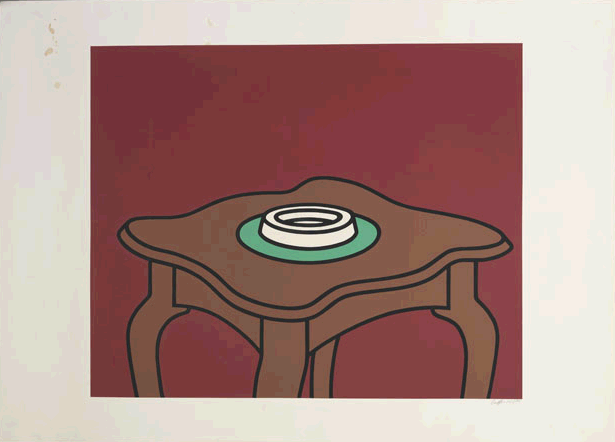 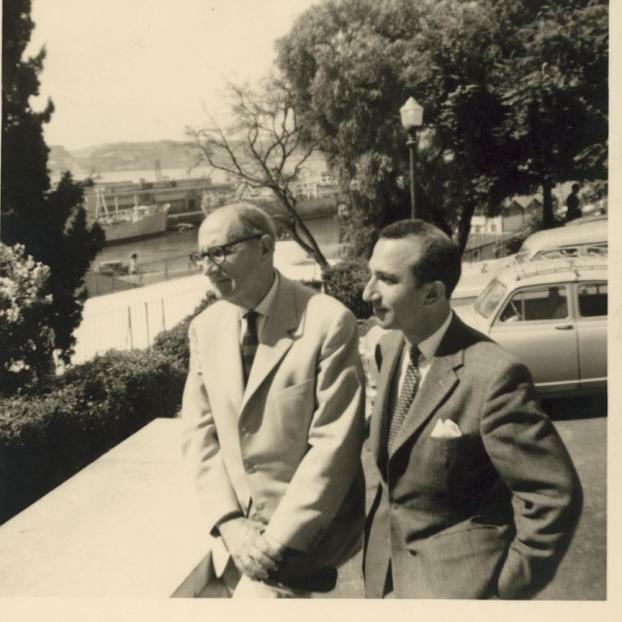 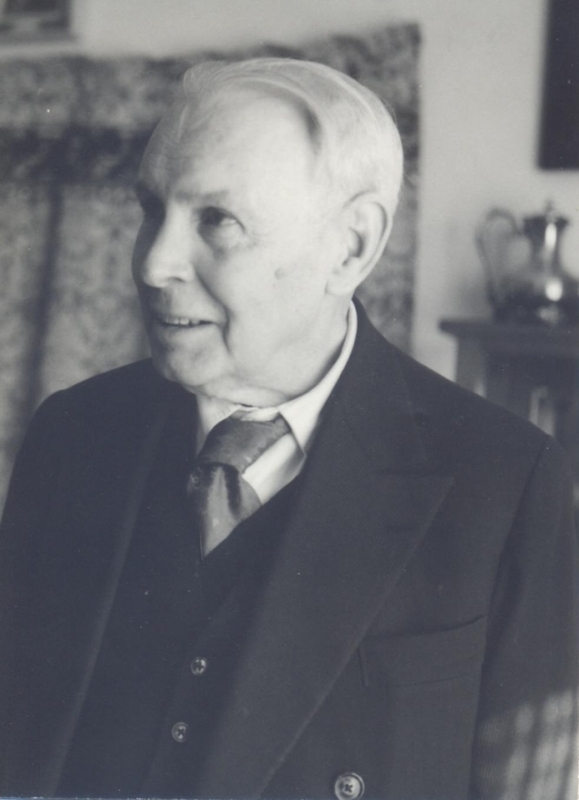 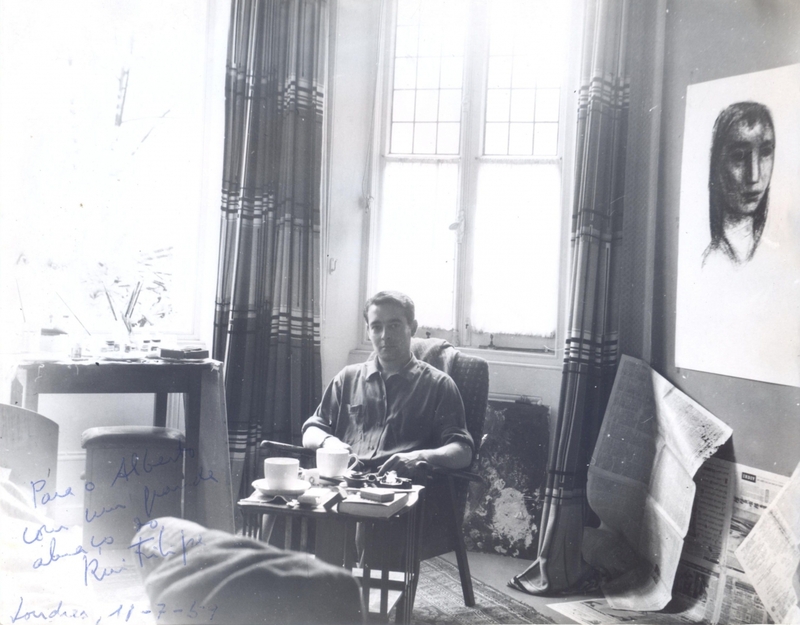 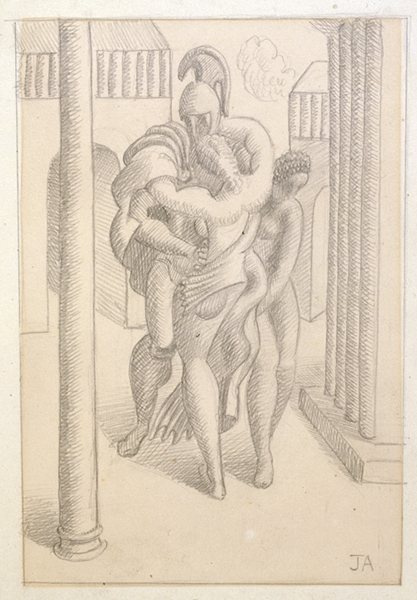 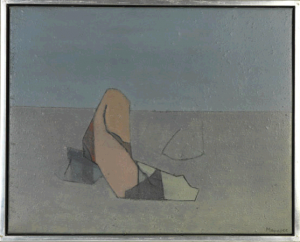 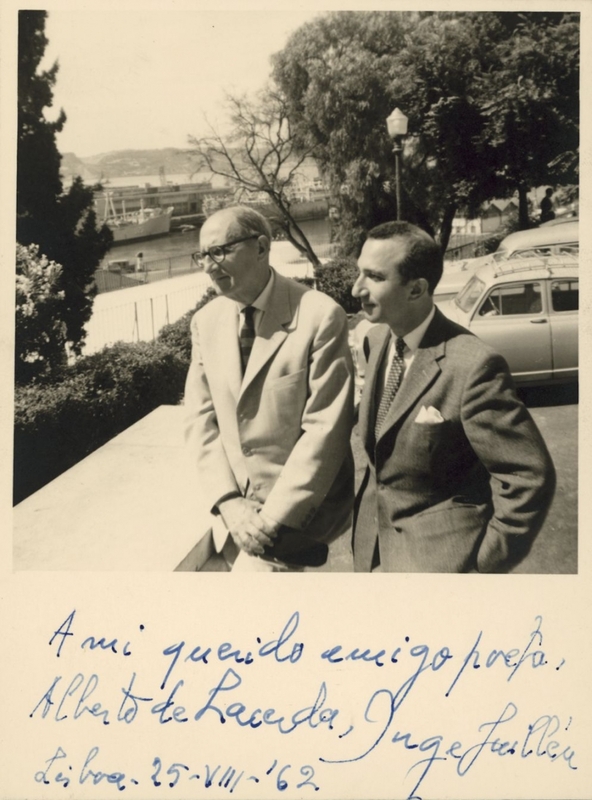 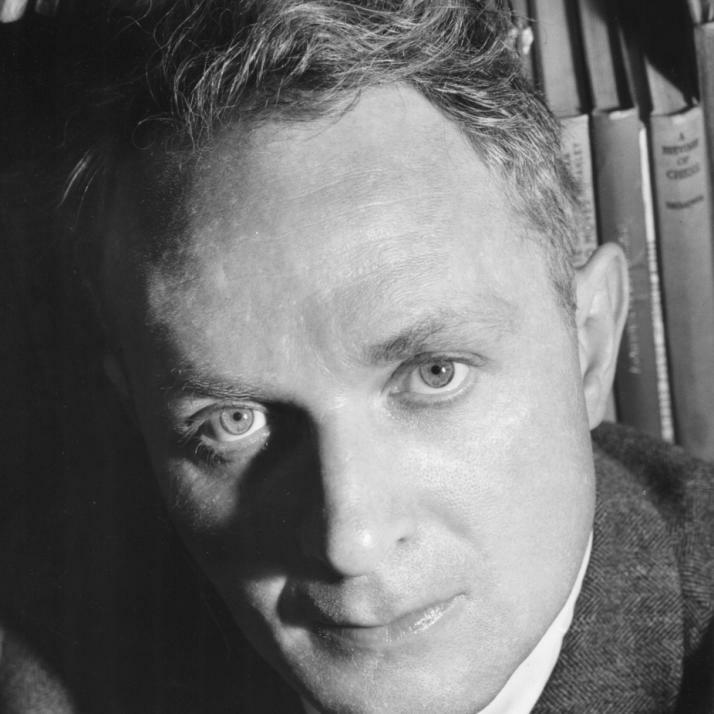 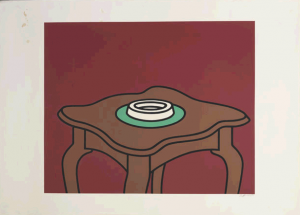 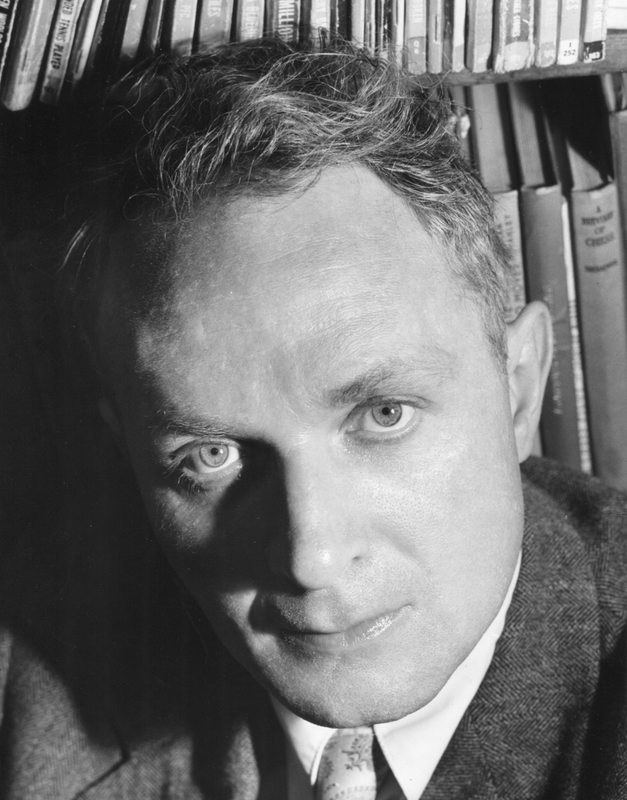 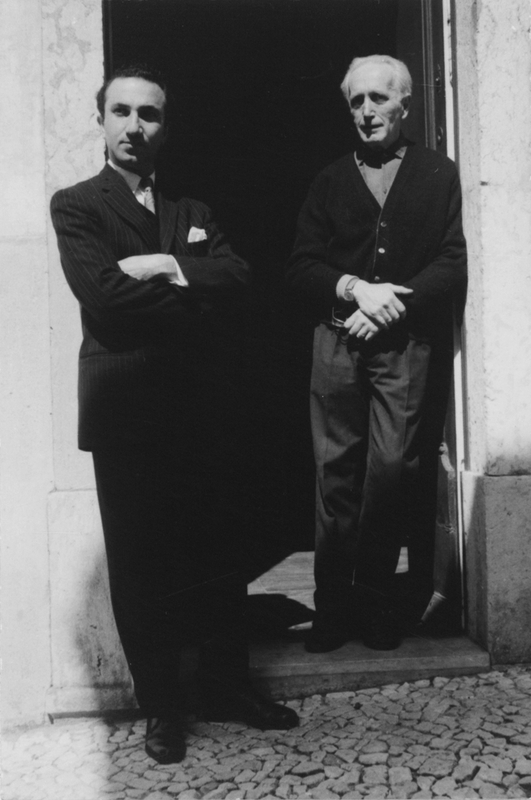 Additional 20th Century works of art in Alberto de Lacerda’s estate include works by Allen Ginsberg (US, 1926-1997), Christopher Middleton (US, 1926-2015), Samuel Lock (UK, 1926-2016), Júlio Pomar (Portugal, 1926-2018), Victor Willing (UK, 1928-1988), Rory McEwen (UK, 1932-1977), Cynthia Pell (UK, 1933-1977), Jeremy Moon (UK, 1934-1973), José Escada (Portugal, 1935-1980), Paula Rego (Portugal, 1935), Patrick Caulfield (UK, 1936-2005), Marie Jo Paz (Algiers/Mexico), Manuel Baptista (Portugal, 1936), Jorge Martins (Portugal, 1940), António Sena (Portugal, 1941), Jasmim de Matos (Portugal, 1942-1995), Pedro Avelar (Portugal, 1945), Graça Morais (Portugal, 1948), Mário Botas (Portugal, 1952-1983), Rui Leitão (Portugal, 1949-1976), and Andrew Stahl (UK, 1954).